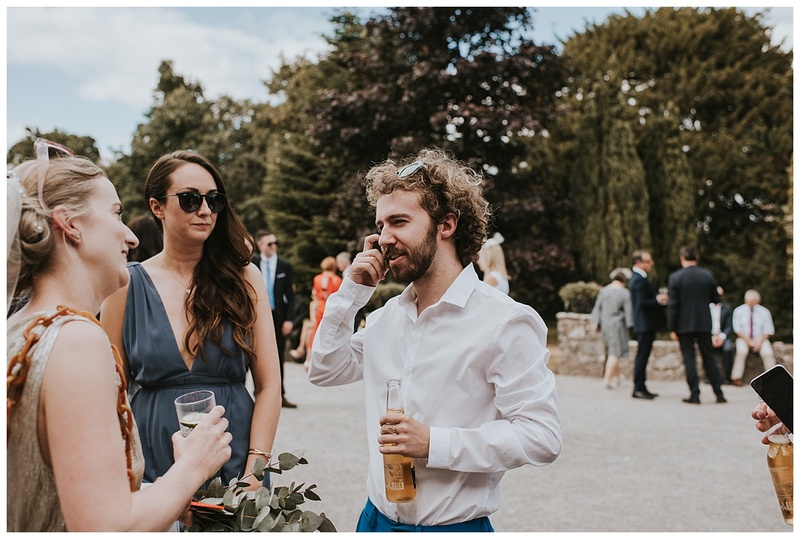 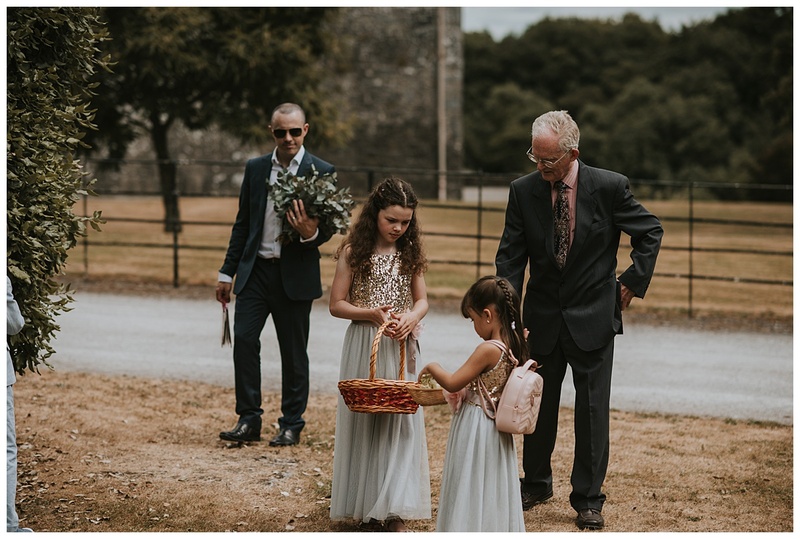 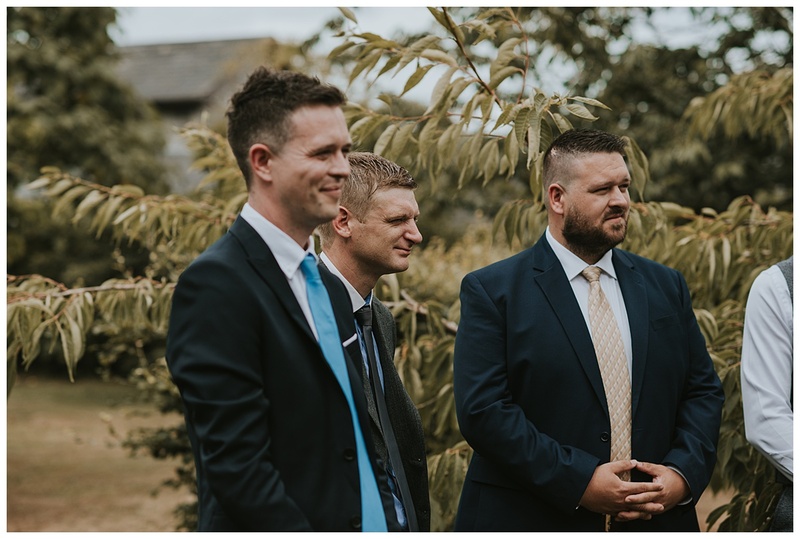 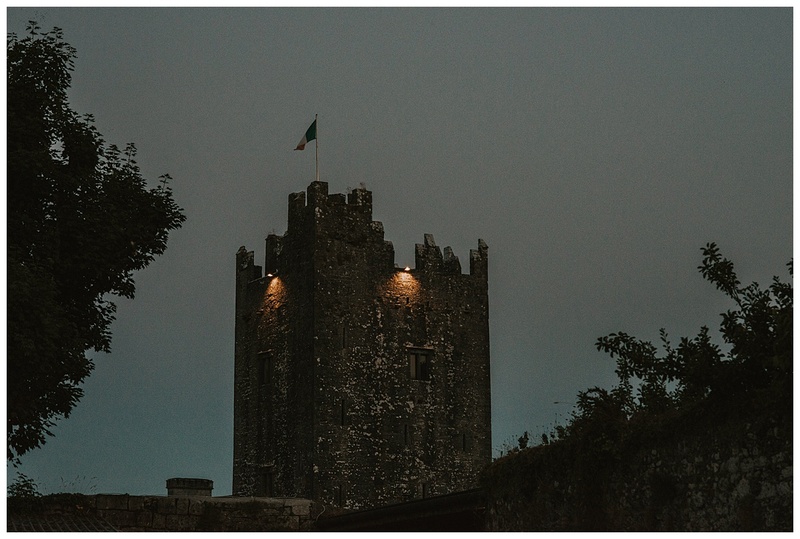 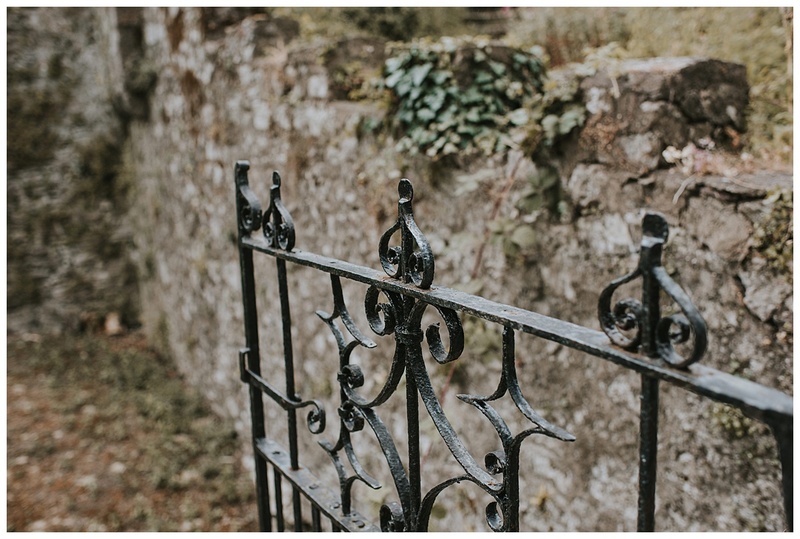 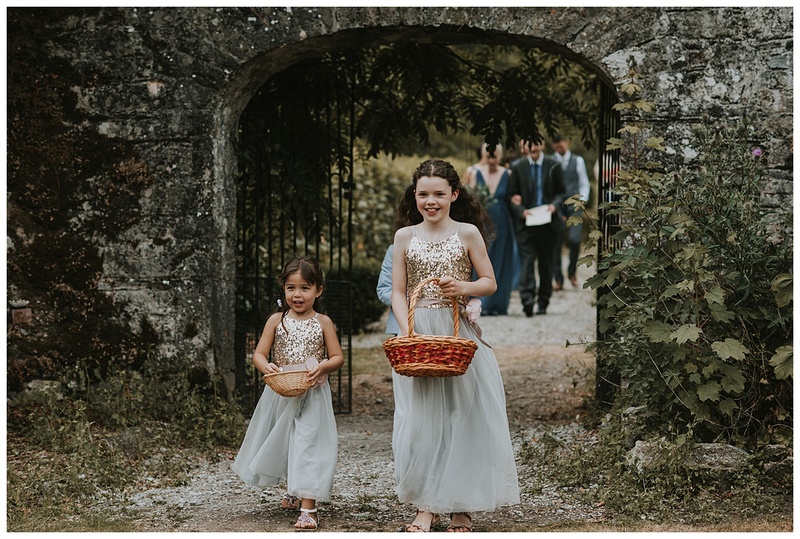 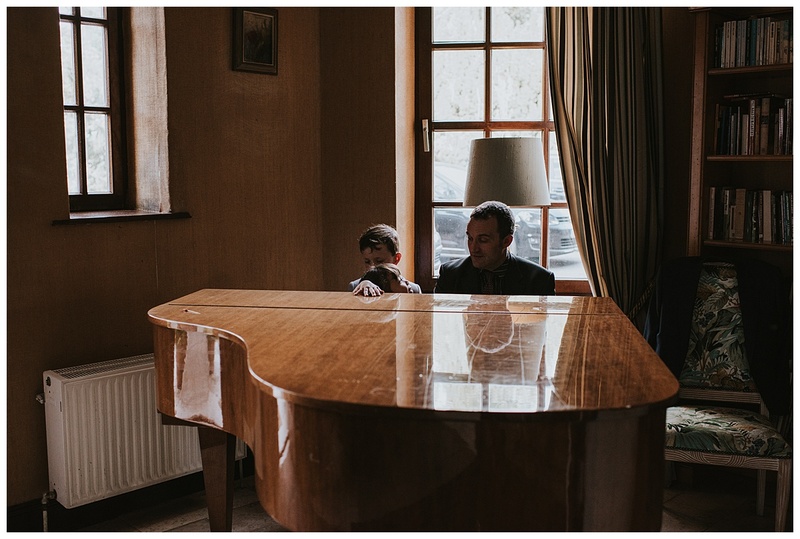 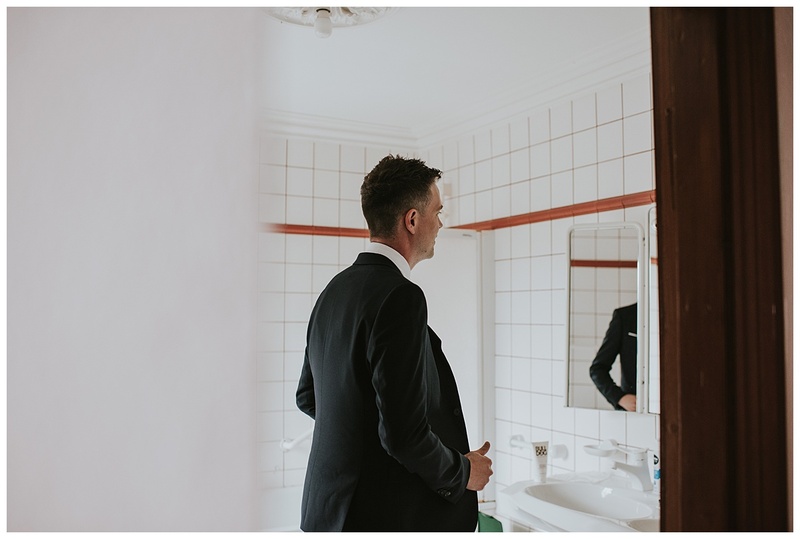 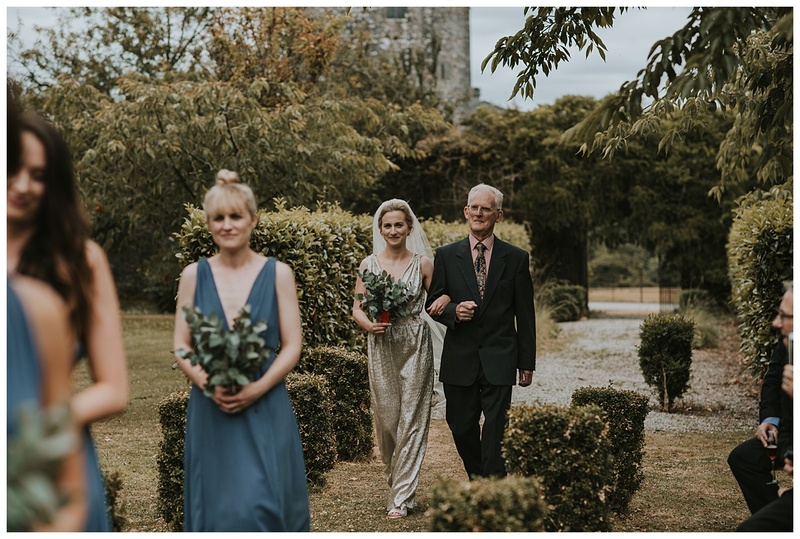 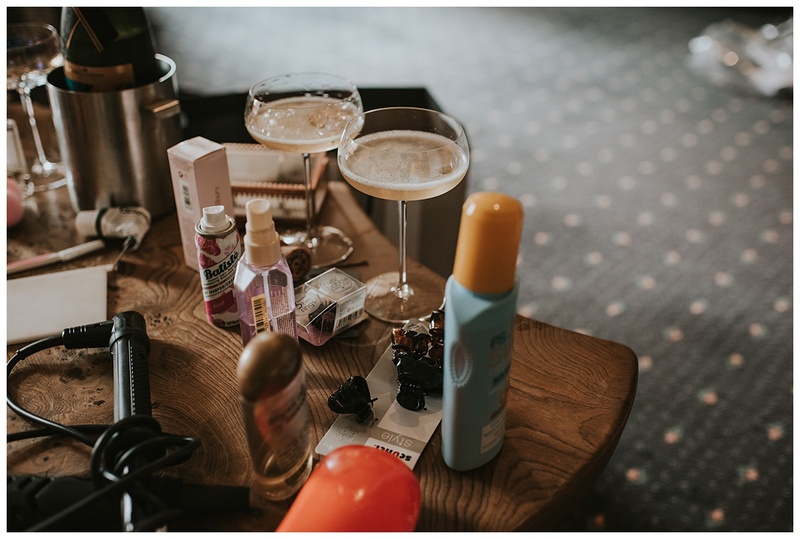 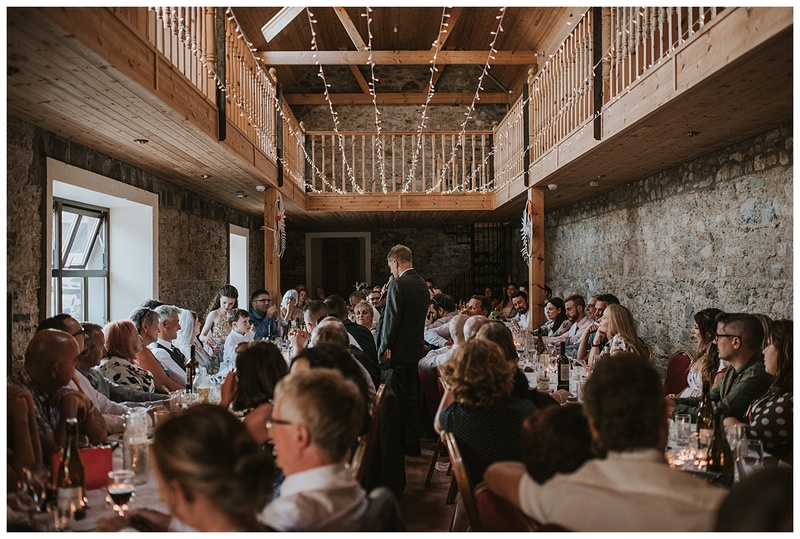 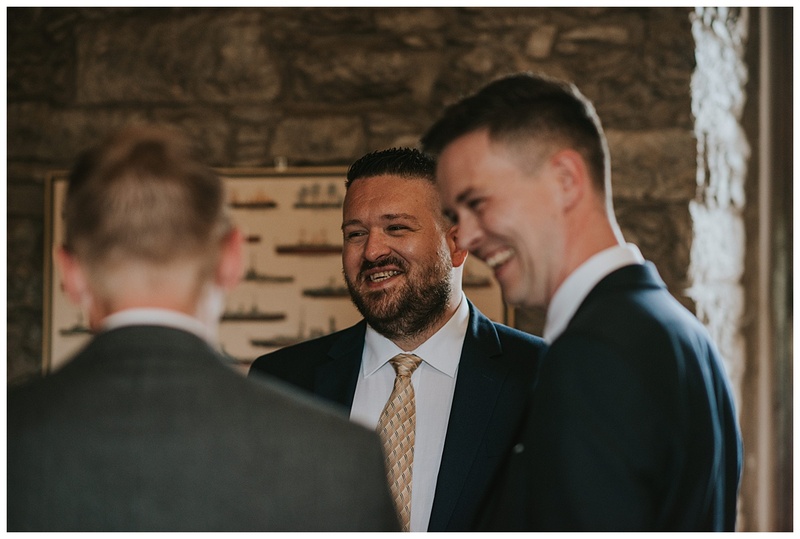 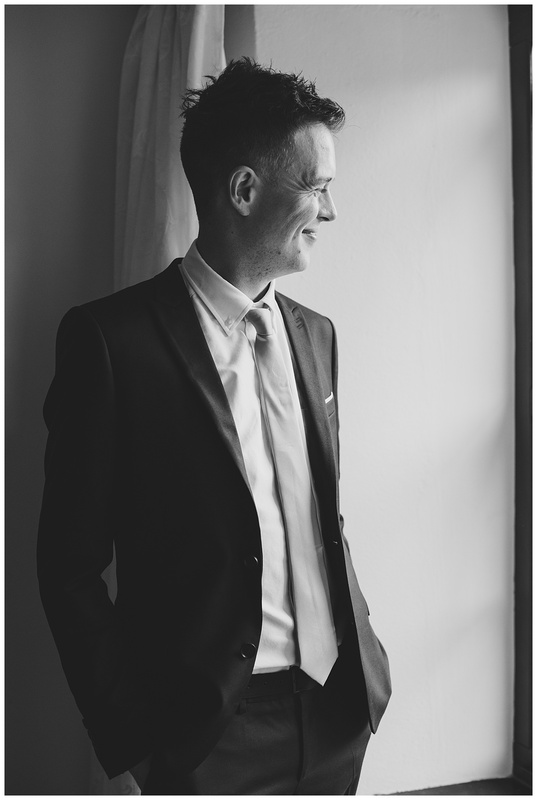 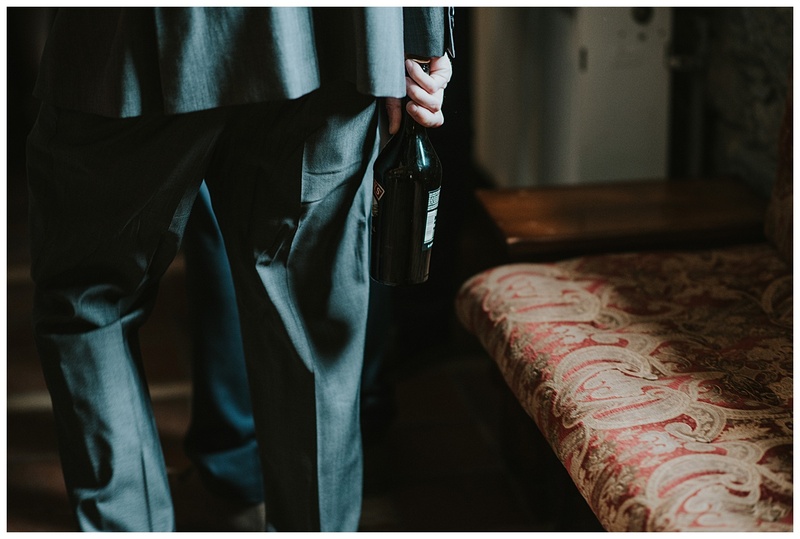 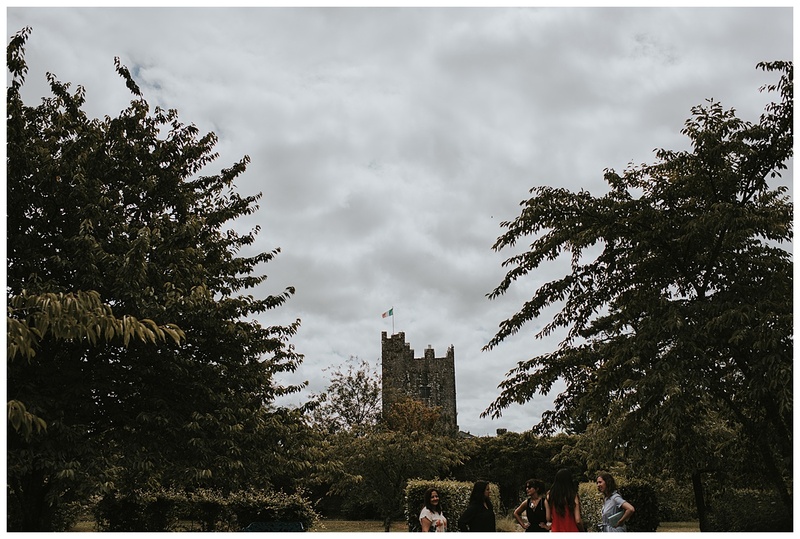 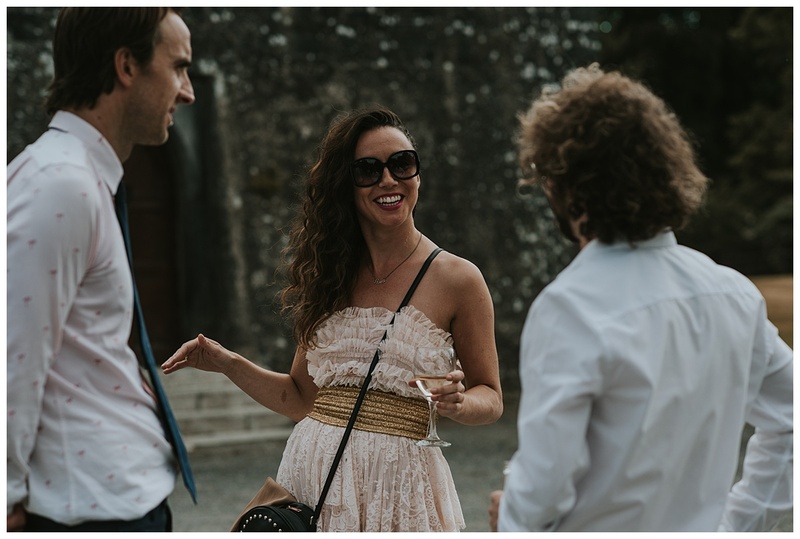 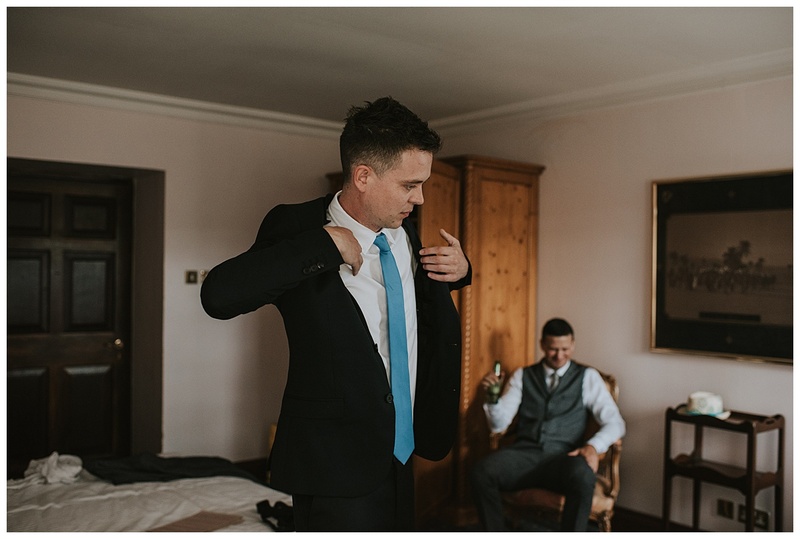 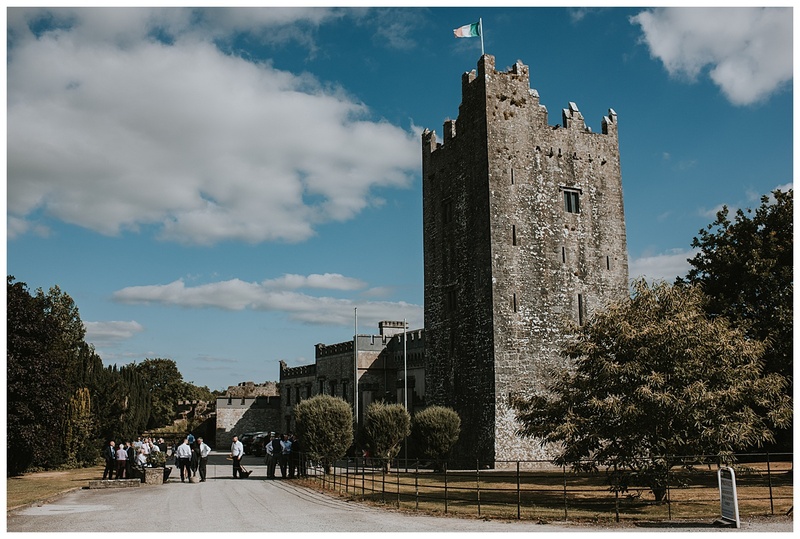 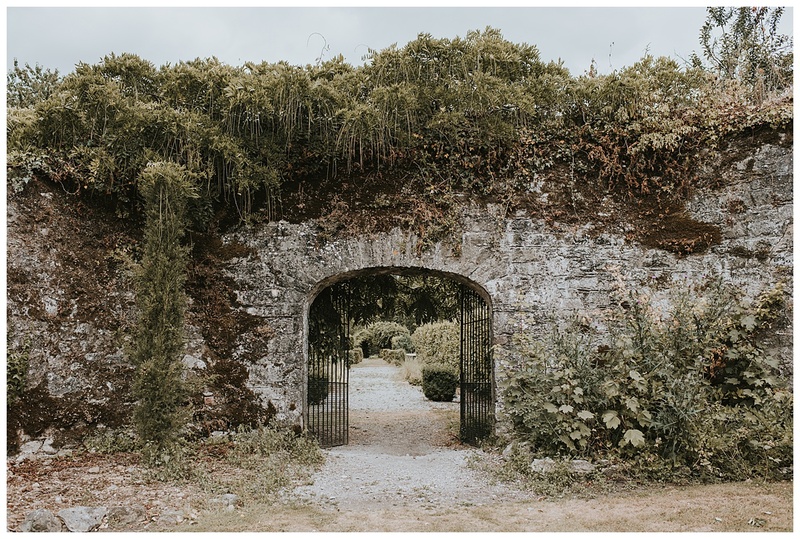 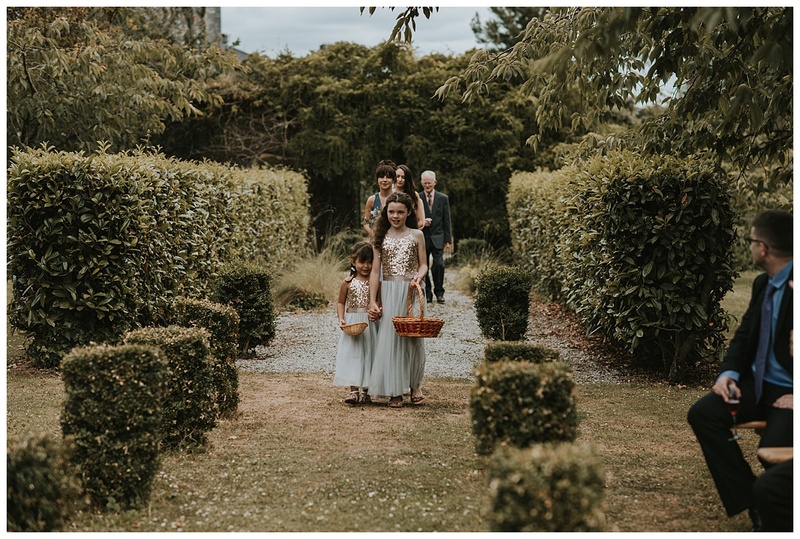 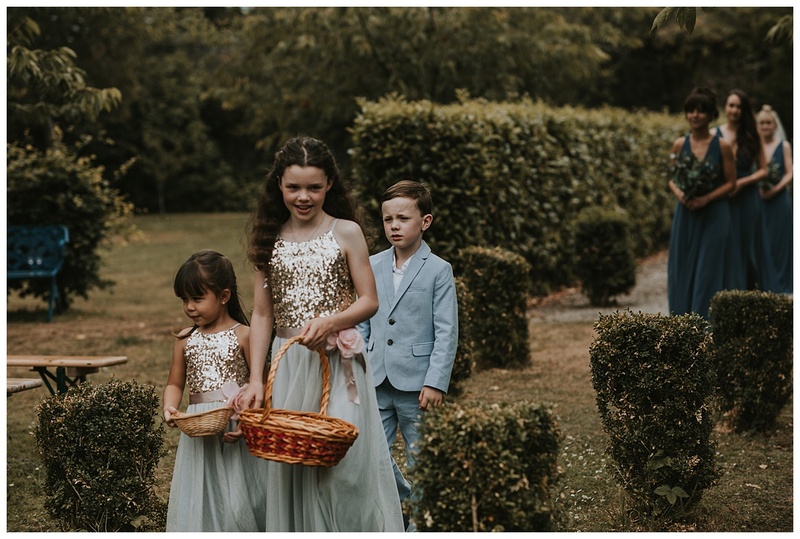 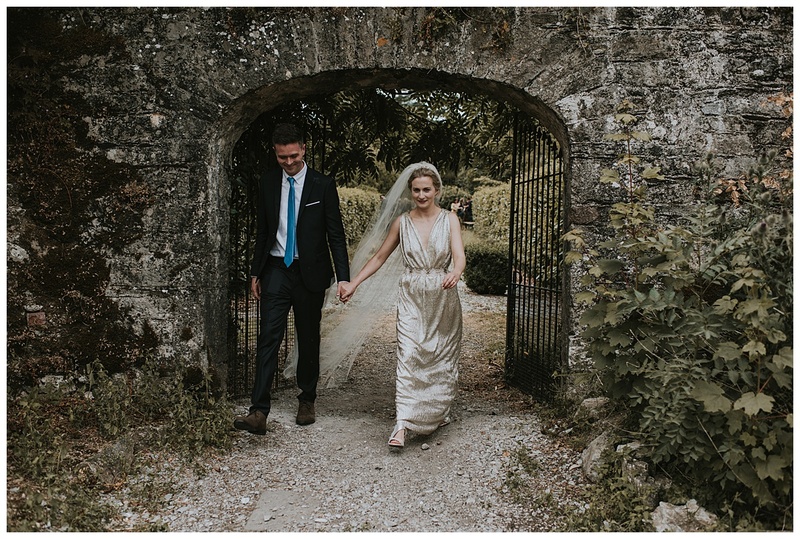 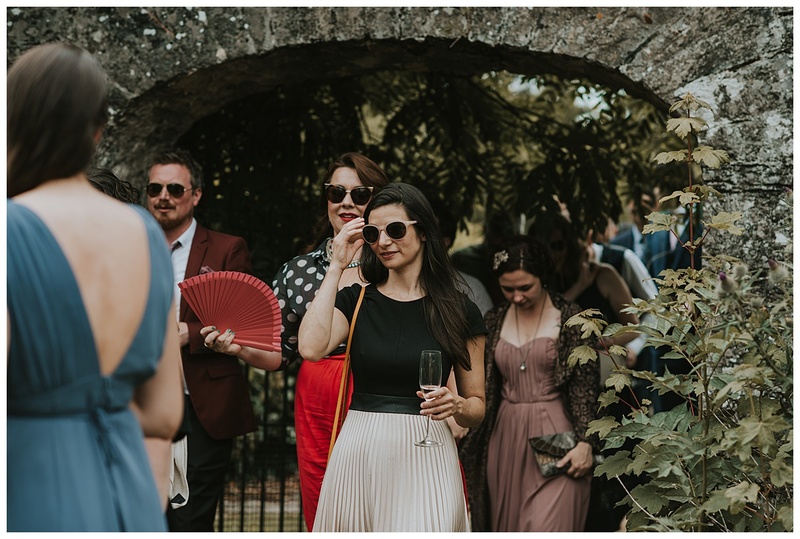 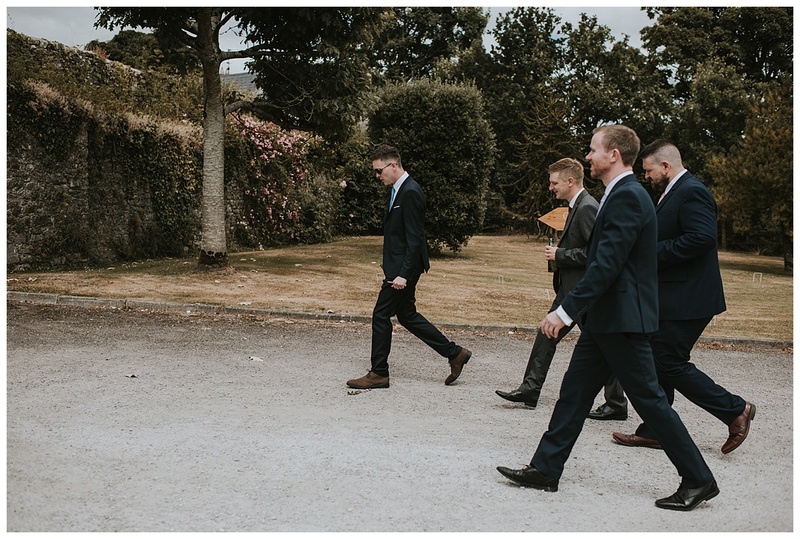 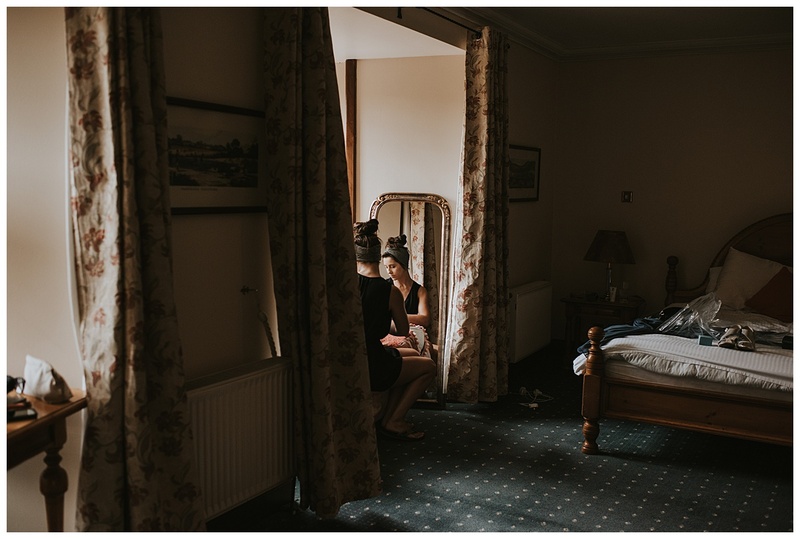 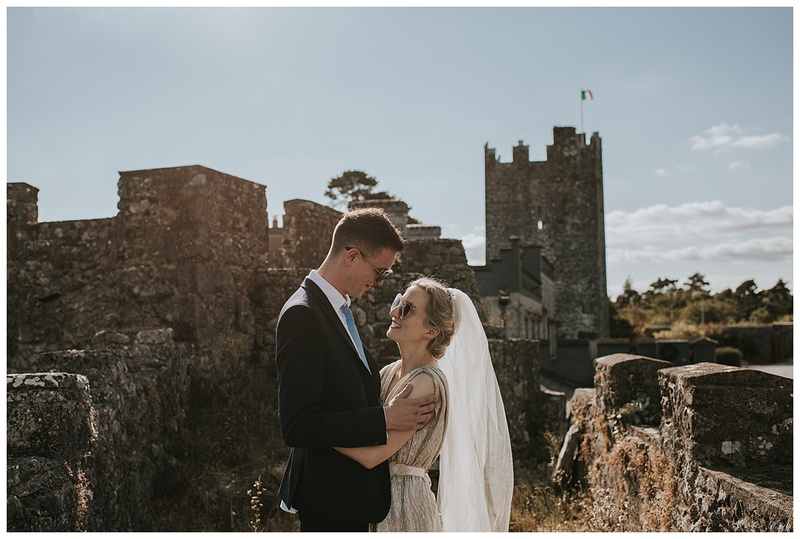 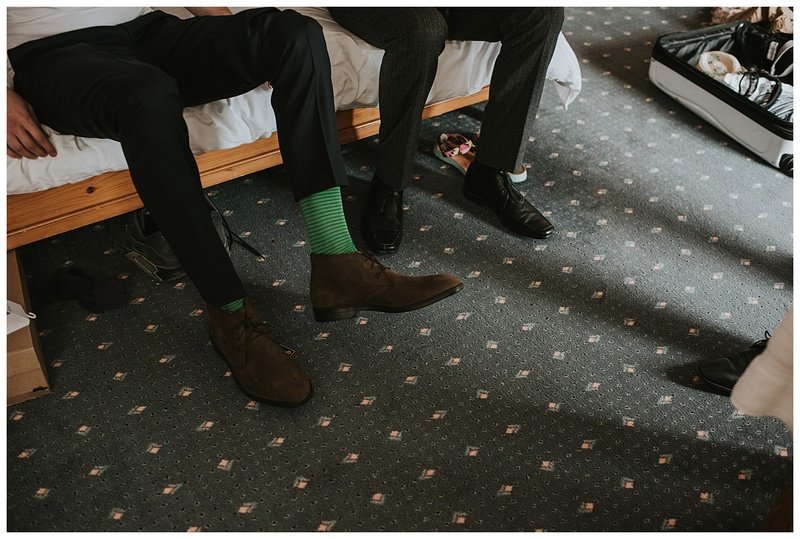 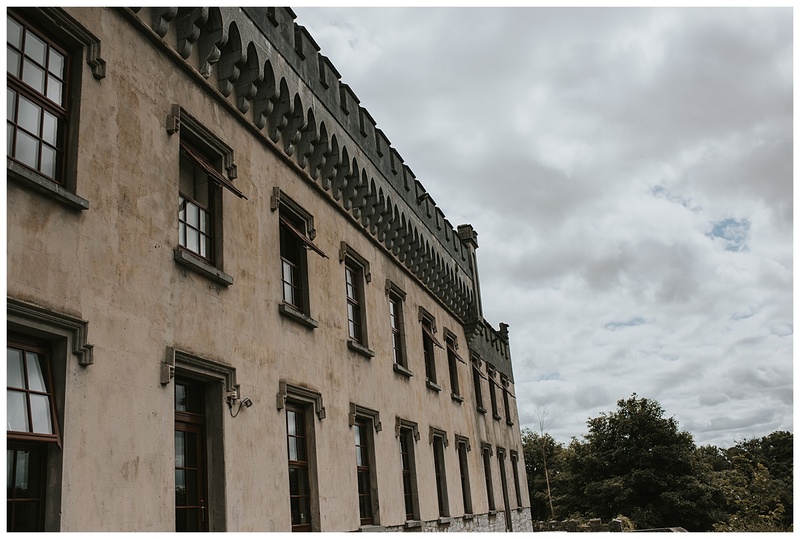 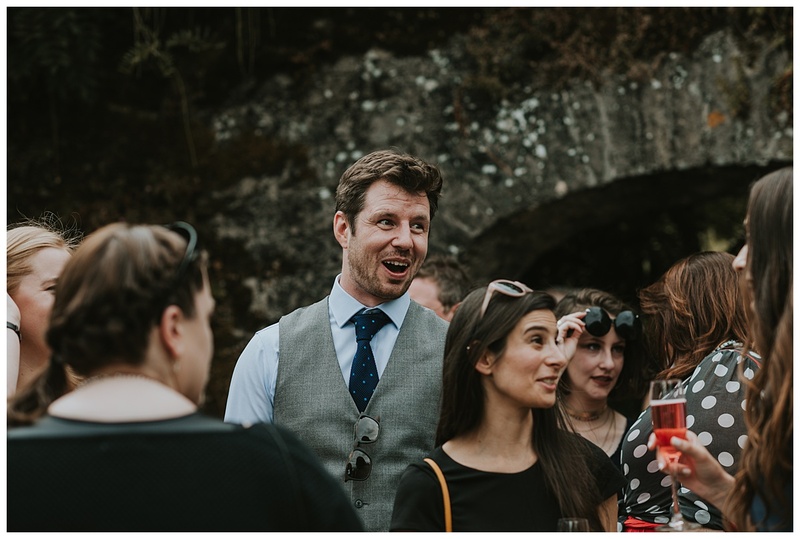 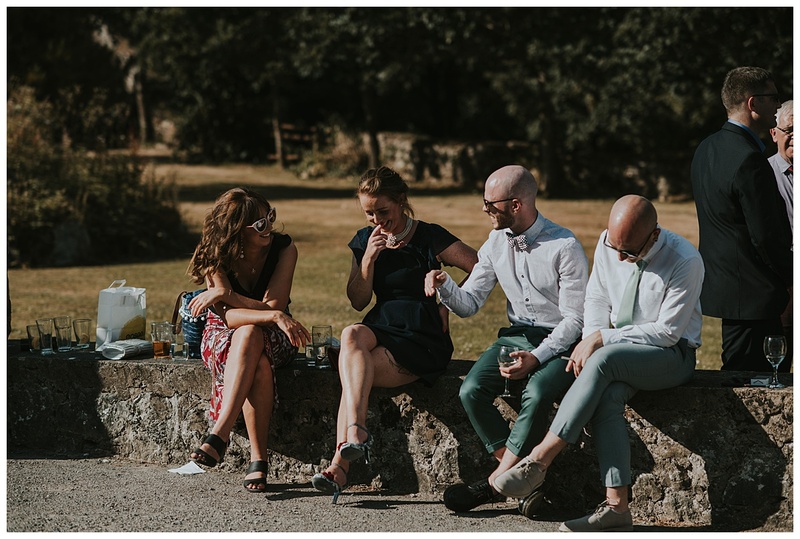 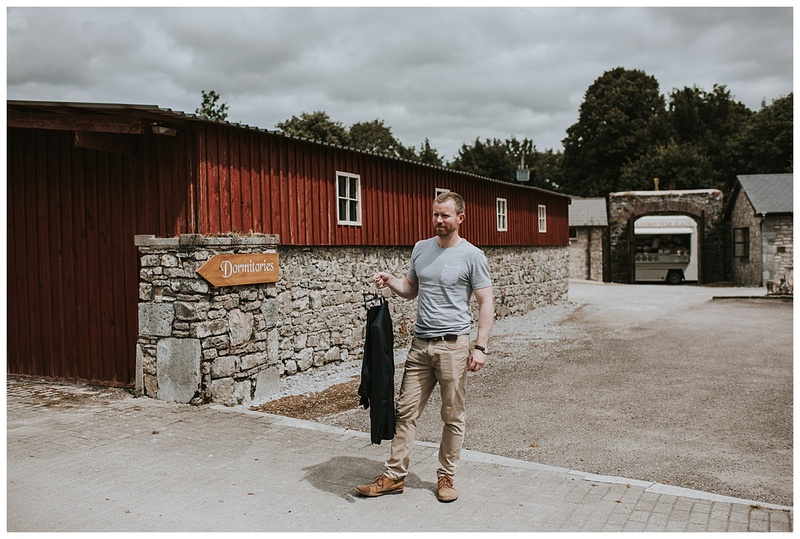 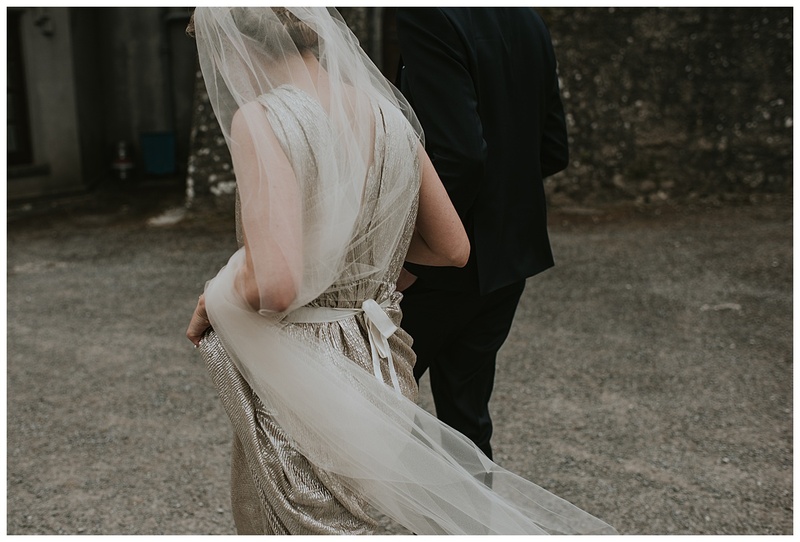 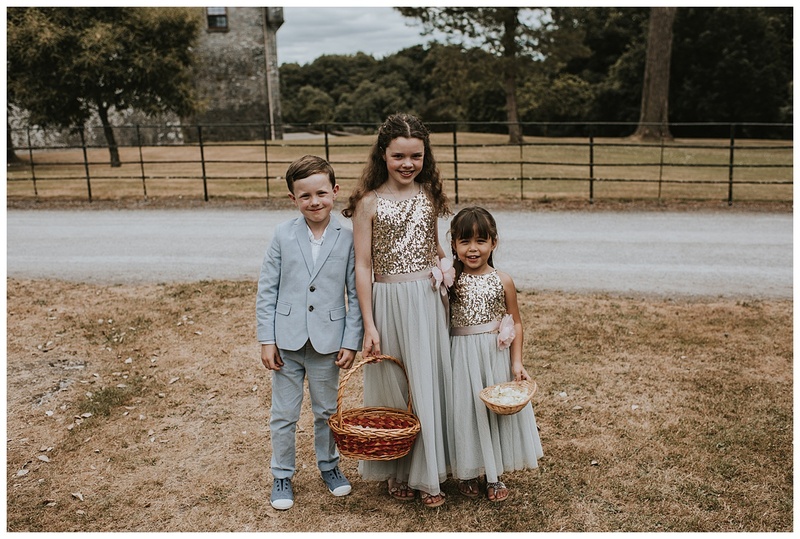 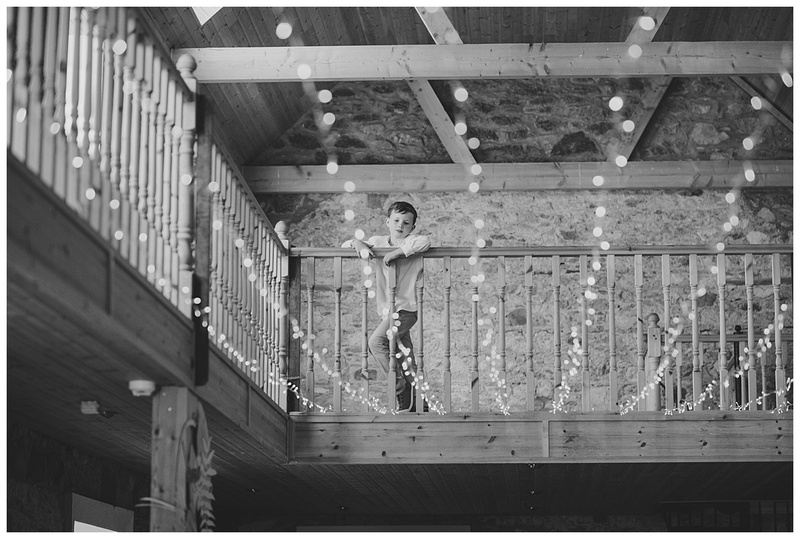 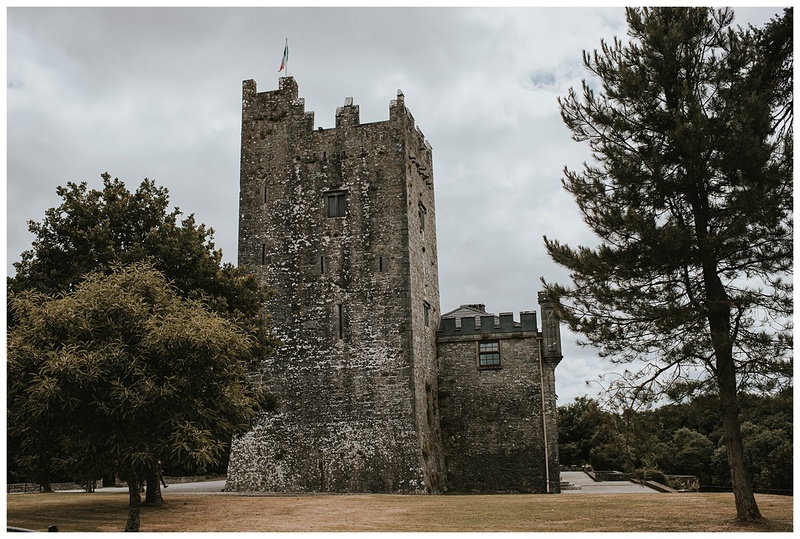 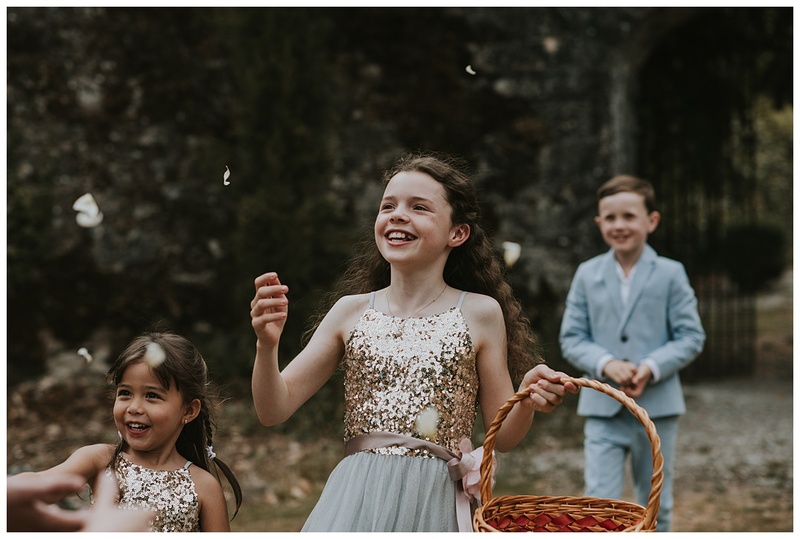 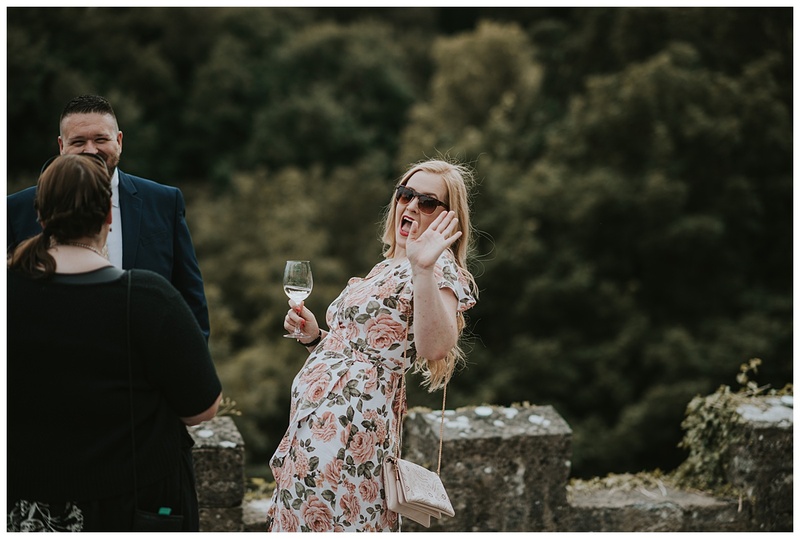 Continuing on with the summer weddings is this wonderfully relaxed wedding of Pearl and Ciaran at the very cool Blackwater Castle in Cork. 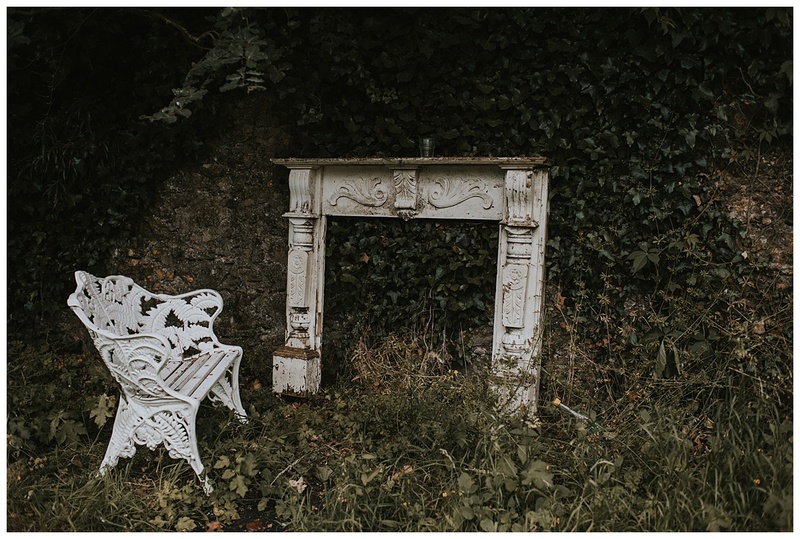 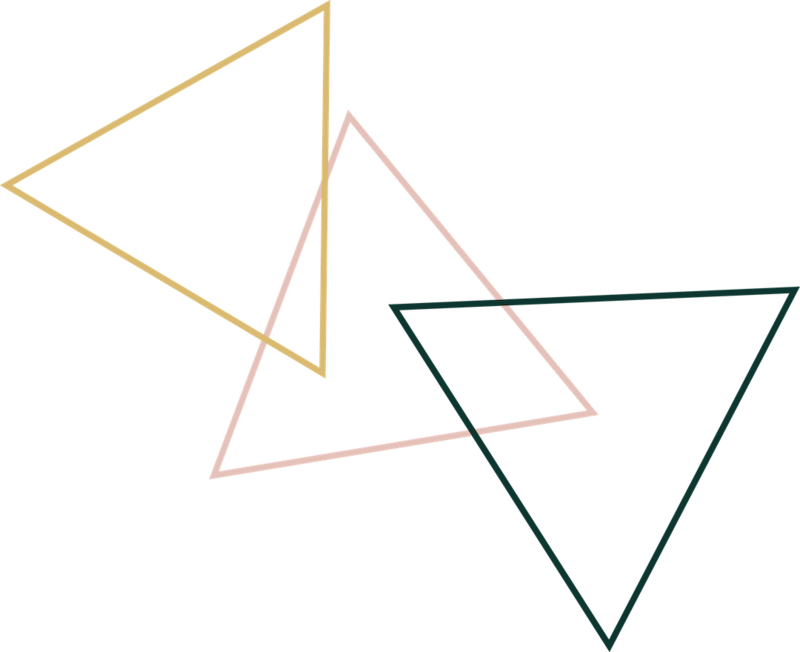 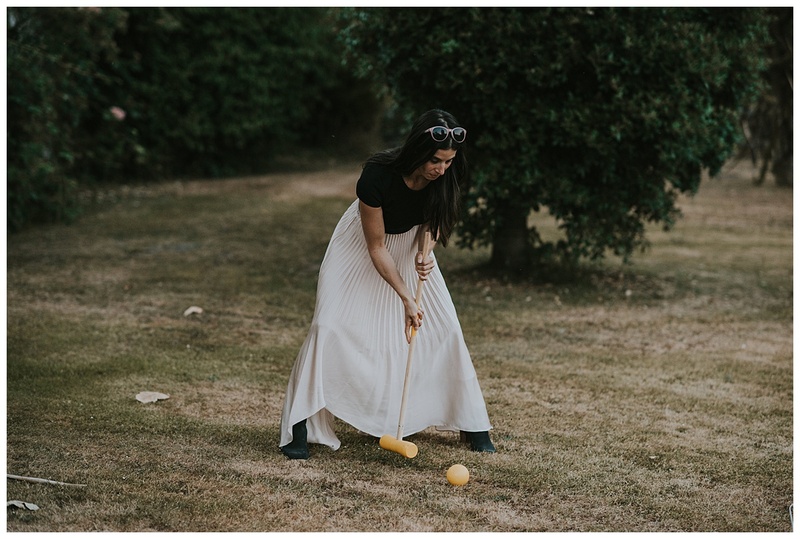 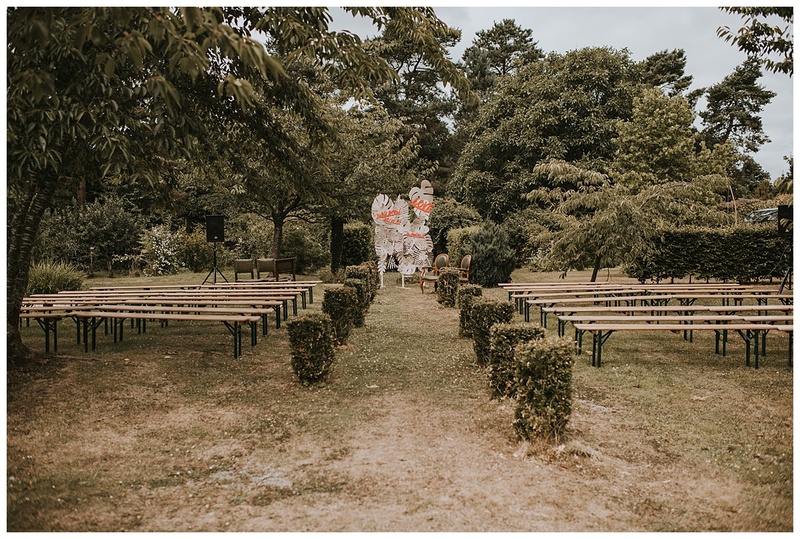 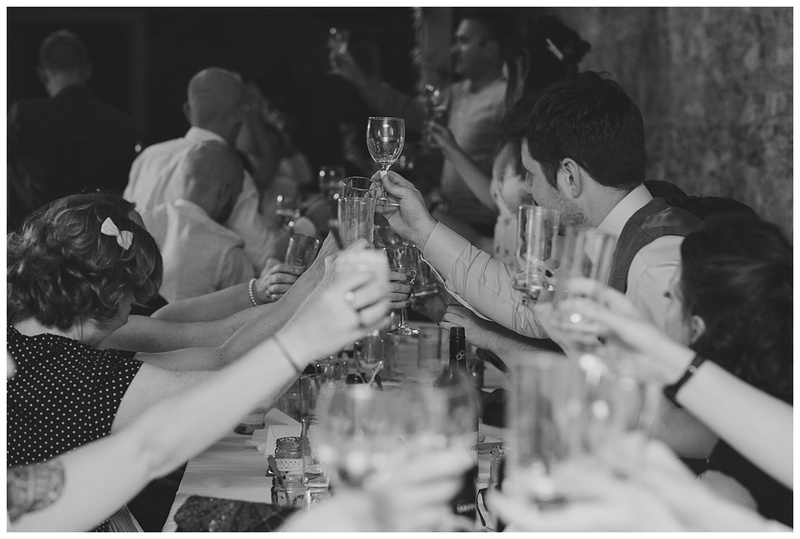 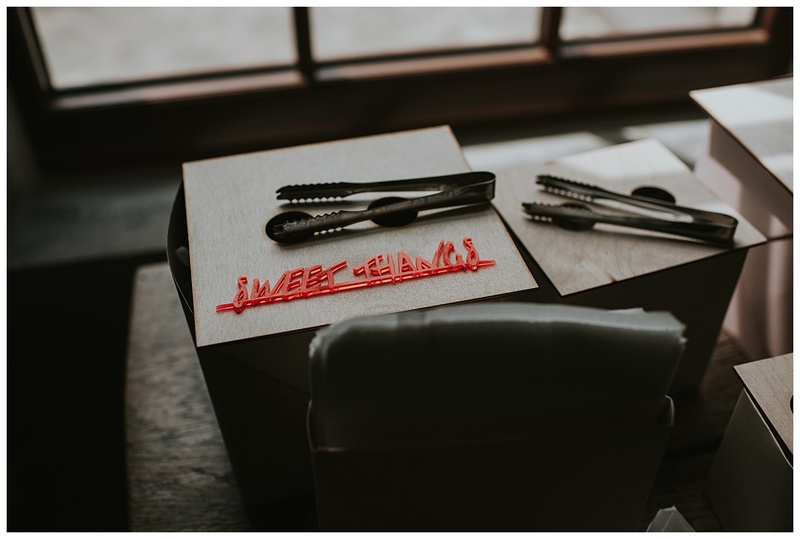 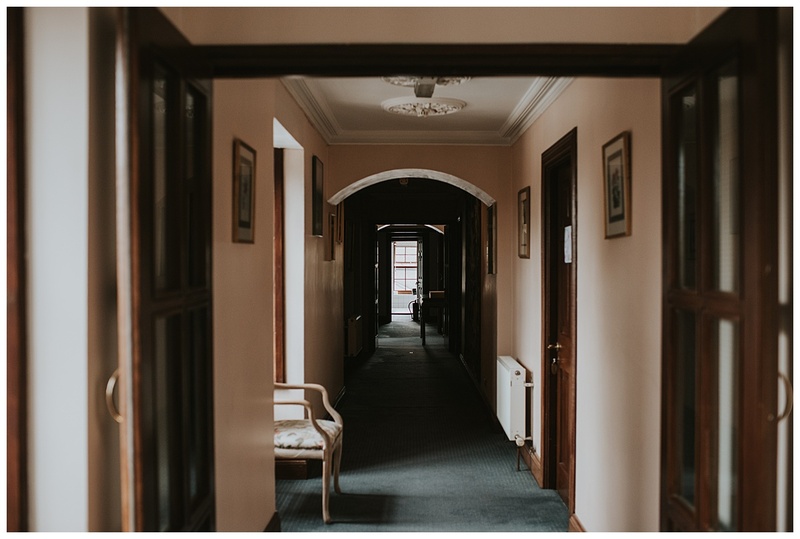 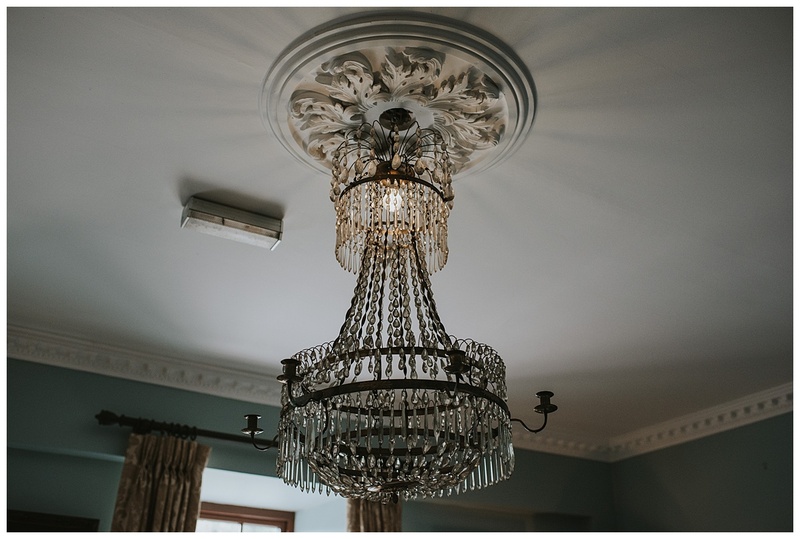 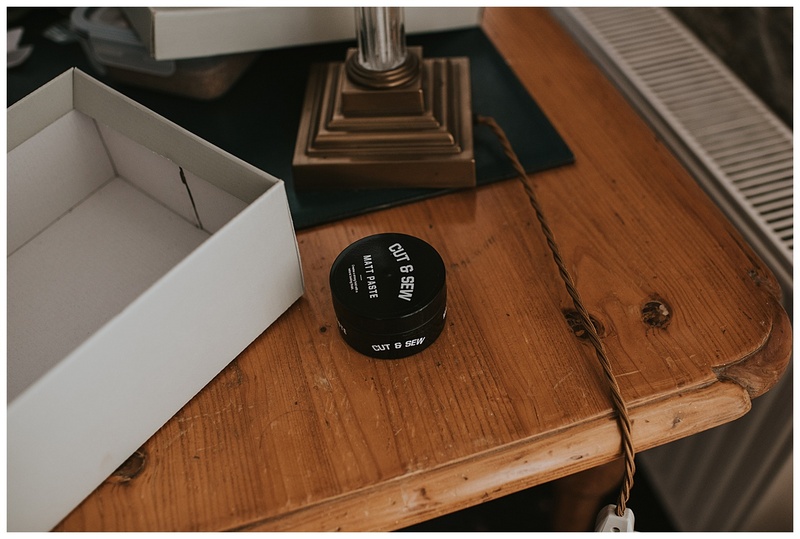 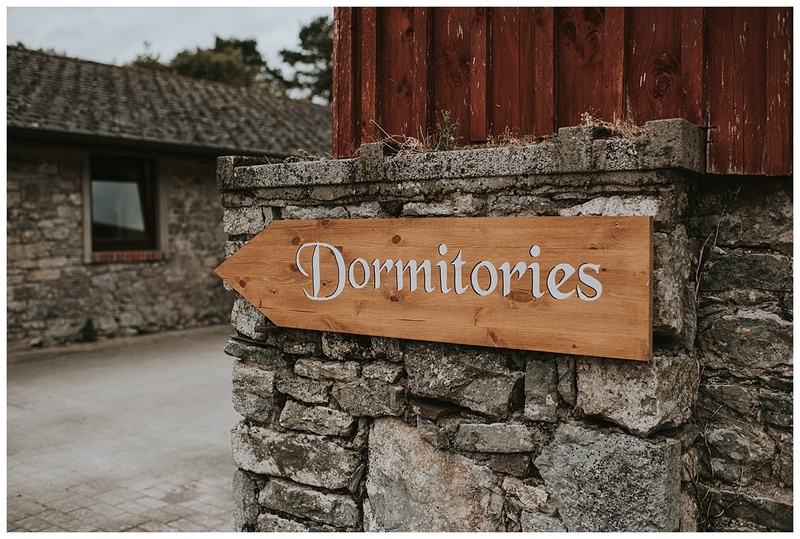 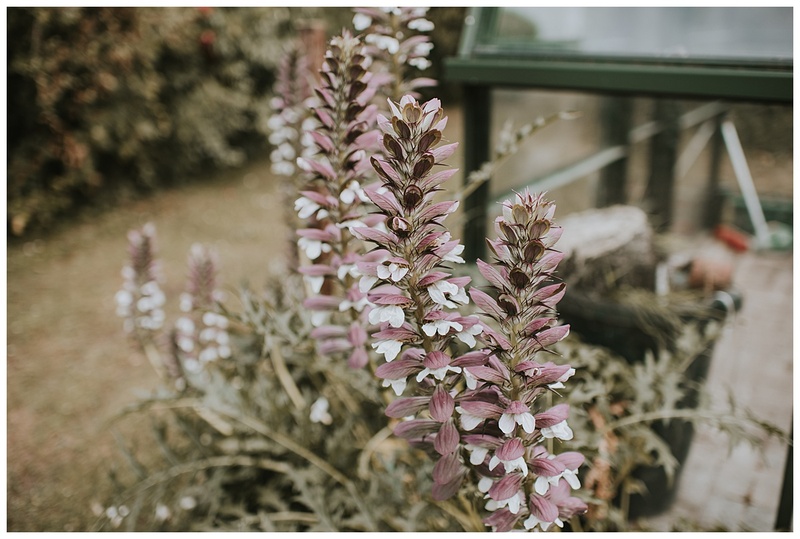 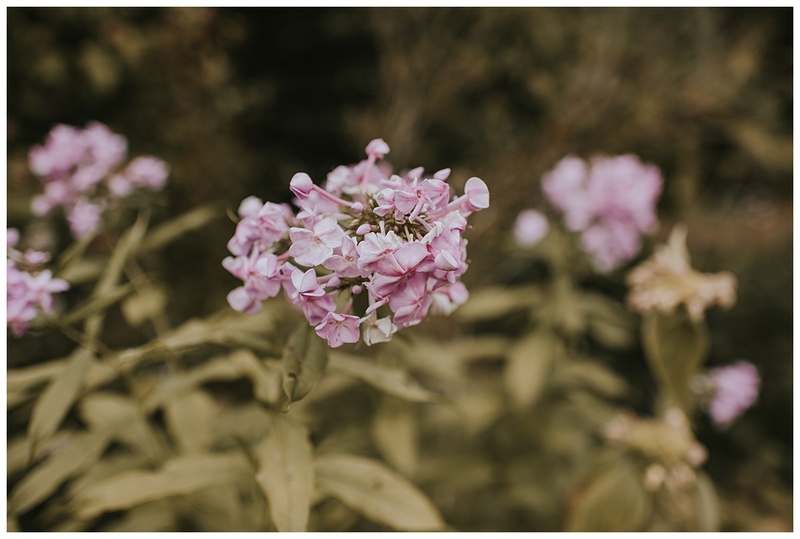 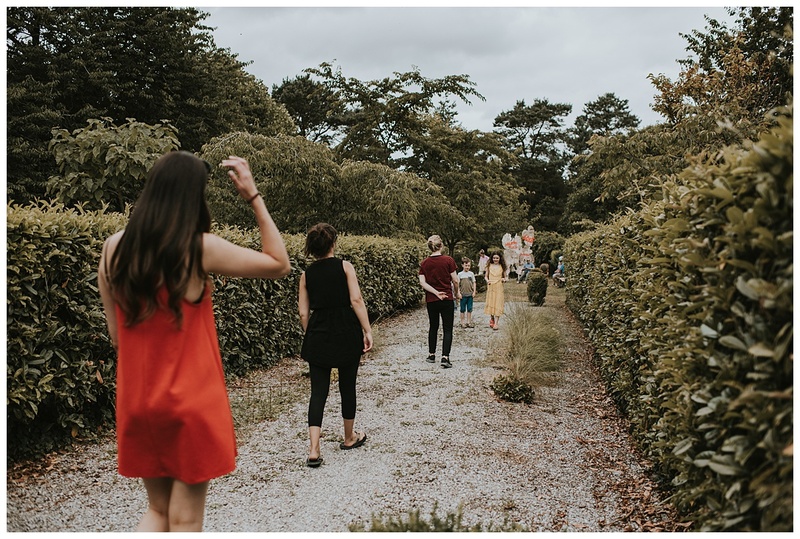 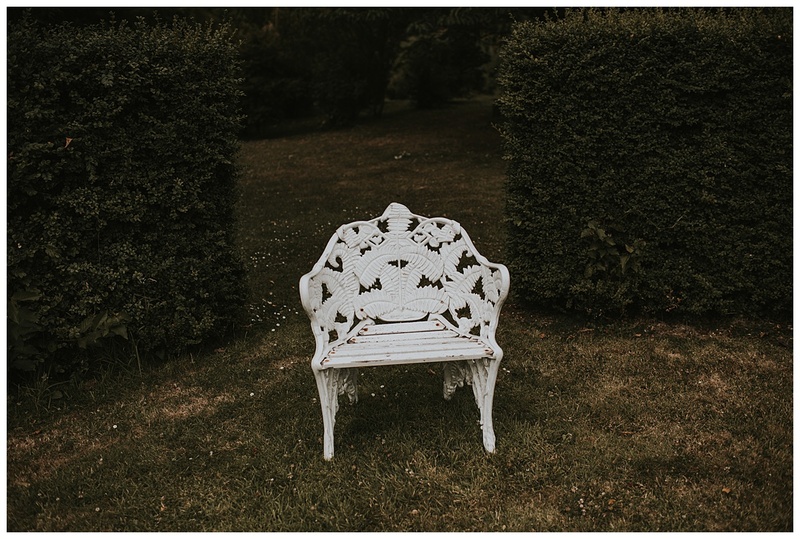 This venue is a blank canvas for relaxed brides wanting something a little different for their day. 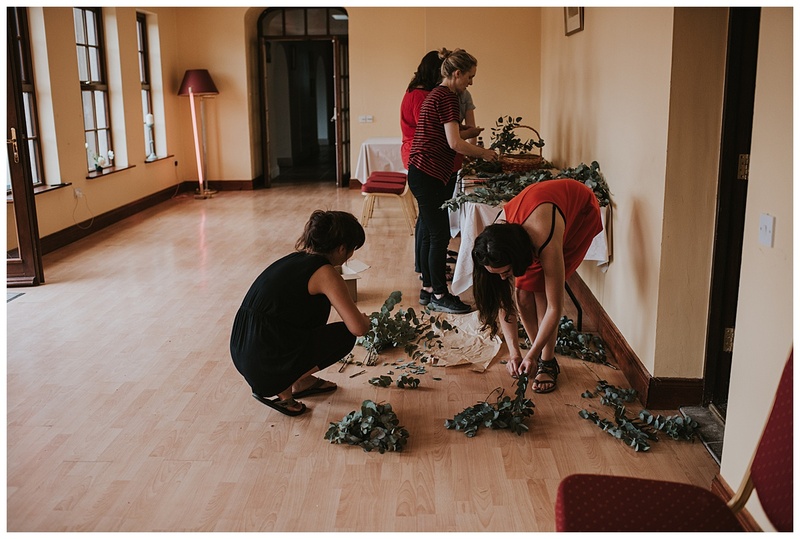 It was another scorcher of a day and from the minute I arrived it was all hands on deck to get everything ready. 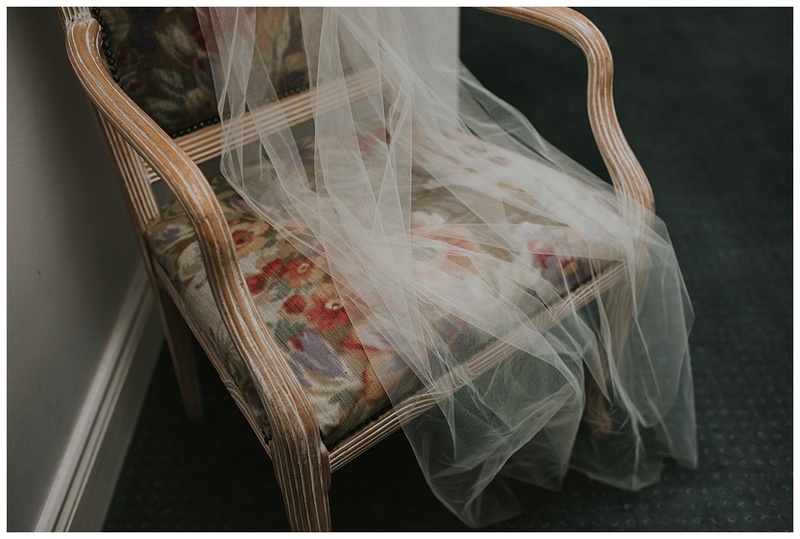 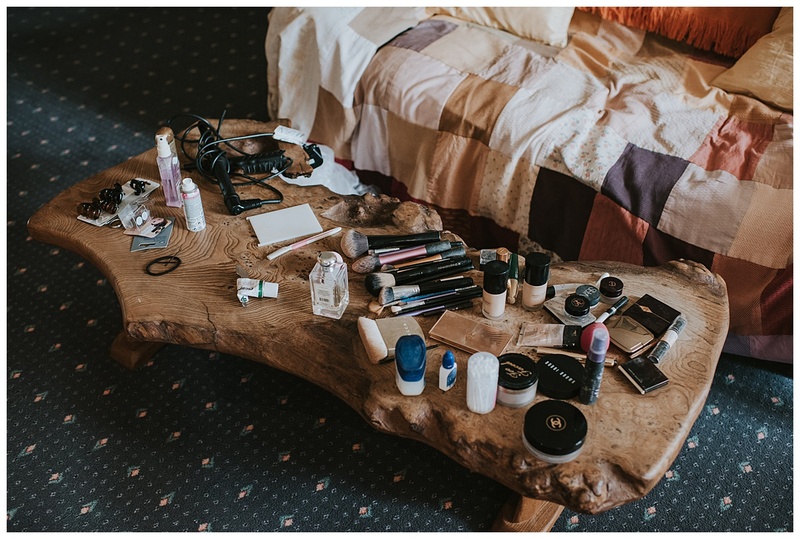 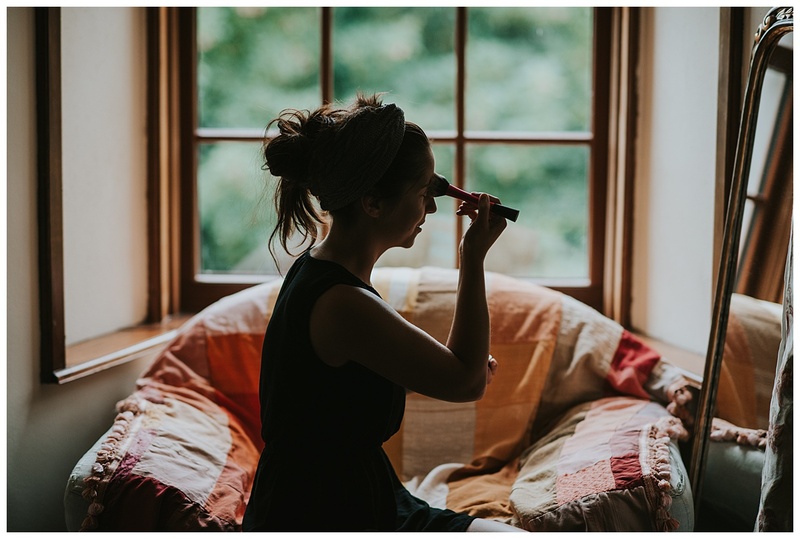 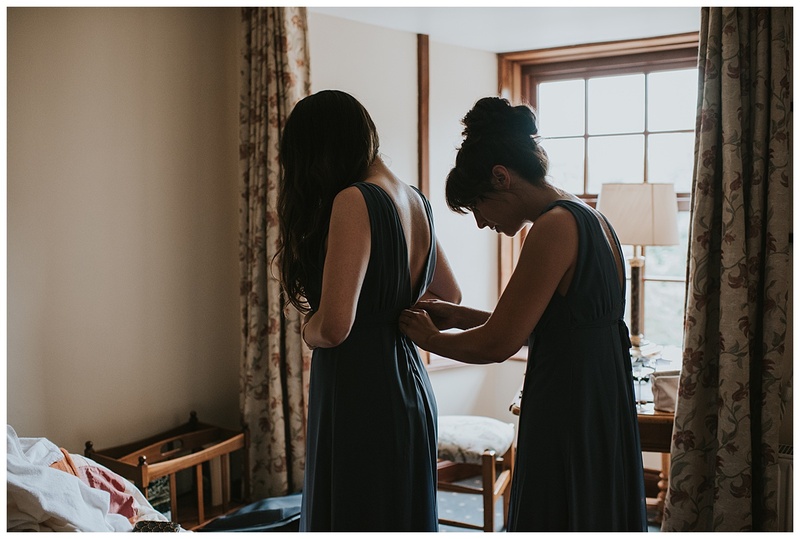 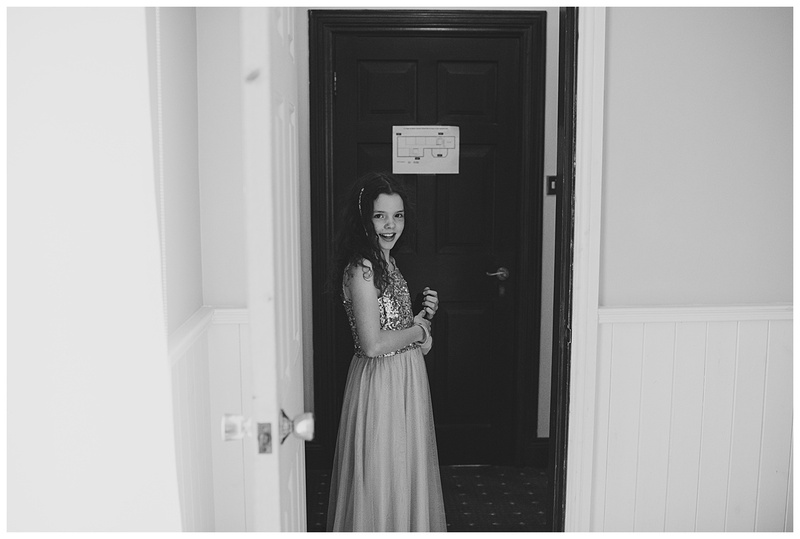 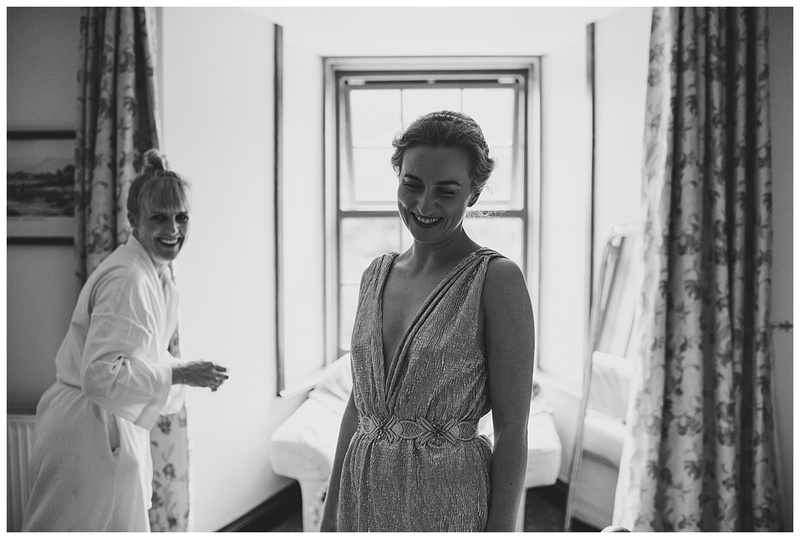 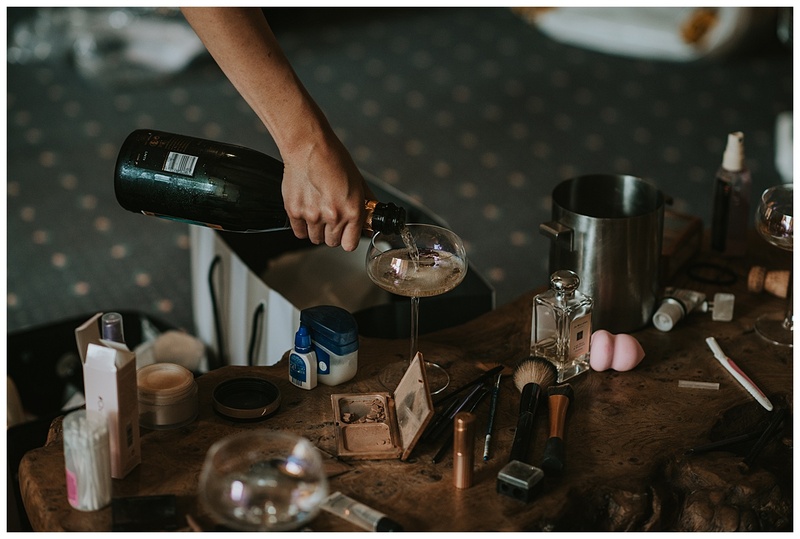 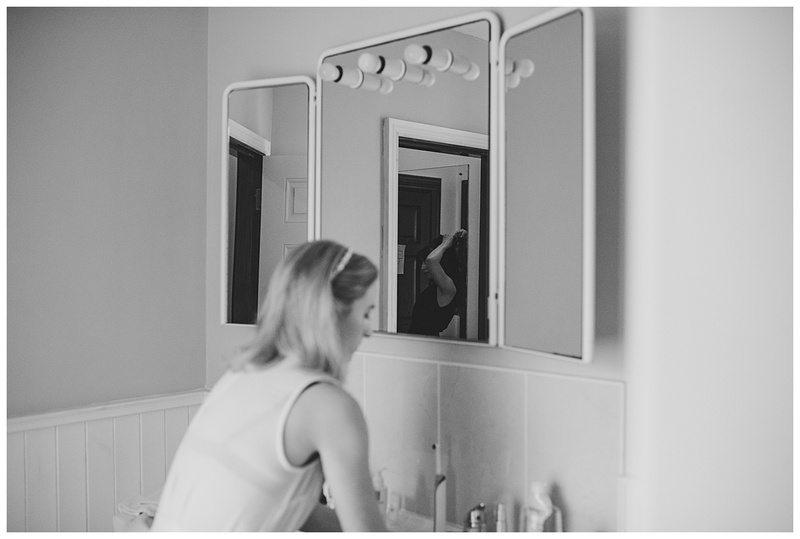 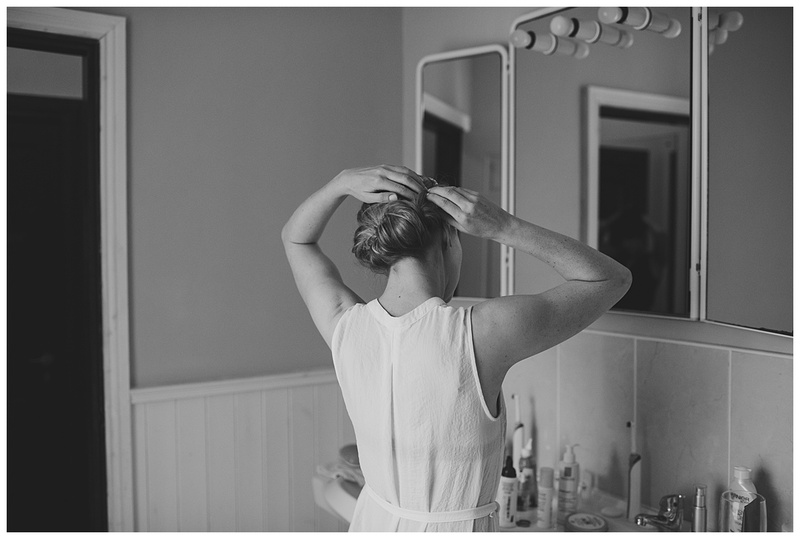 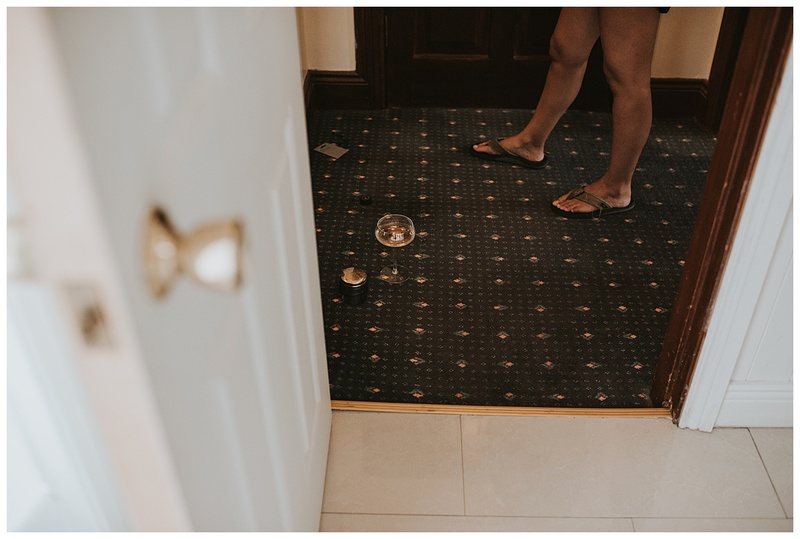 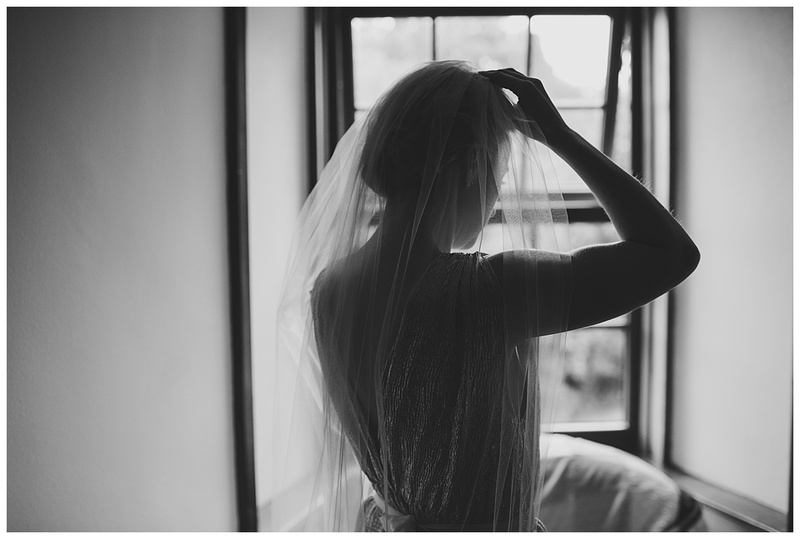 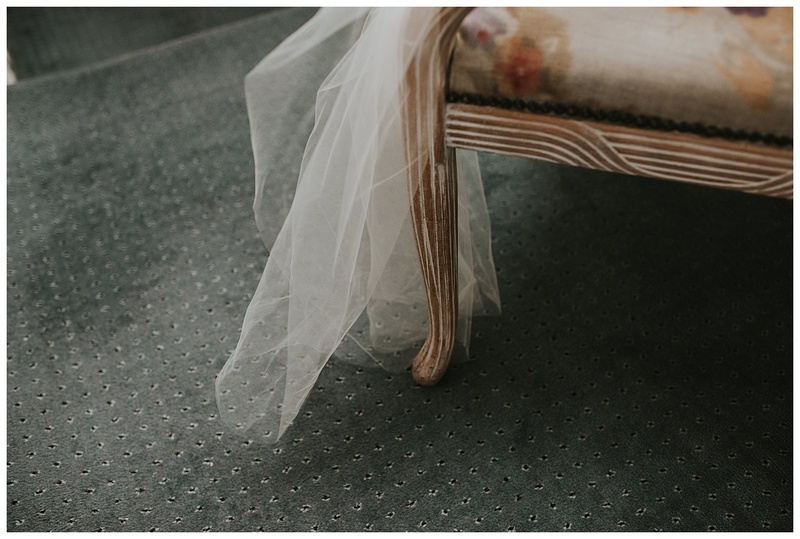 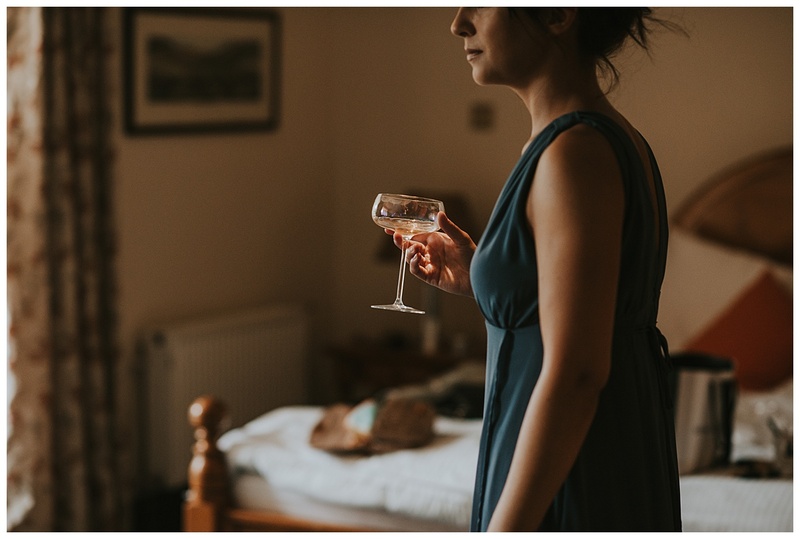 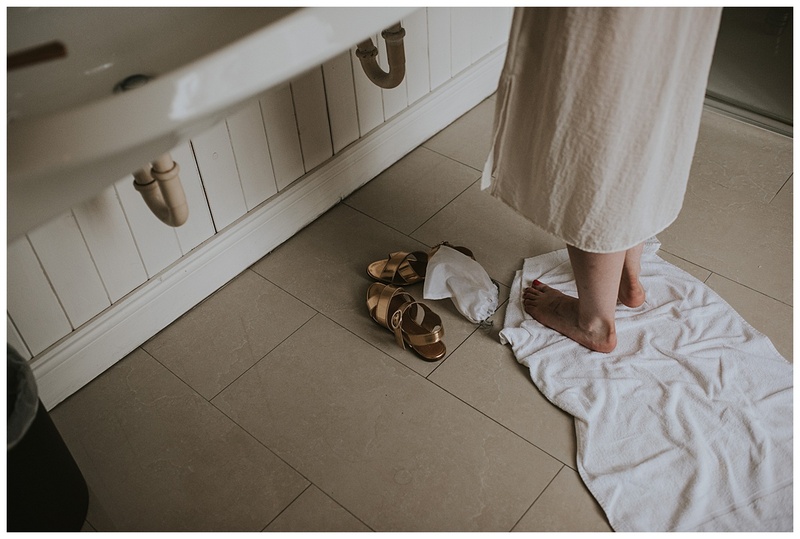 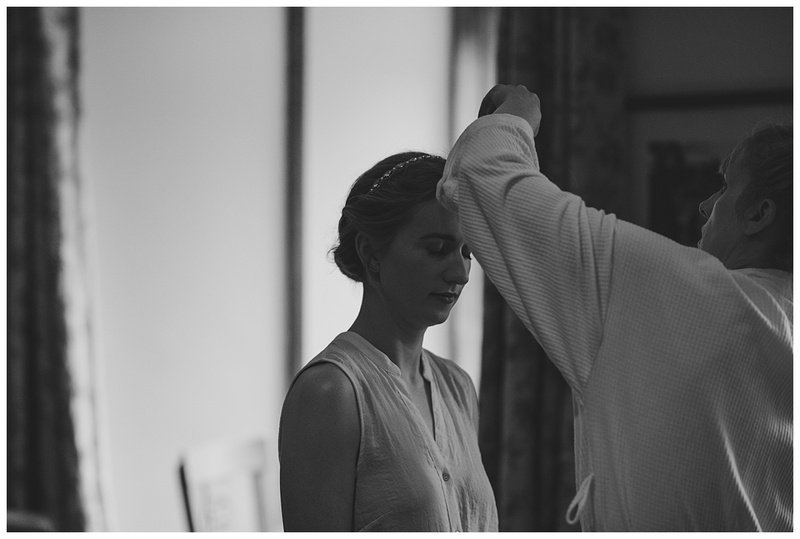 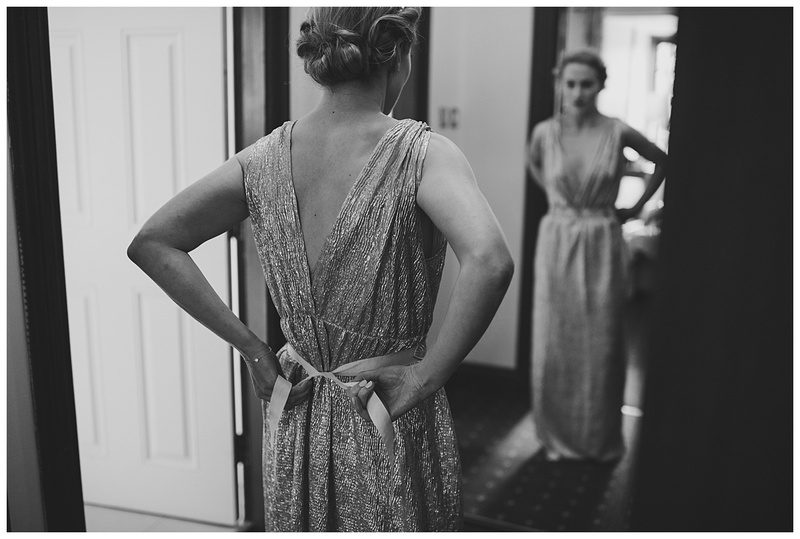 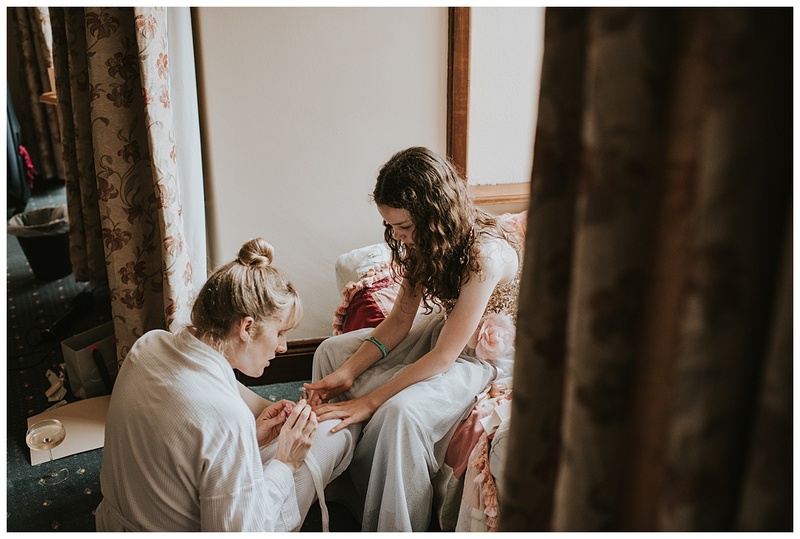 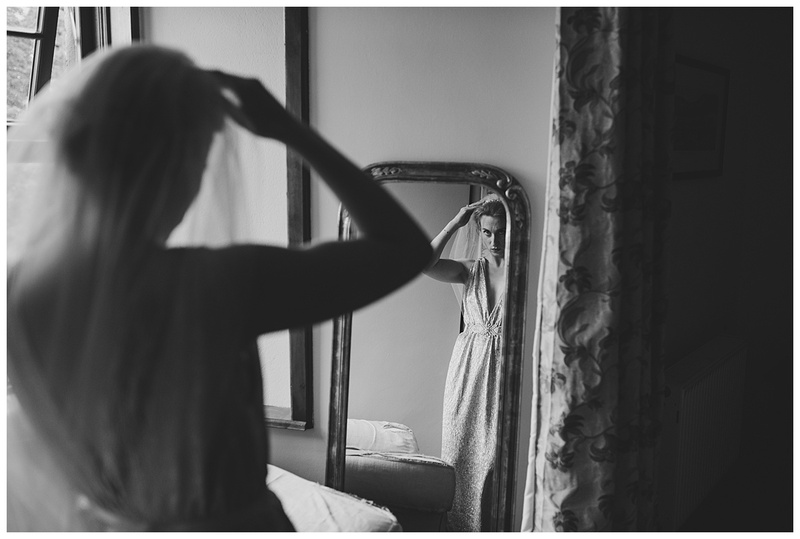 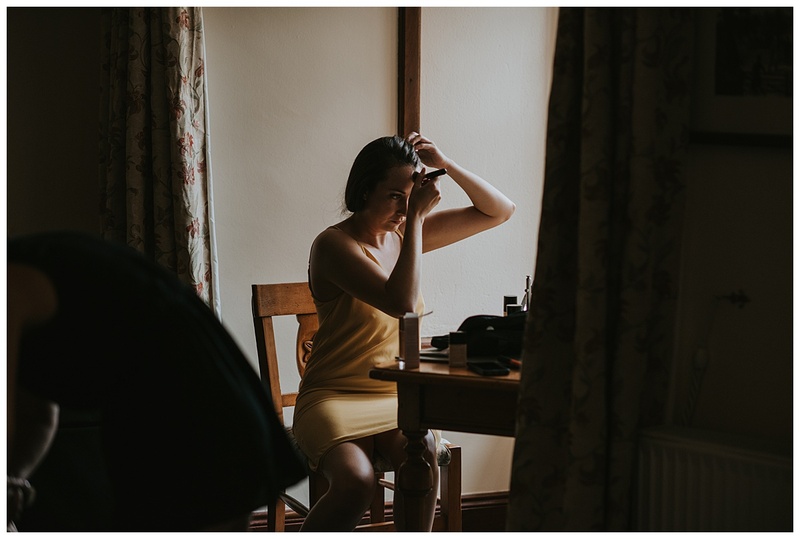 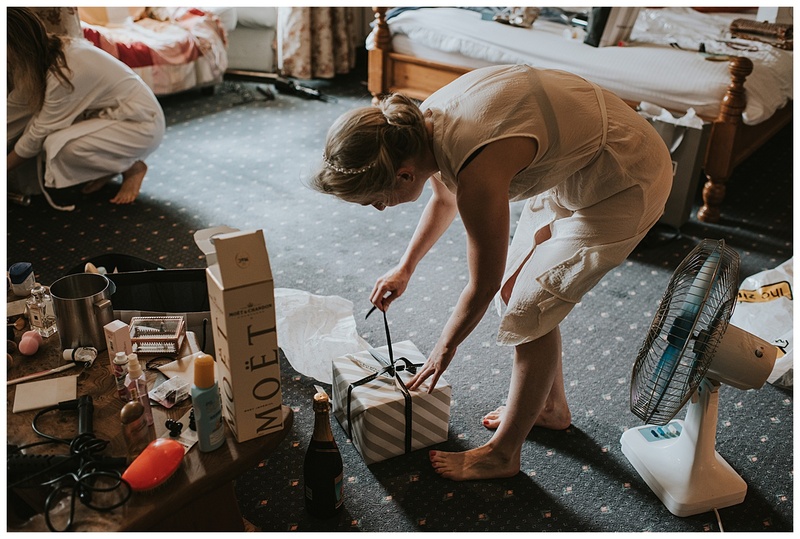 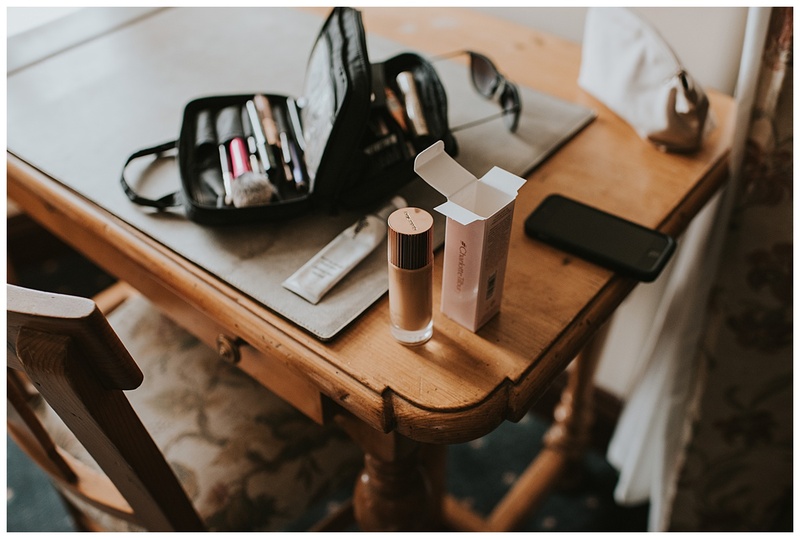 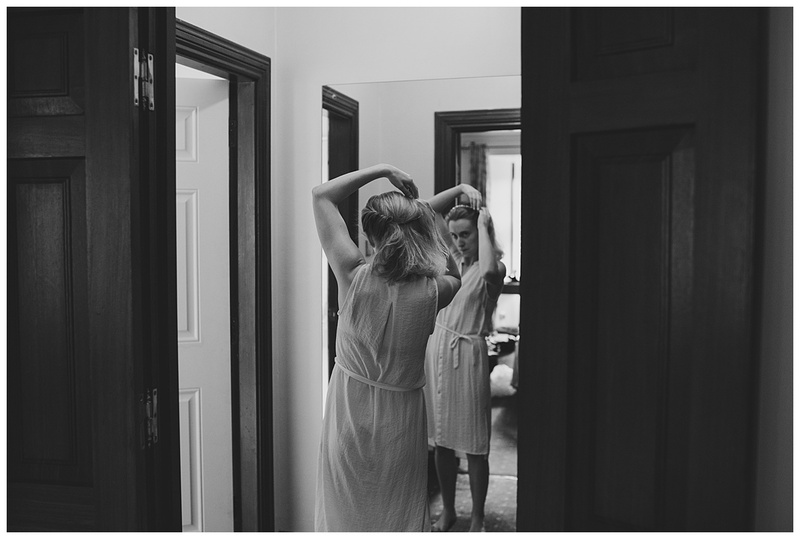 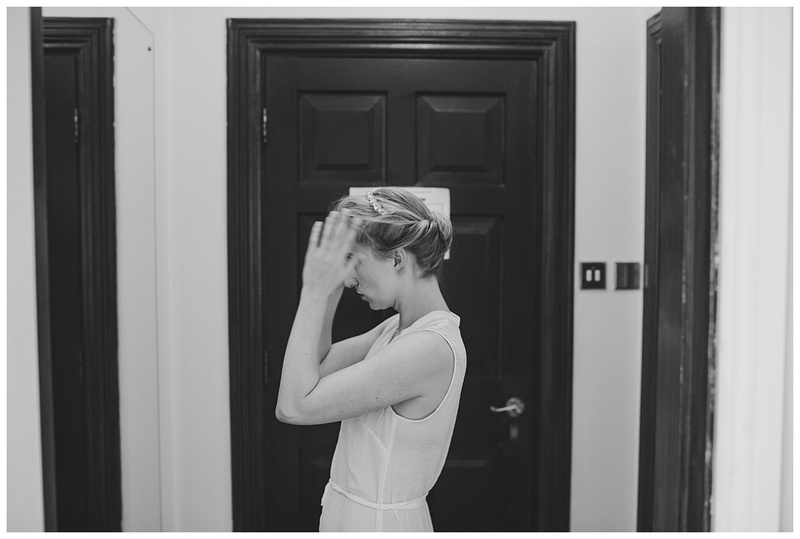 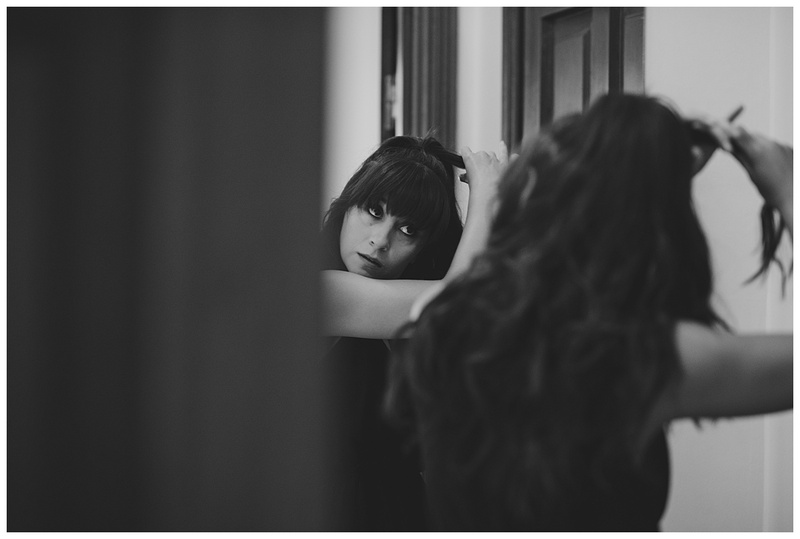 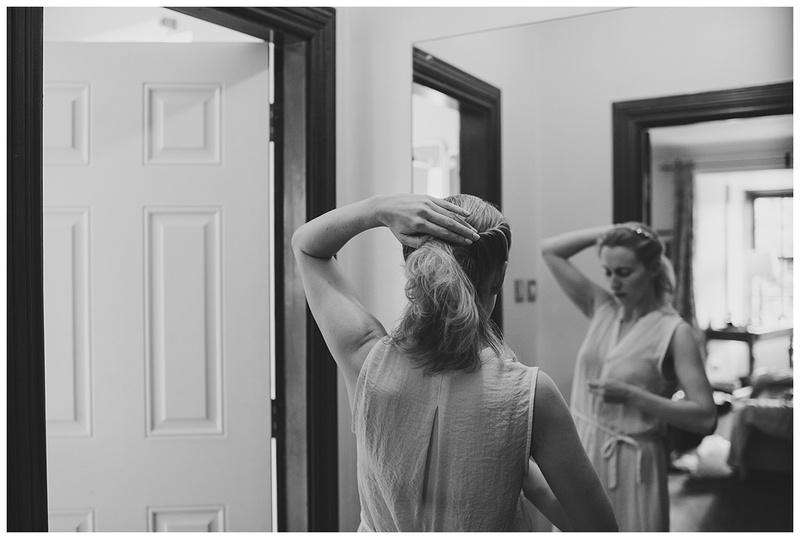 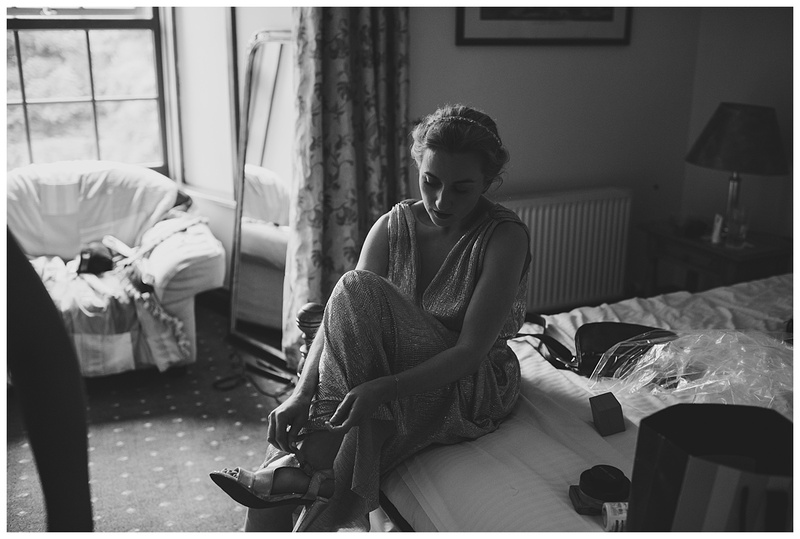 Pearl was there overseeing everything and I have never seen a bride so relaxed on the morning of her wedding. 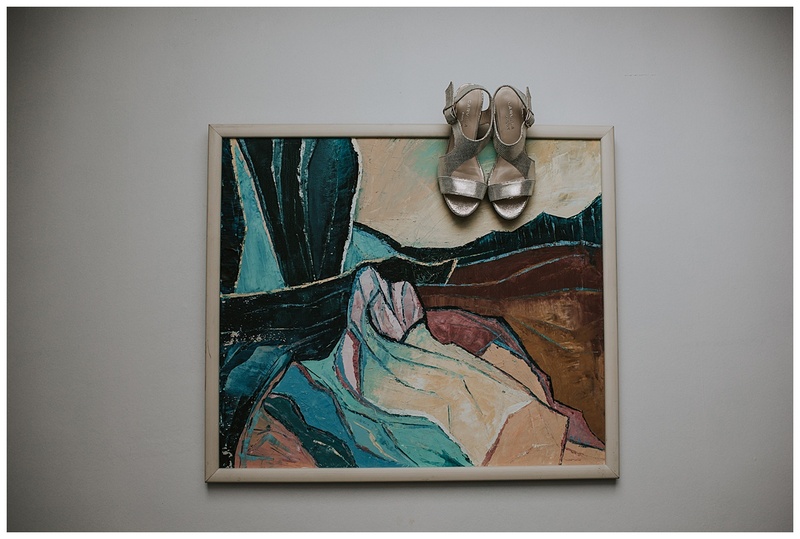 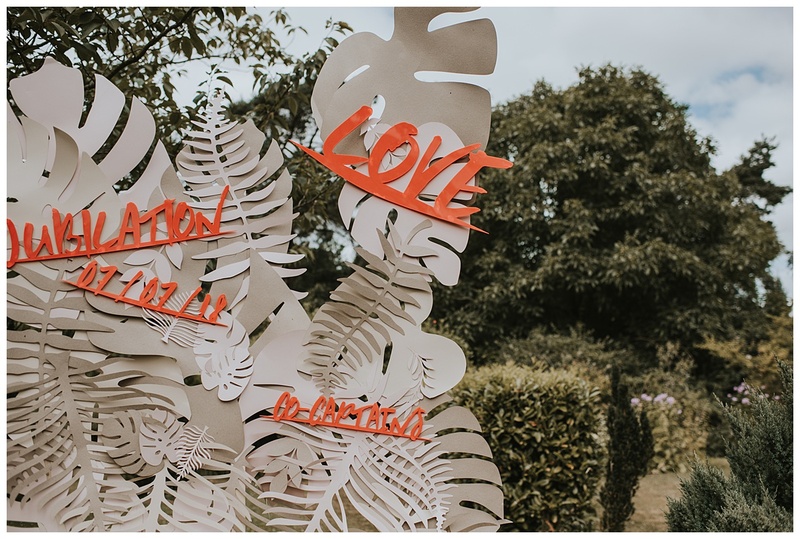 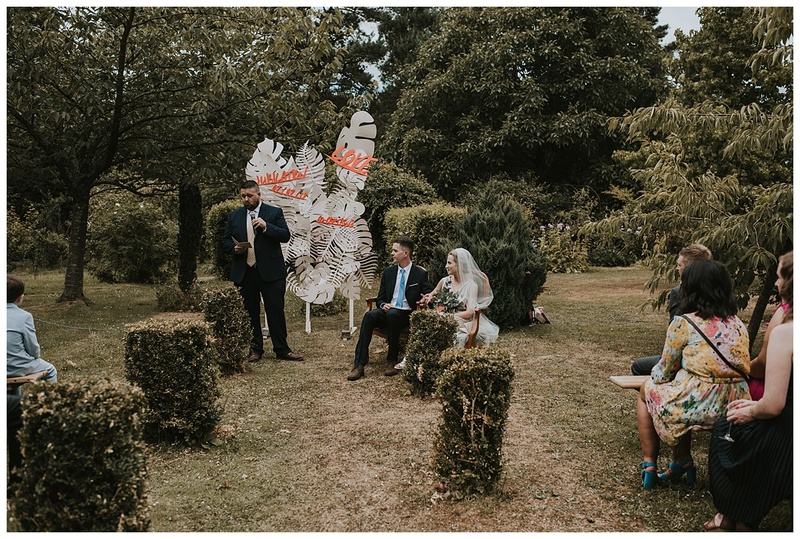 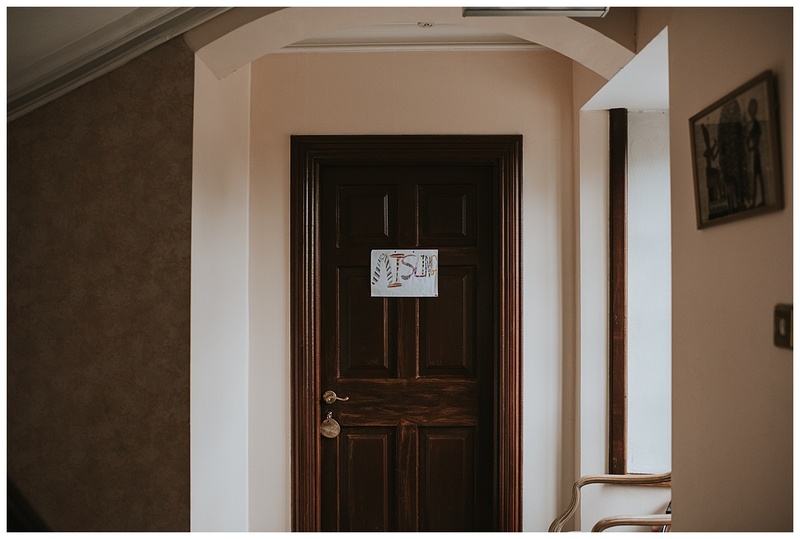 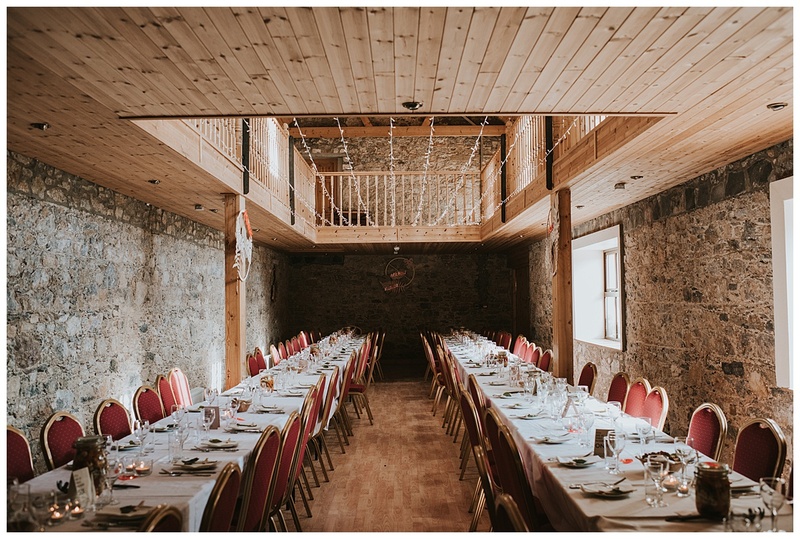 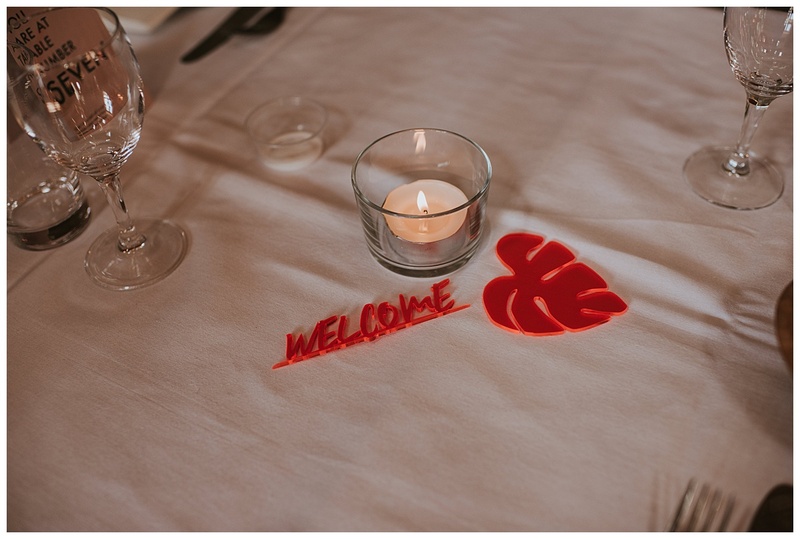 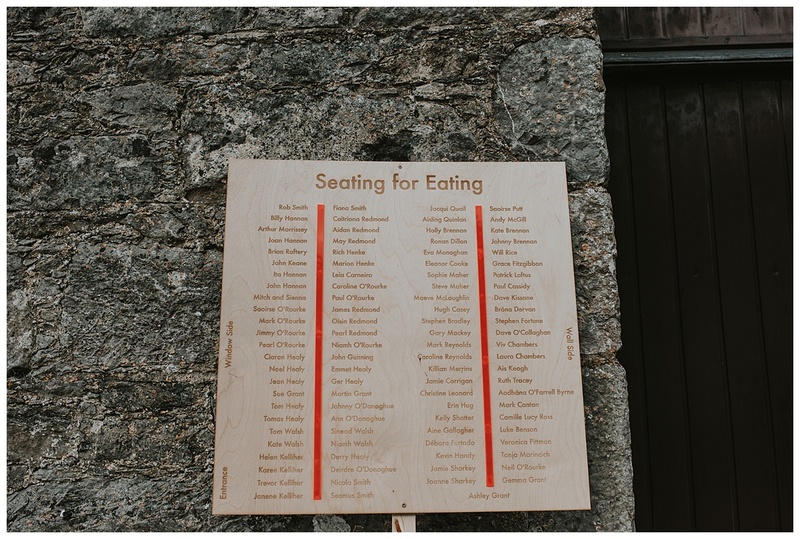 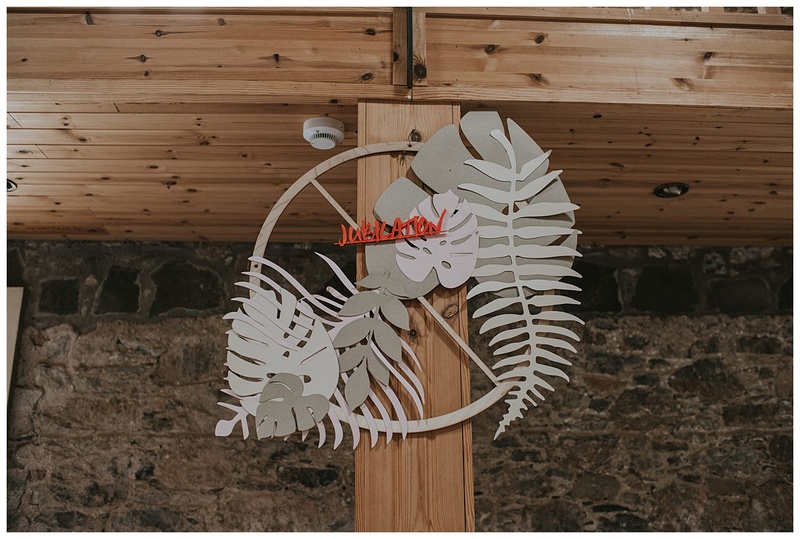 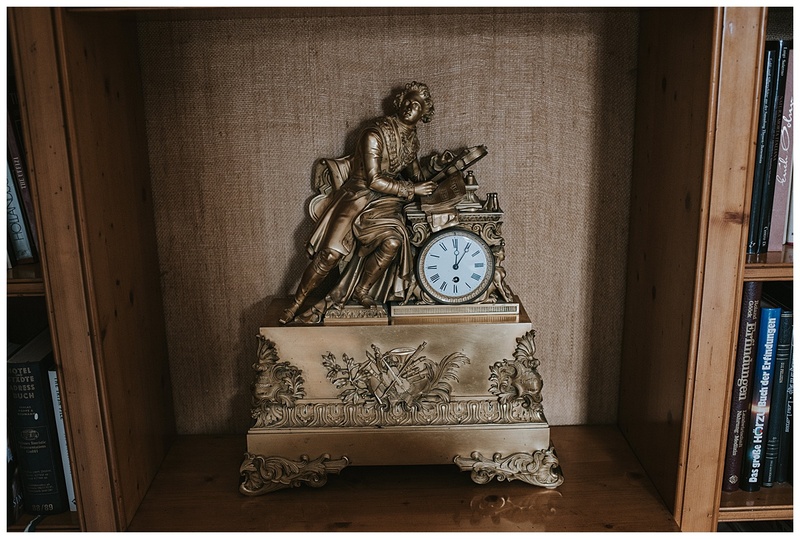 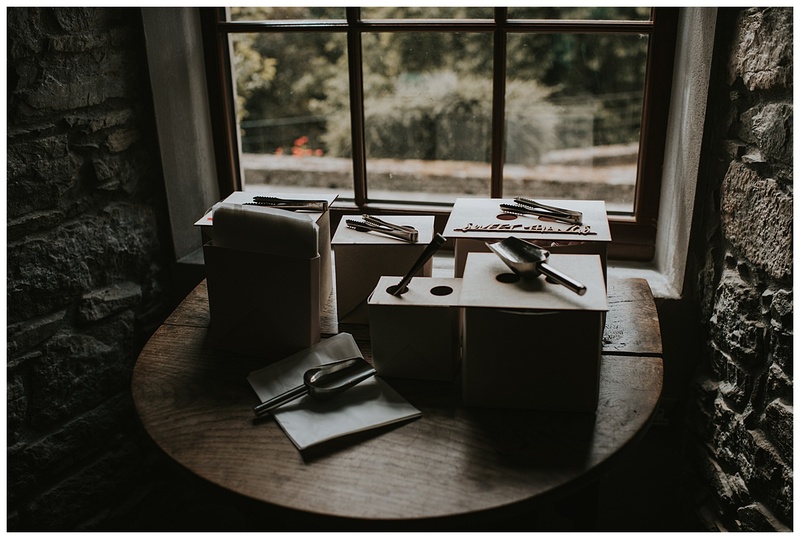 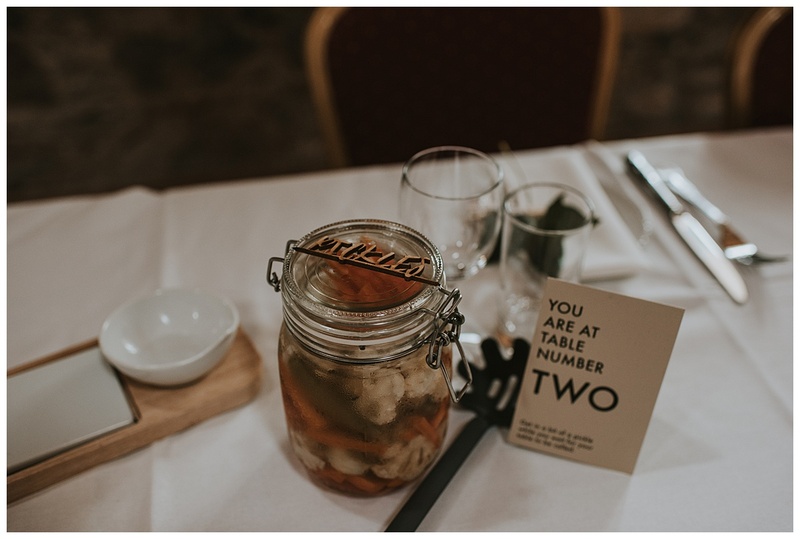 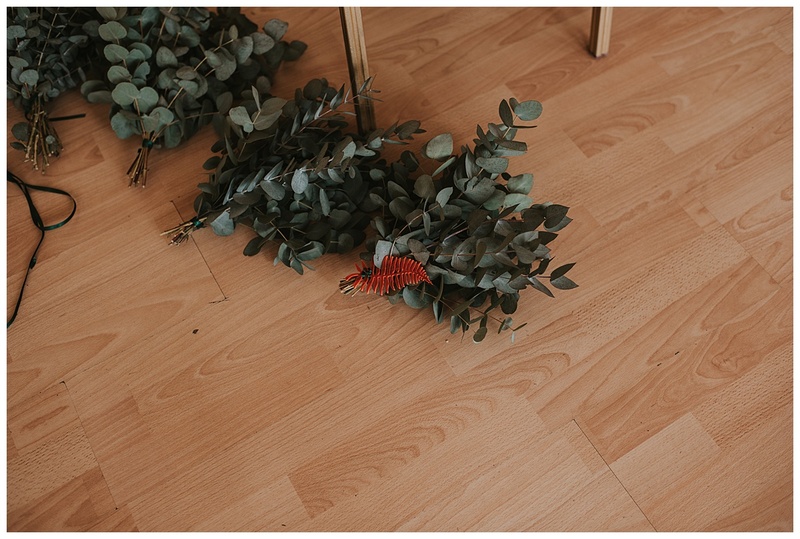 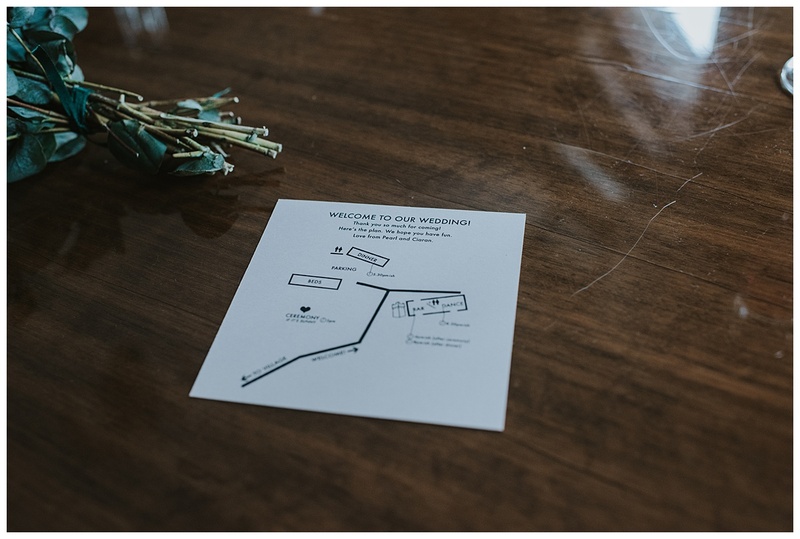 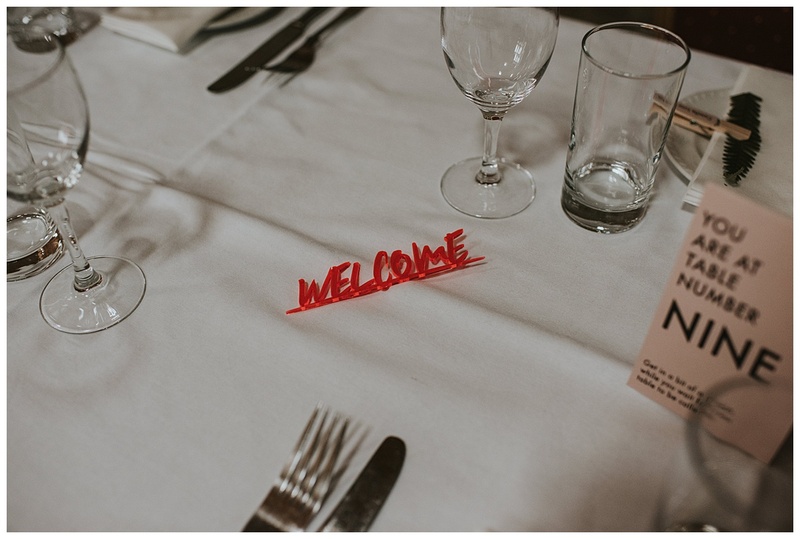 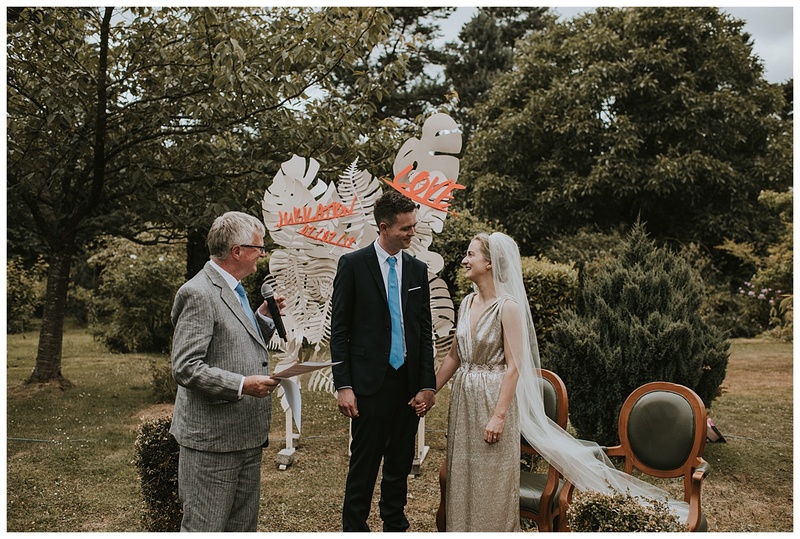 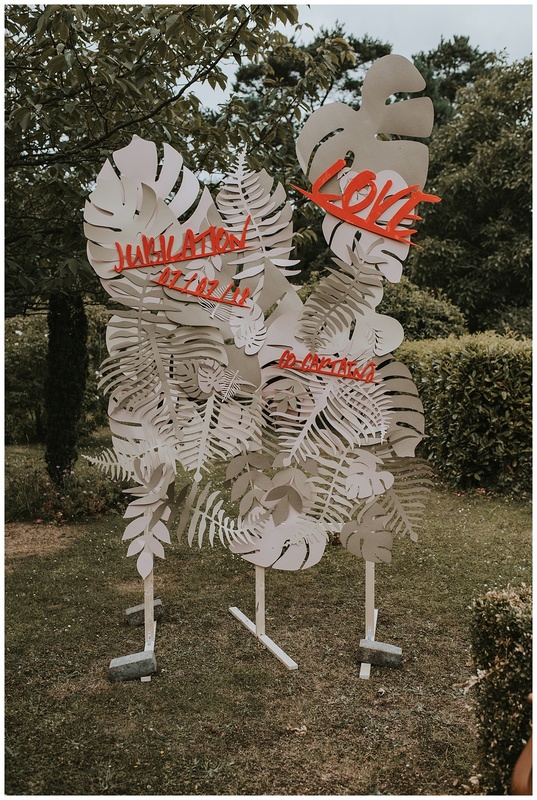 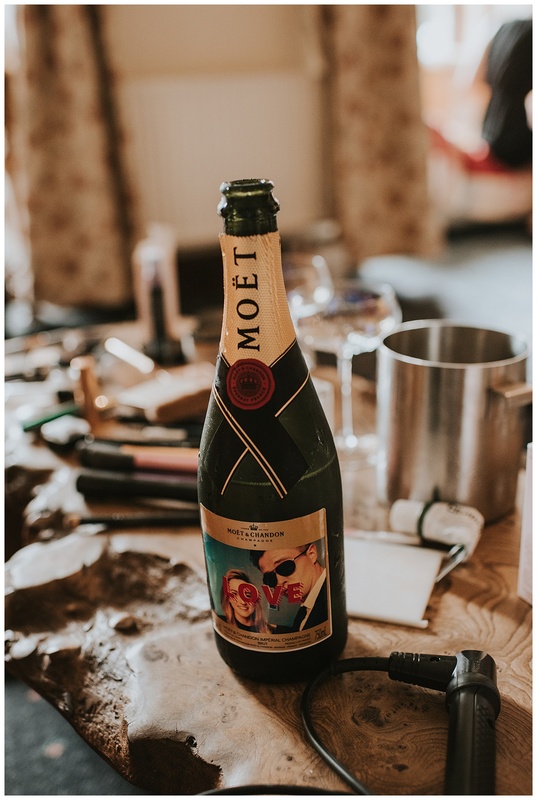 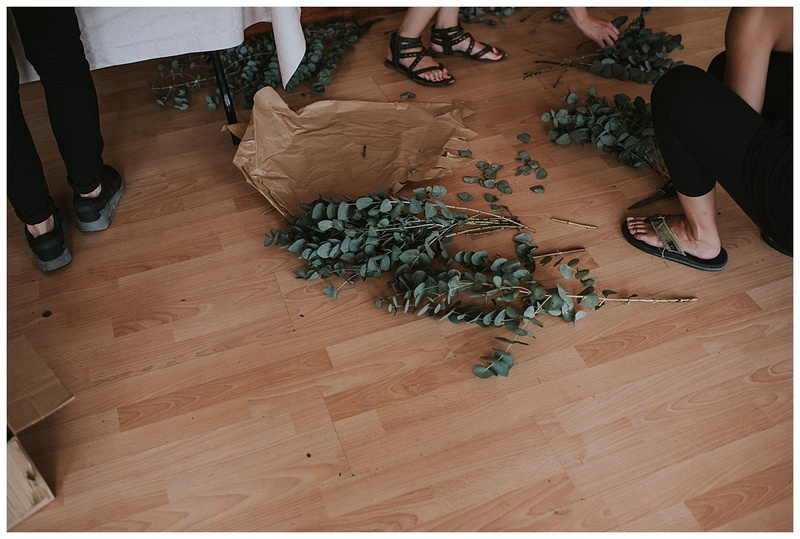 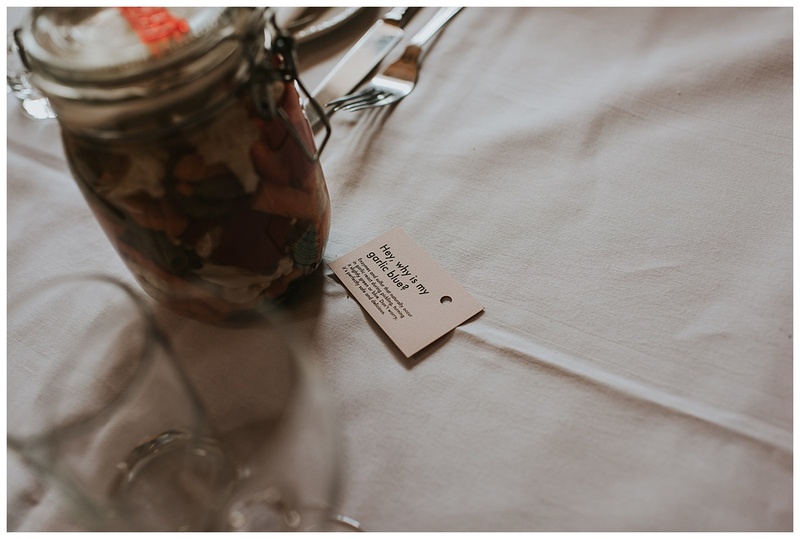 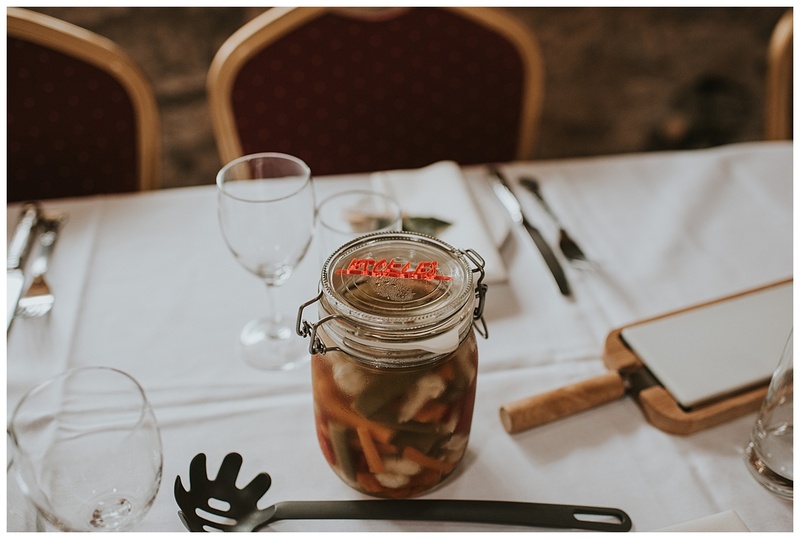 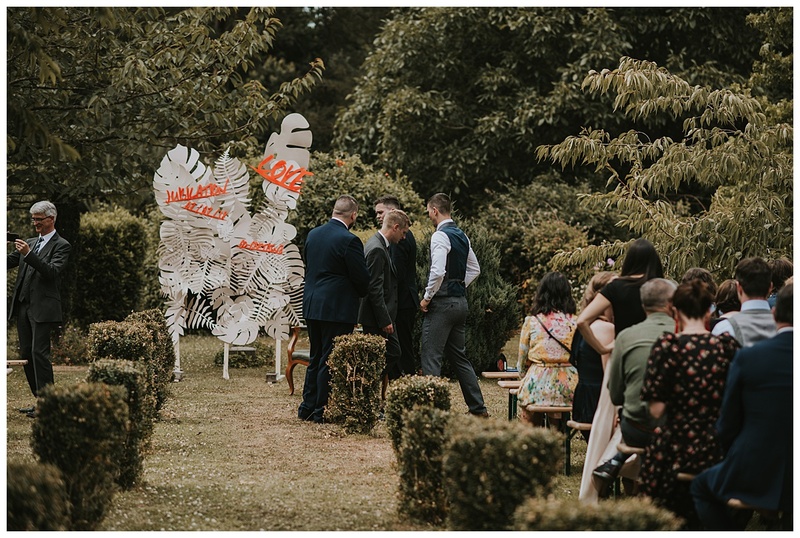 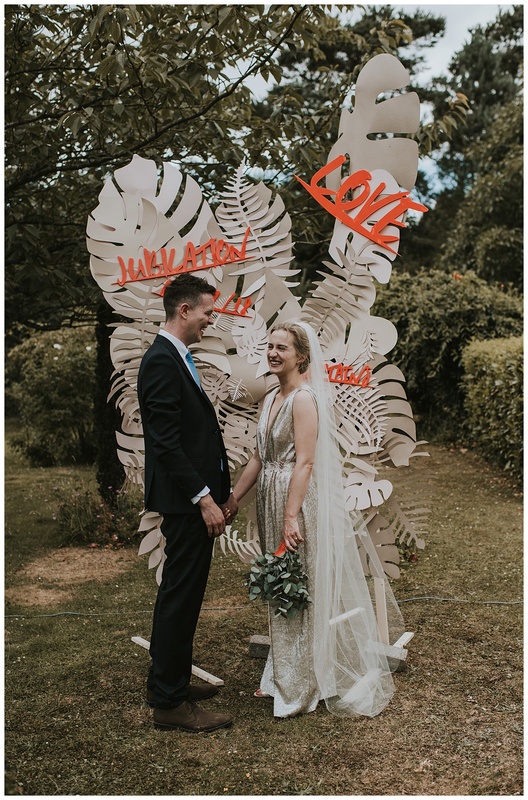 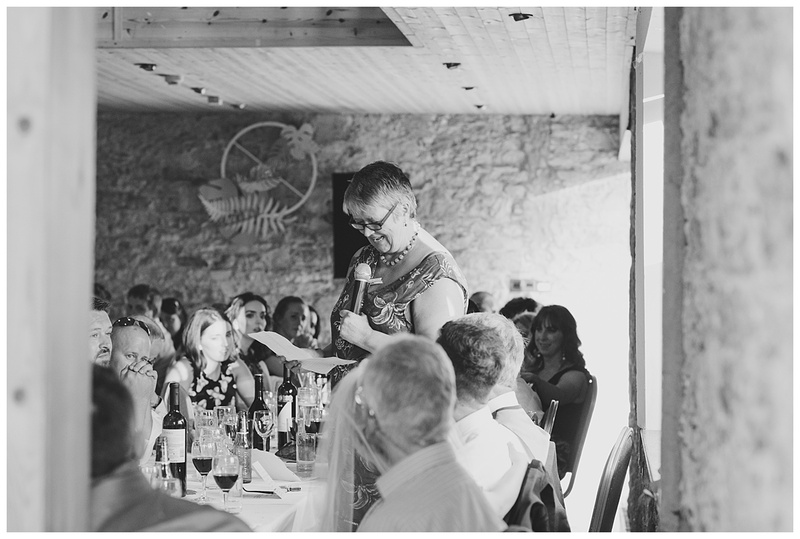 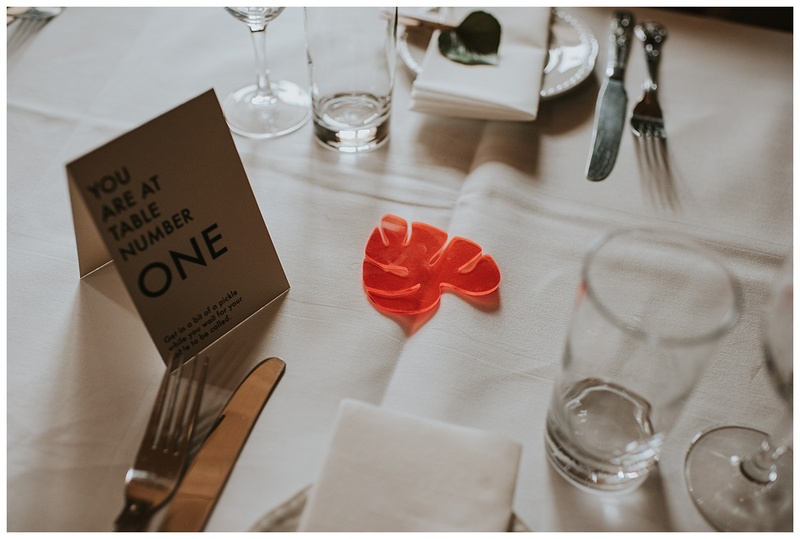 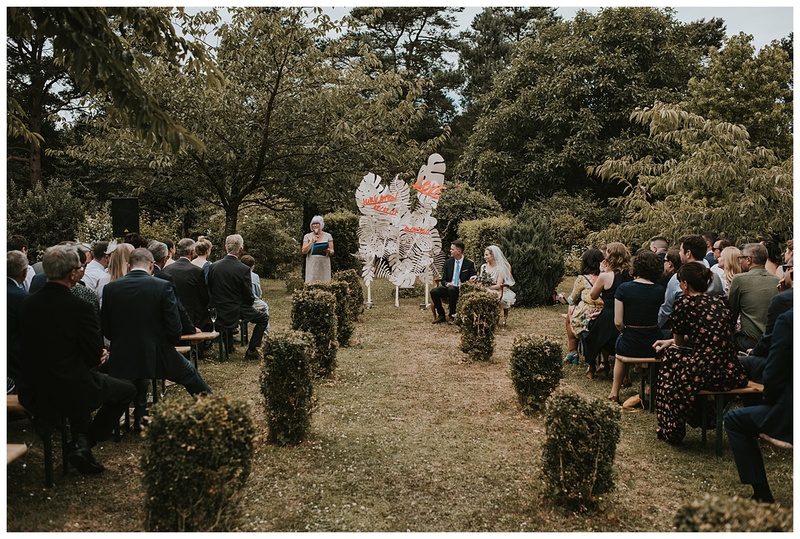 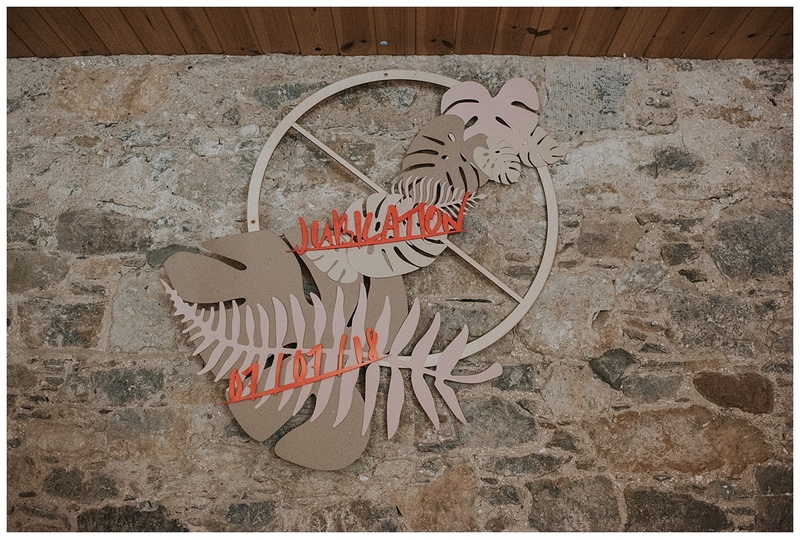 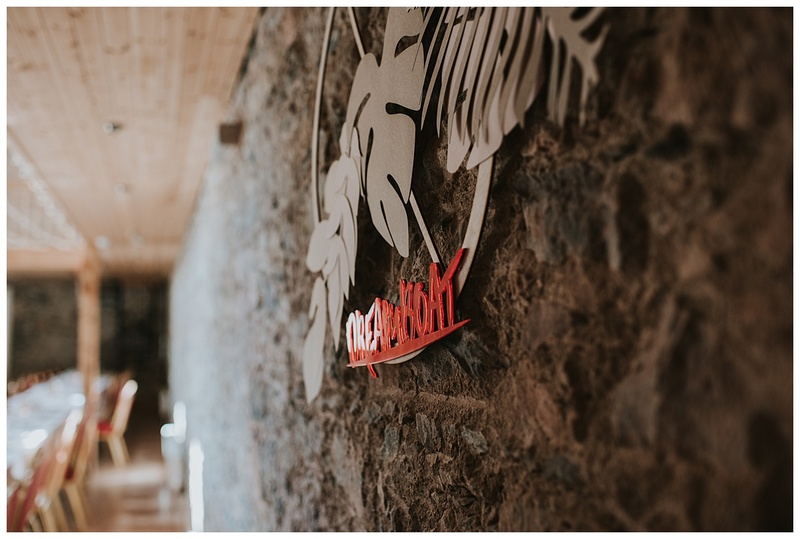 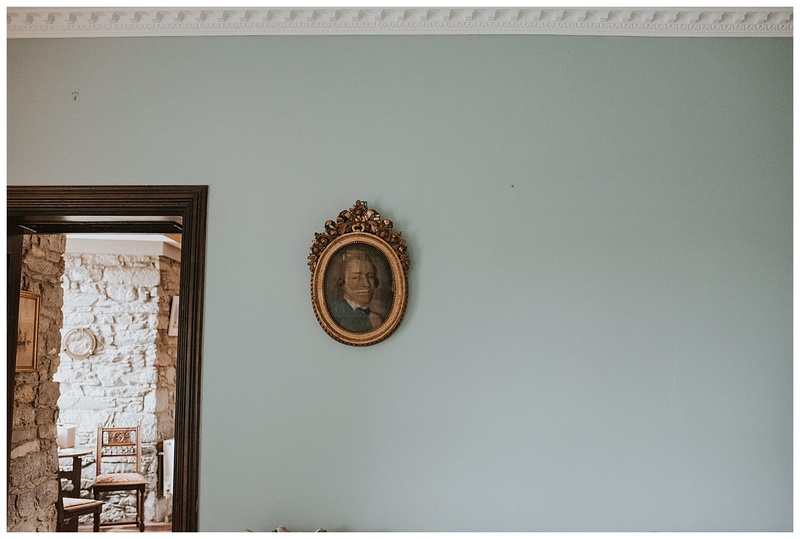 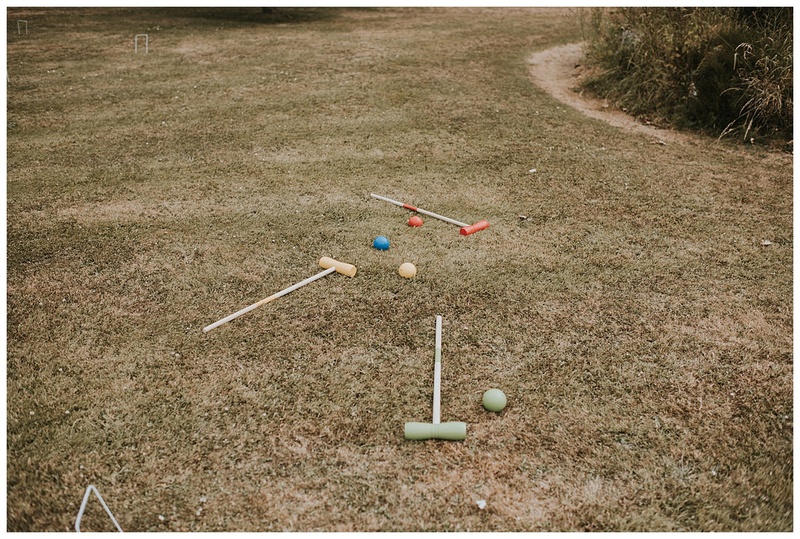 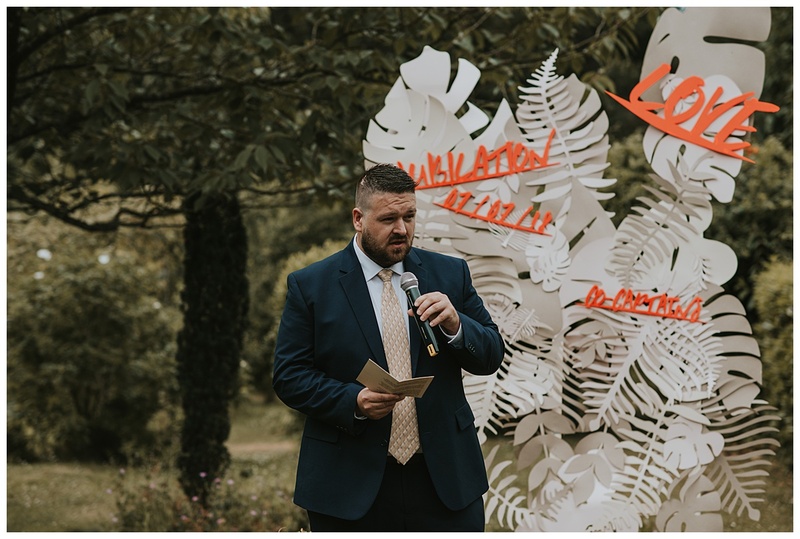 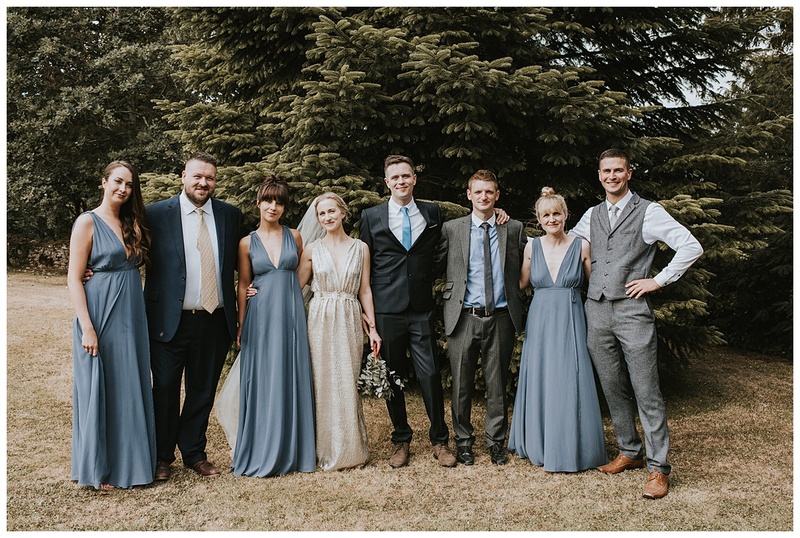 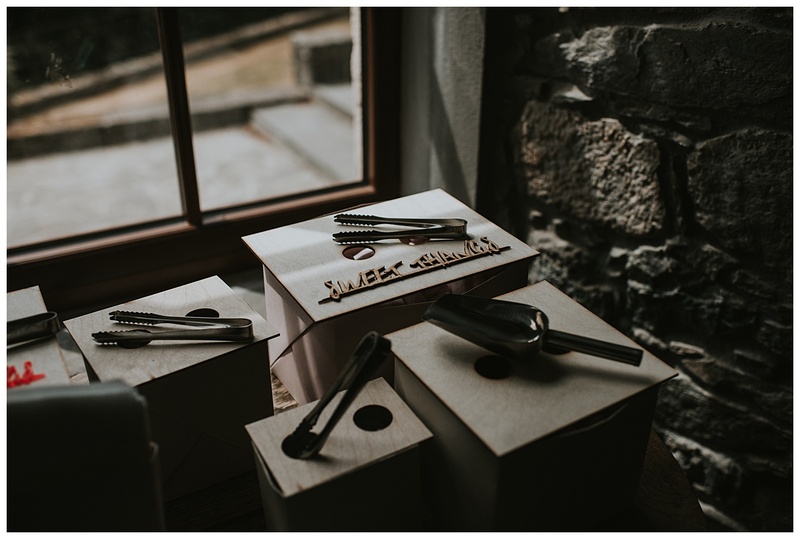 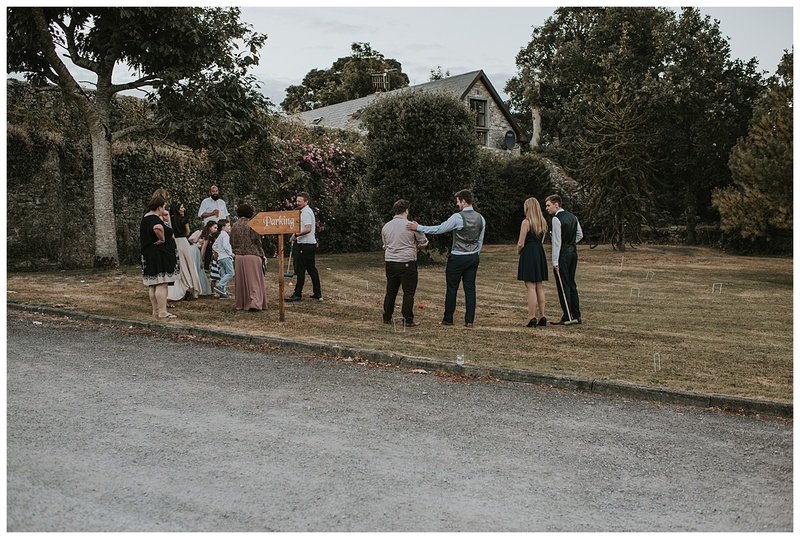 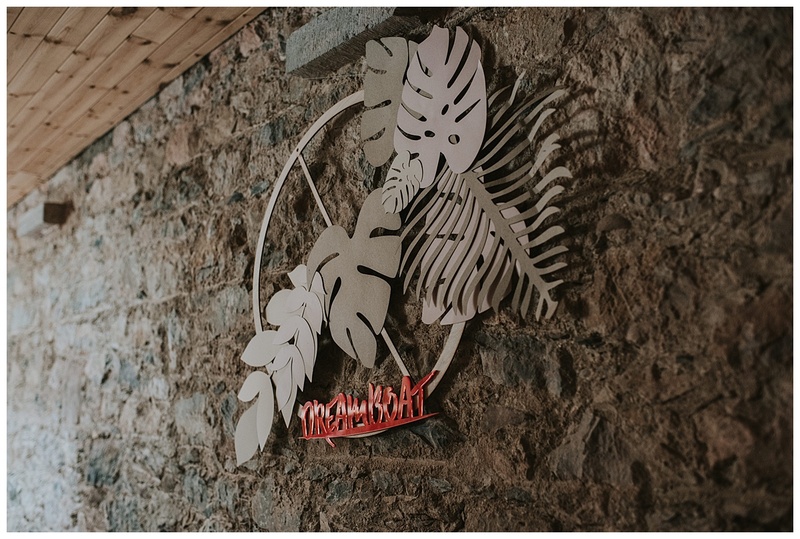 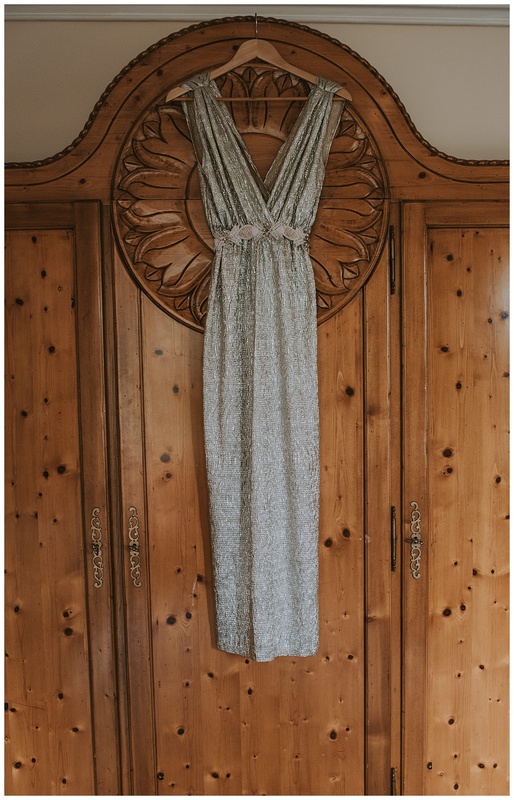 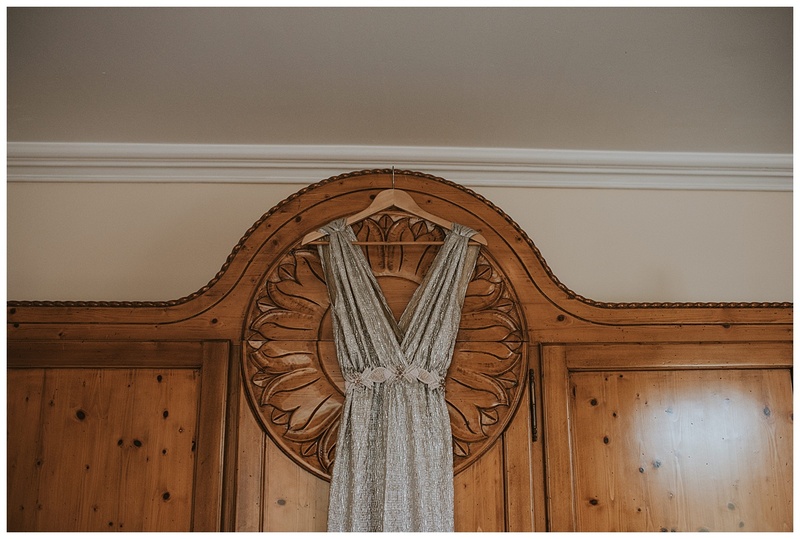 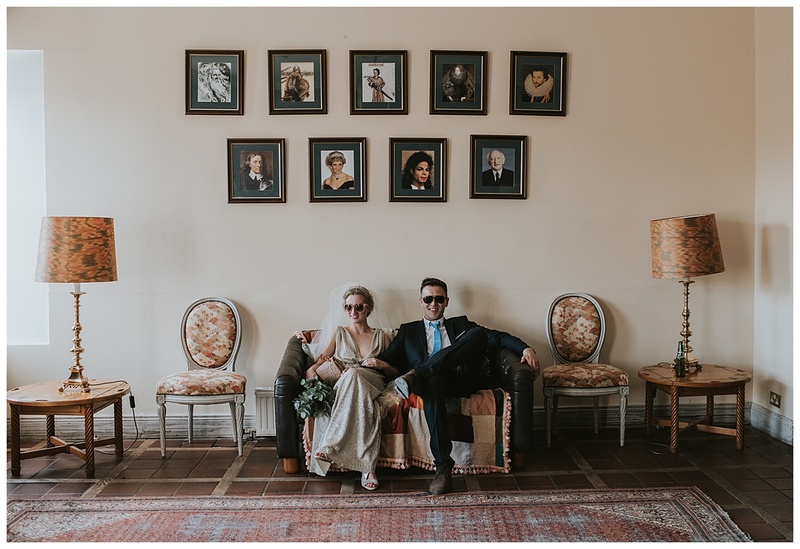 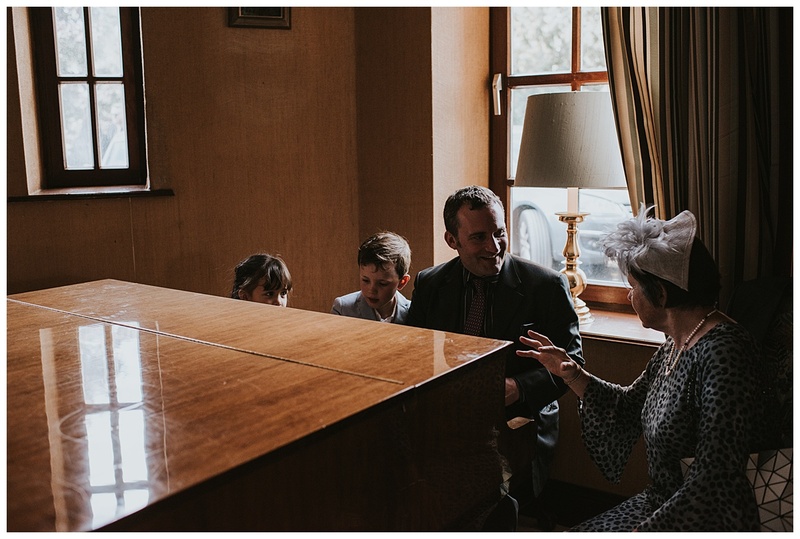 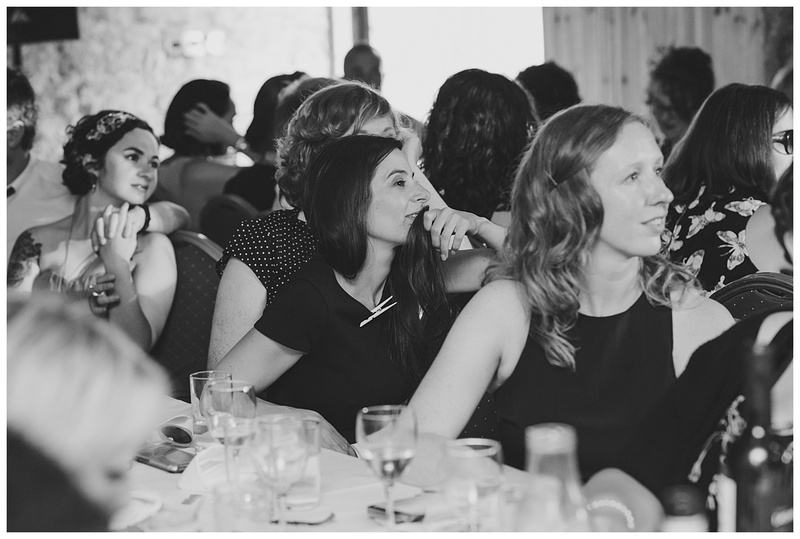 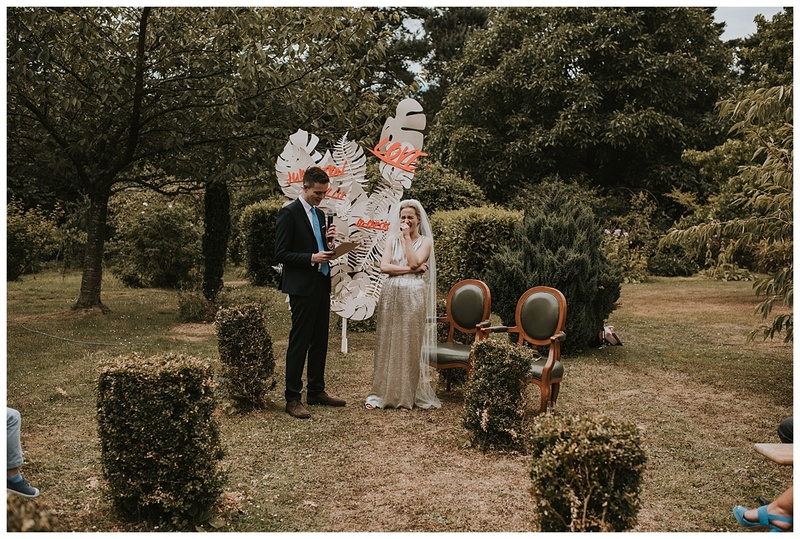 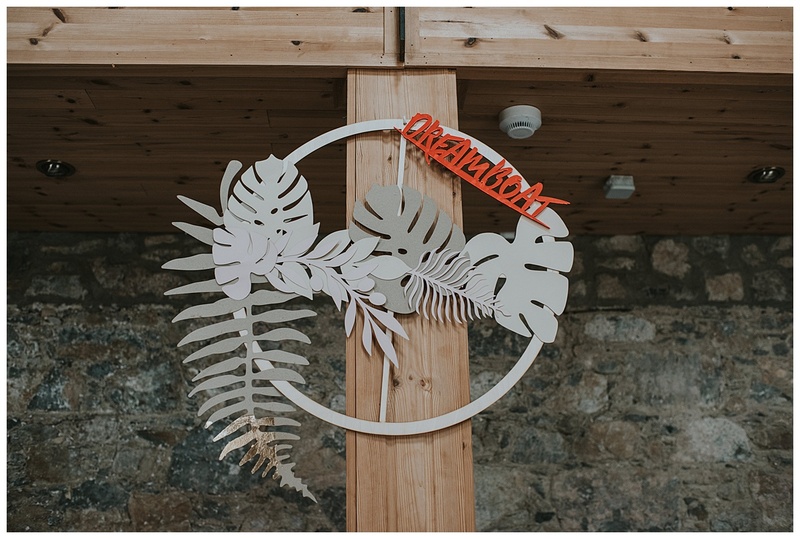 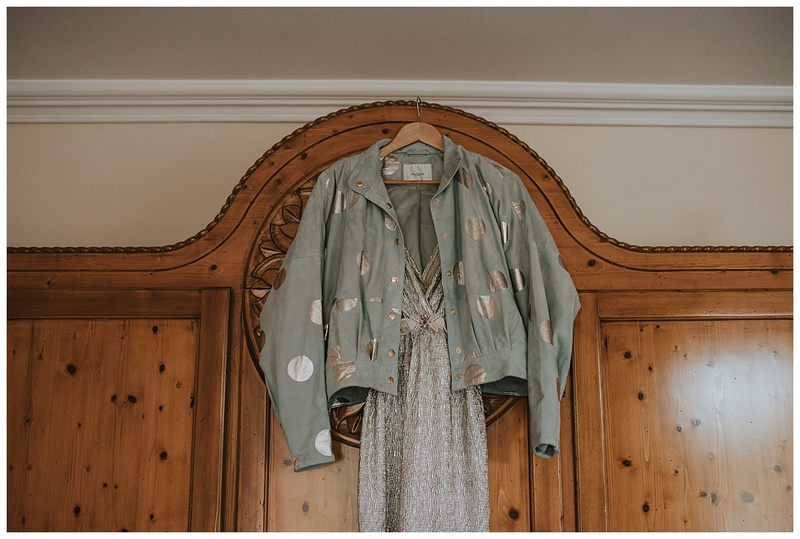 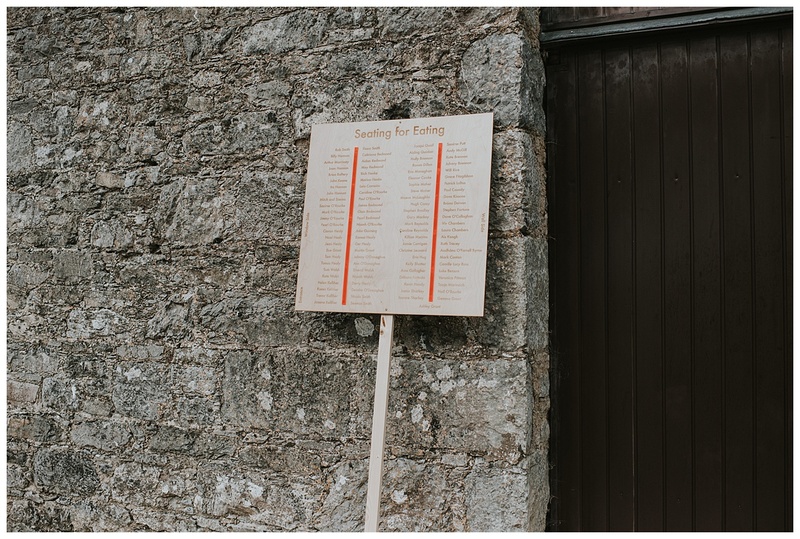 Pearl is a lecturer in product design and she made all the design elements for the day from the free standing mural for the ceremony to all the decor in the room for the dinner as well as making a huge amount of homemade pickles for the guests to tuck into! 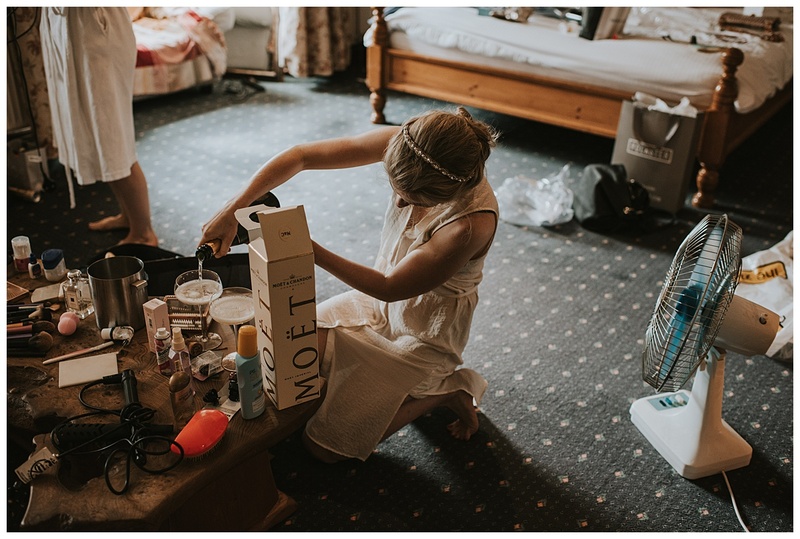 She even did her own makeup and hair on the day as well! 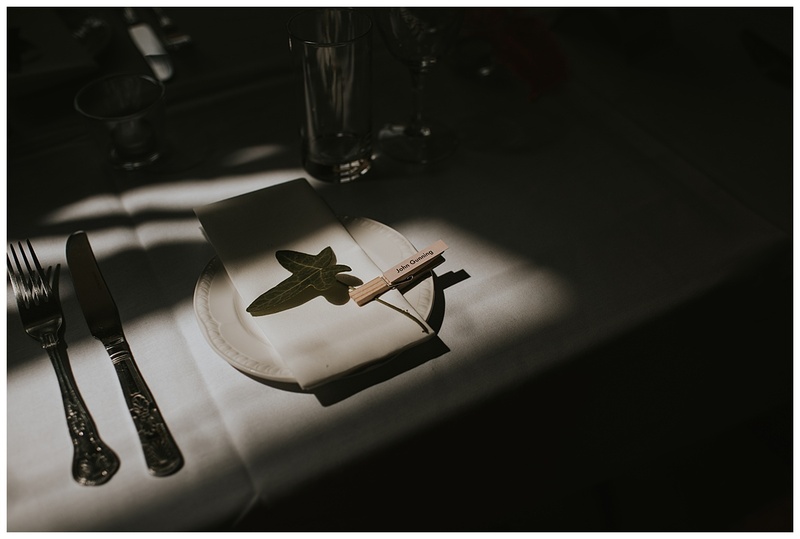 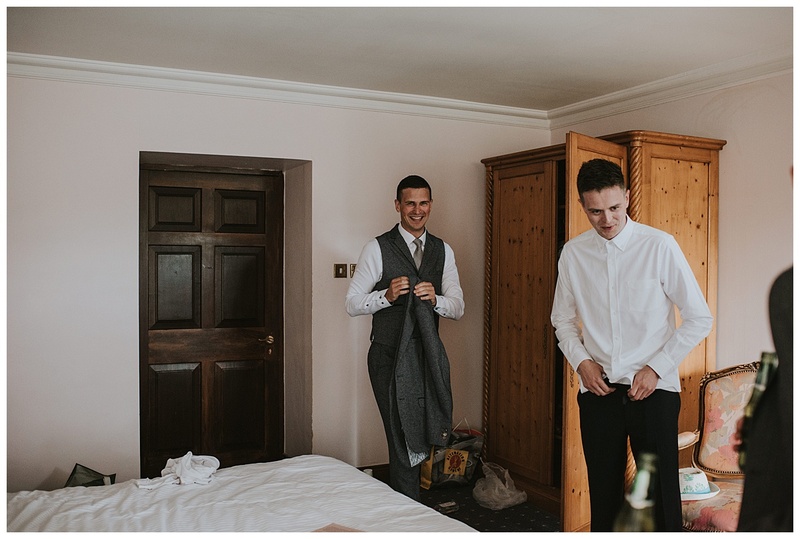 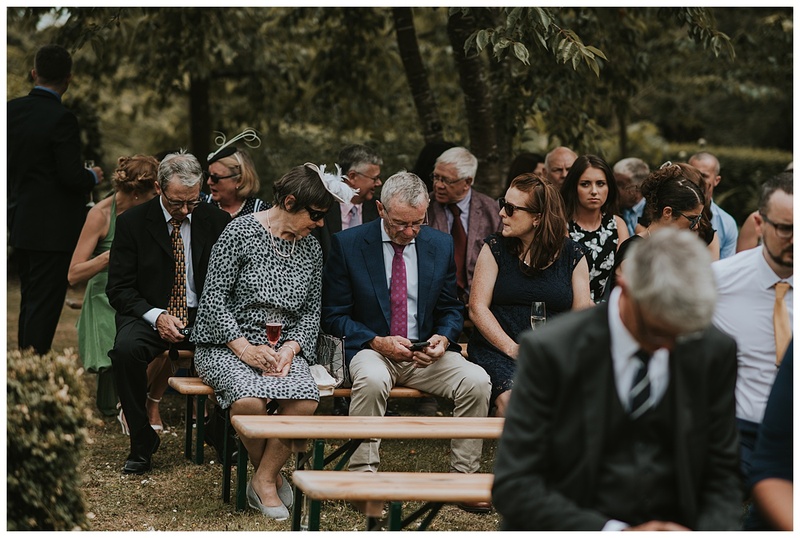 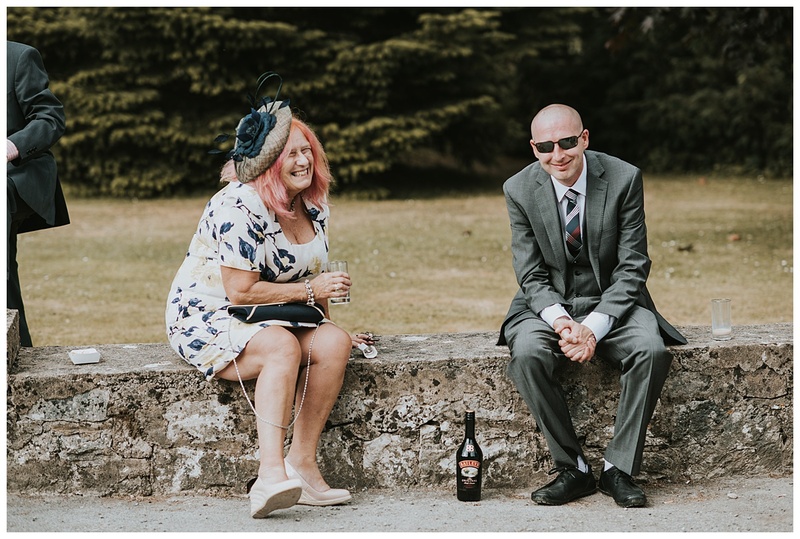 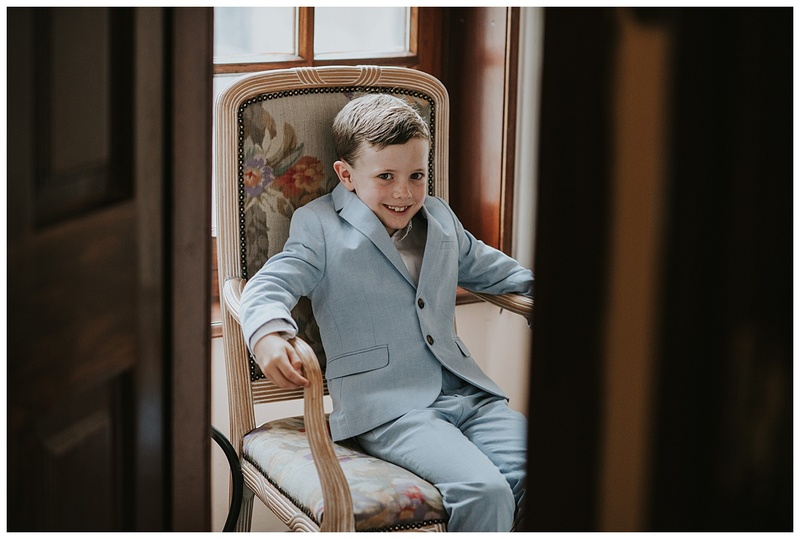 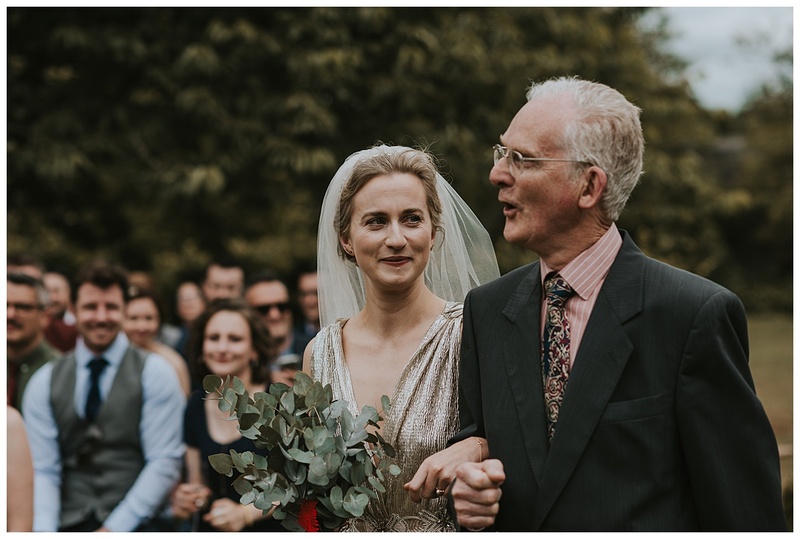 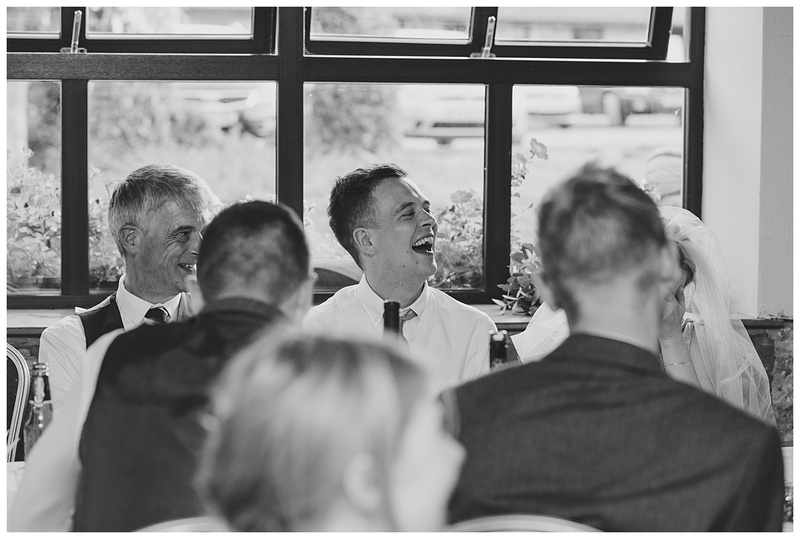 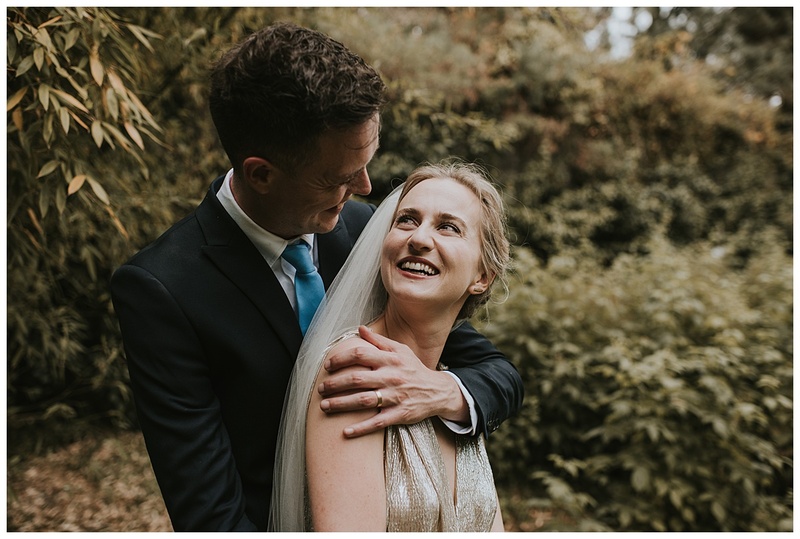 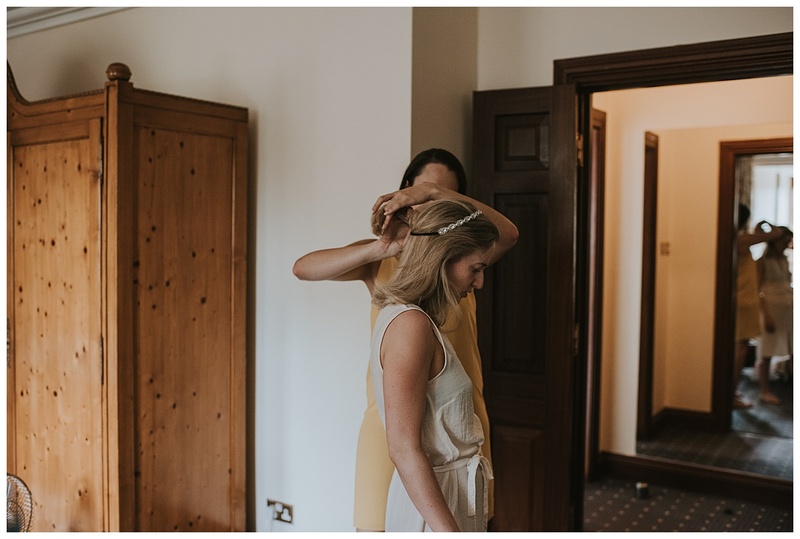 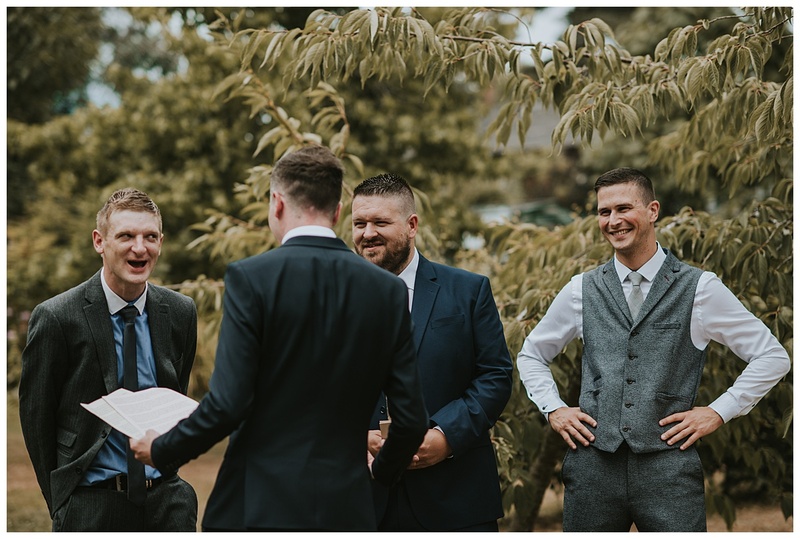 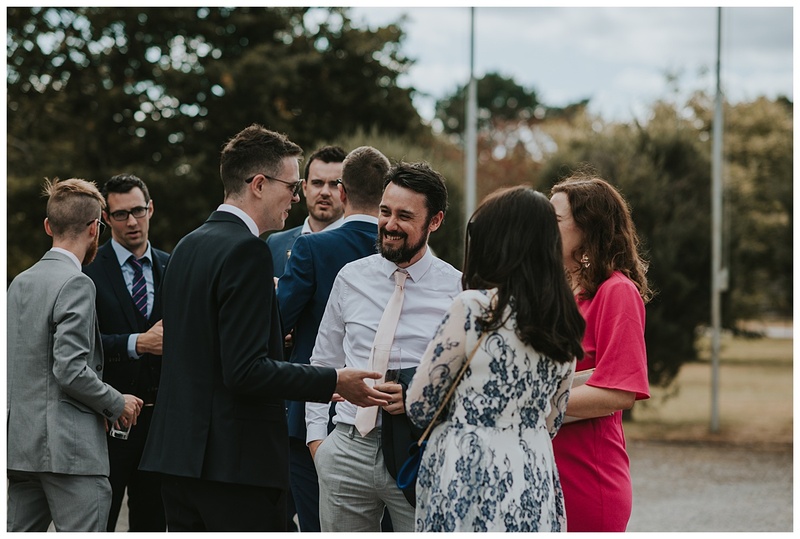 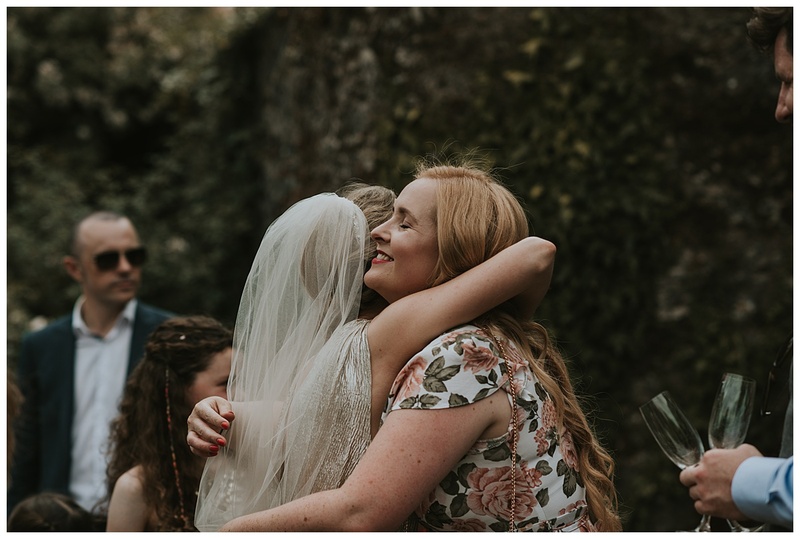 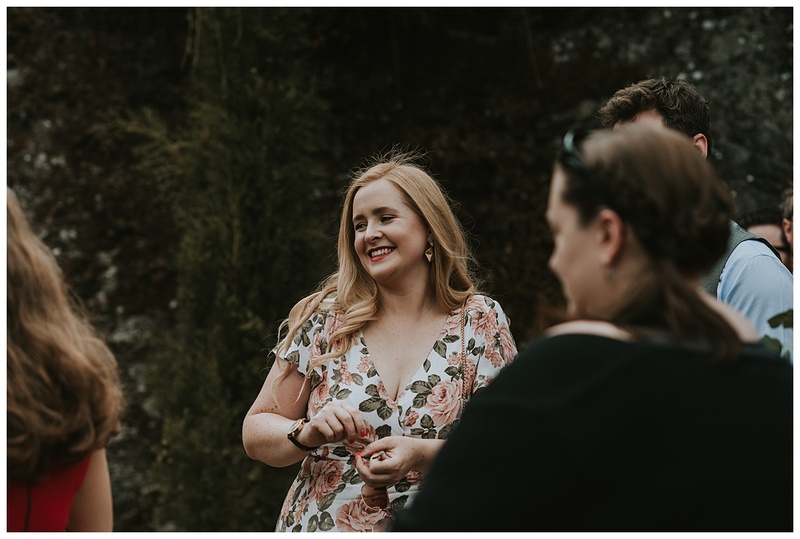 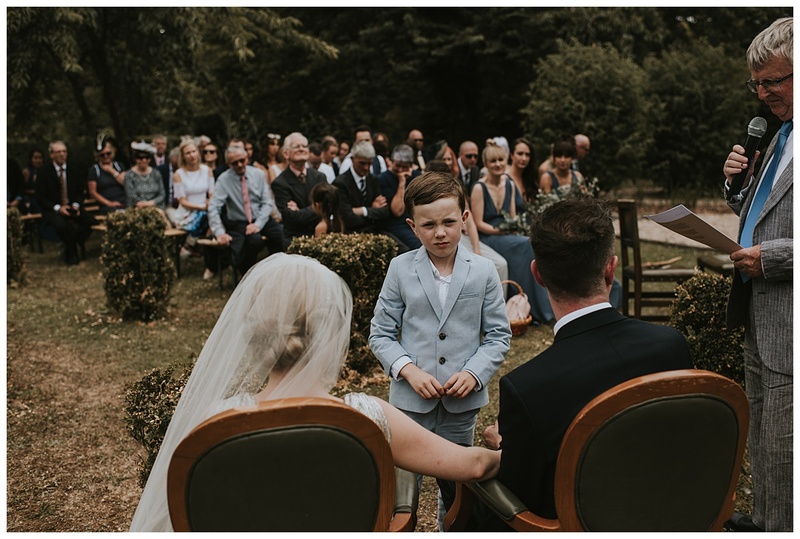 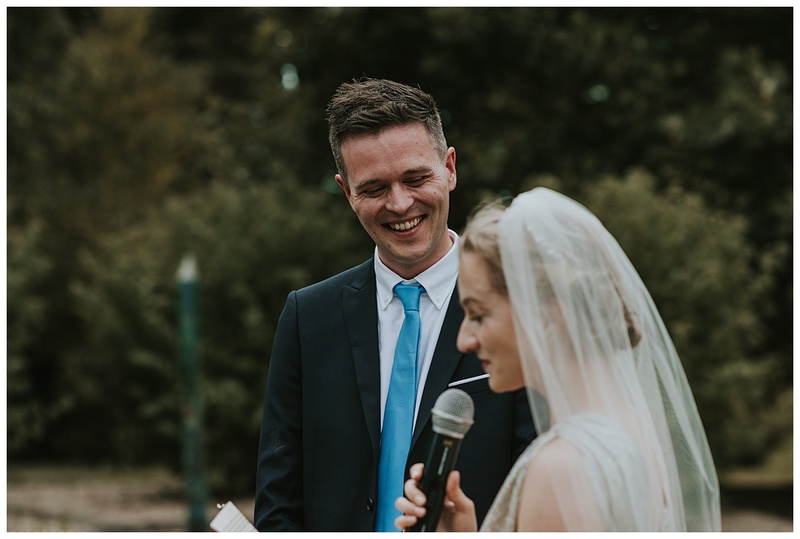 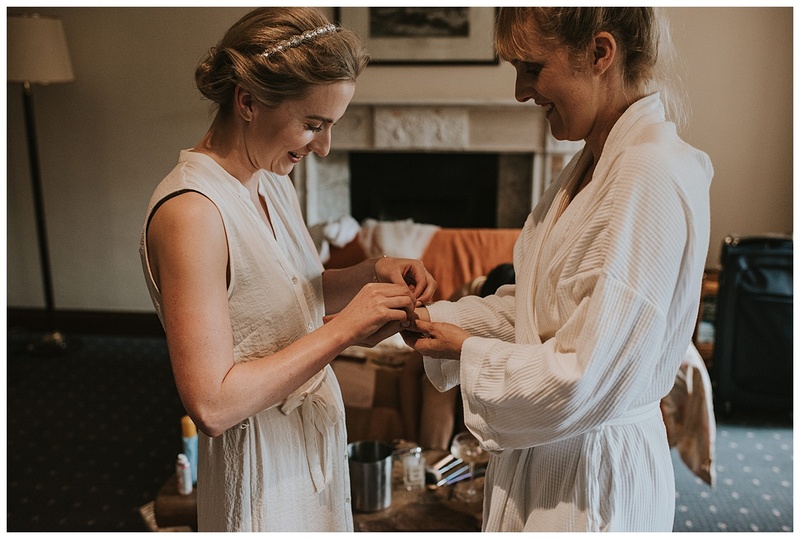 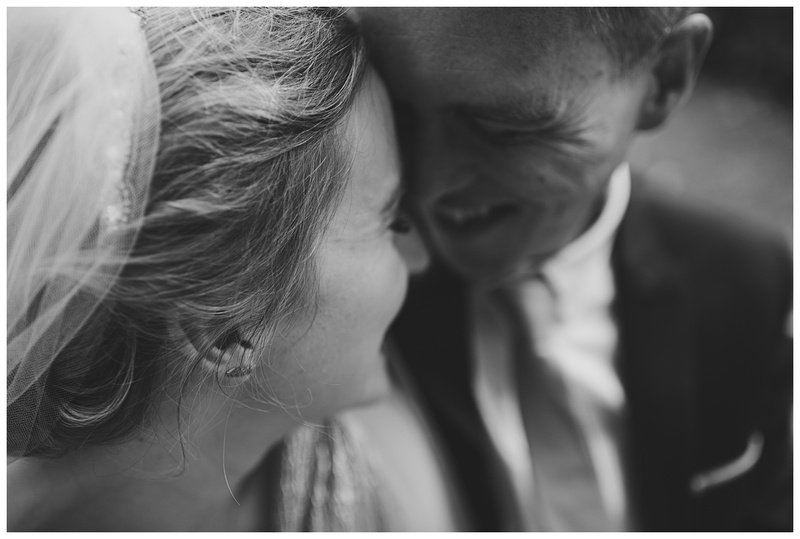 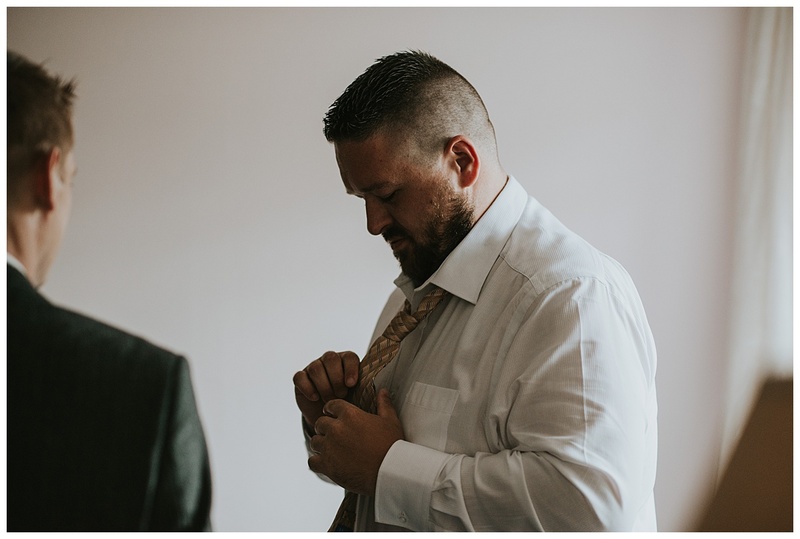 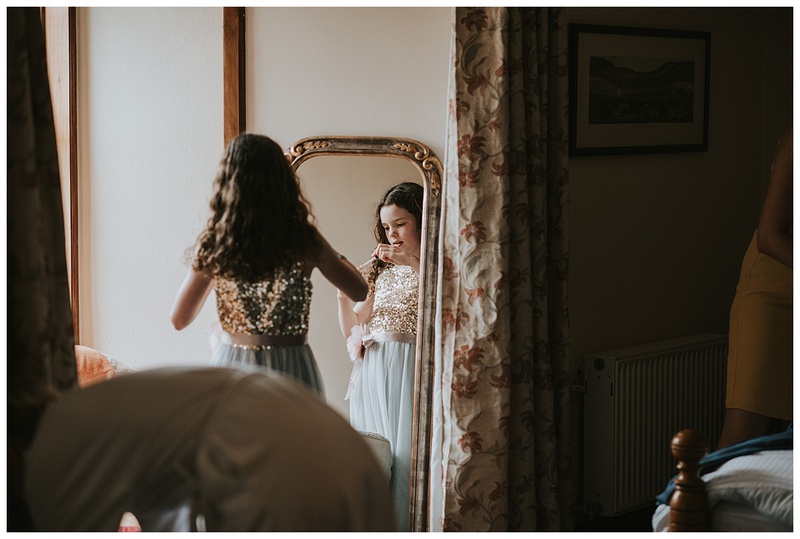 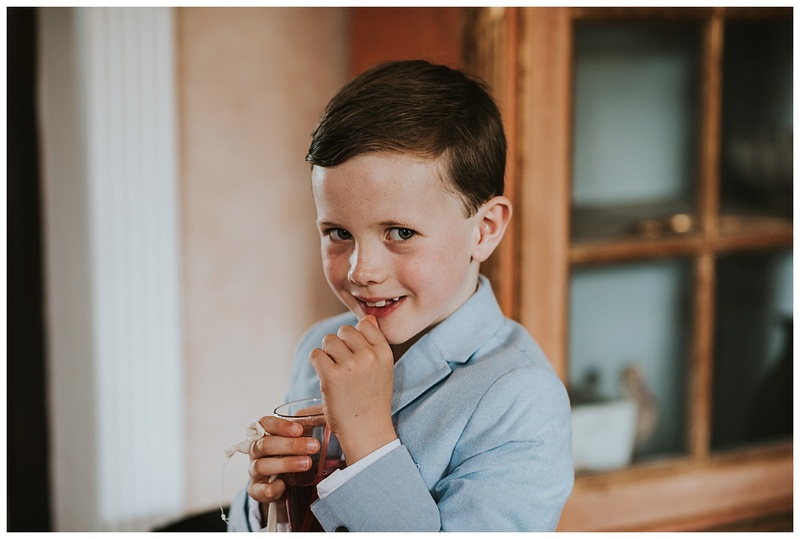 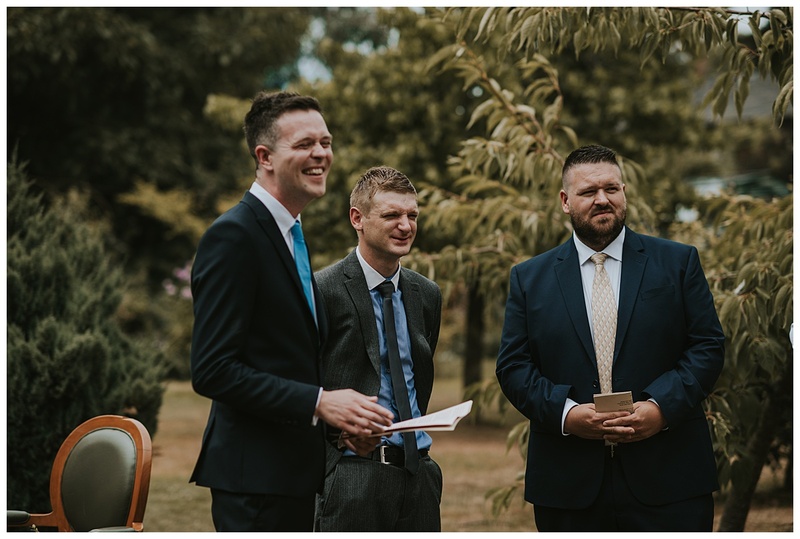 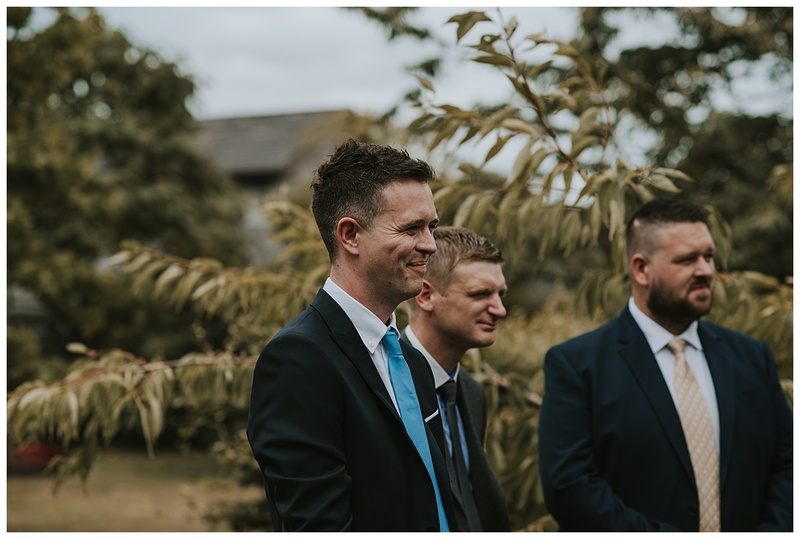 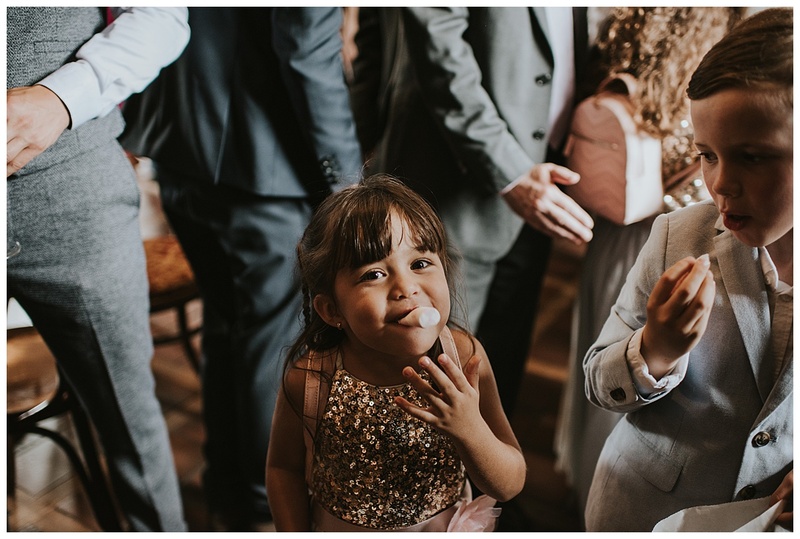 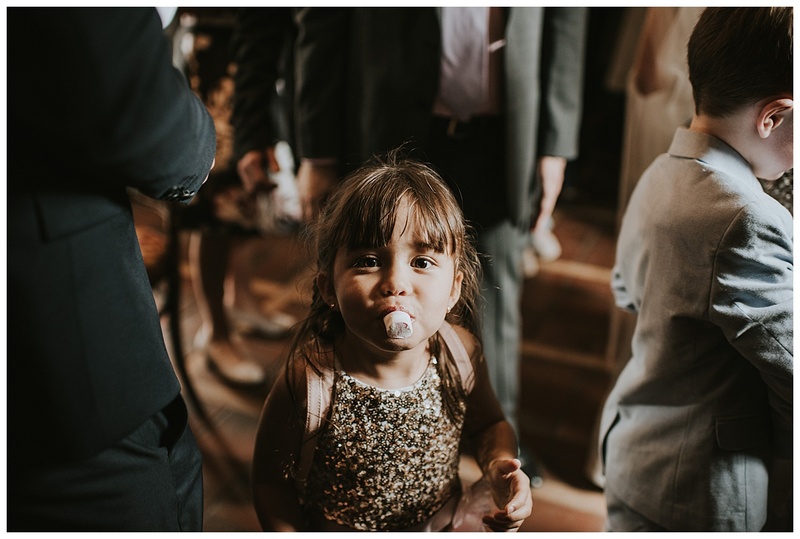 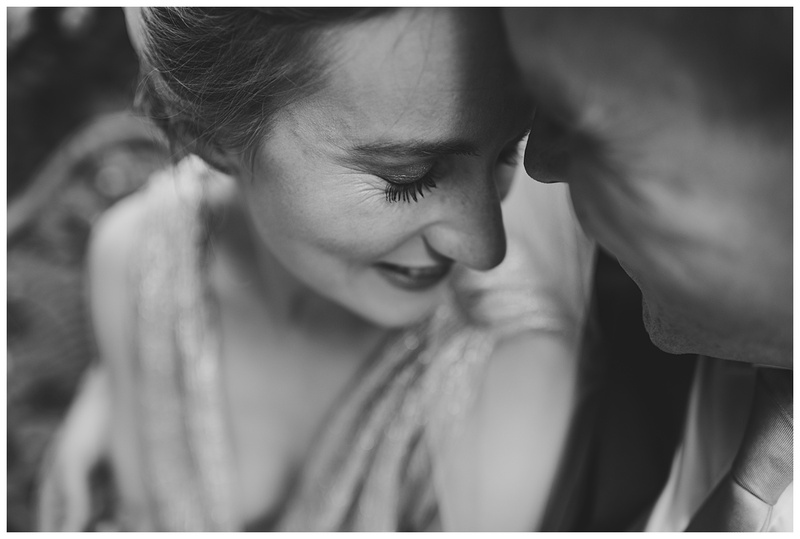 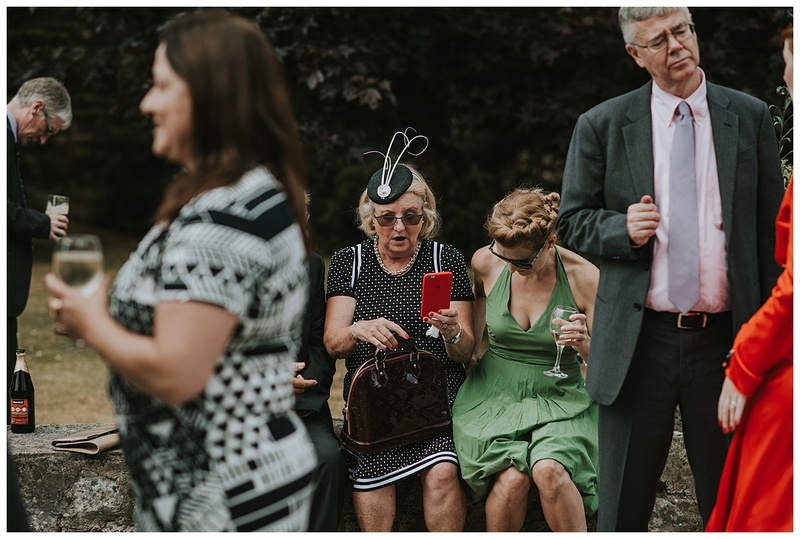 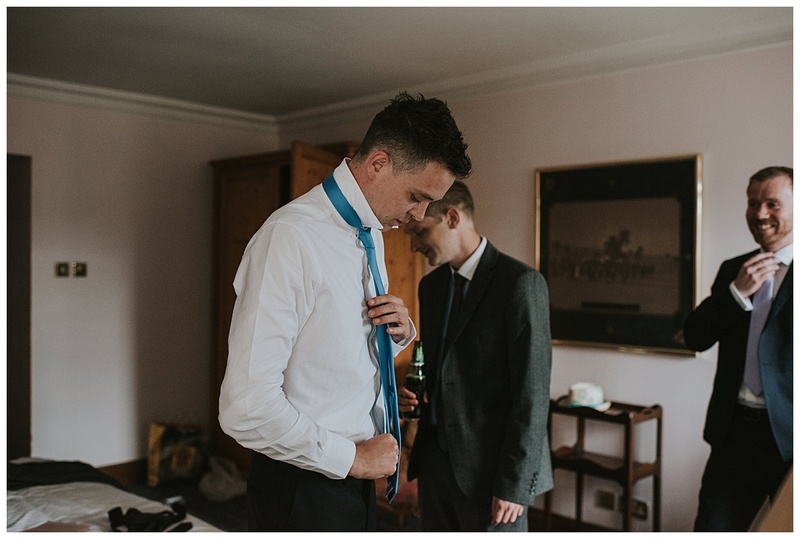 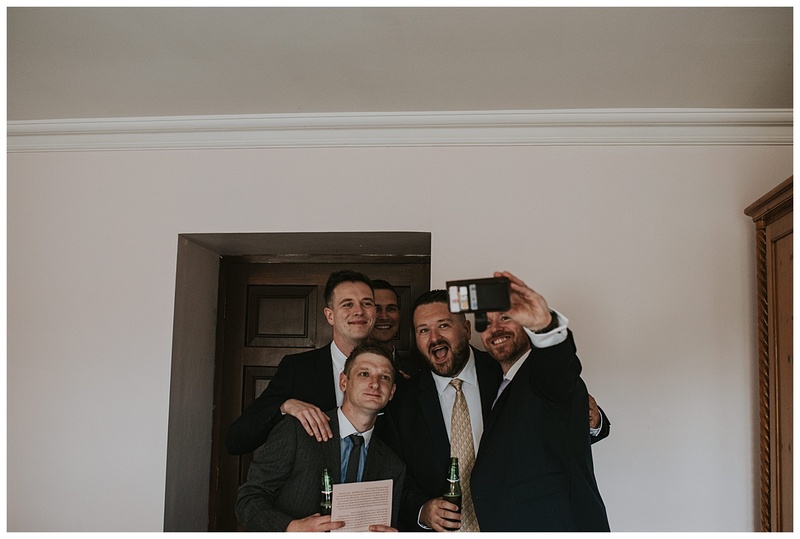 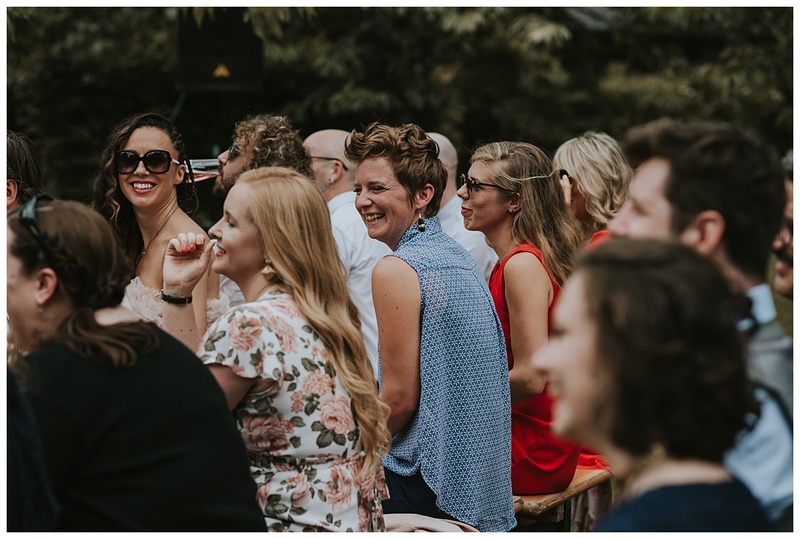 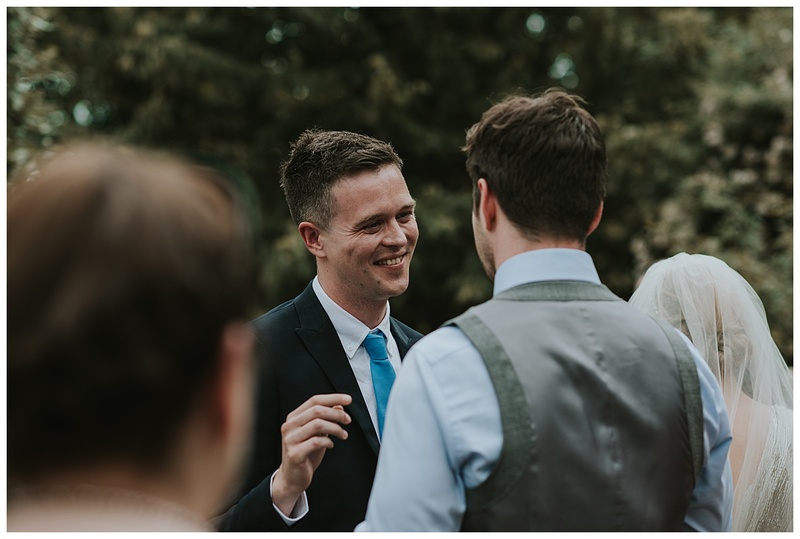 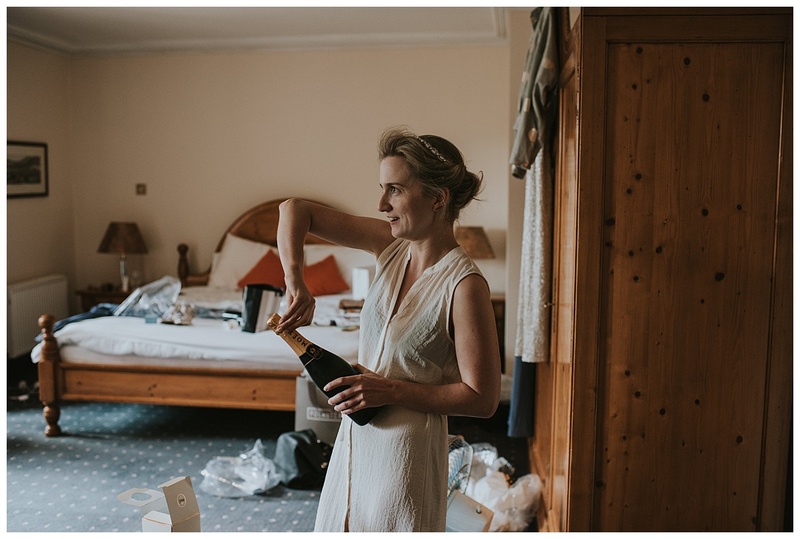 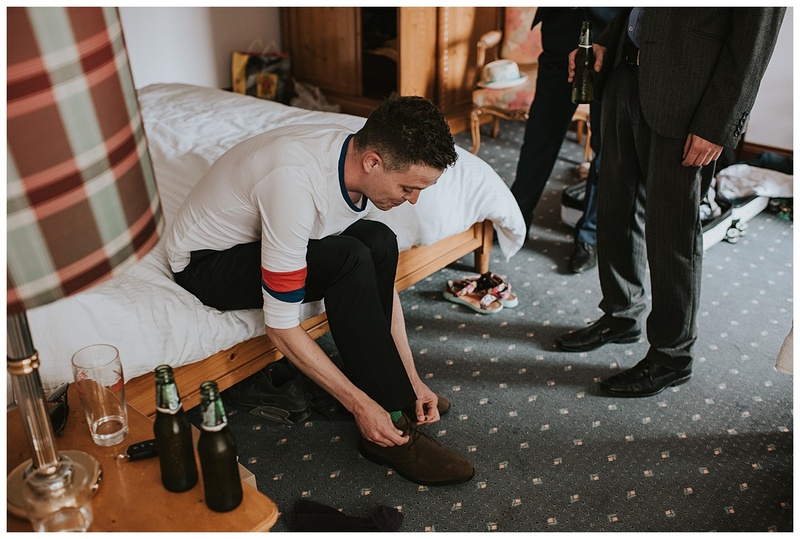 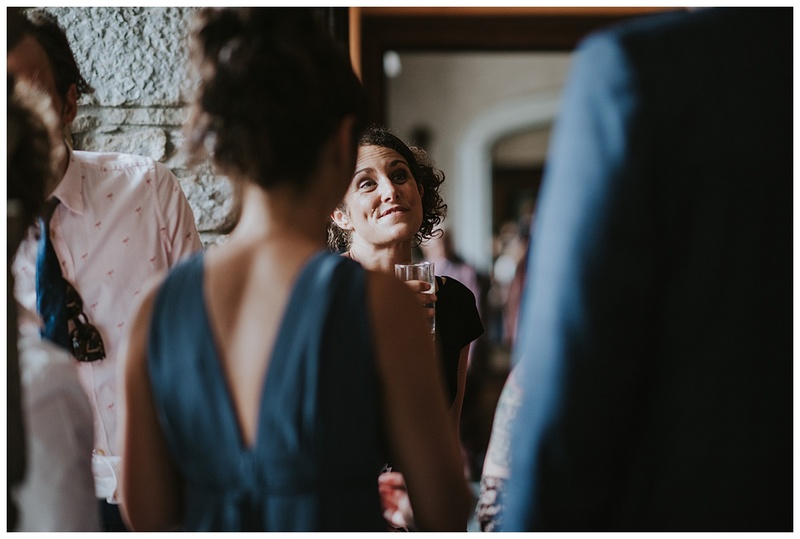 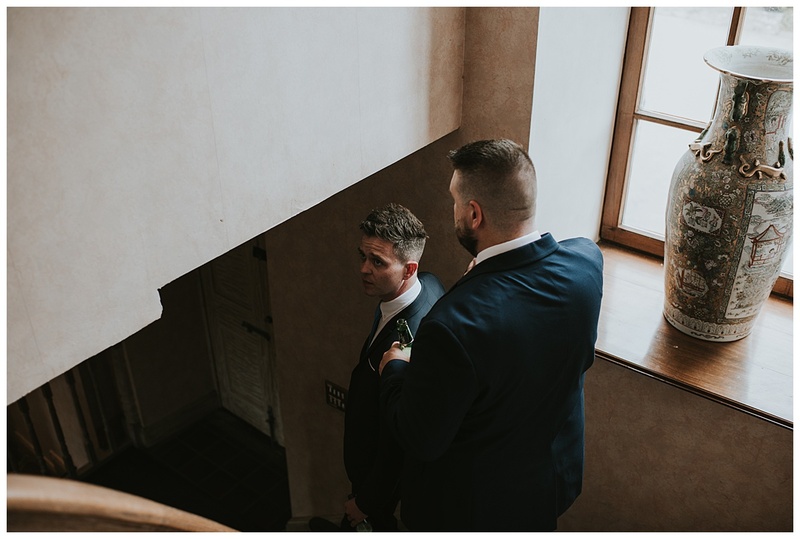 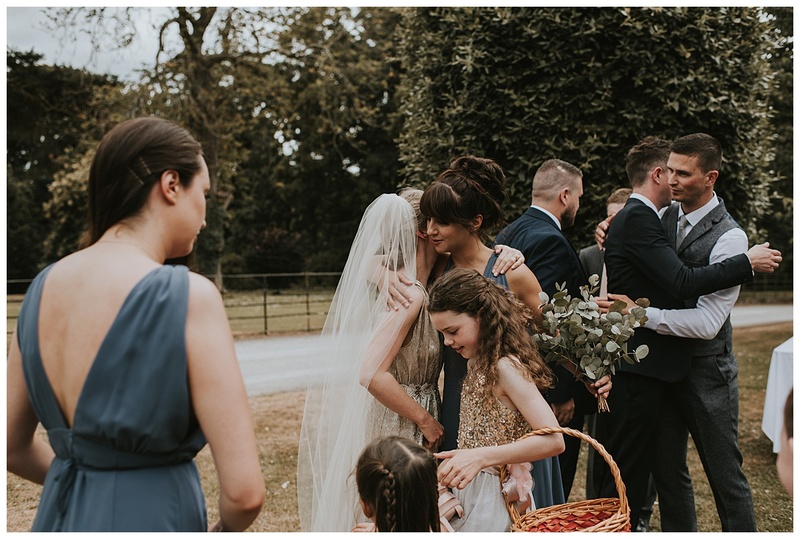 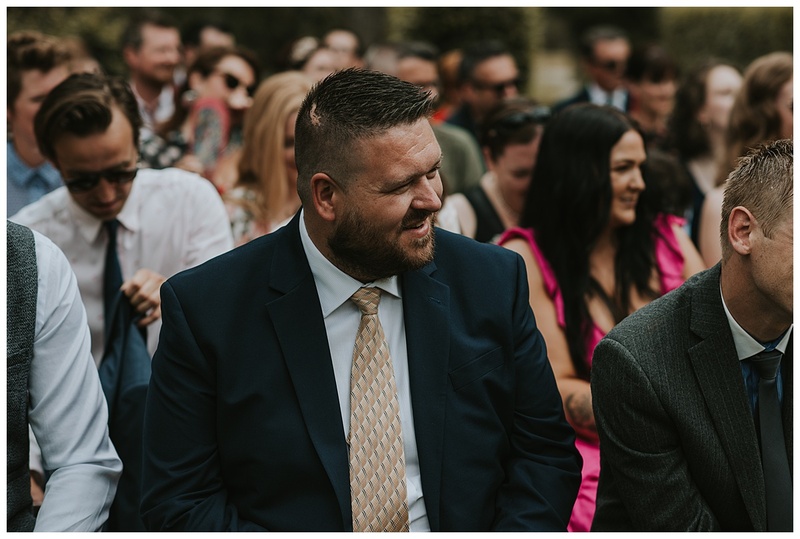 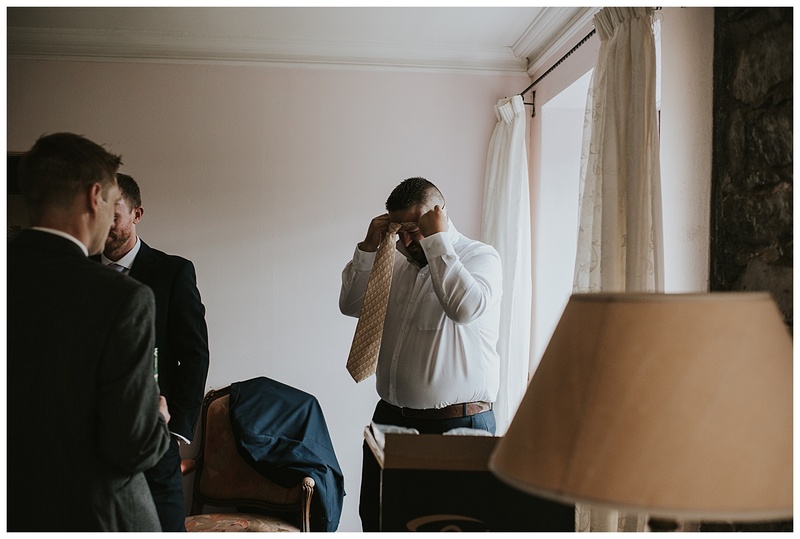 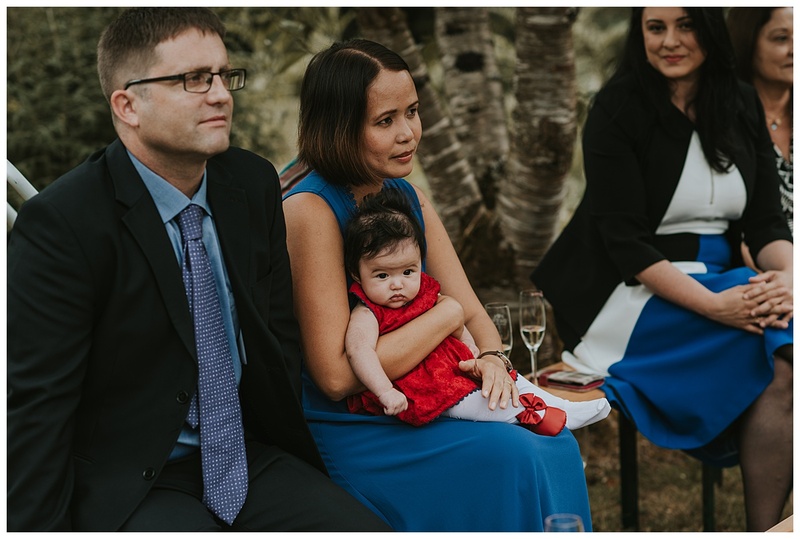 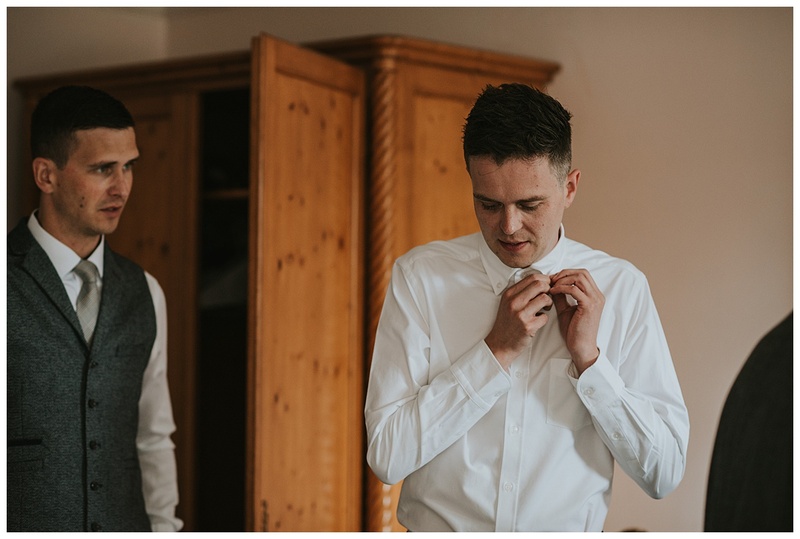 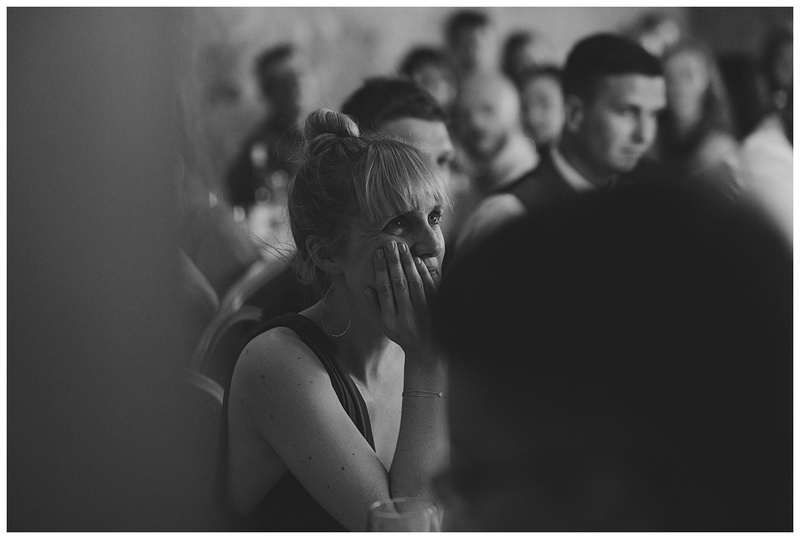 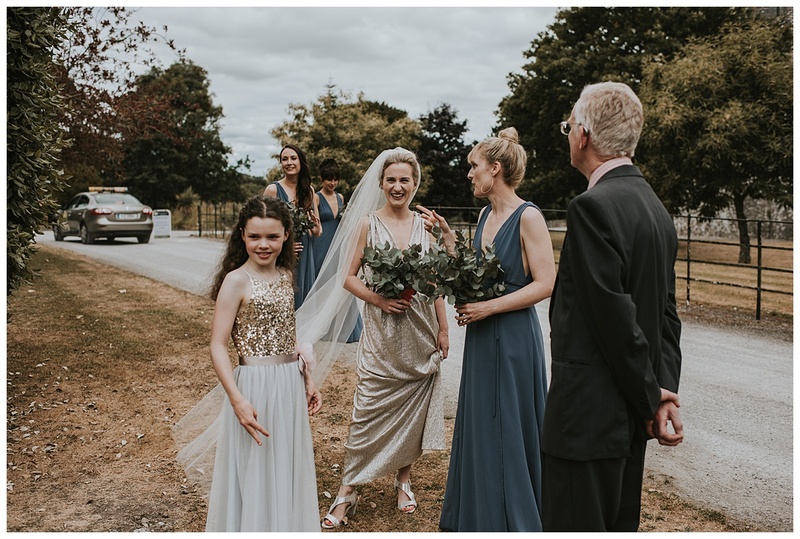 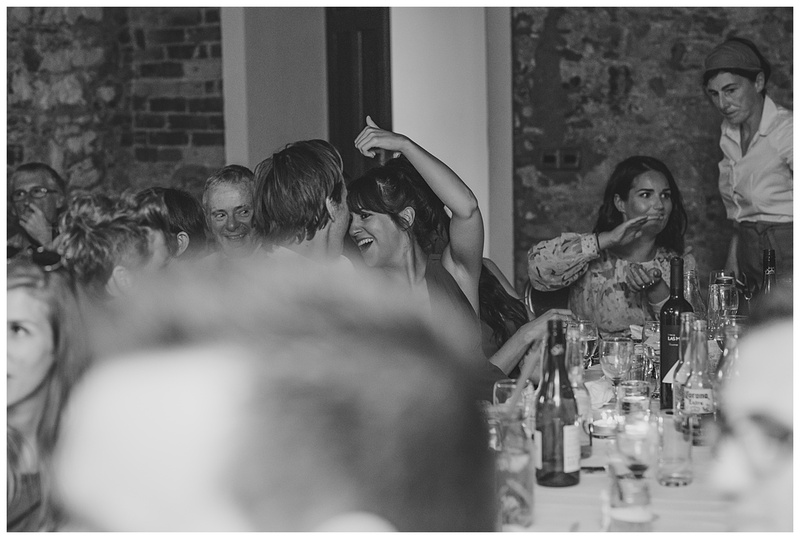 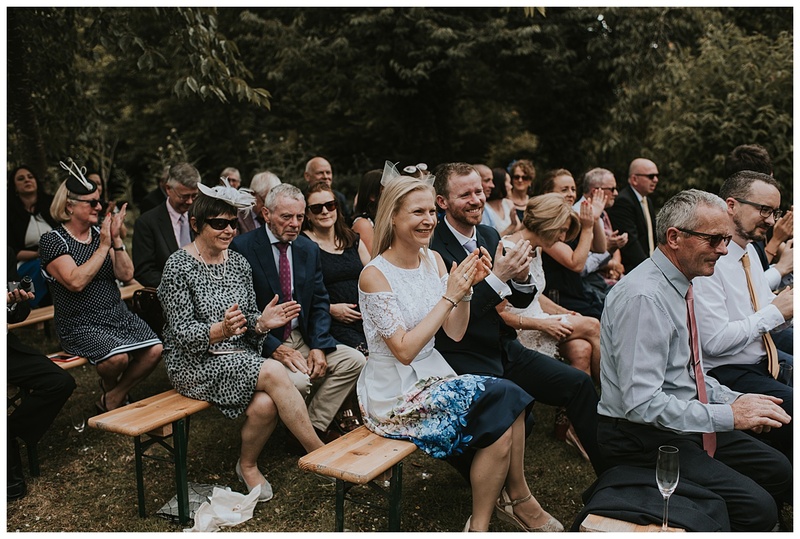 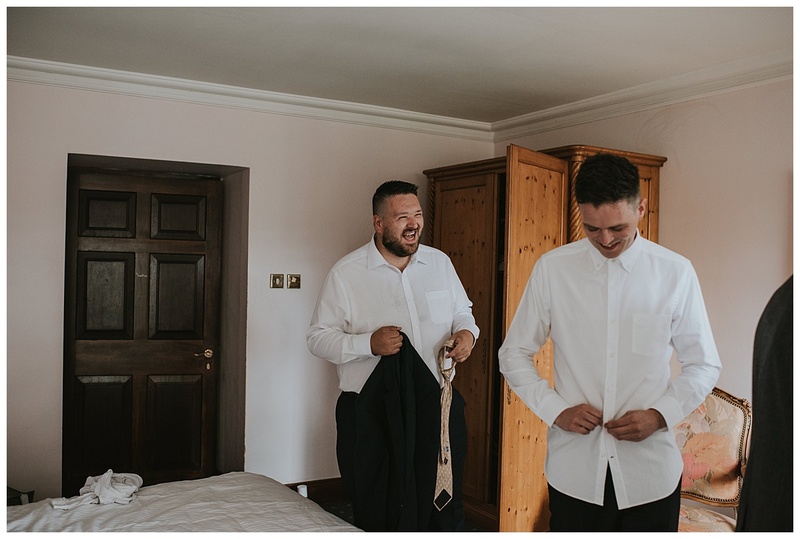 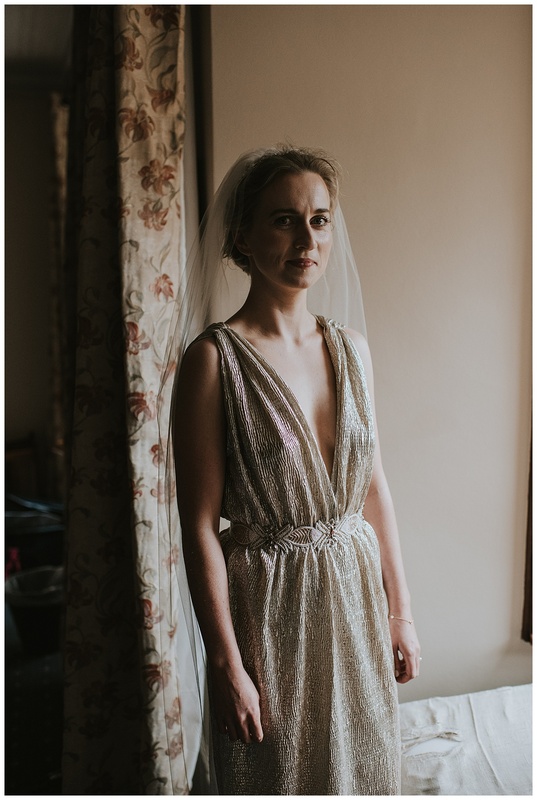 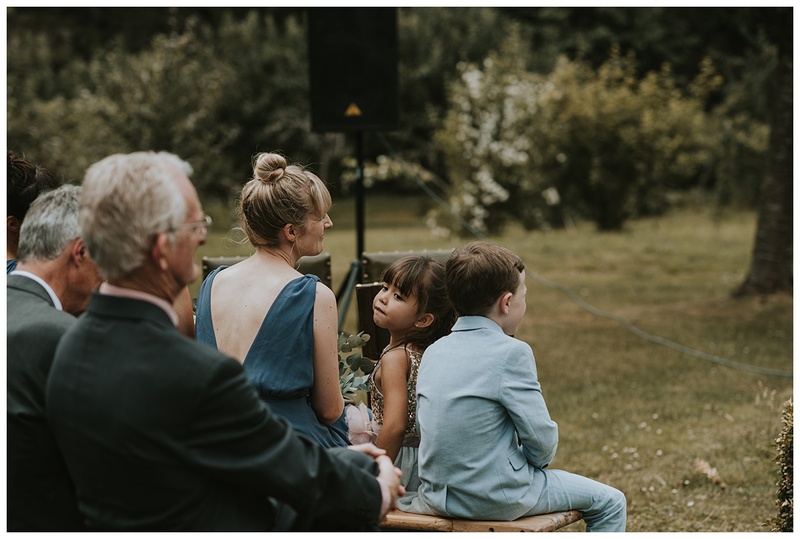 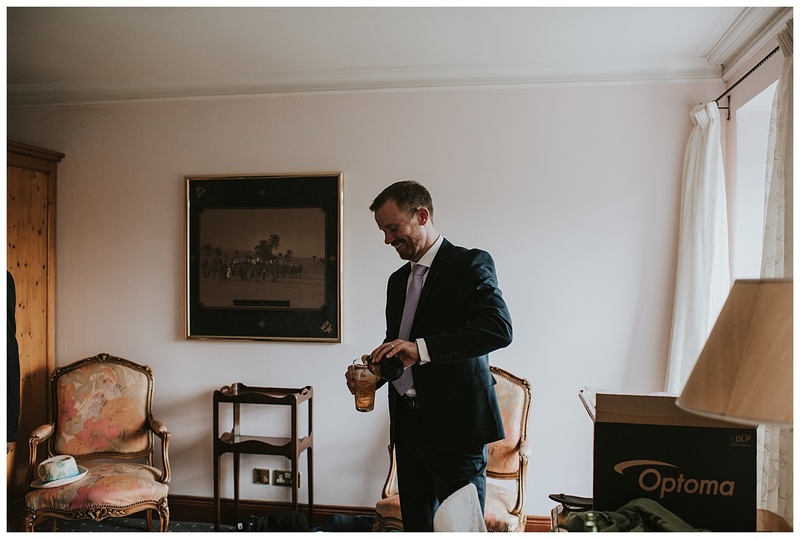 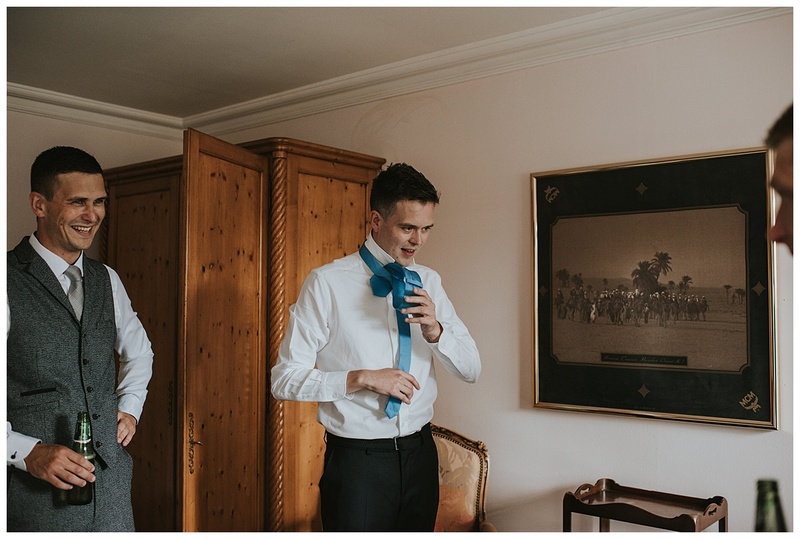 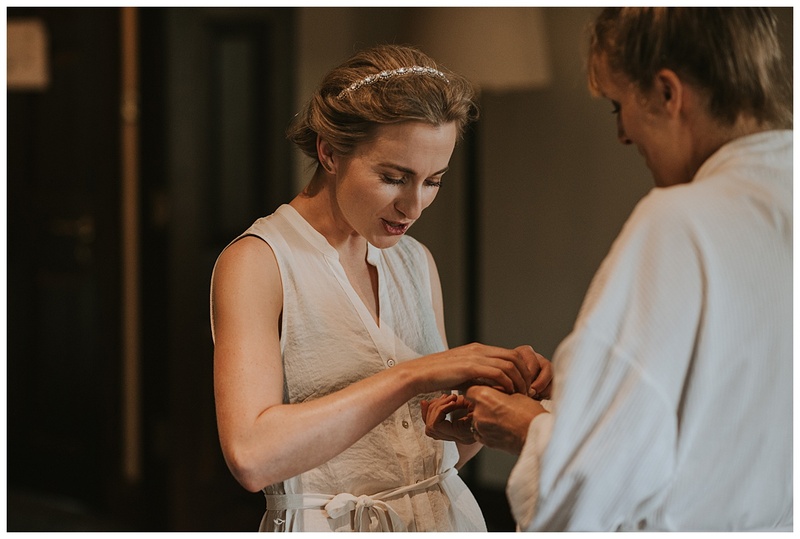 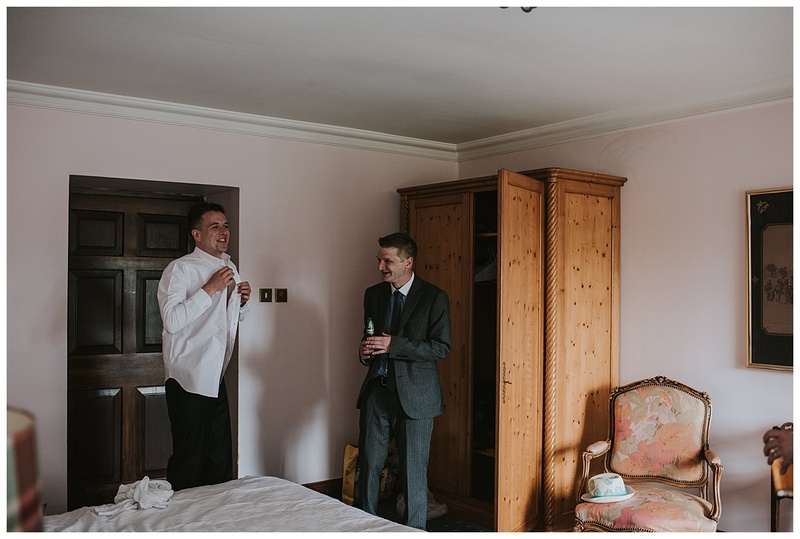 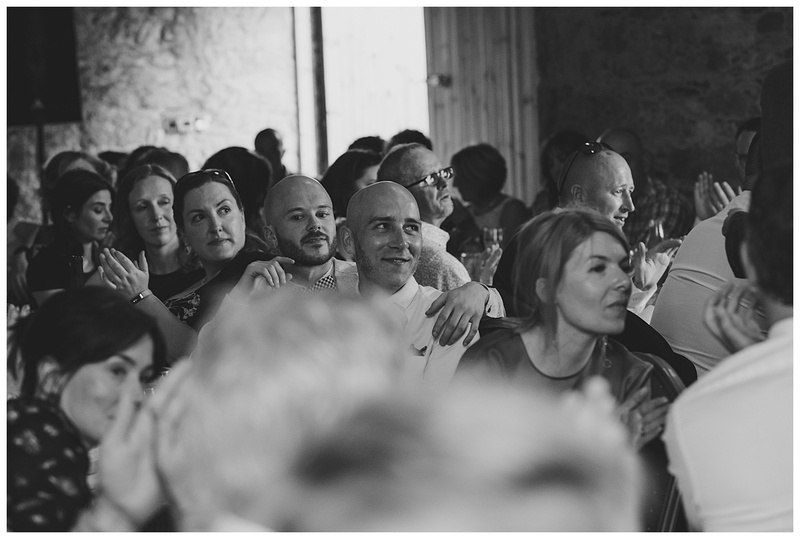 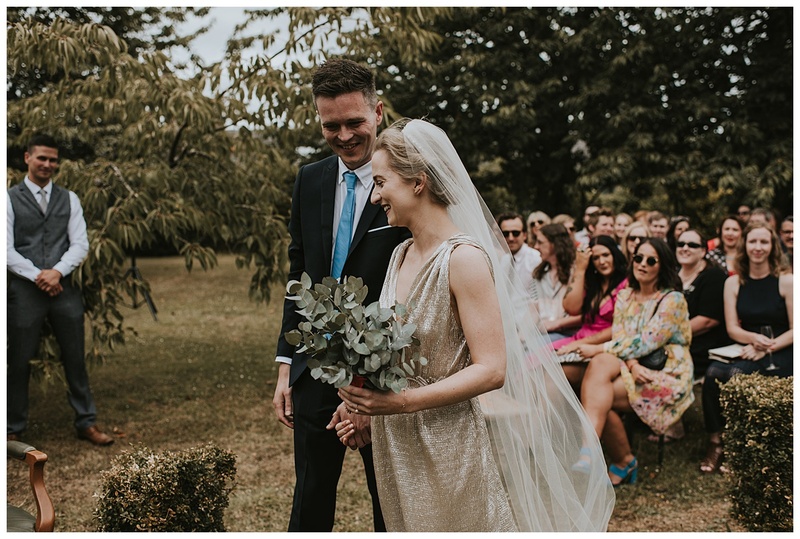 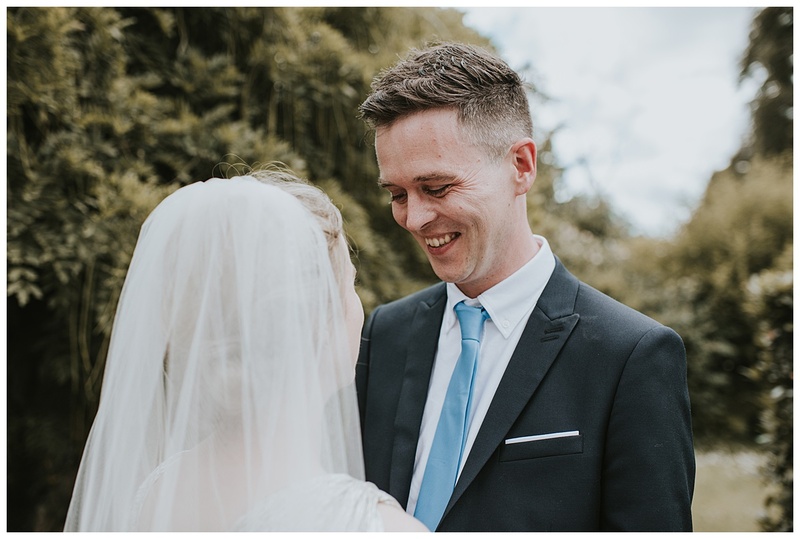 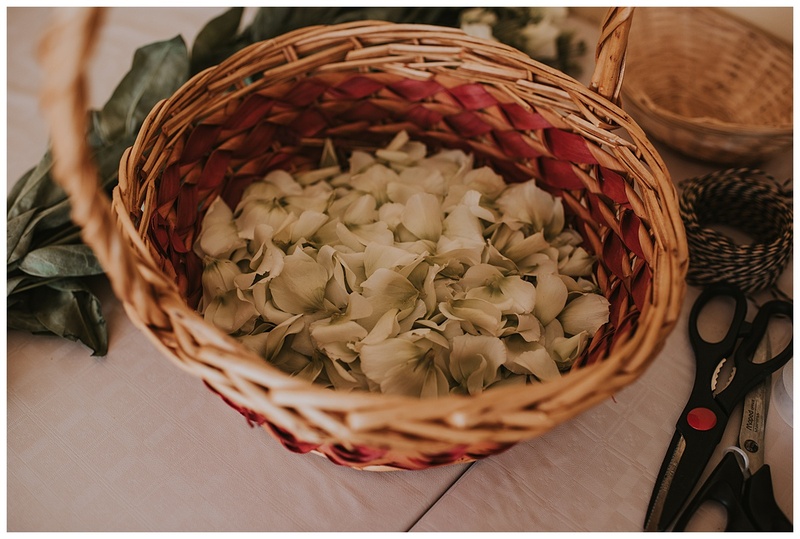 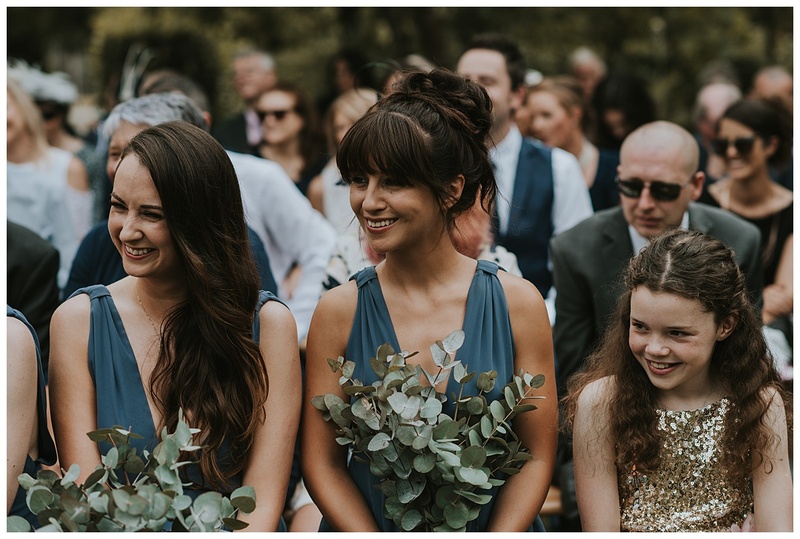 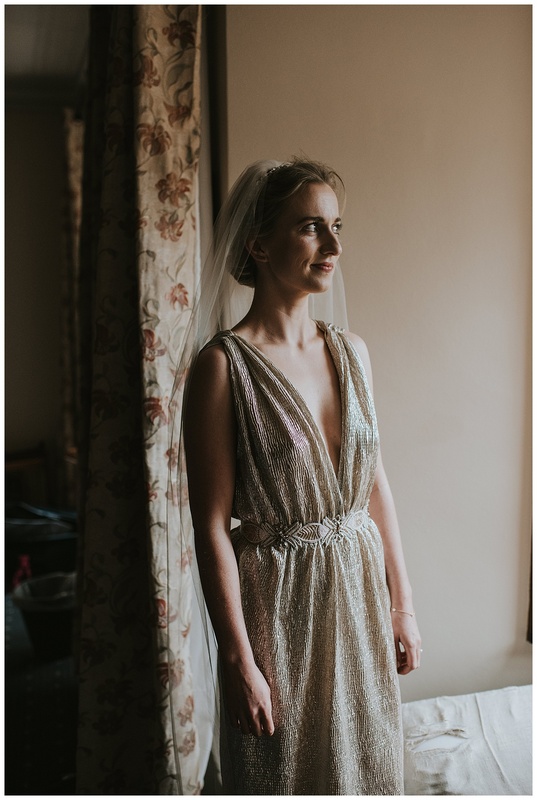 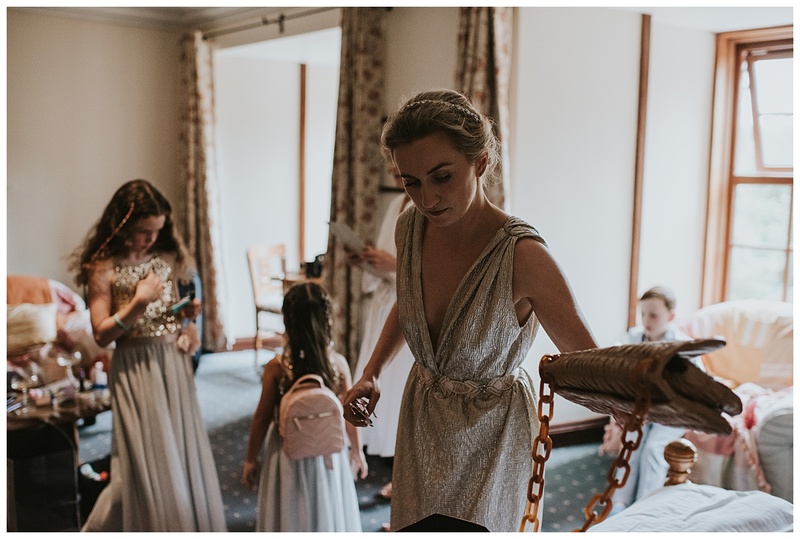 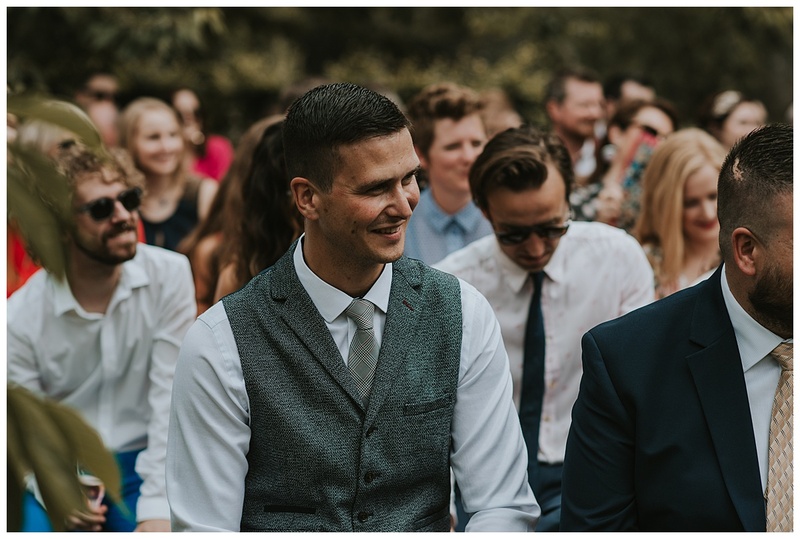 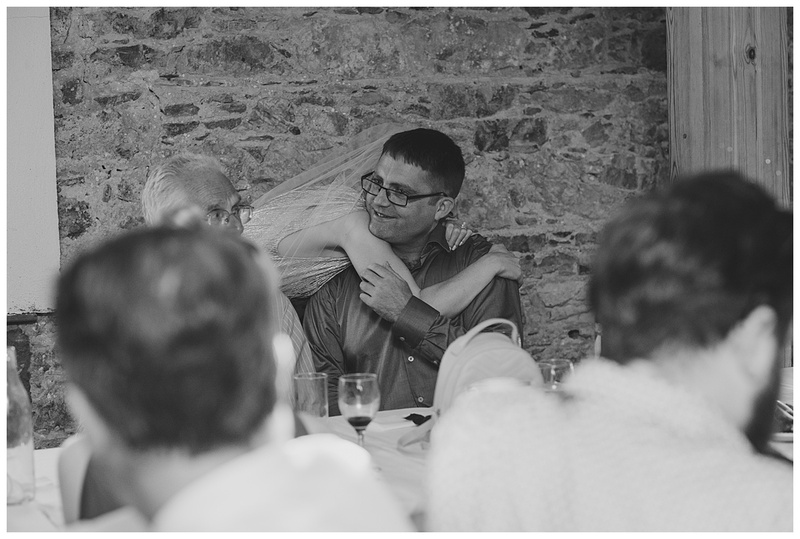 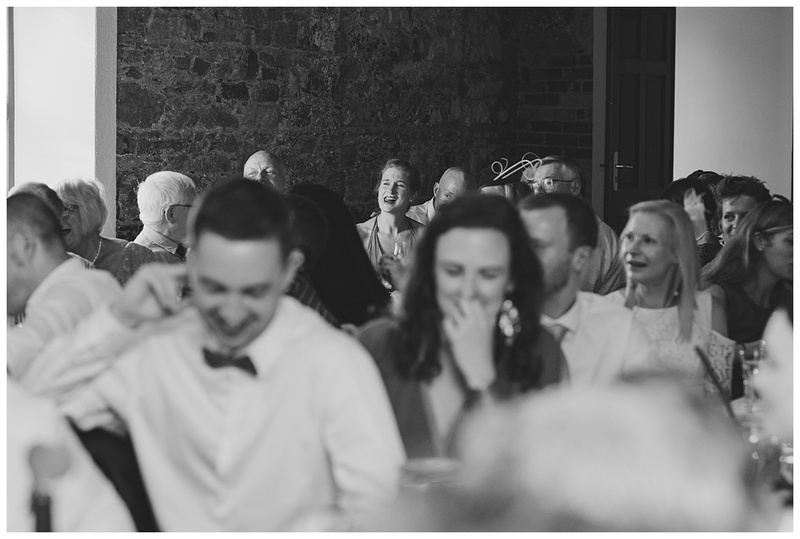 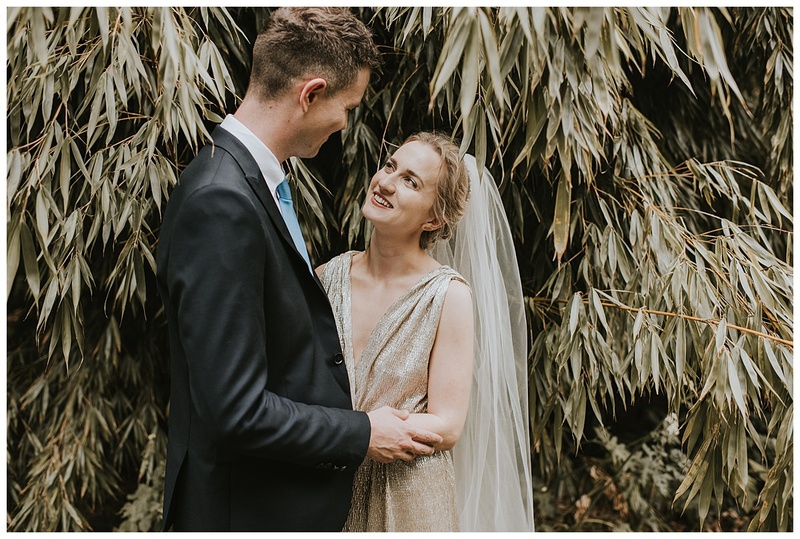 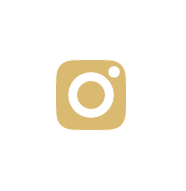 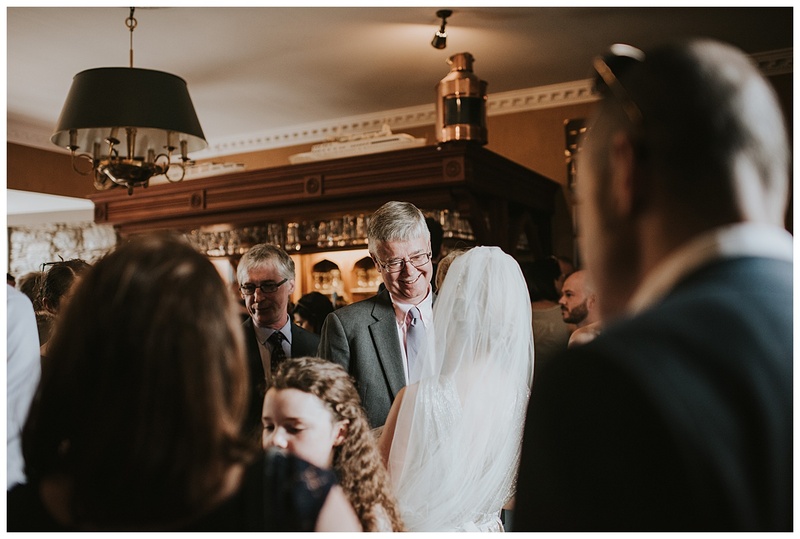 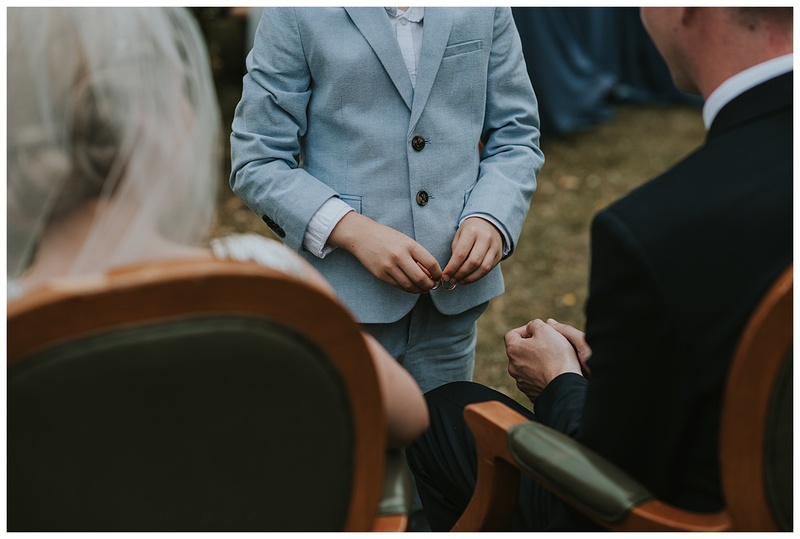 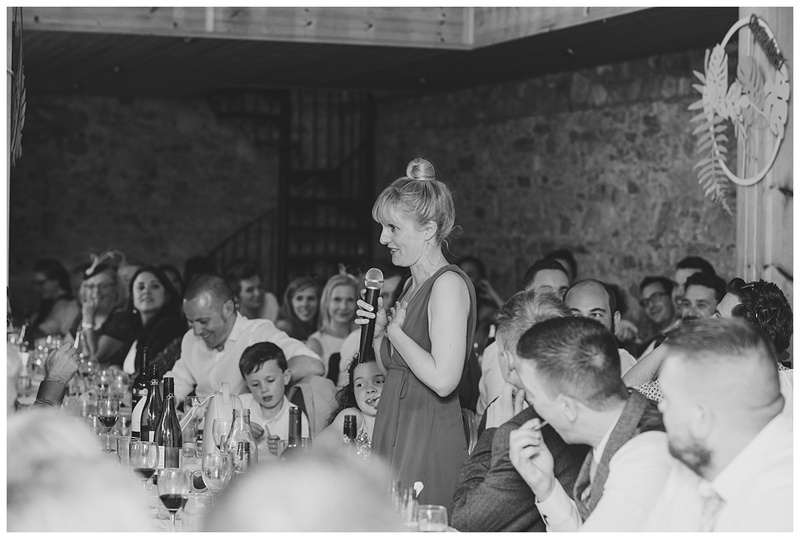 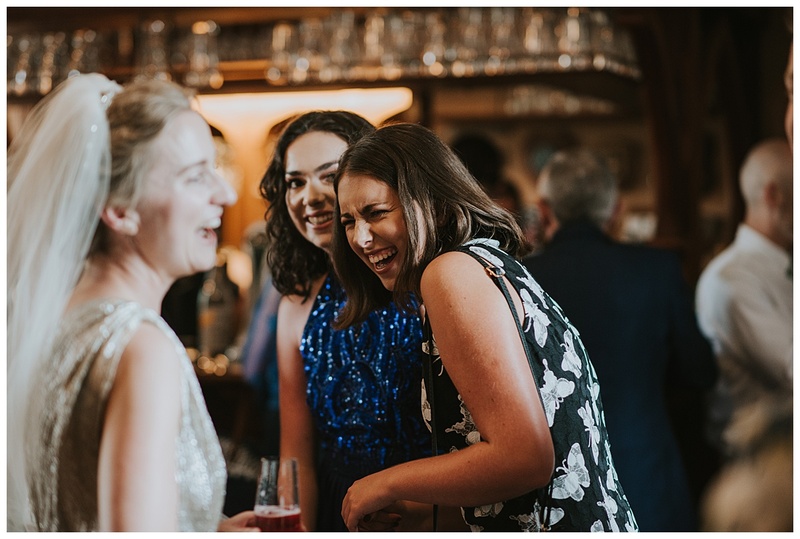 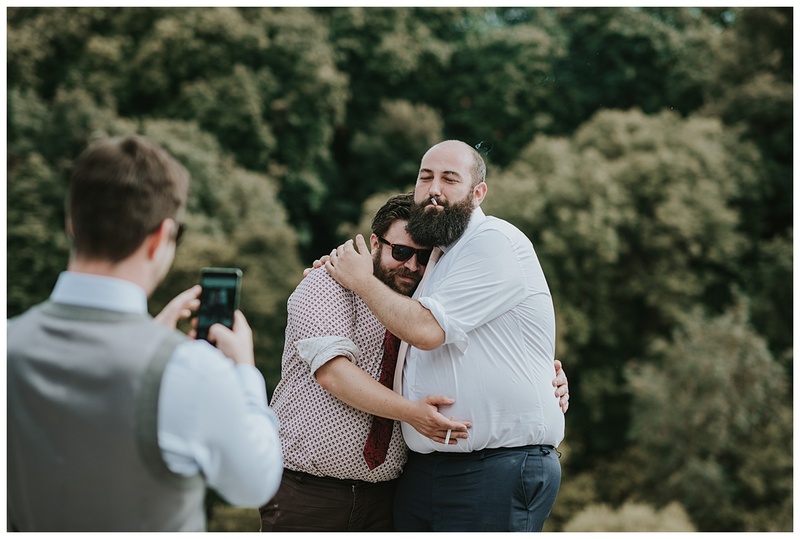 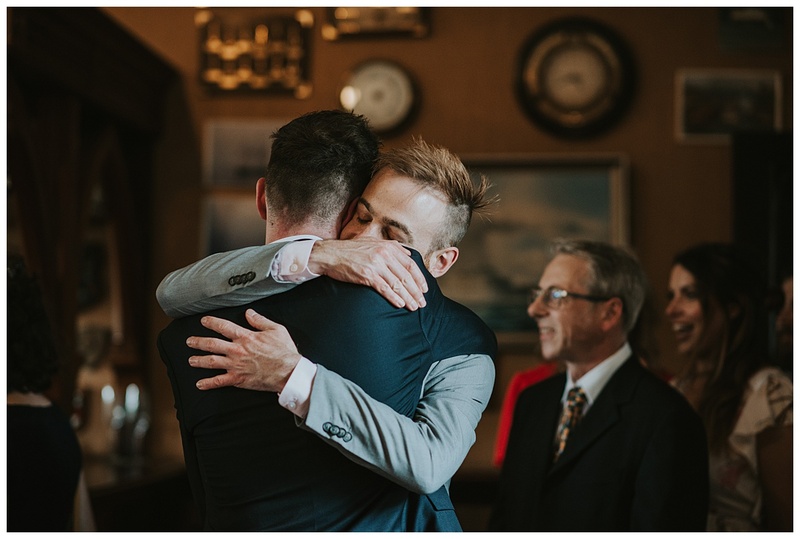 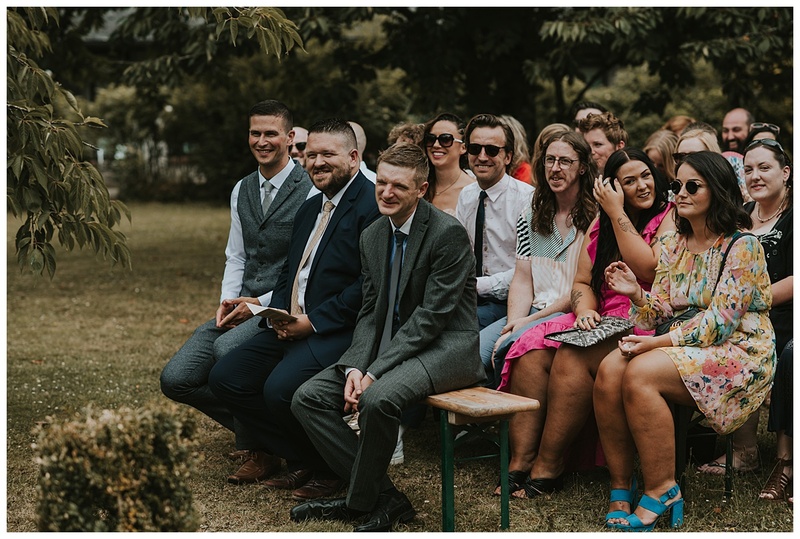 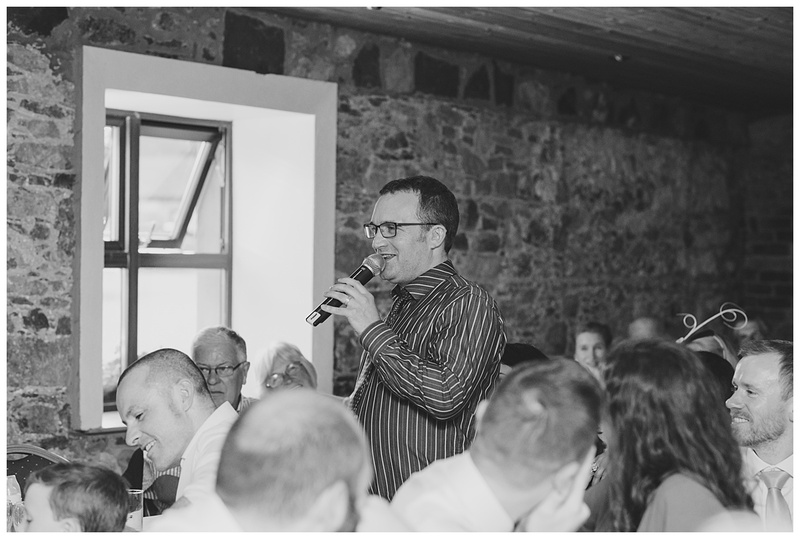 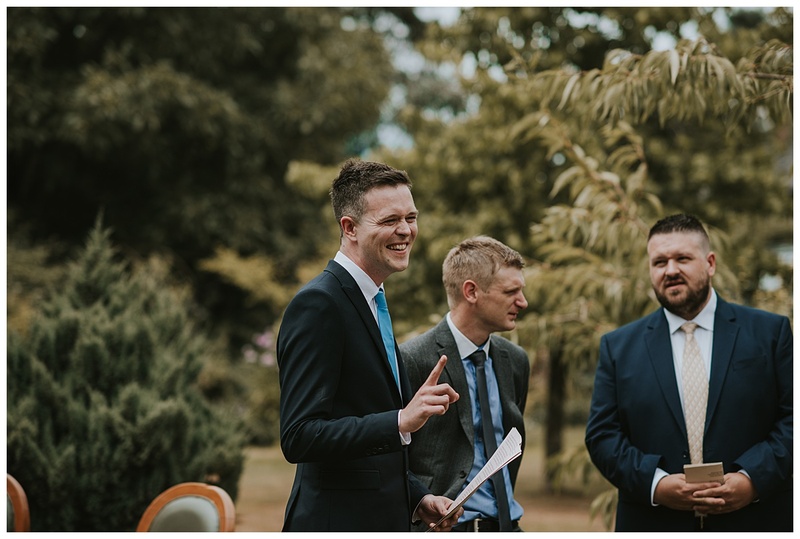 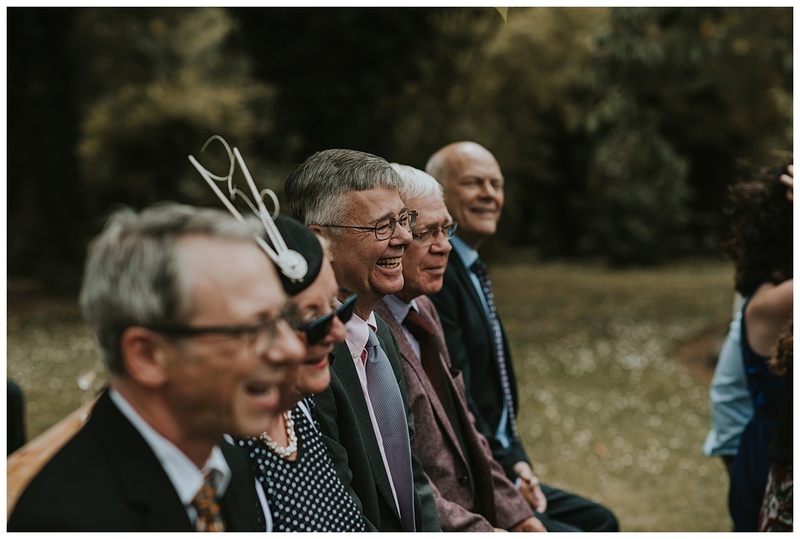 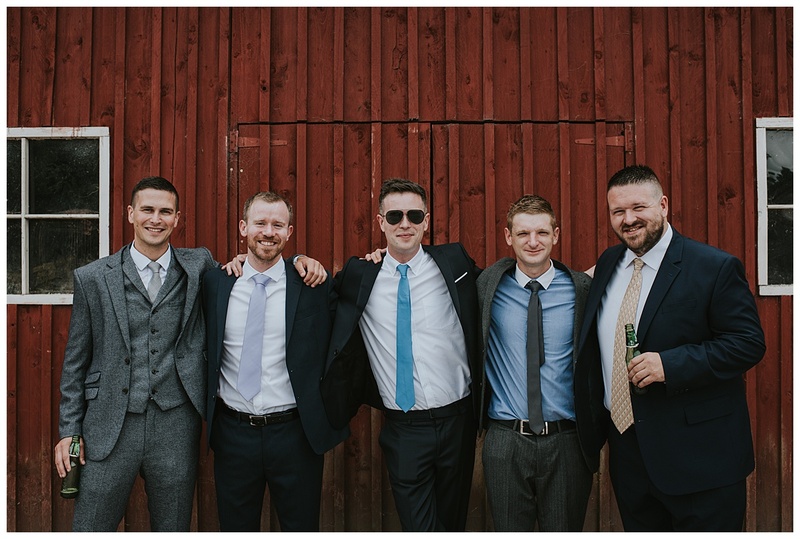 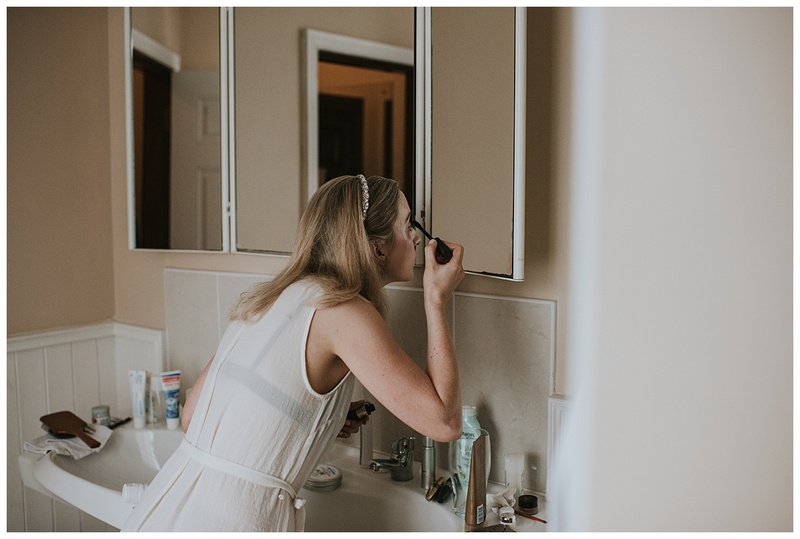 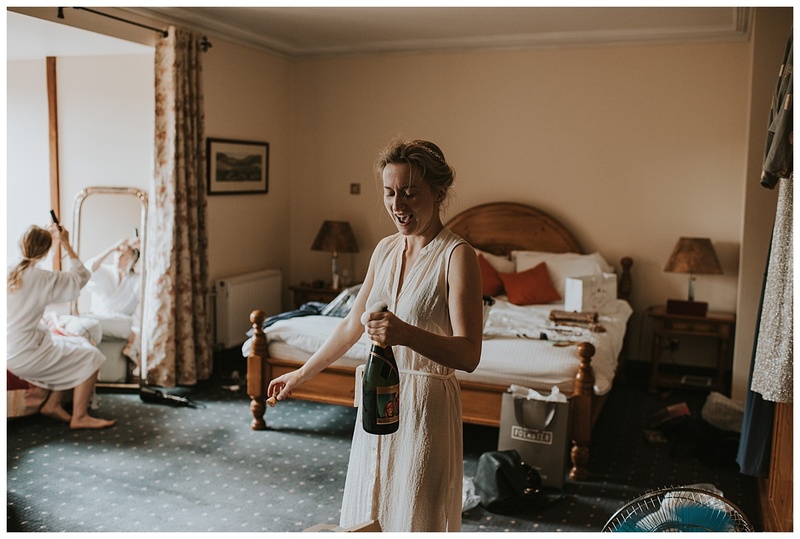 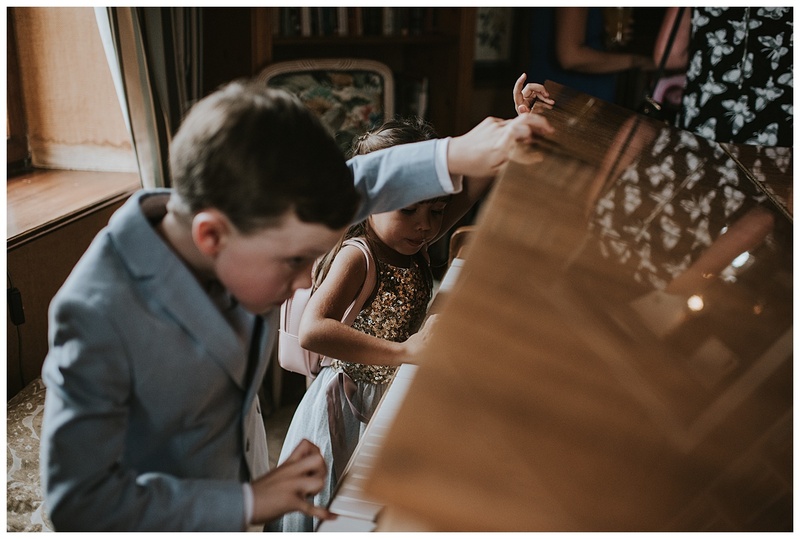 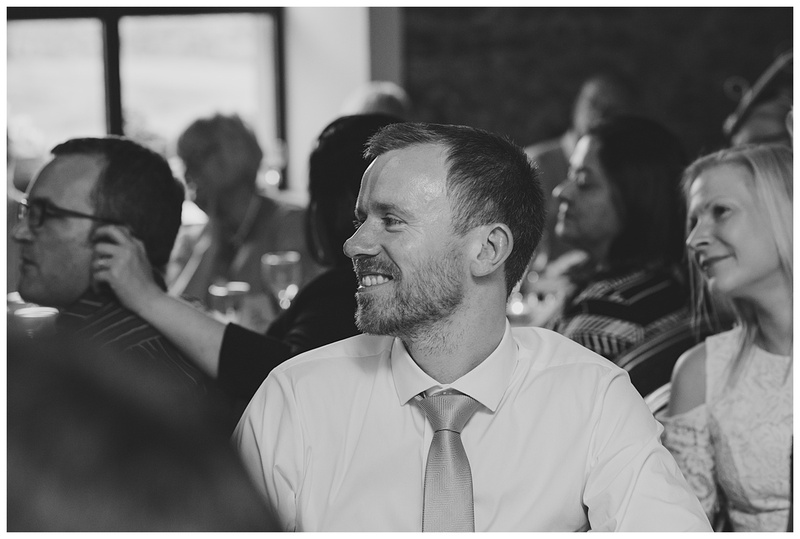 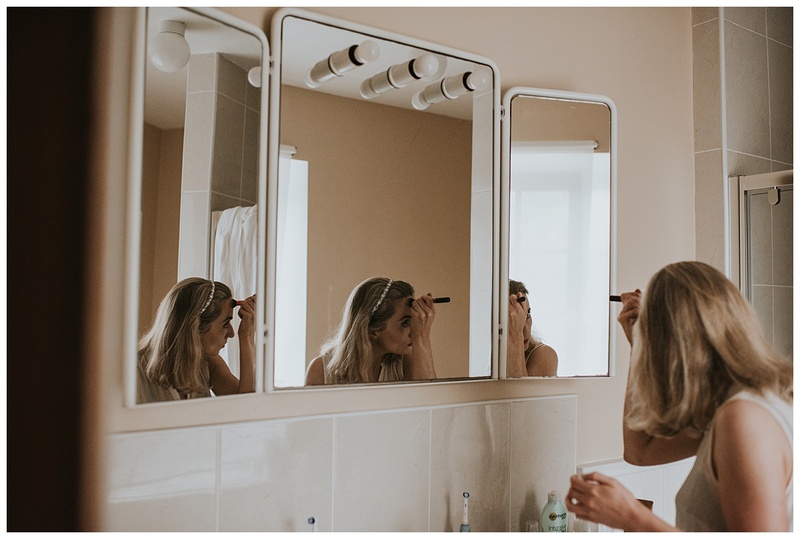 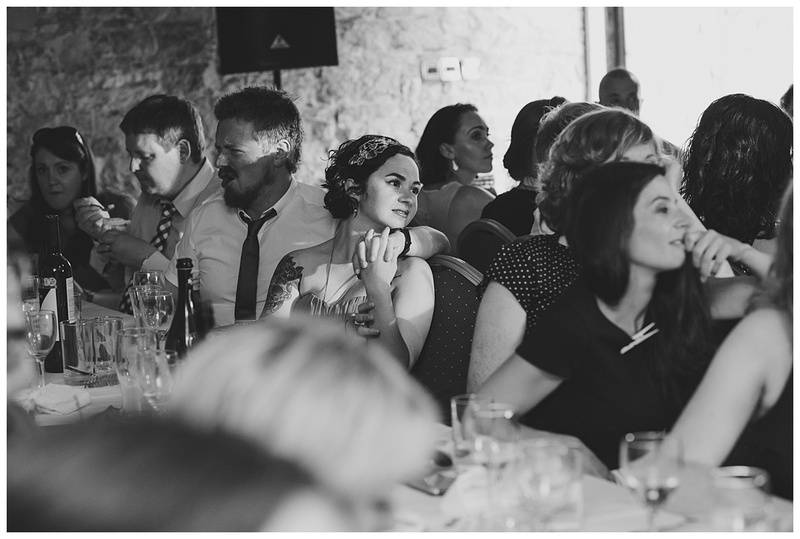 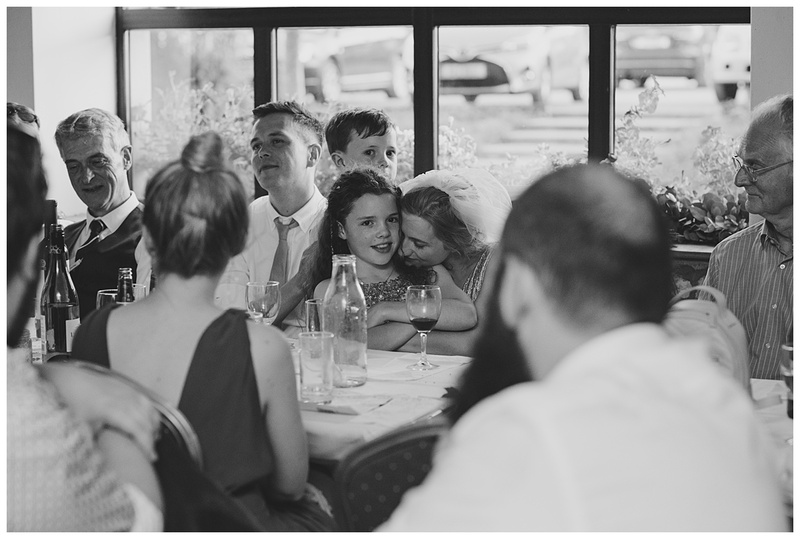 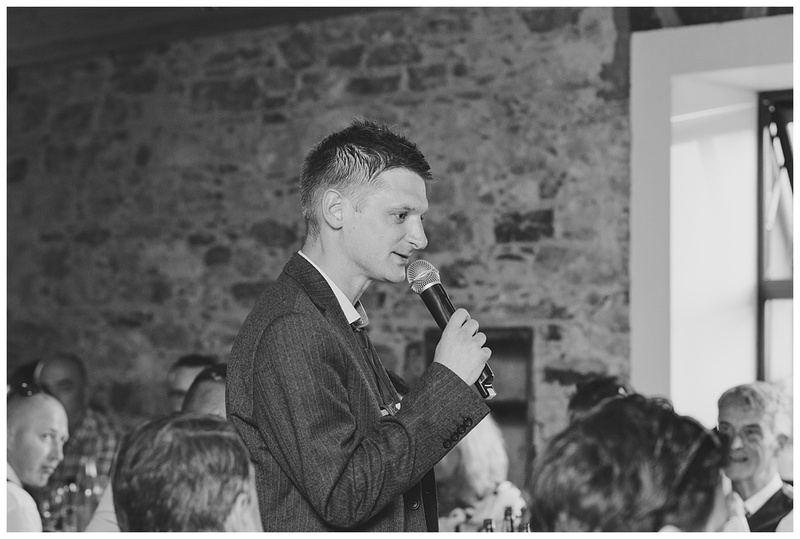 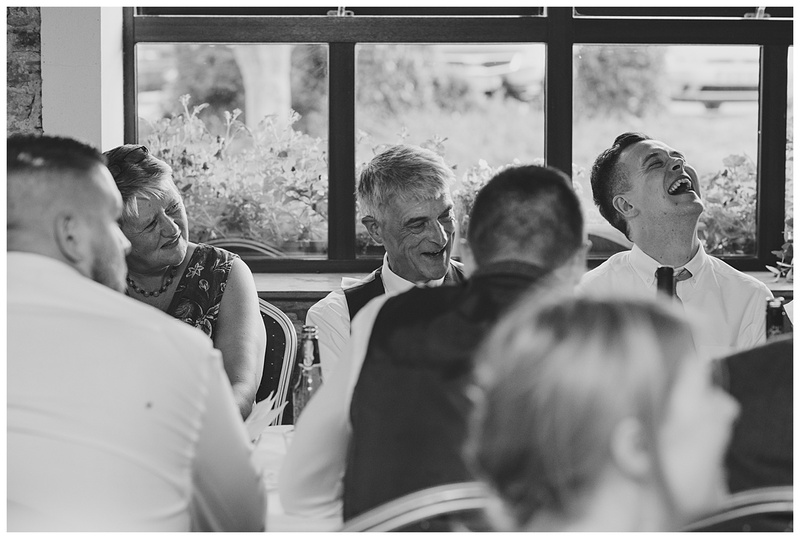 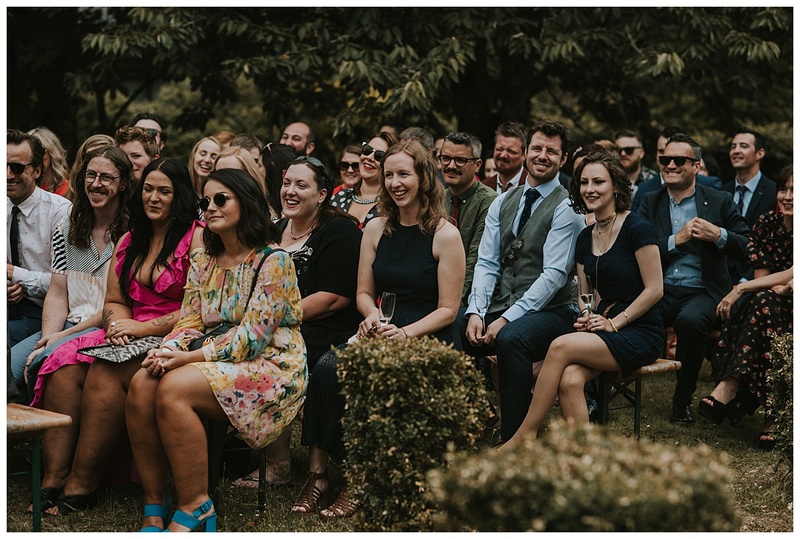 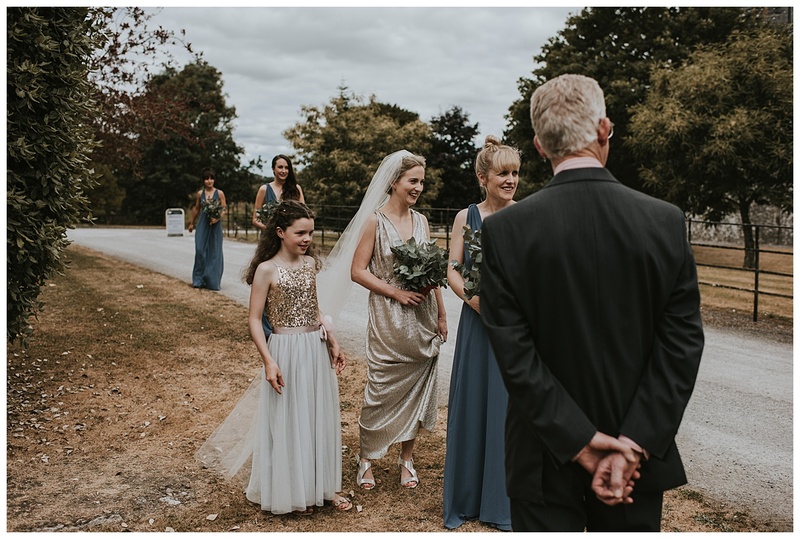 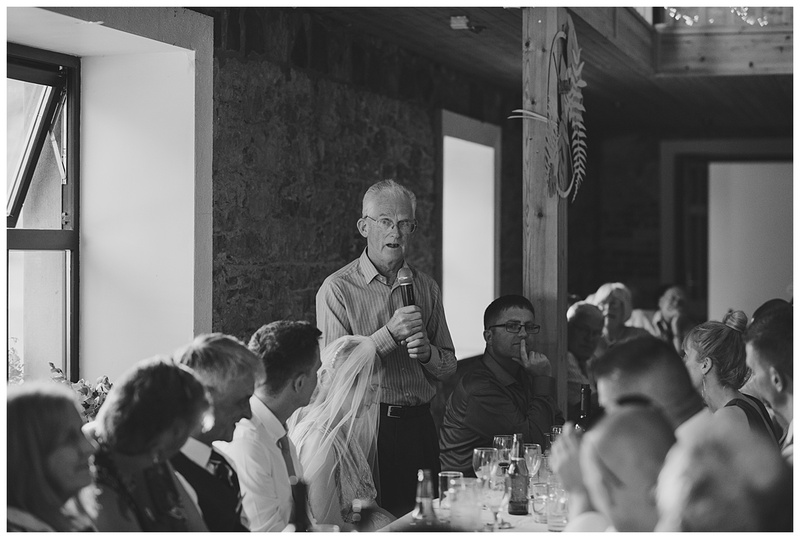 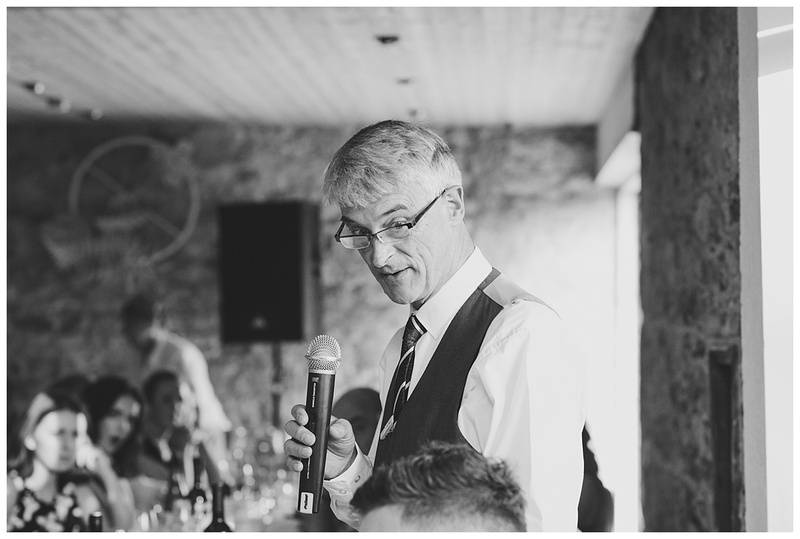 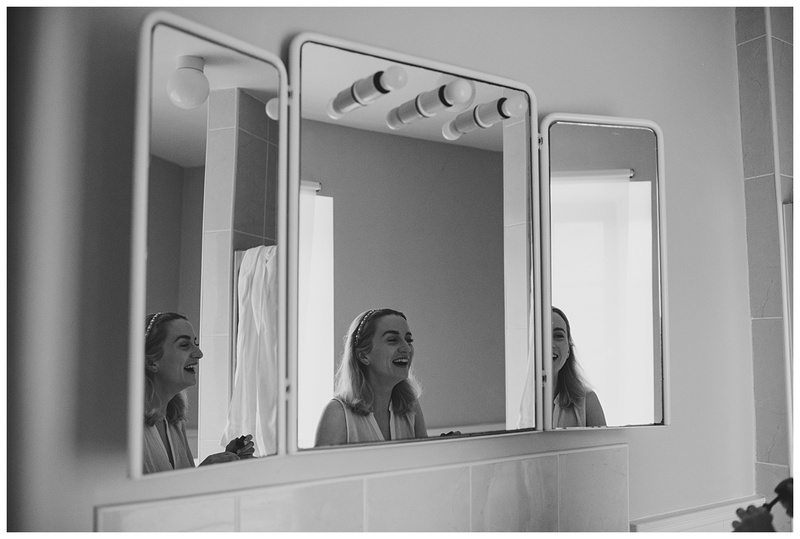 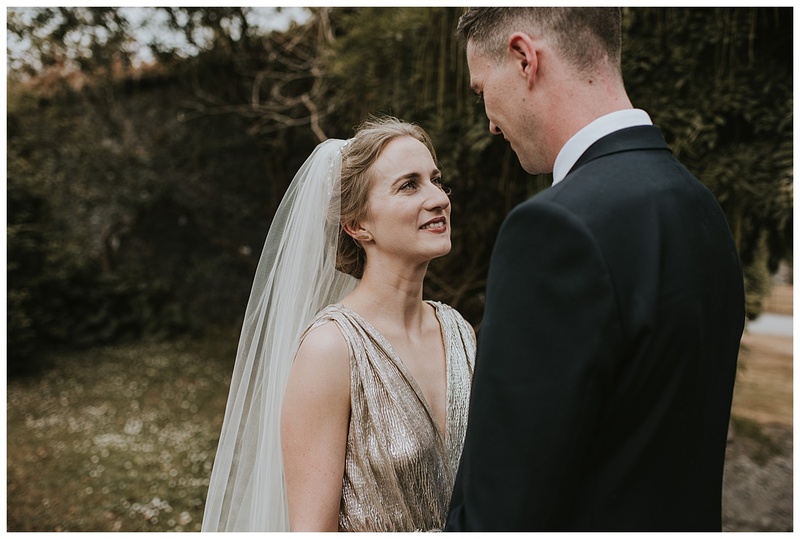 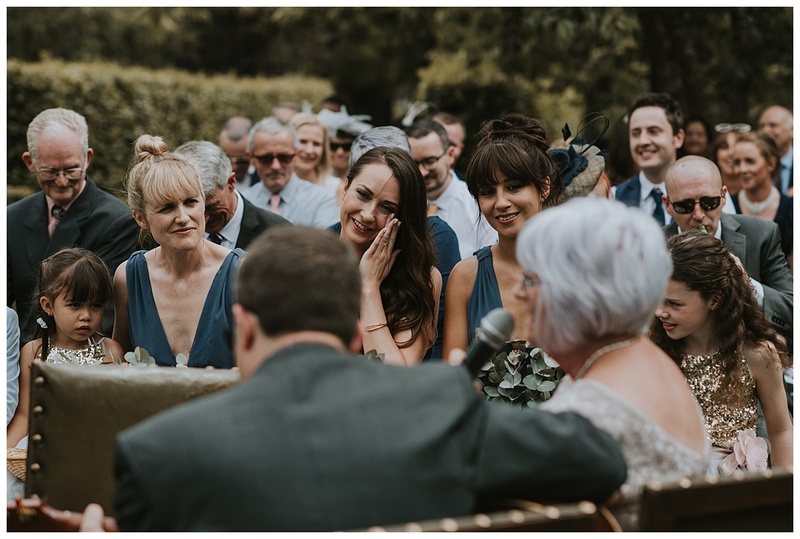 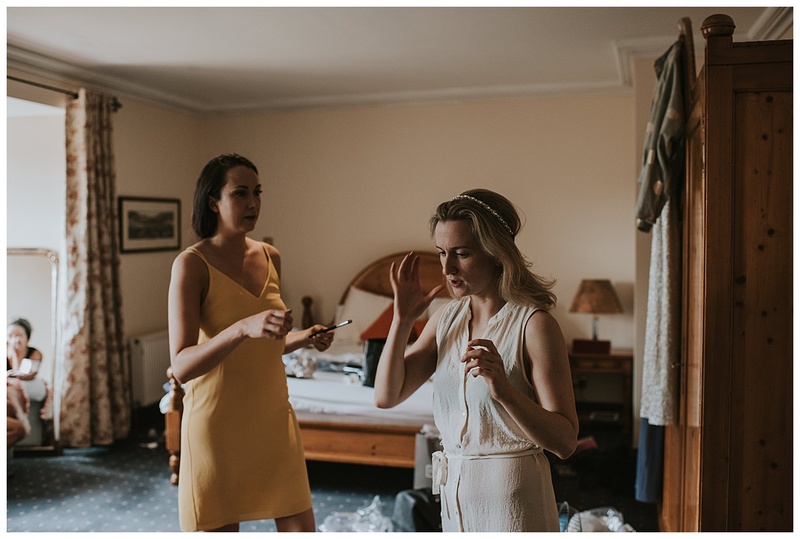 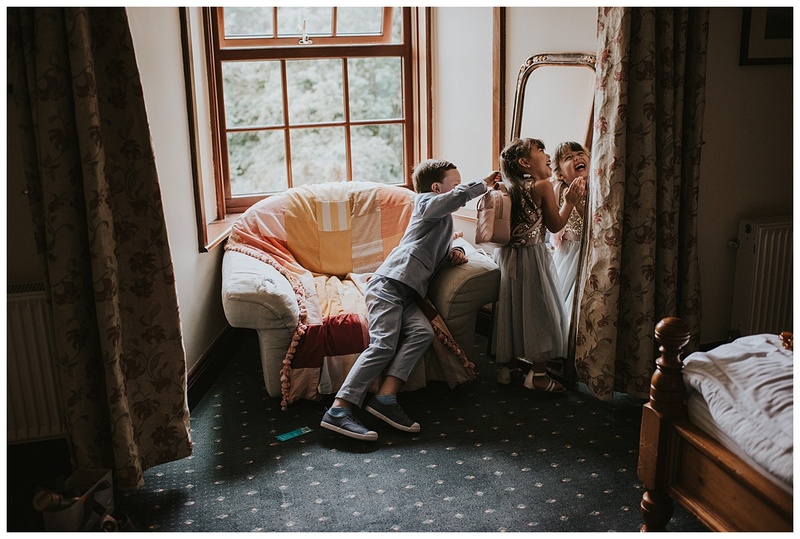 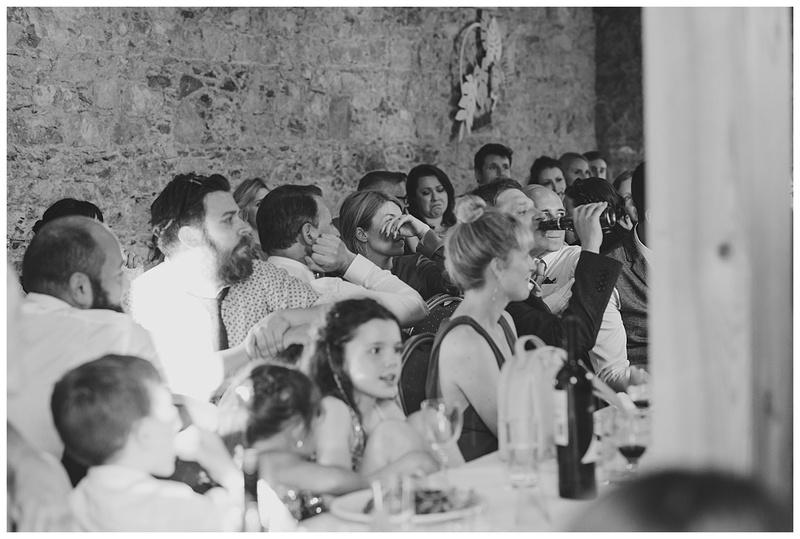 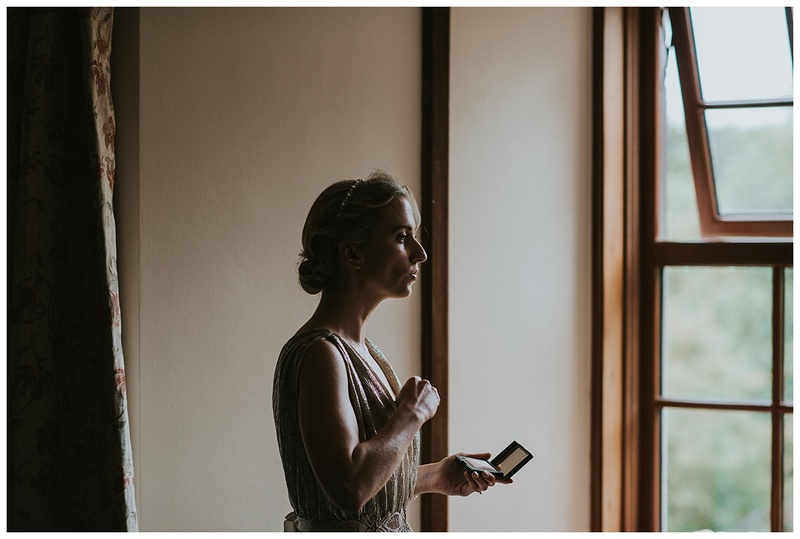 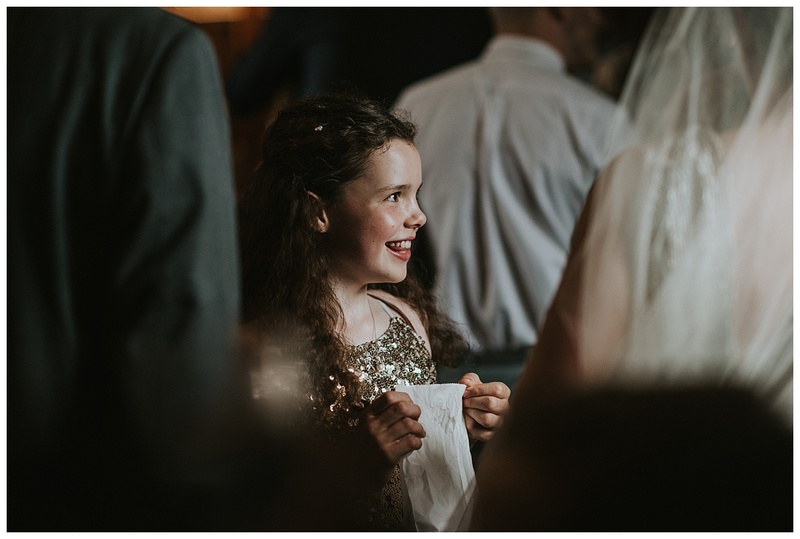 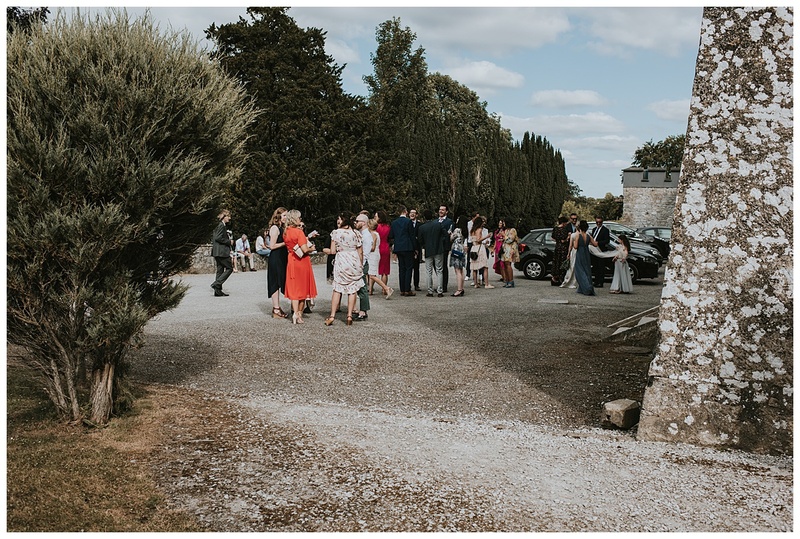 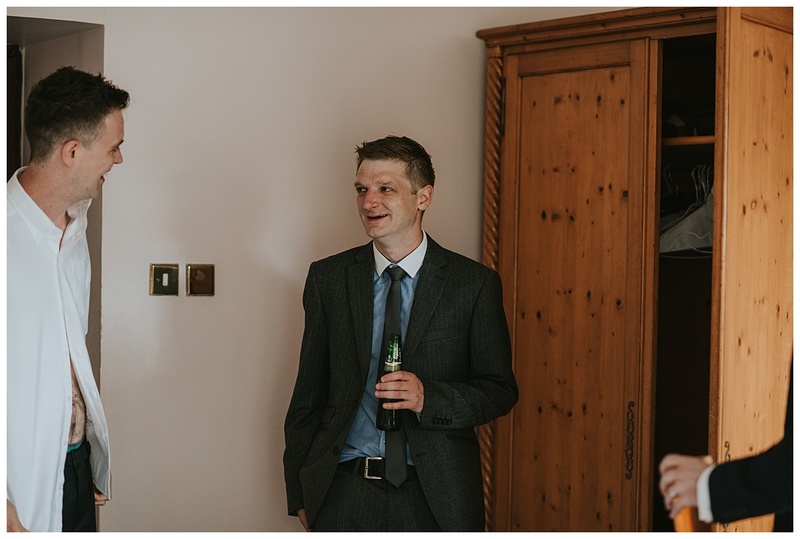 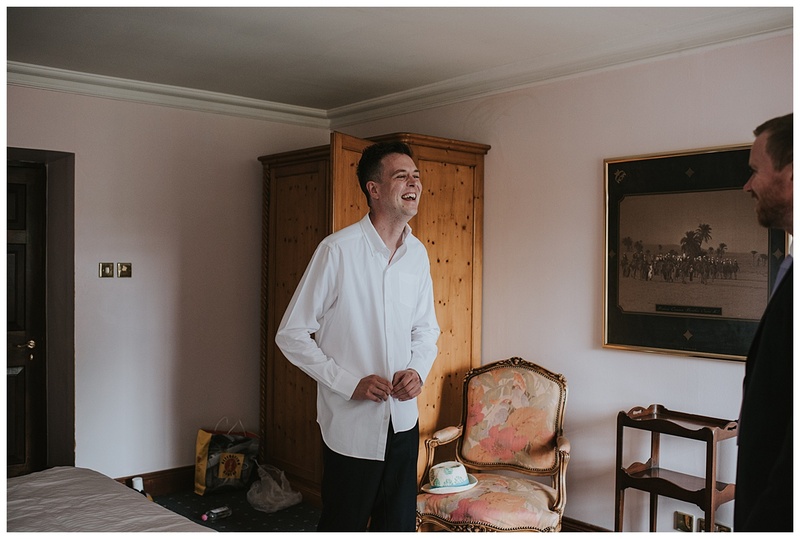 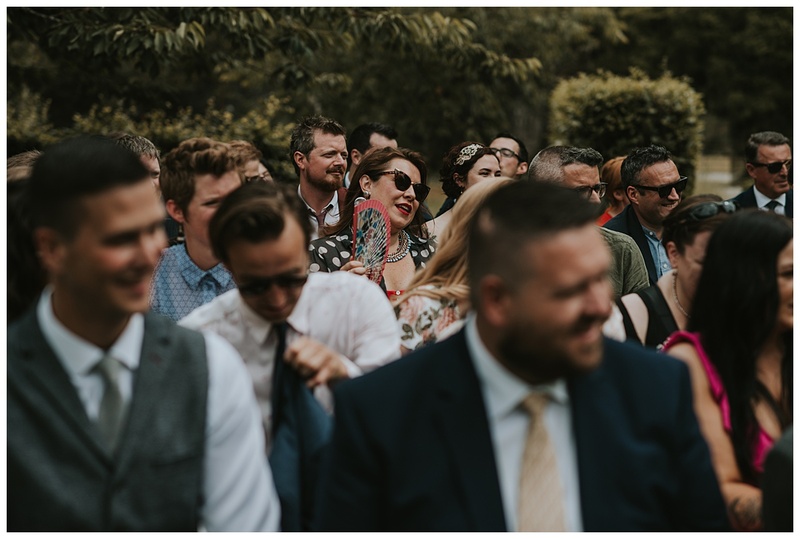 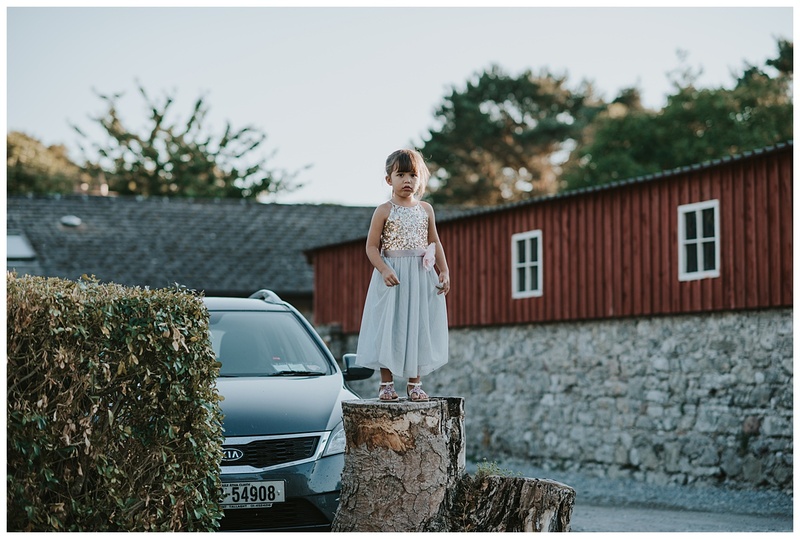 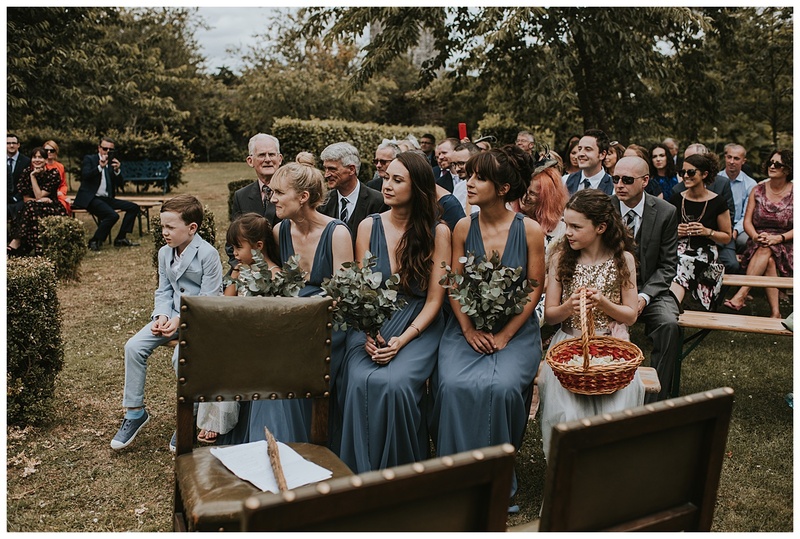 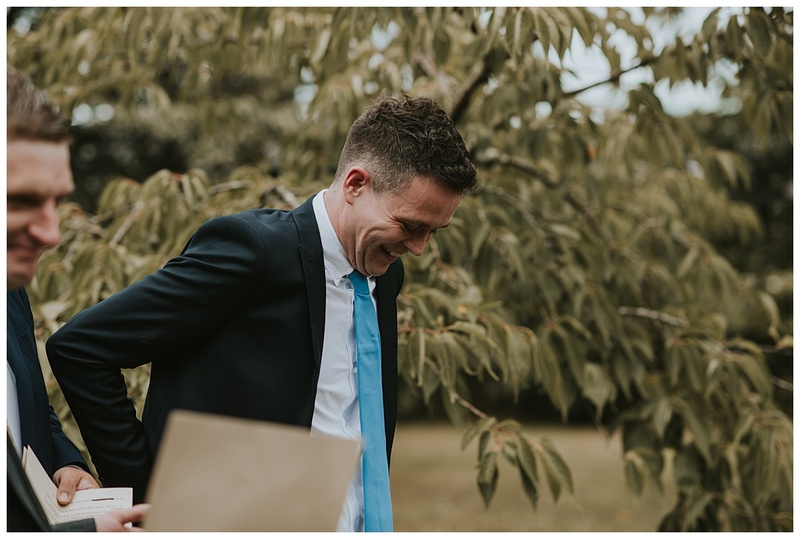 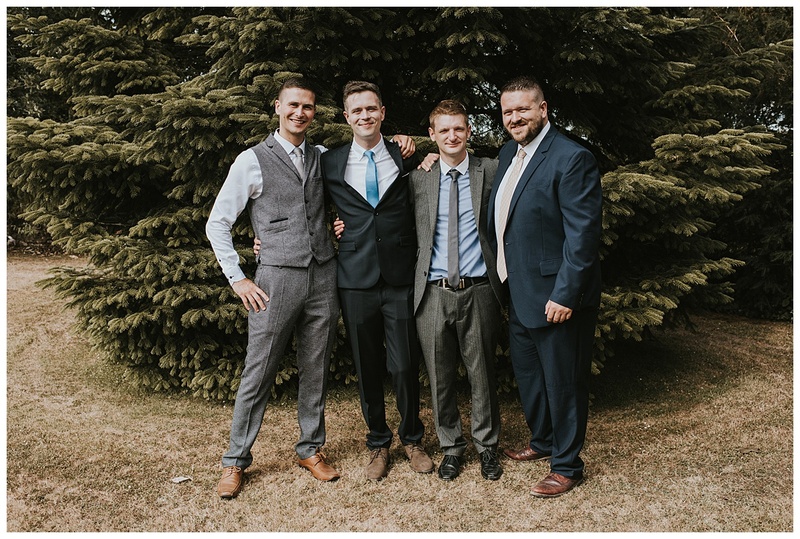 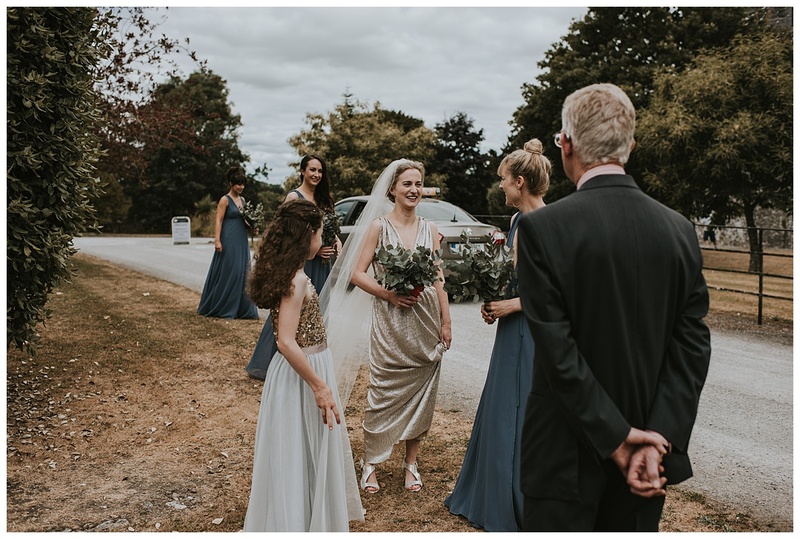 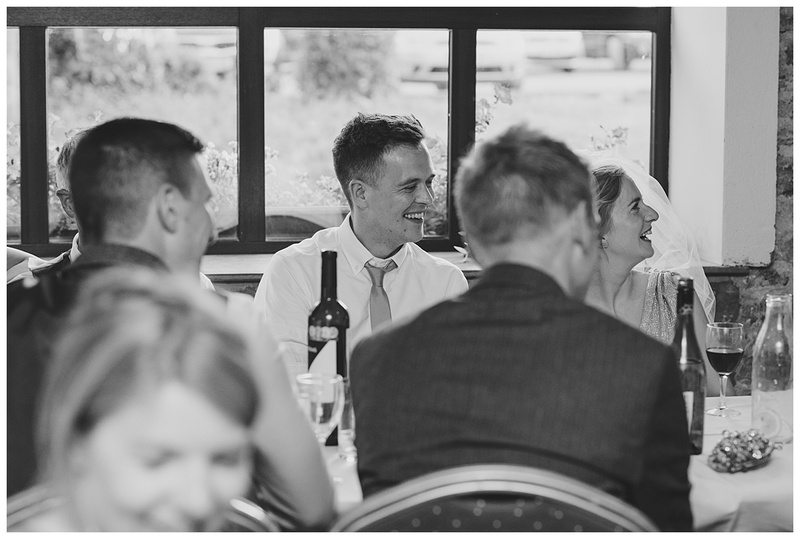 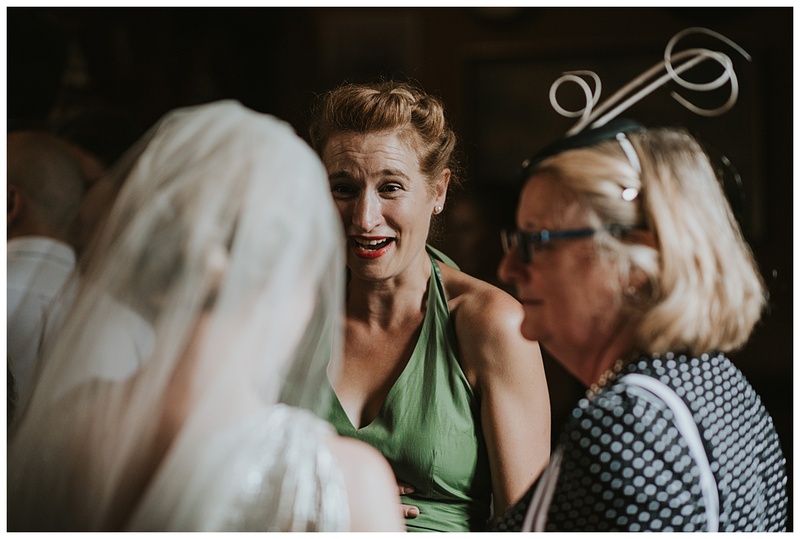 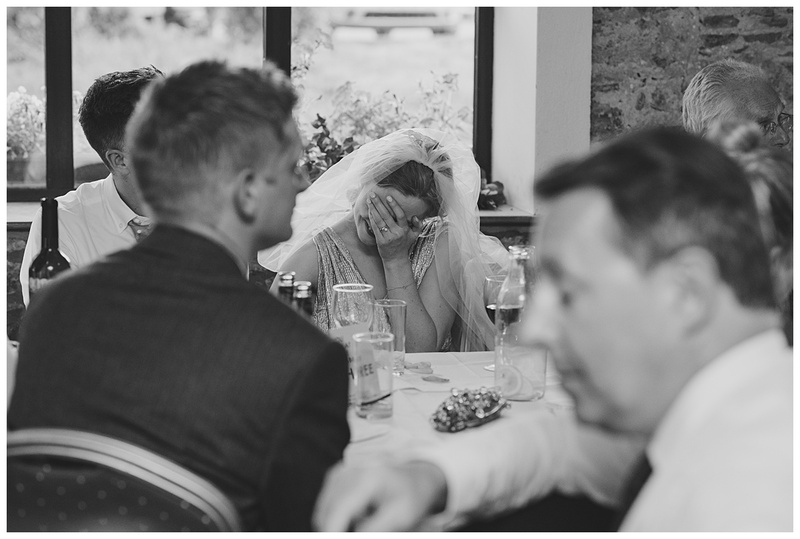 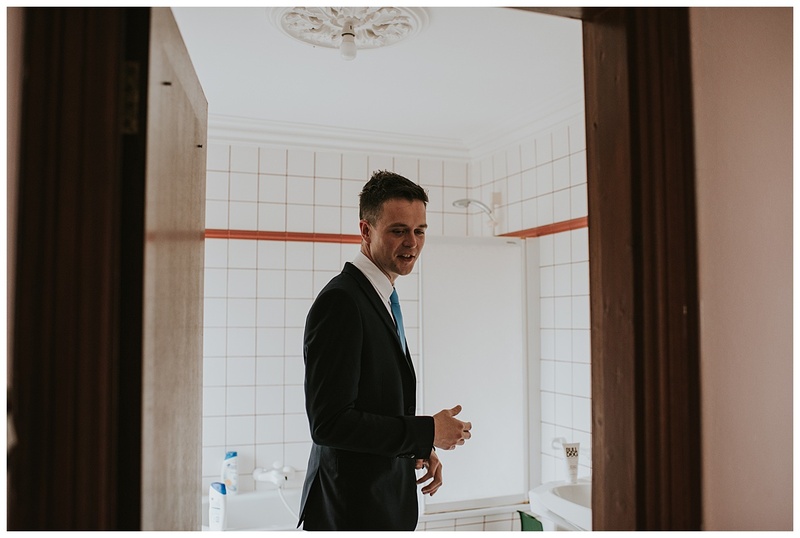 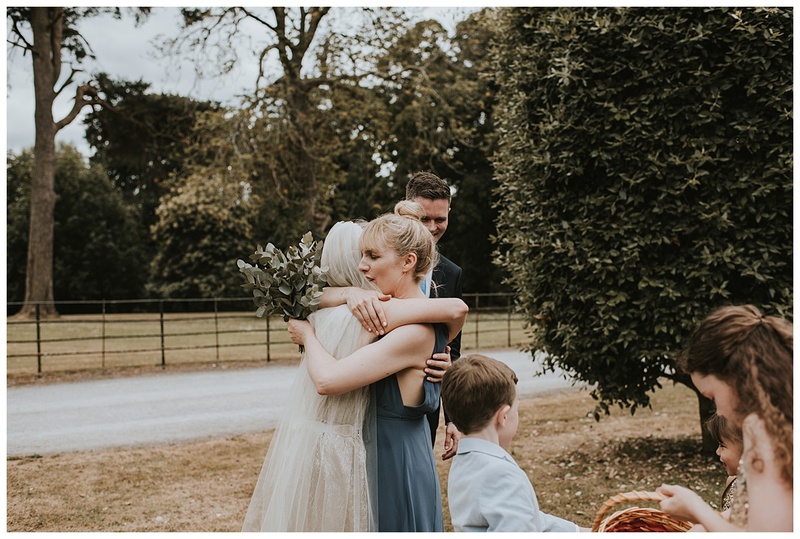 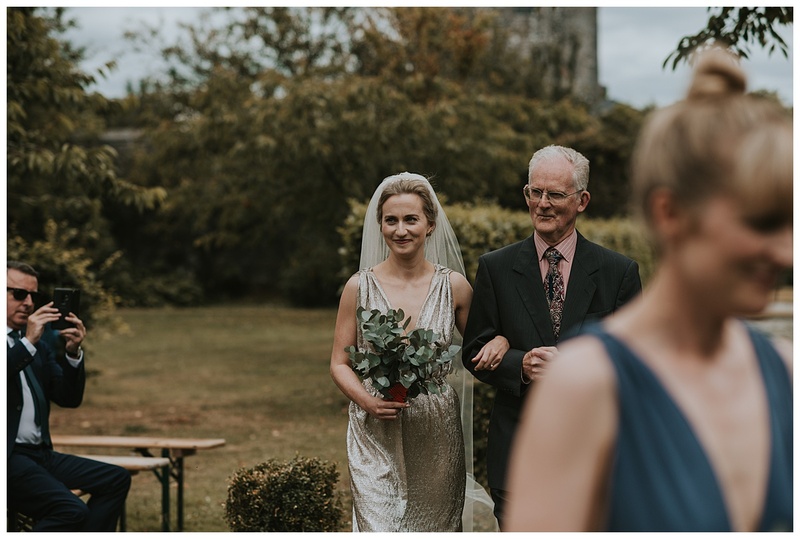 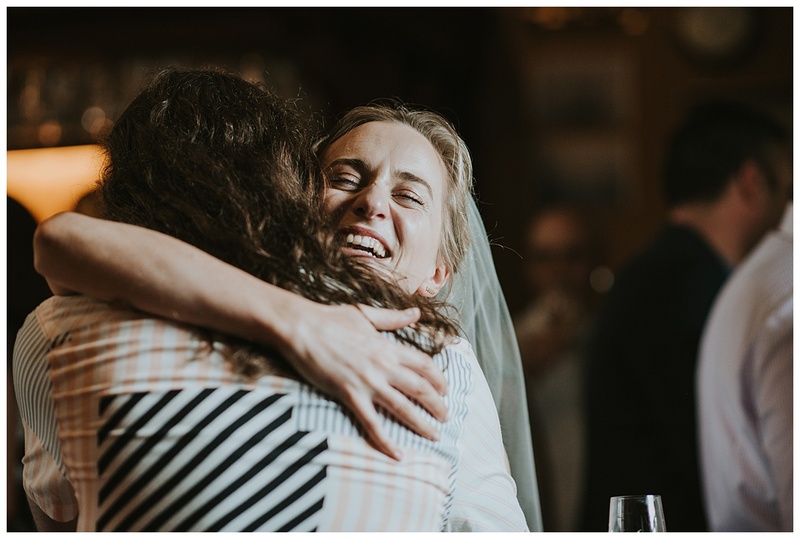 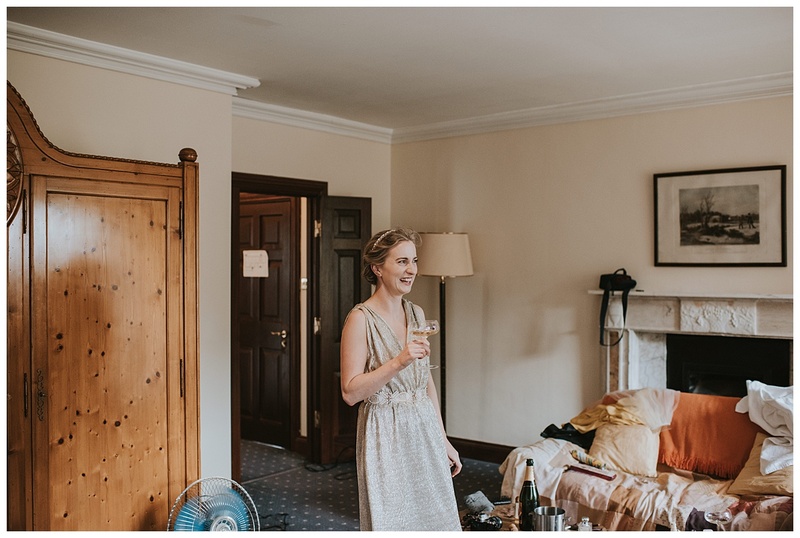 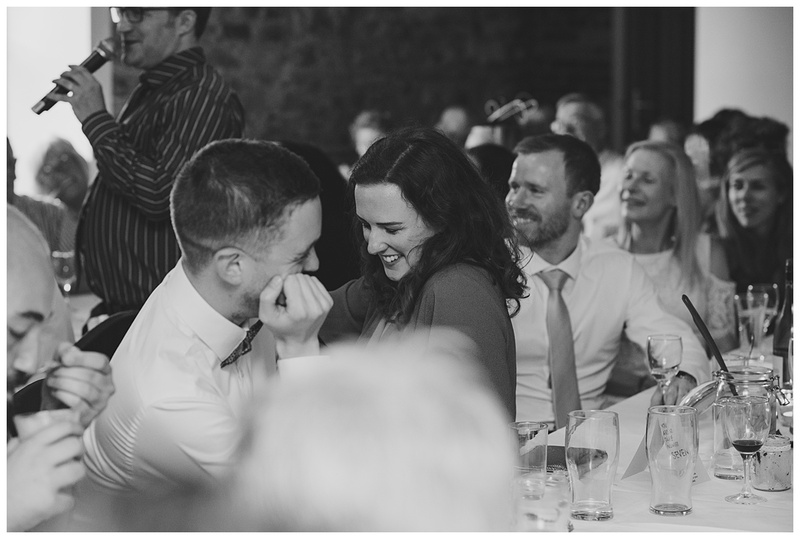 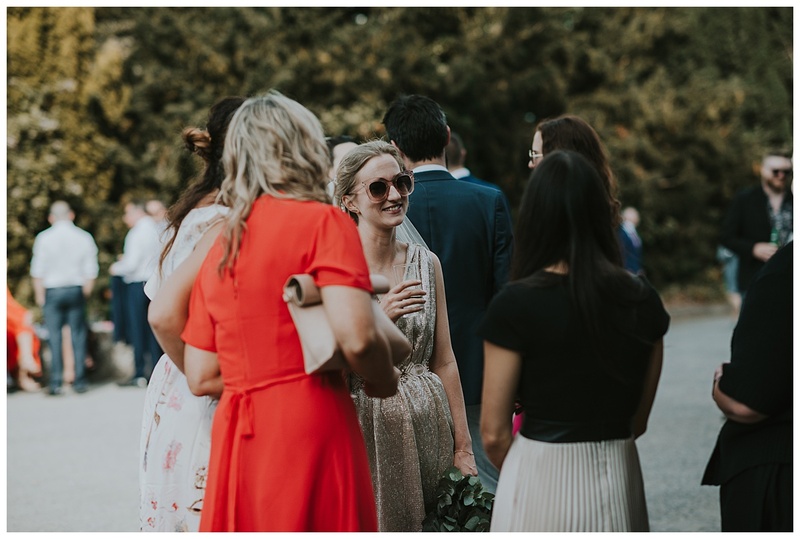 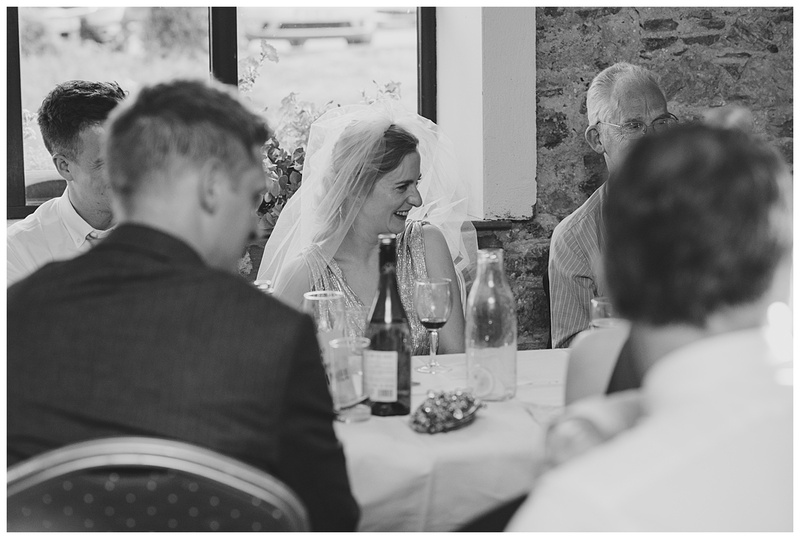 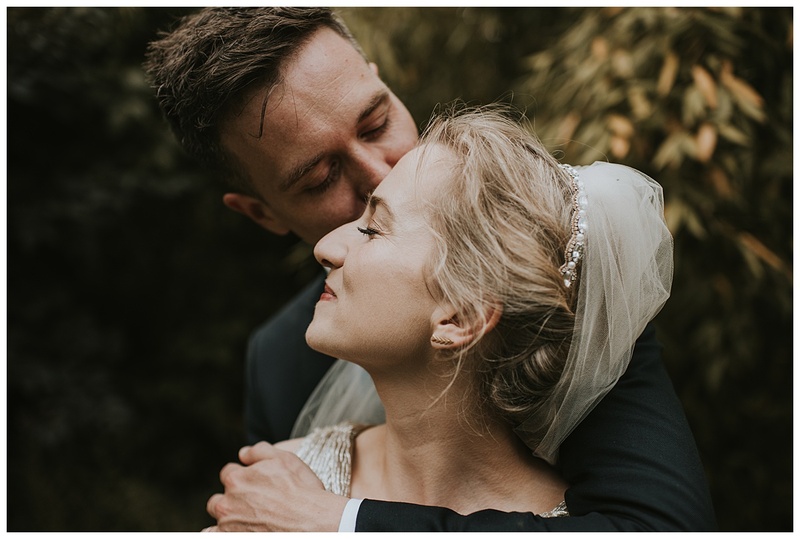 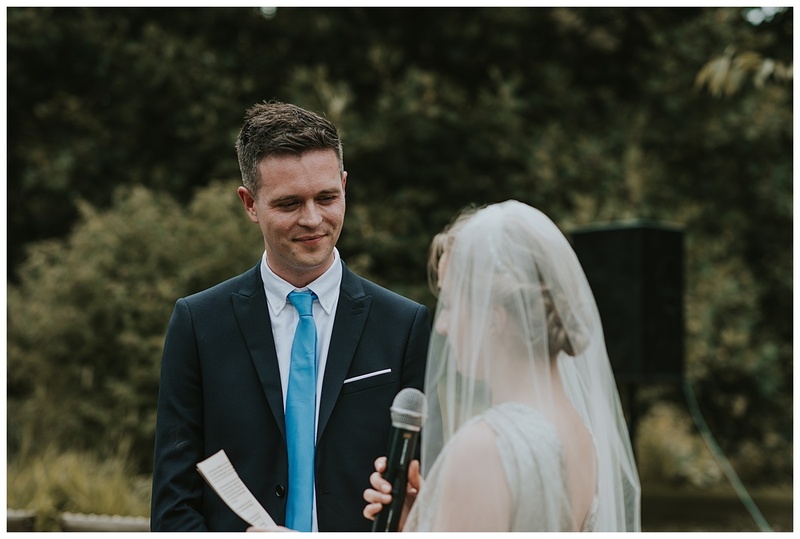 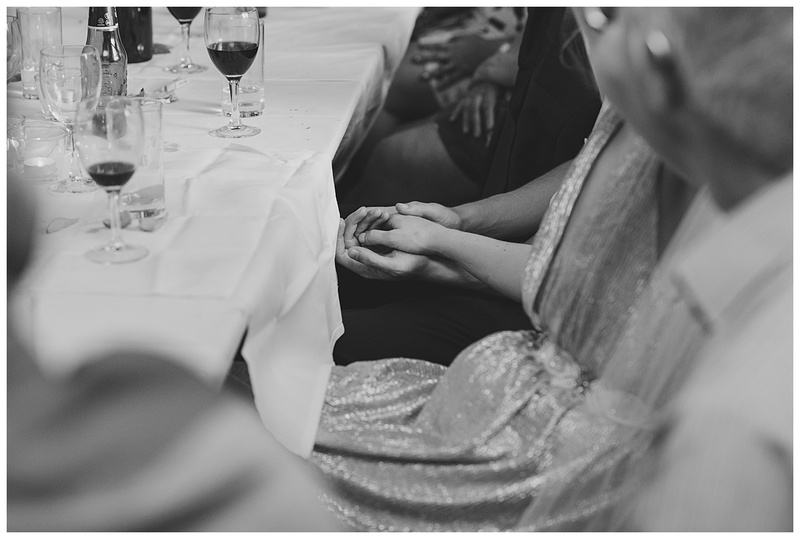 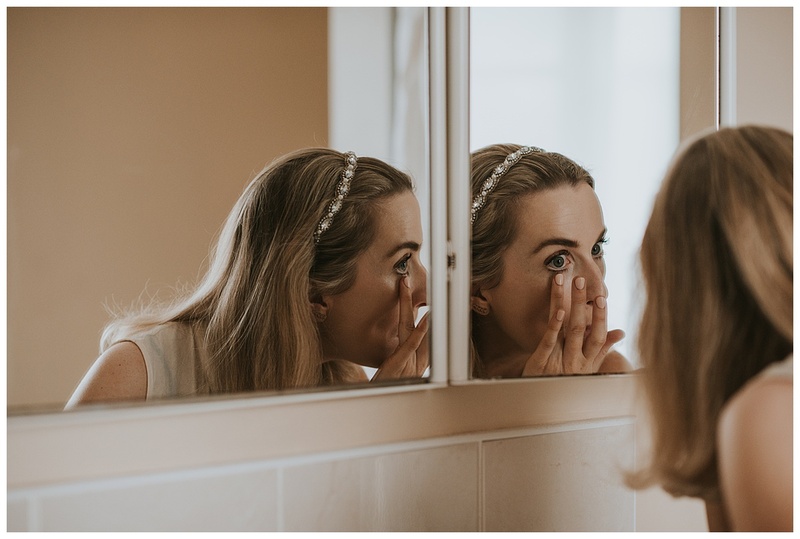 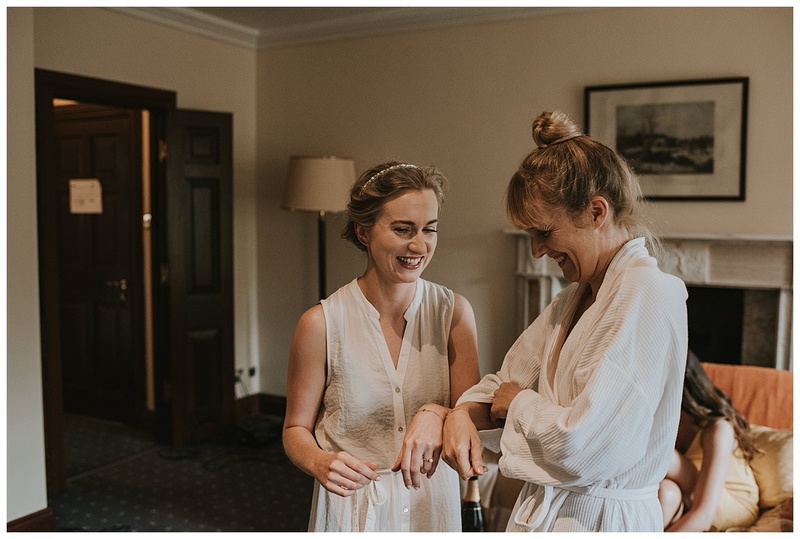 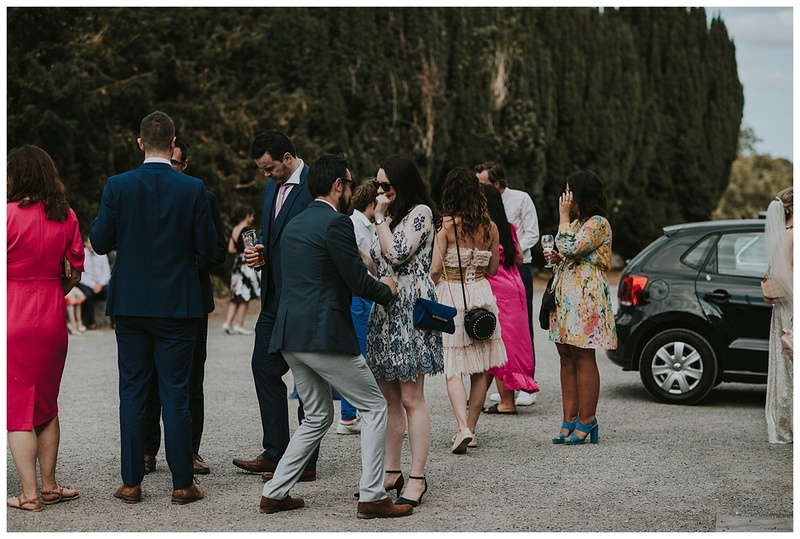 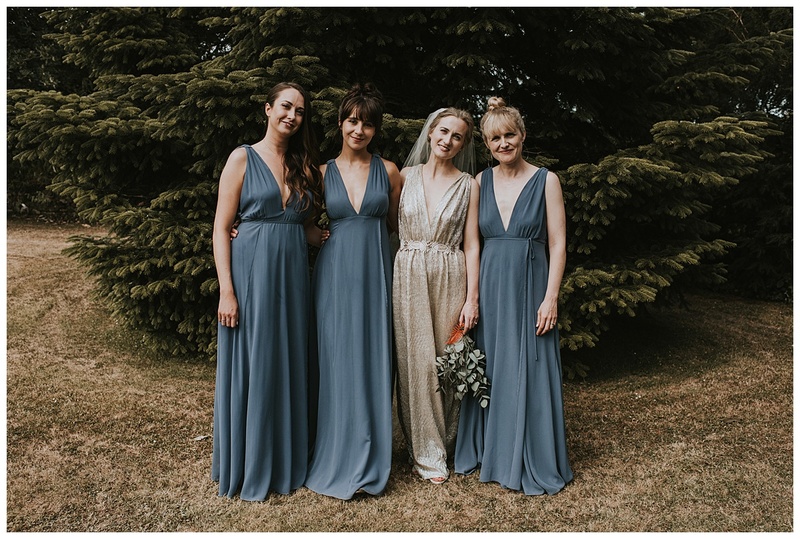 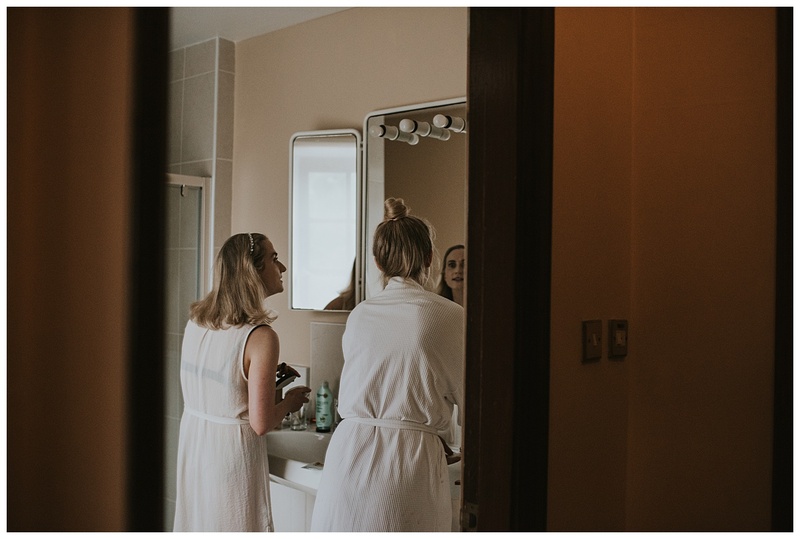 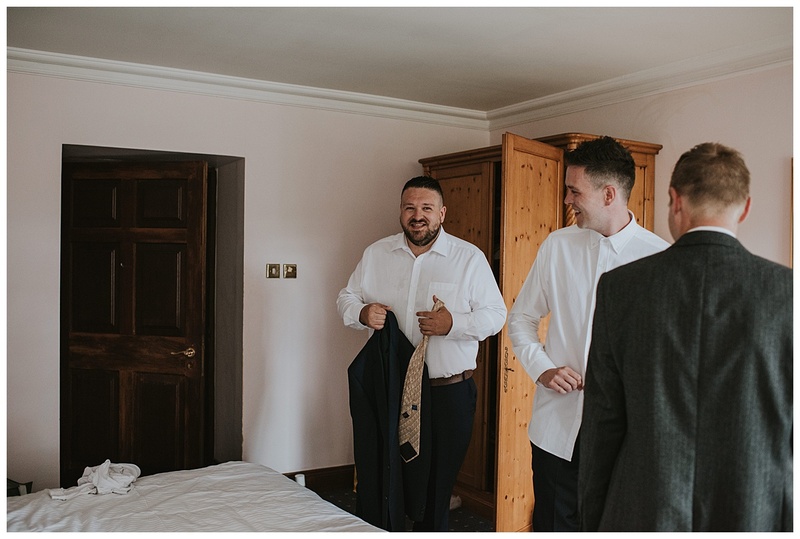 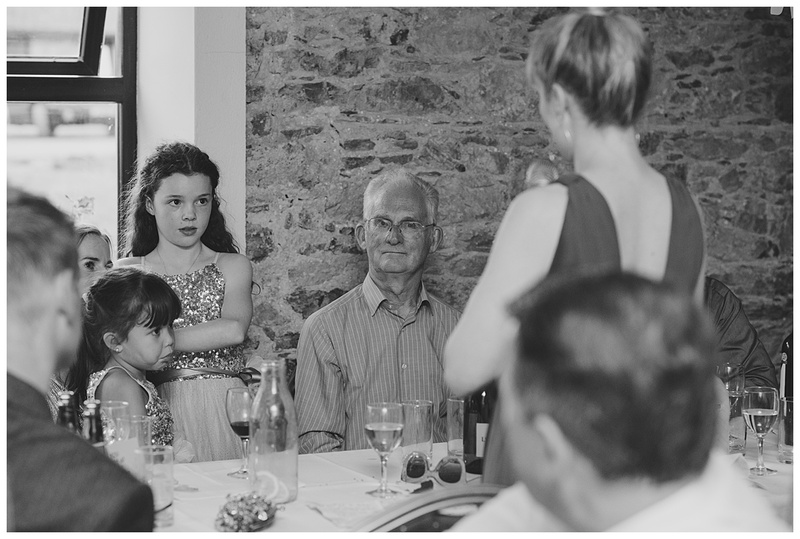 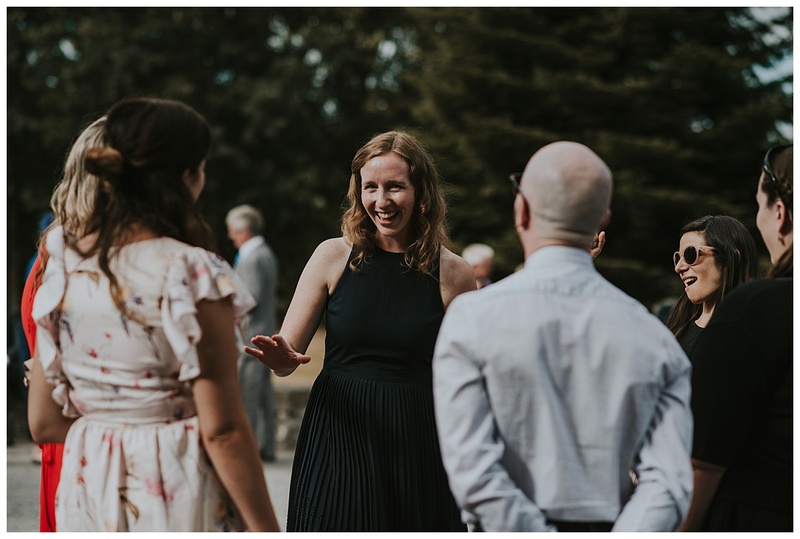 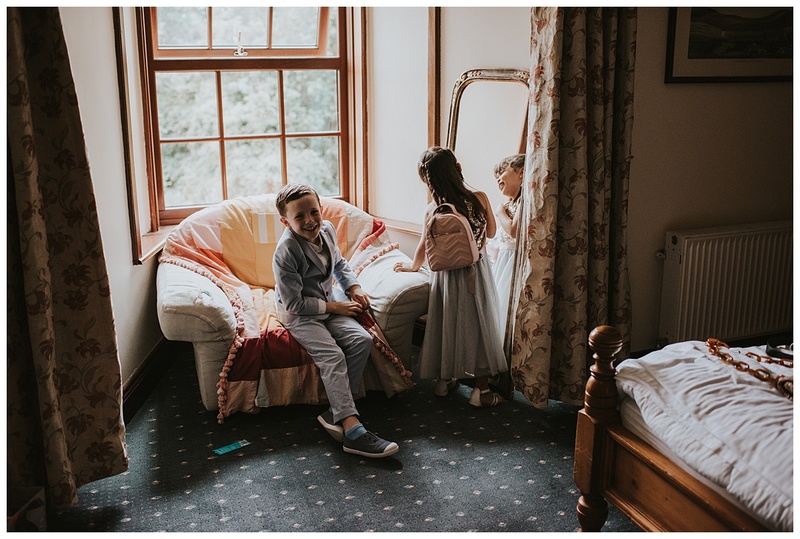 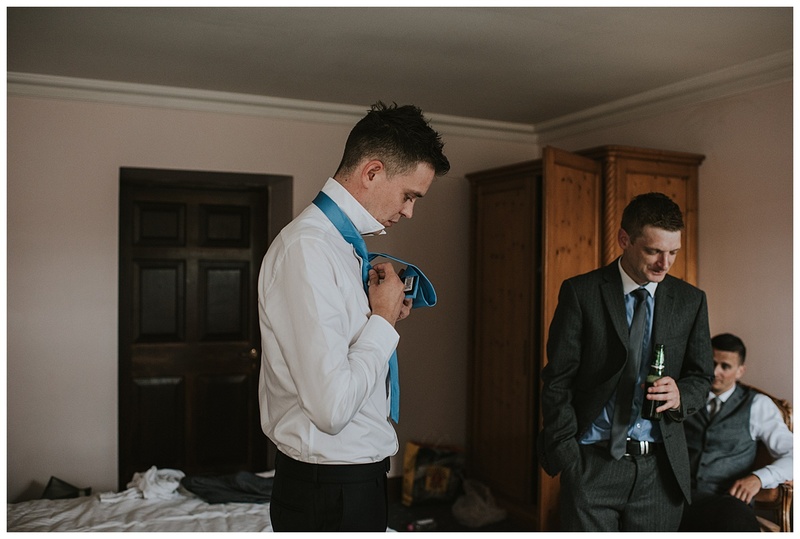 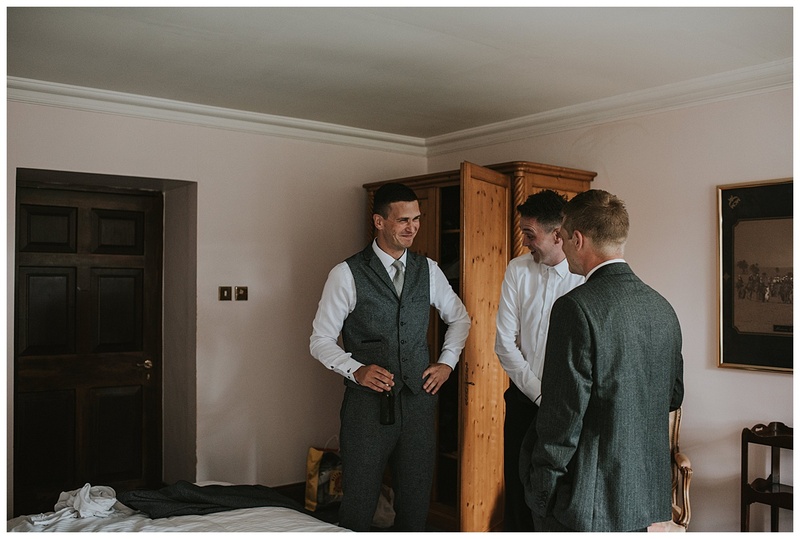 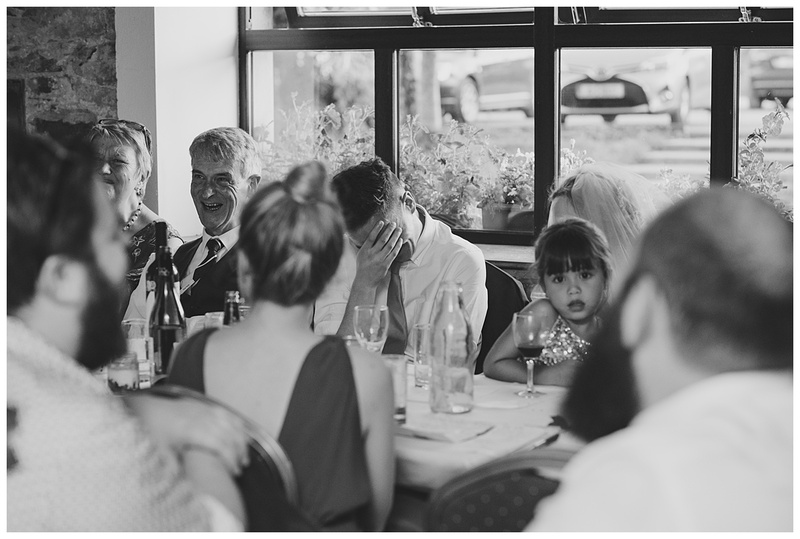 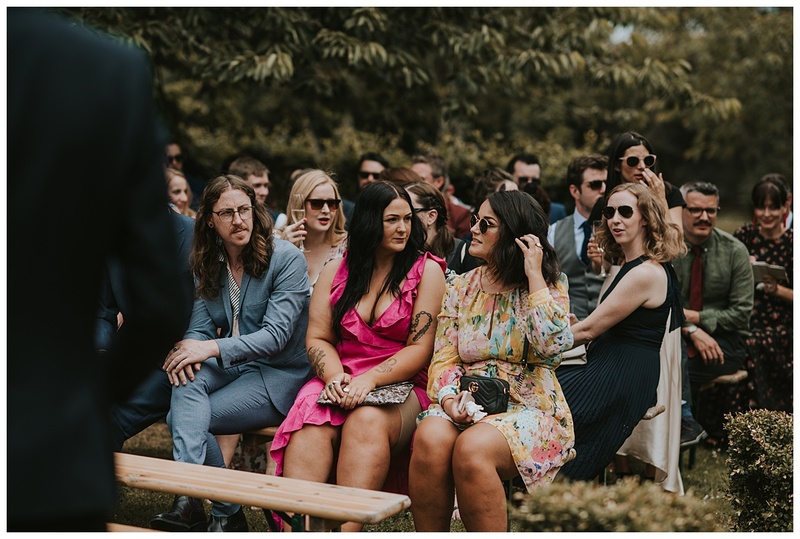 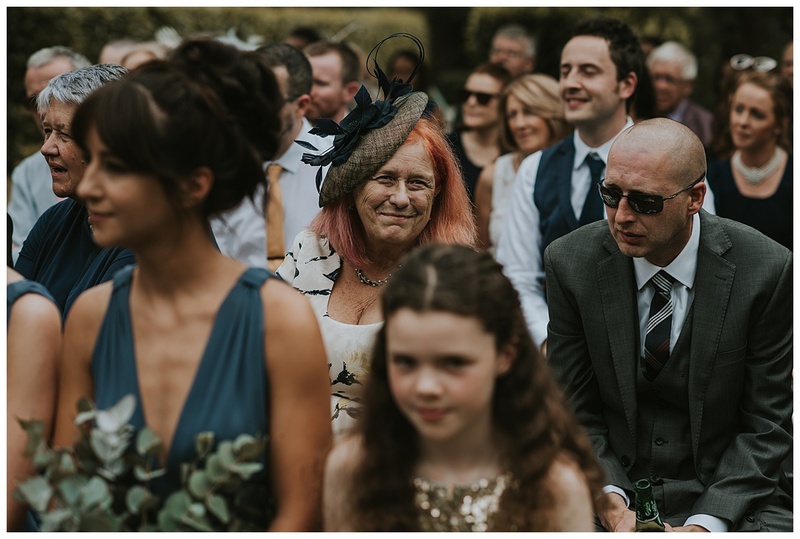 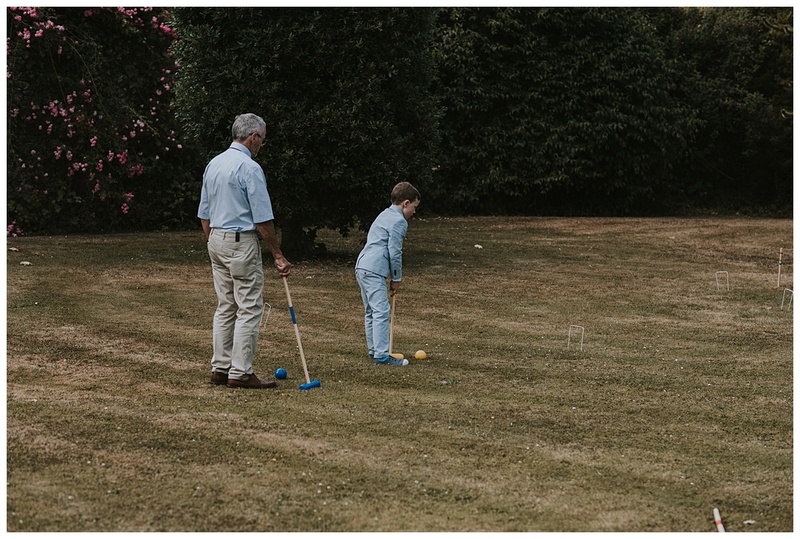 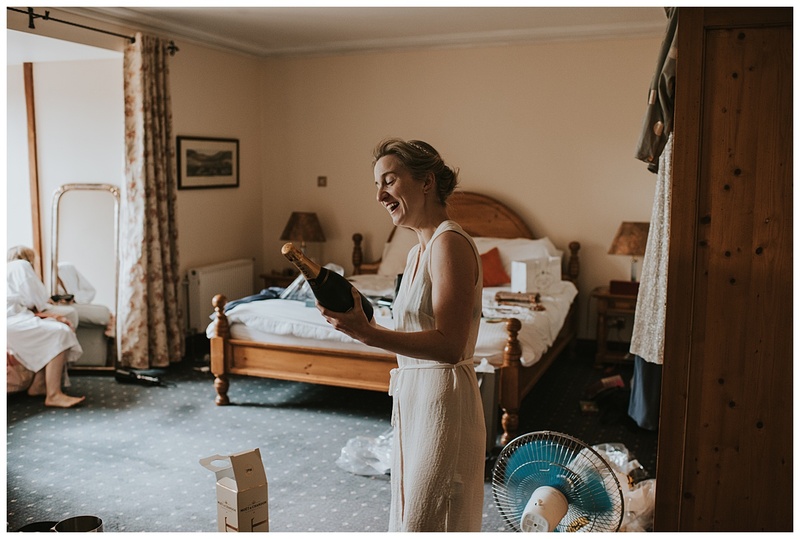 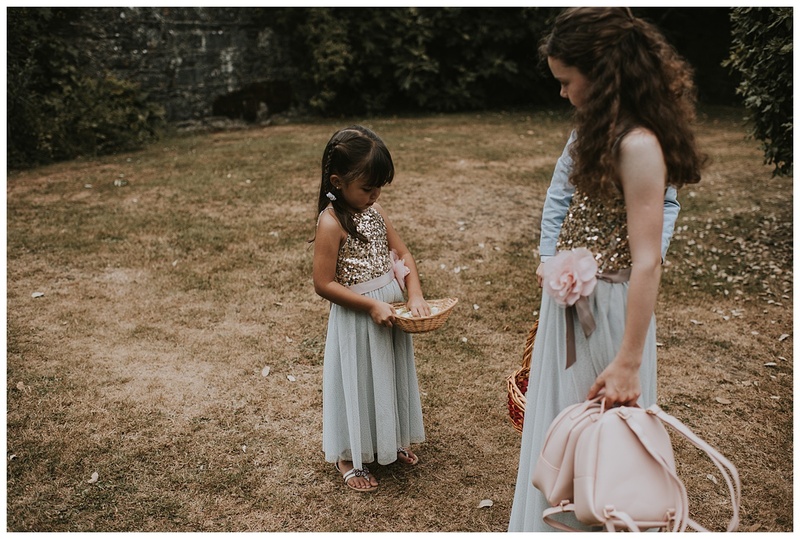 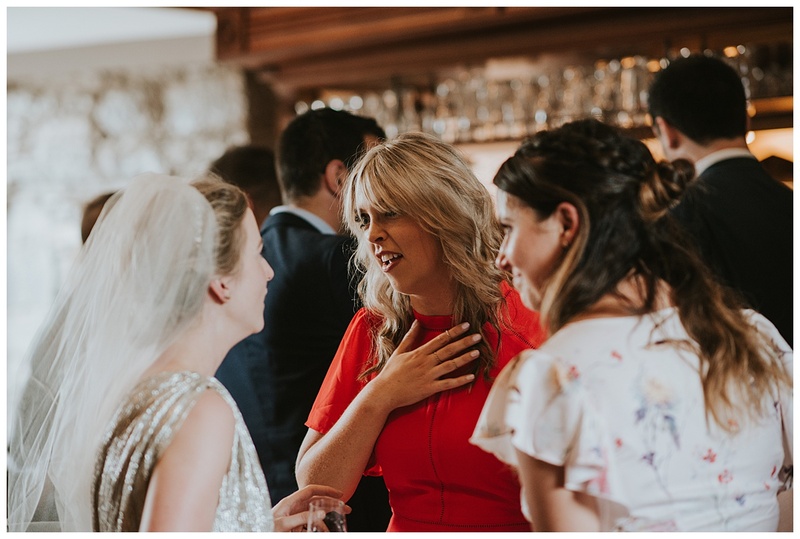 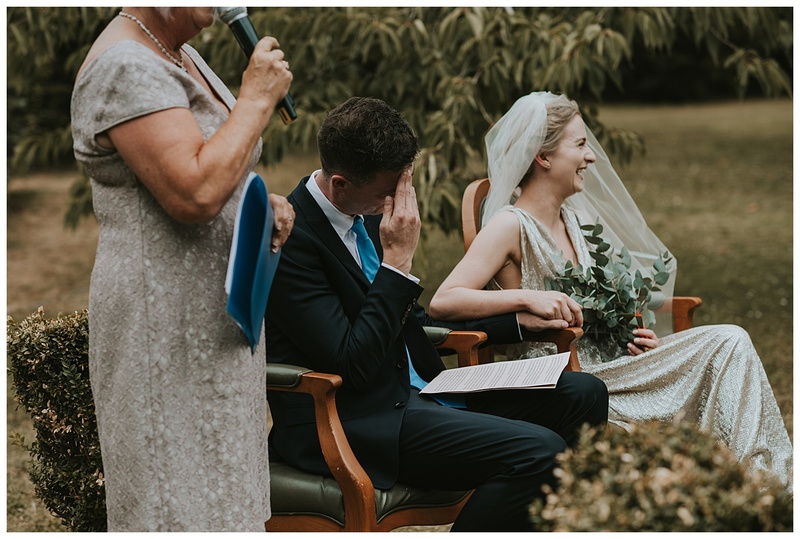 You could feel the love that all of Pearl and Ciaran’s friends and family have for them, from the happy tears during the ceremony to the emotional speeches, it was a really special and intimate day to witness and capture. 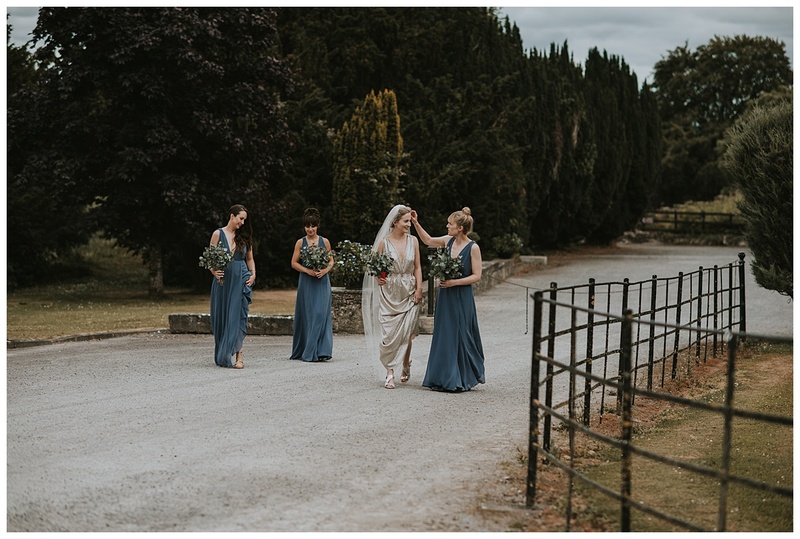 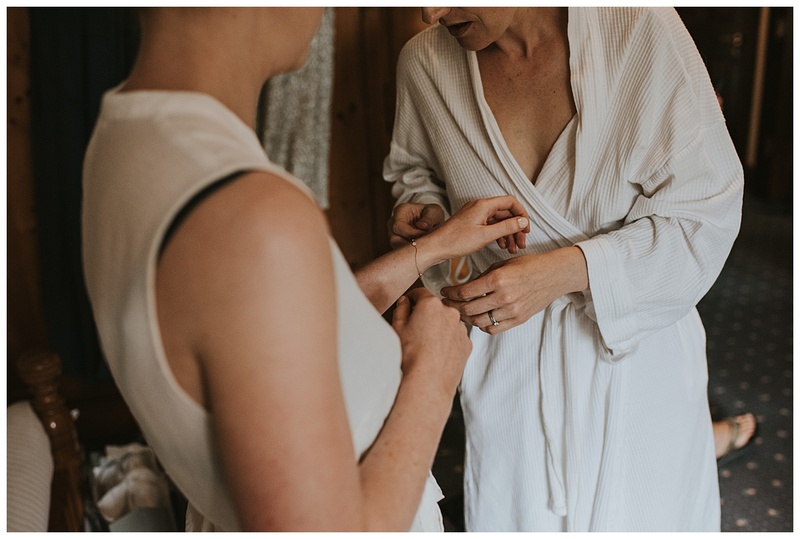 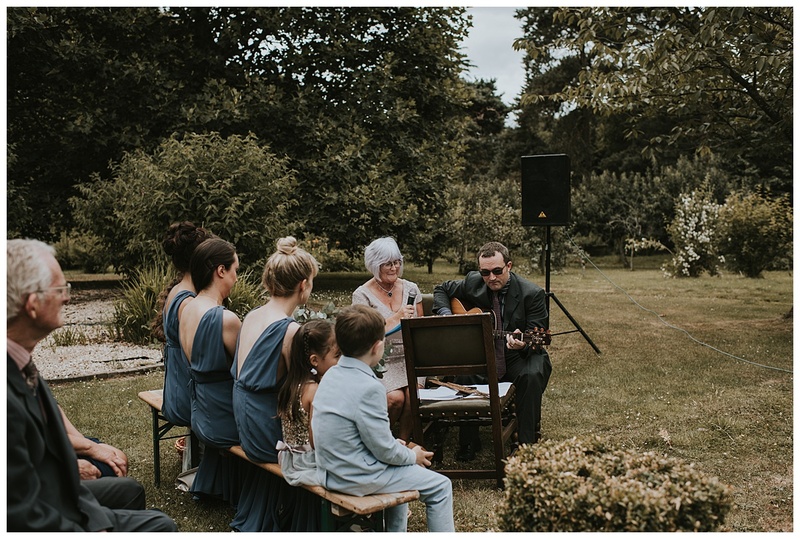 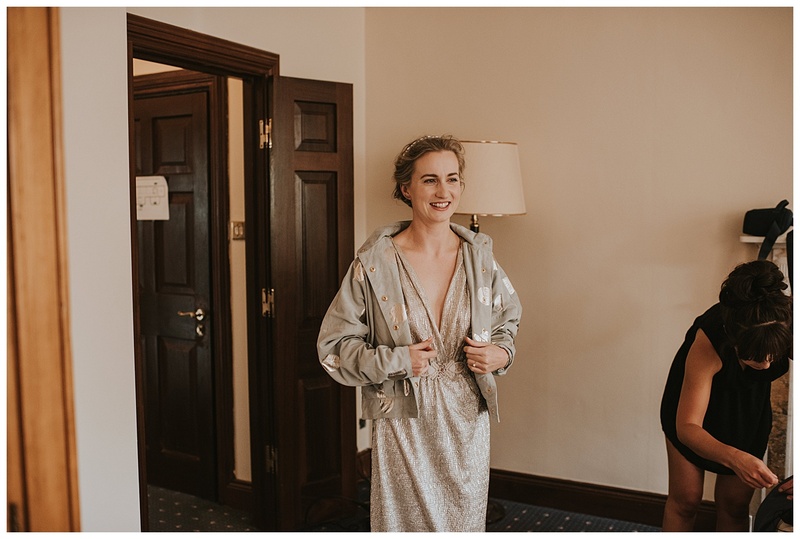 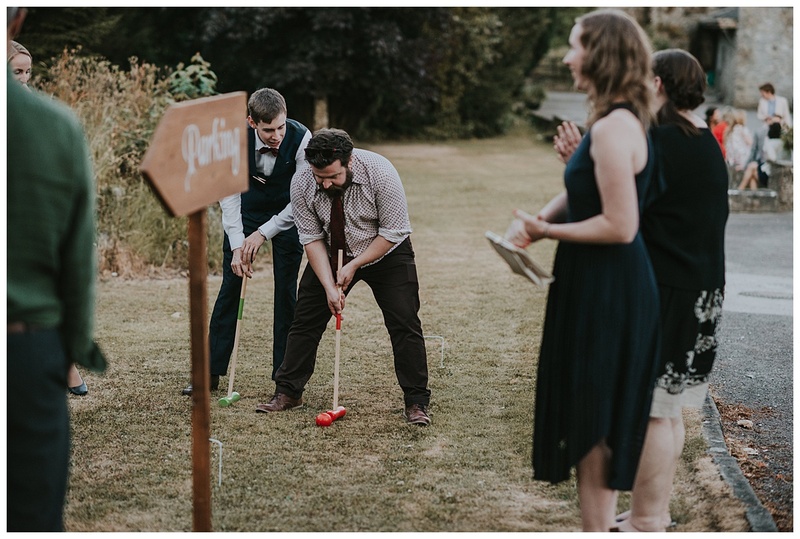 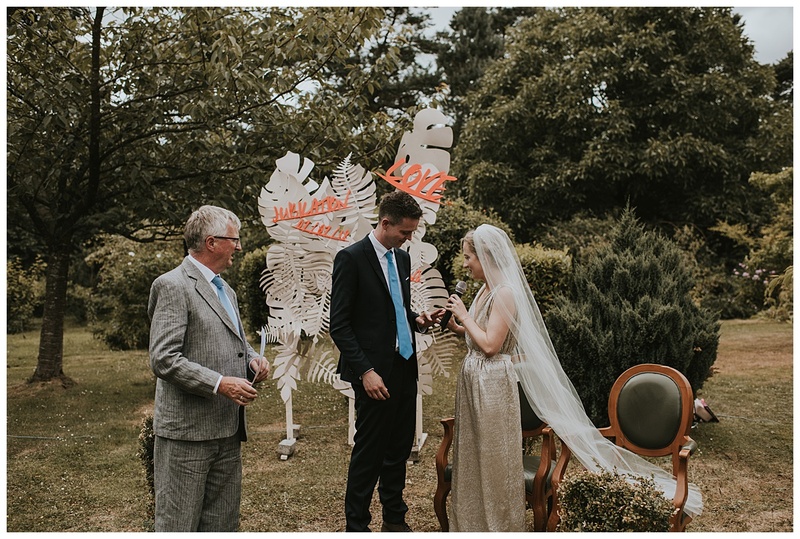 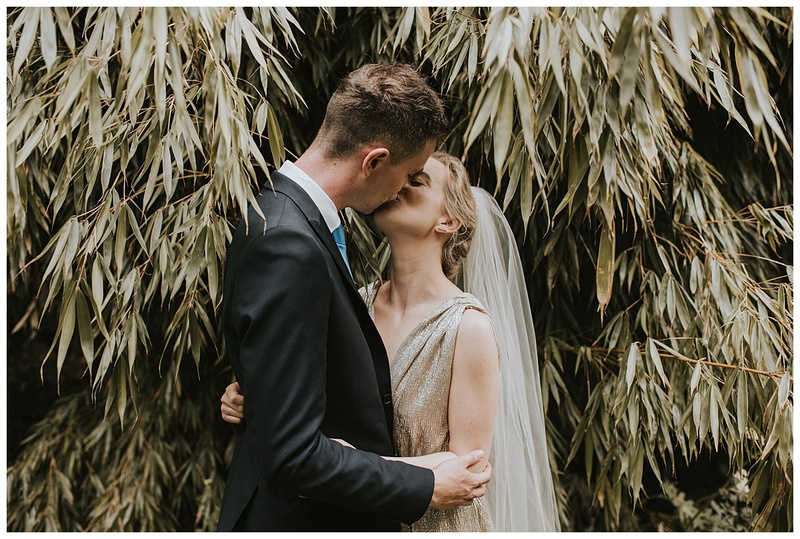 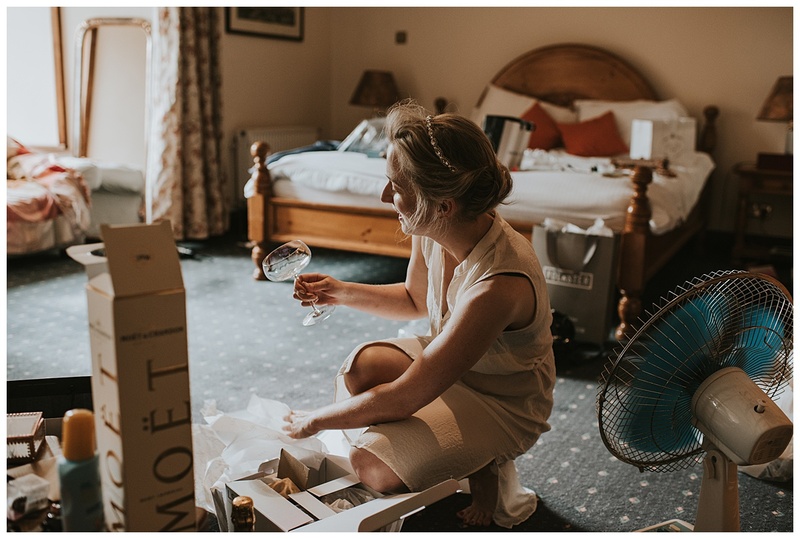 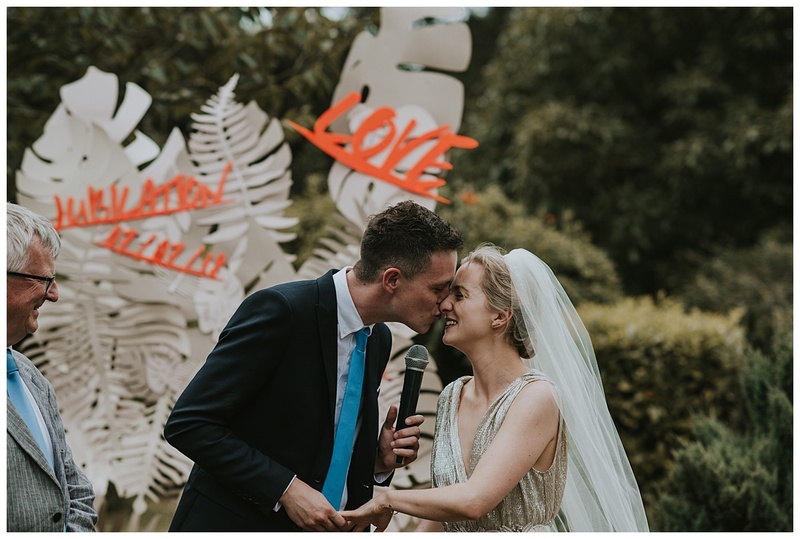 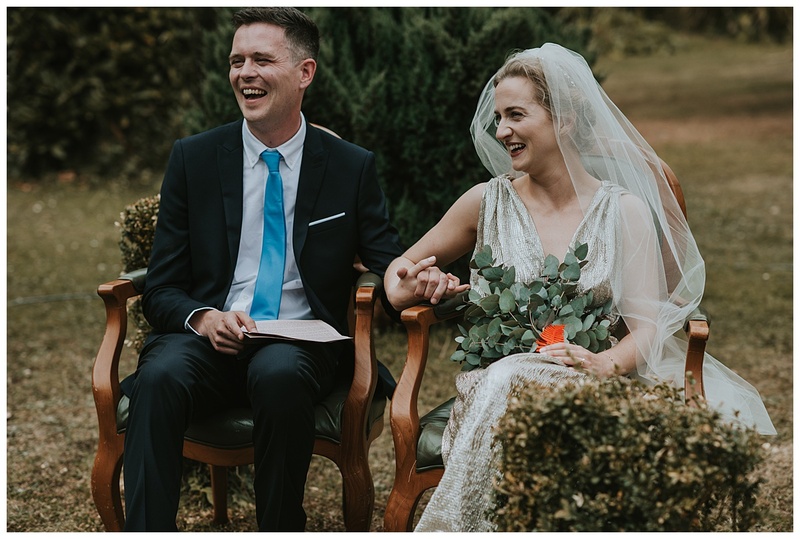 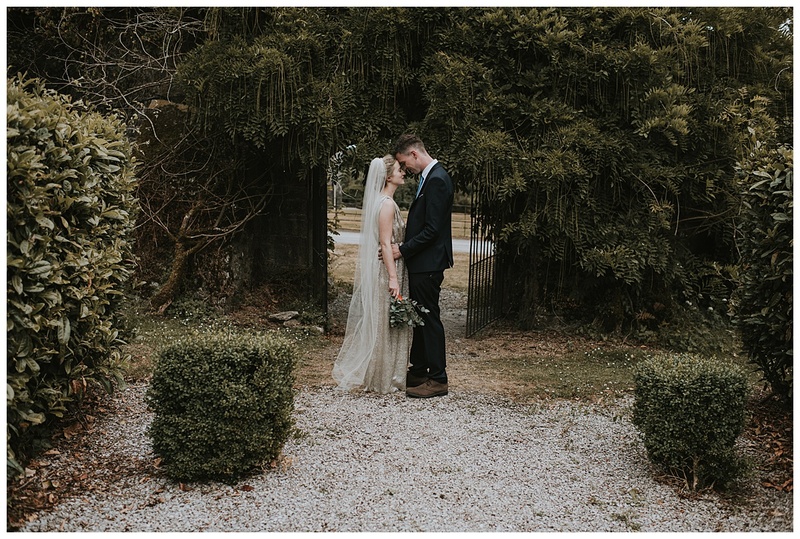 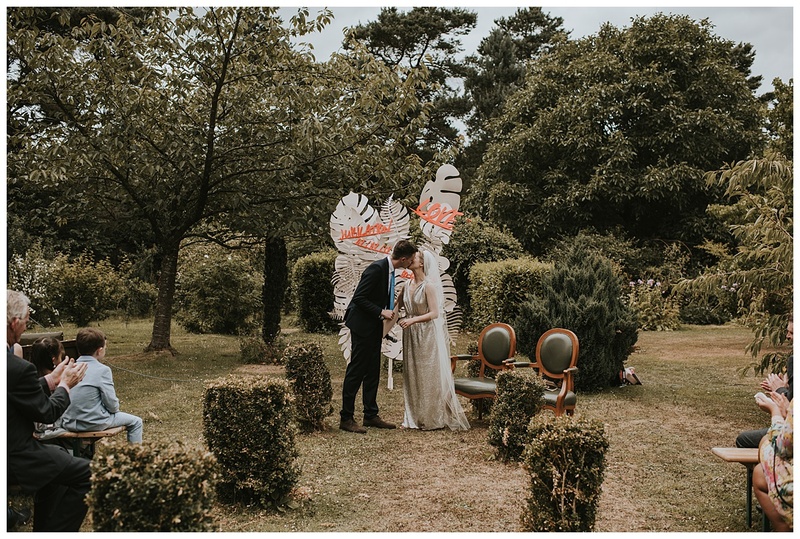 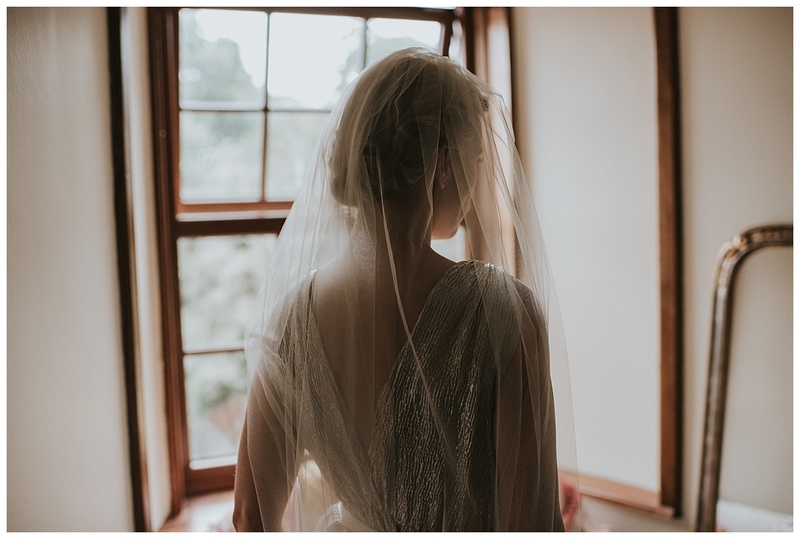 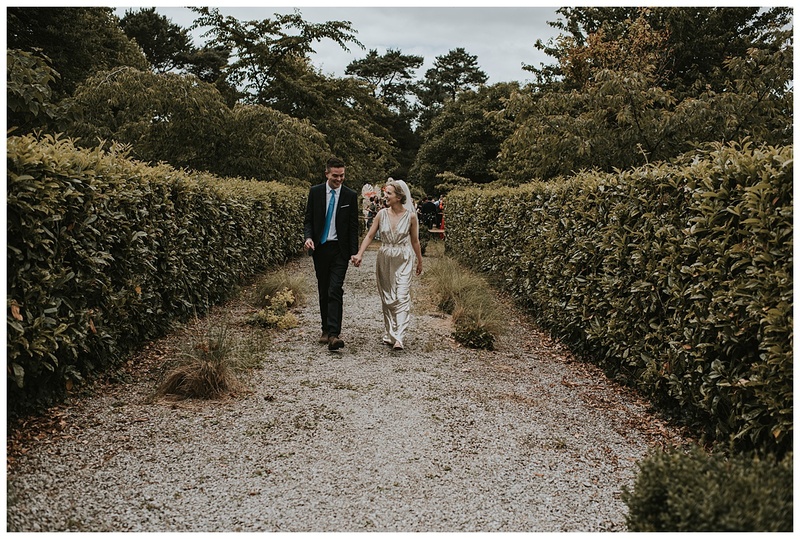 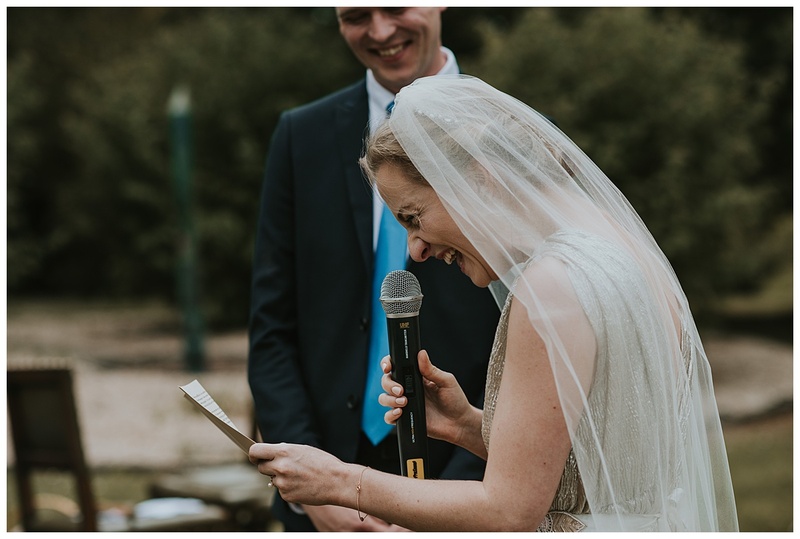 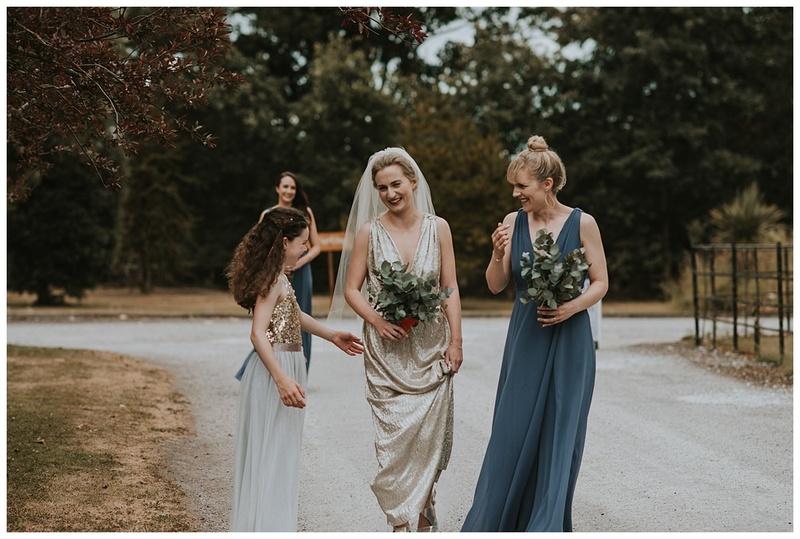 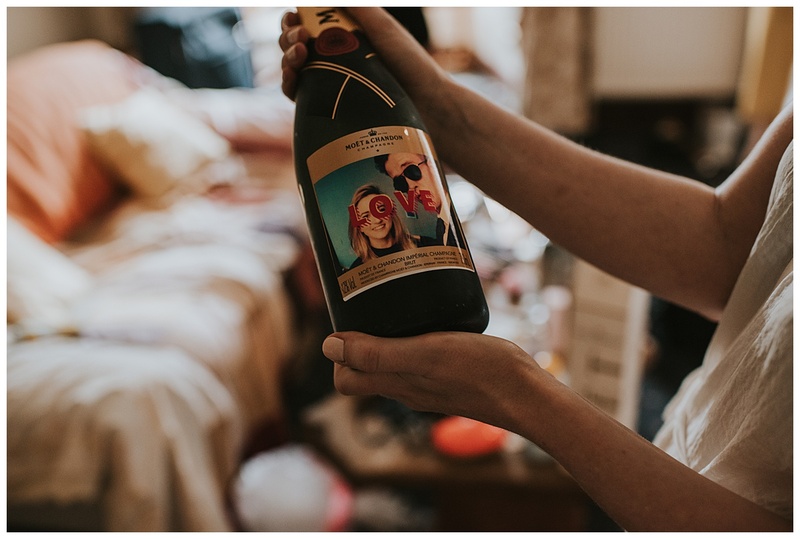 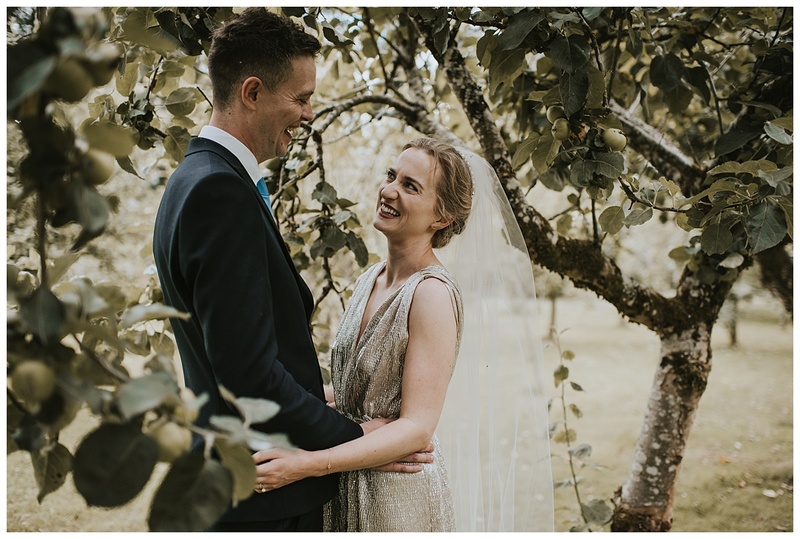 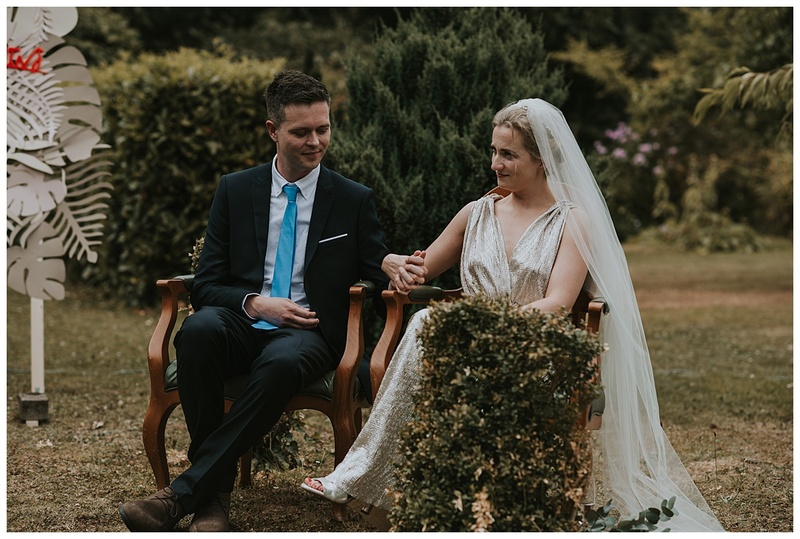 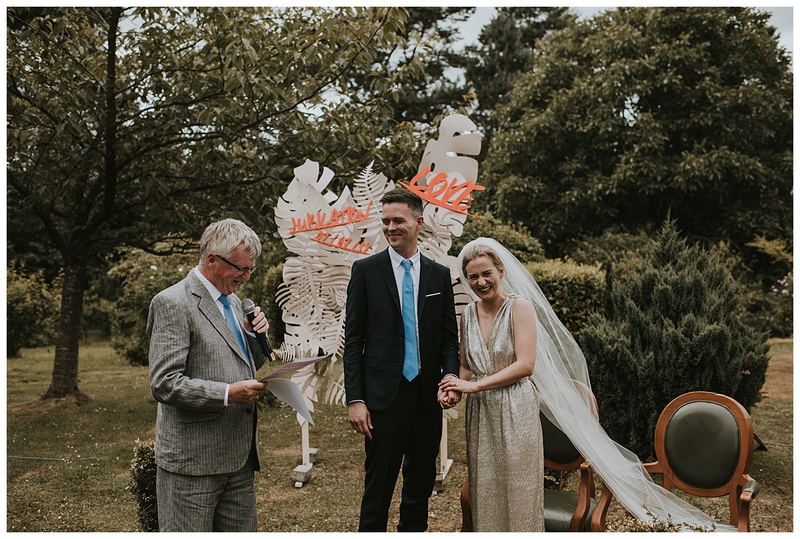 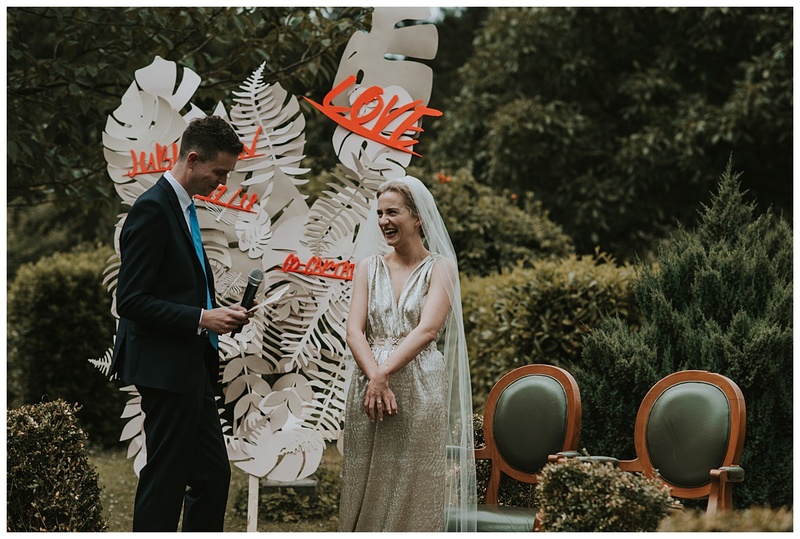 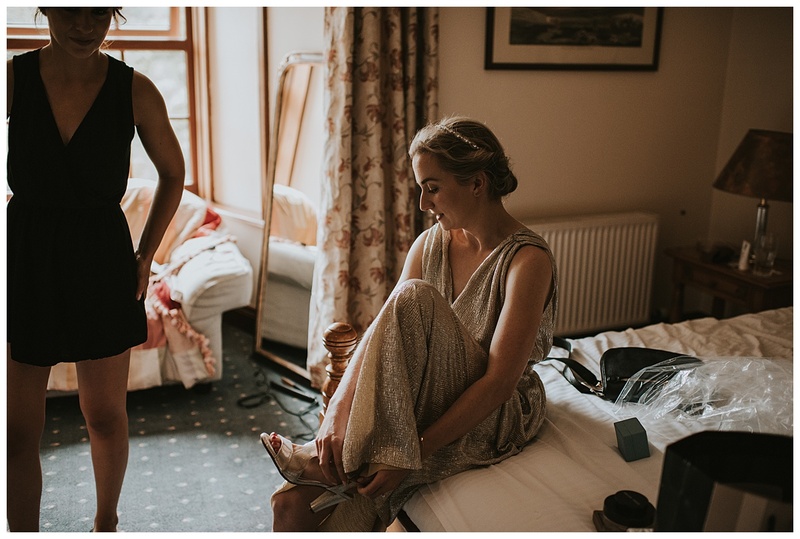 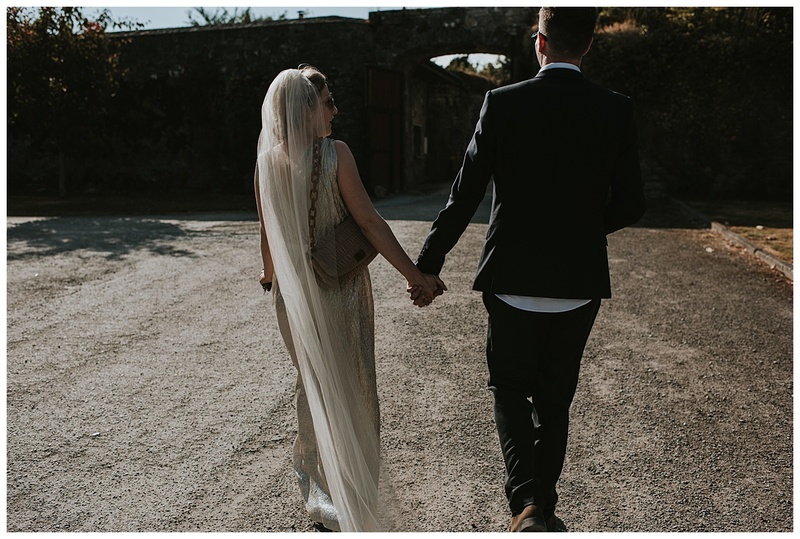 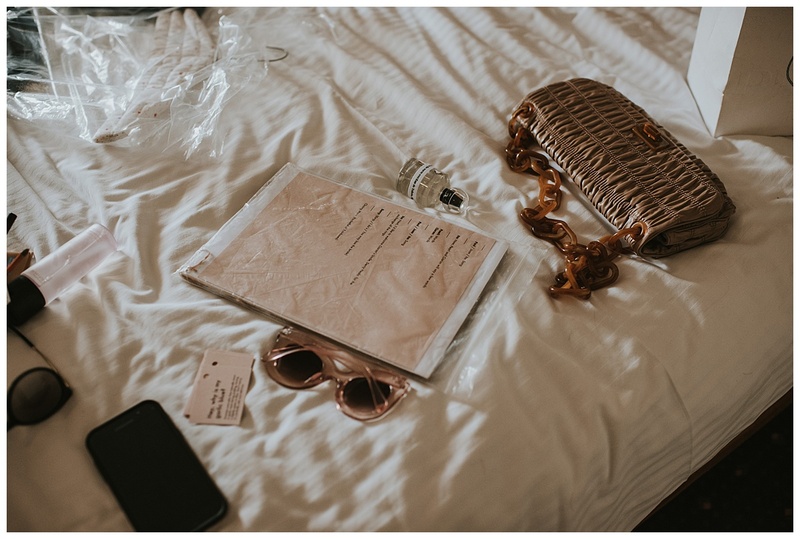 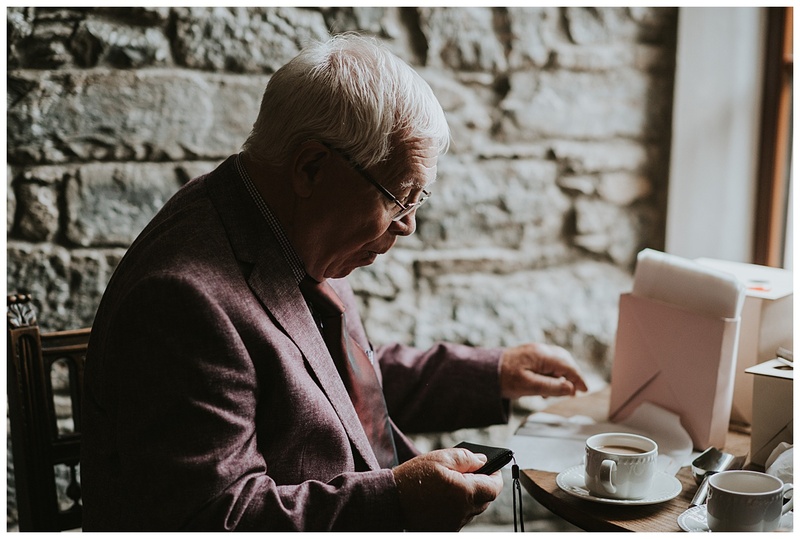 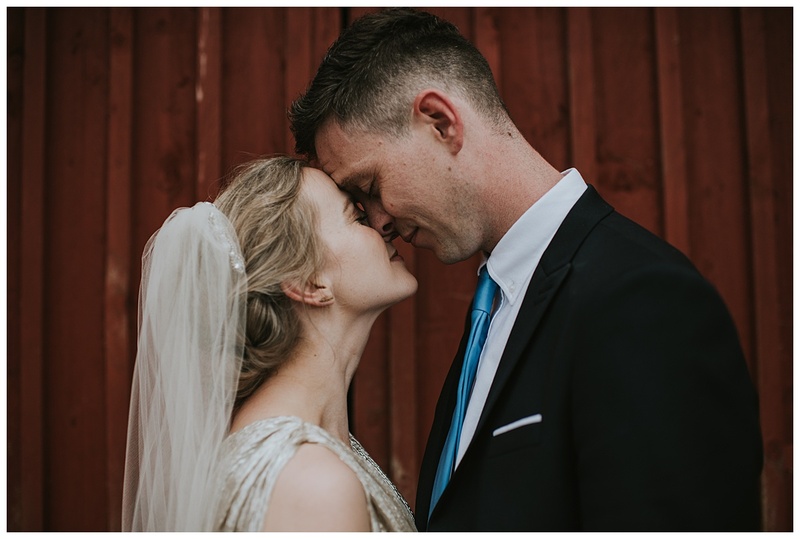 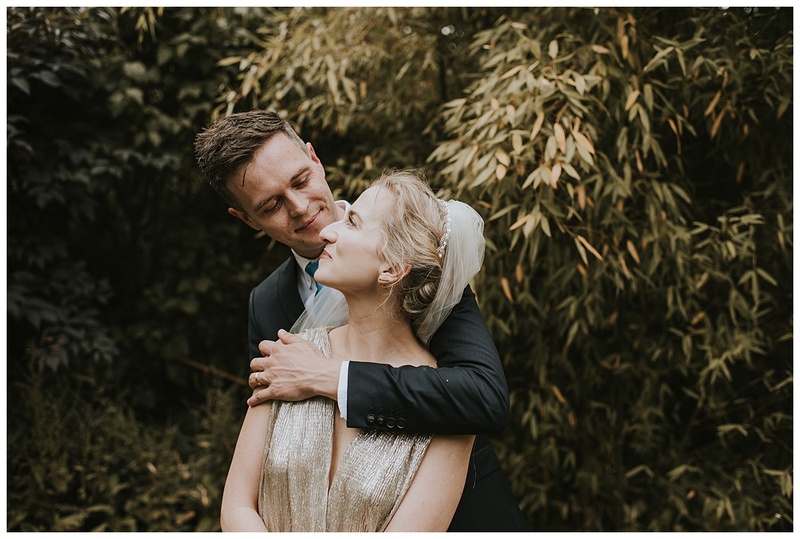 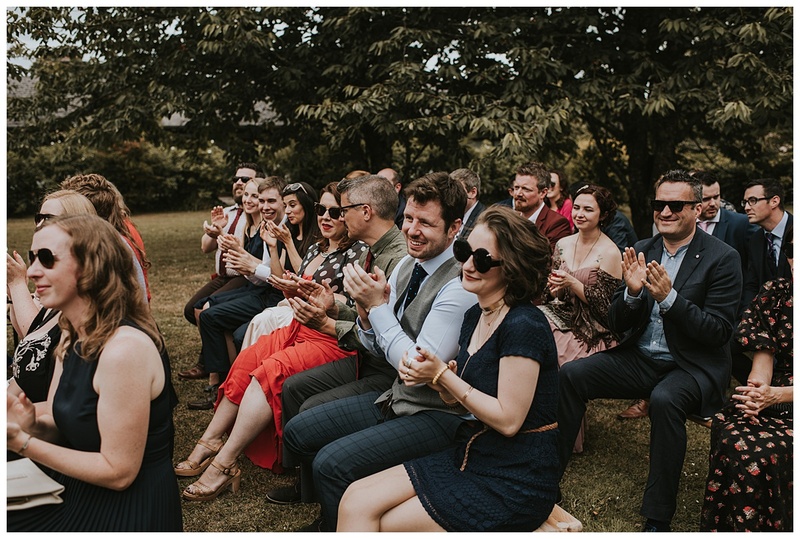 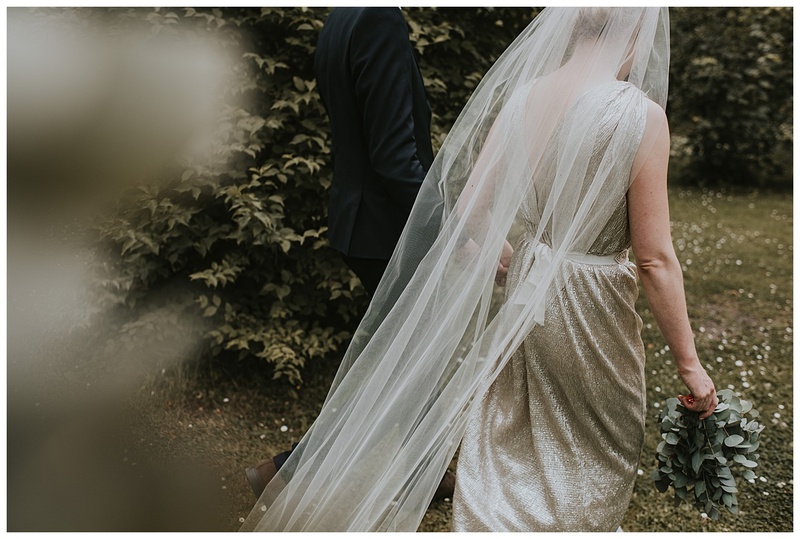 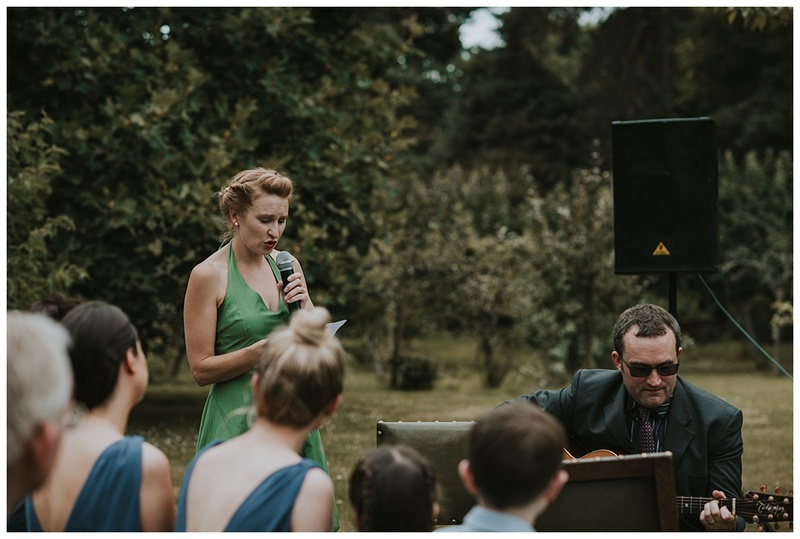 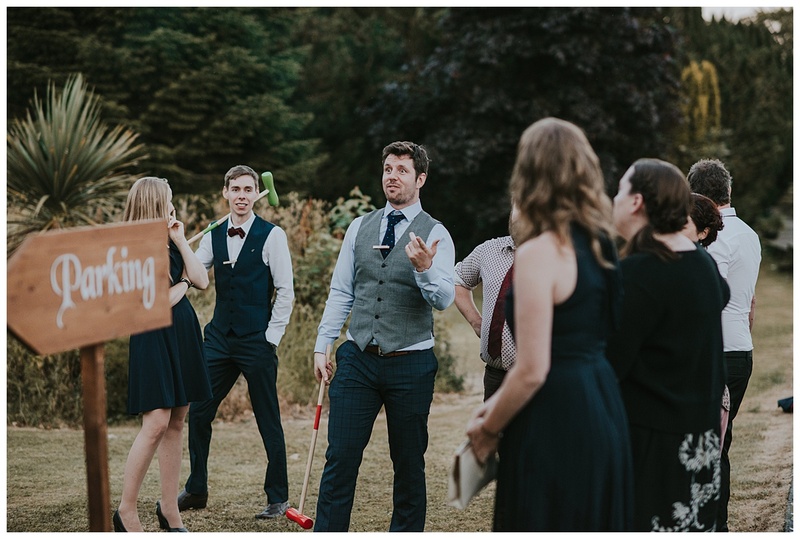 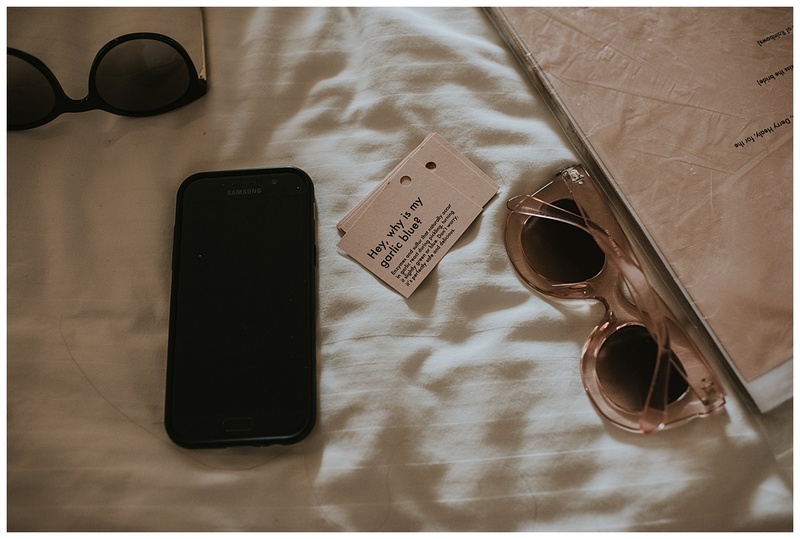 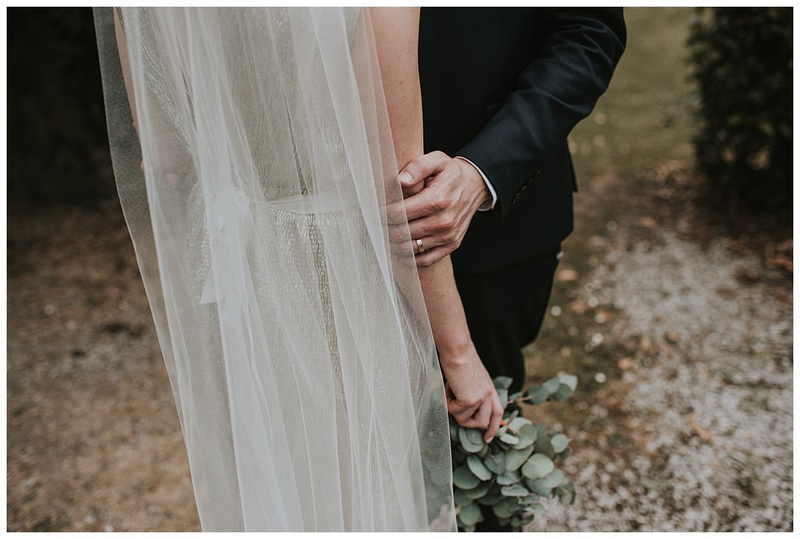 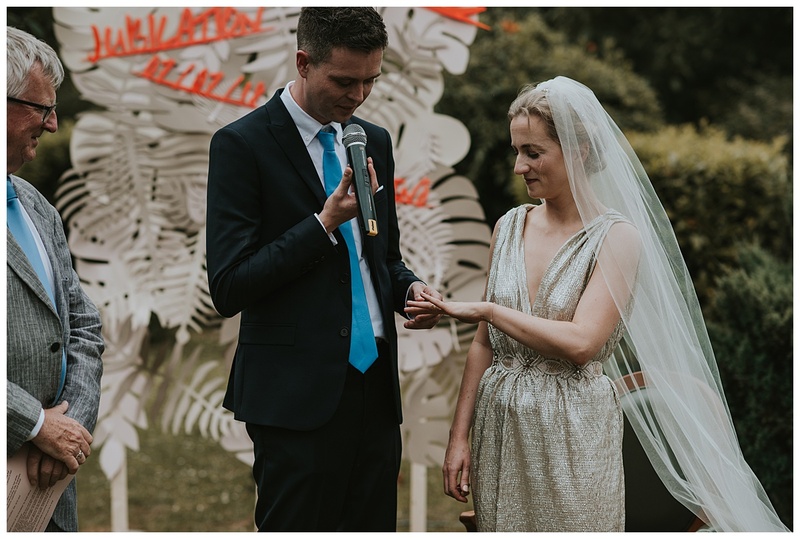 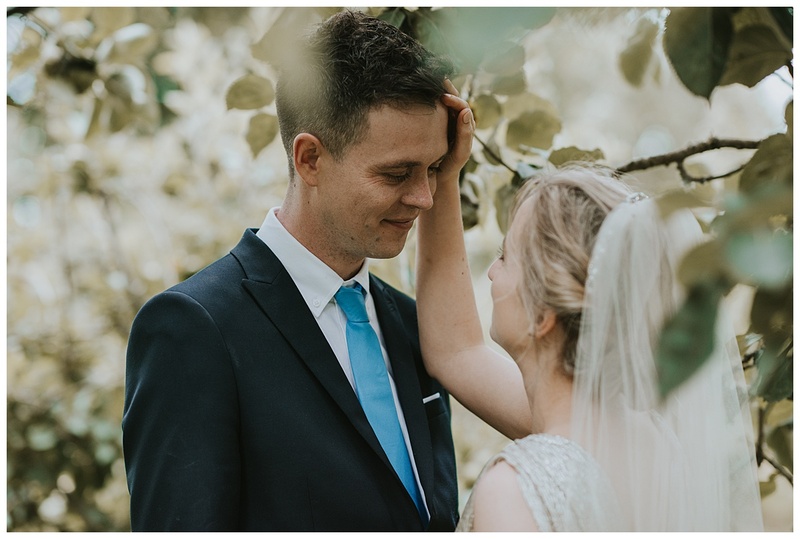 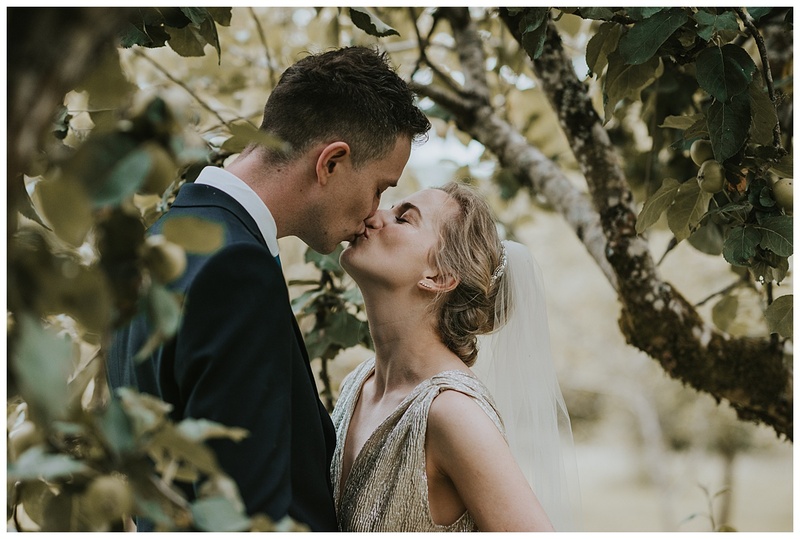 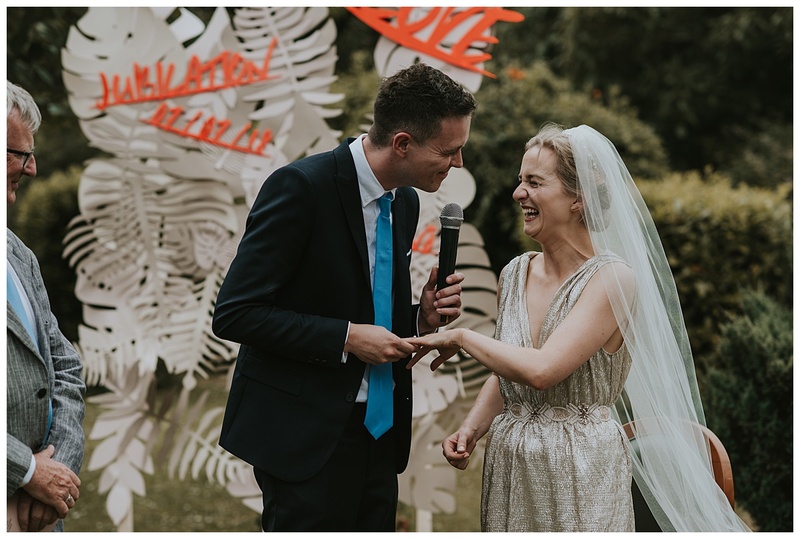 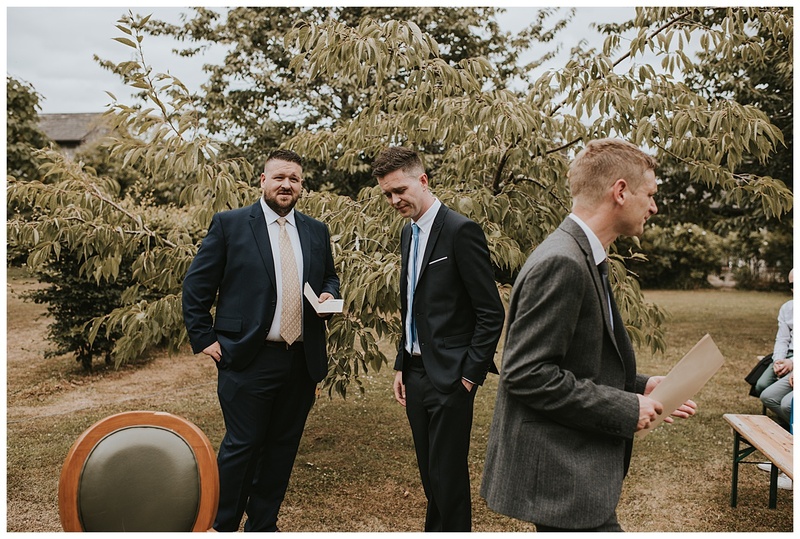 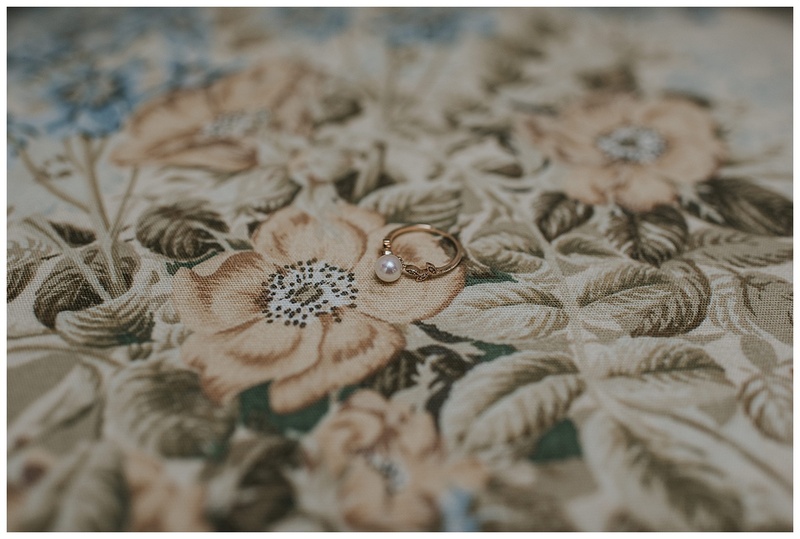 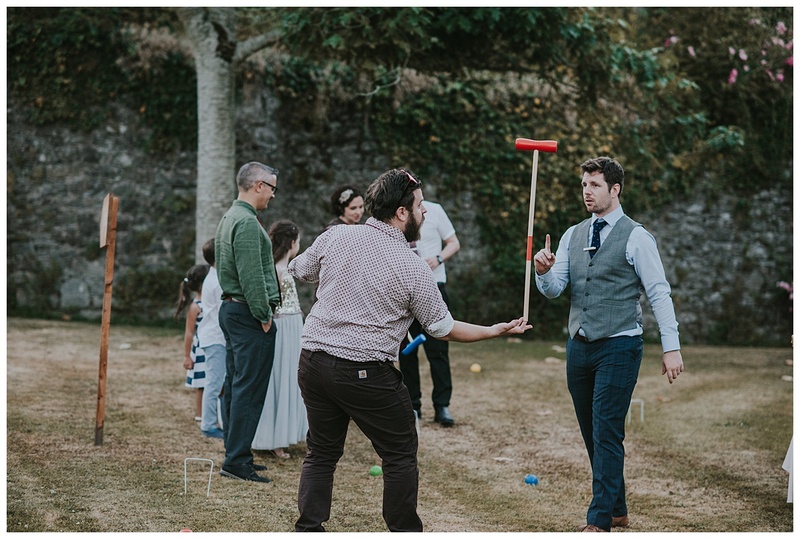 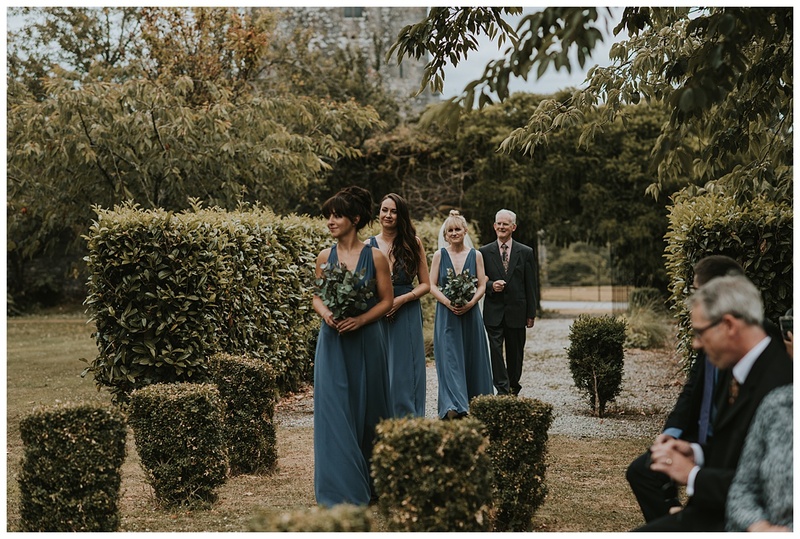 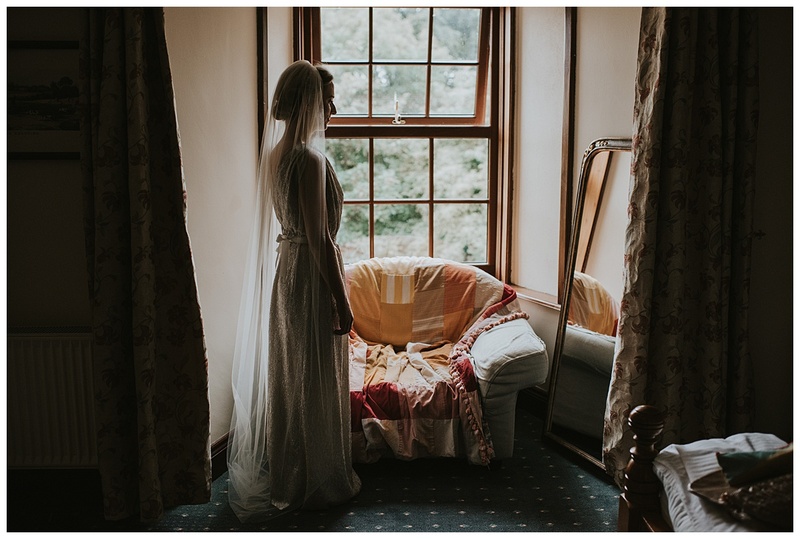 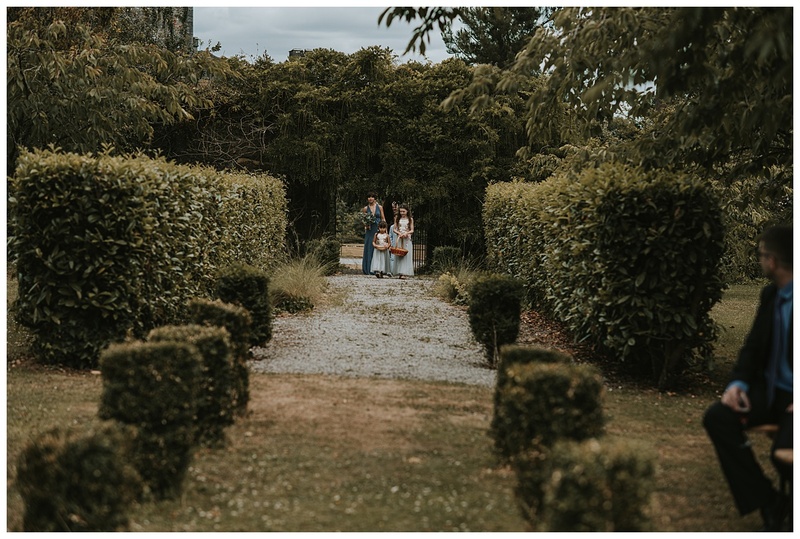 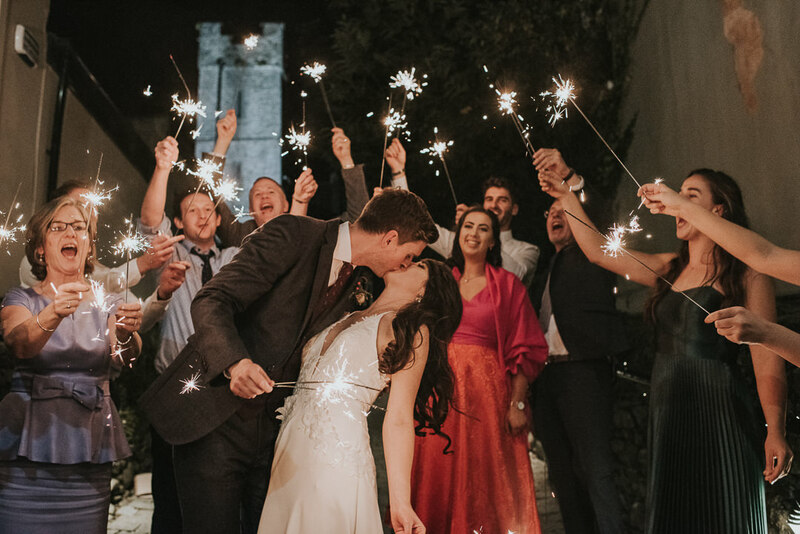 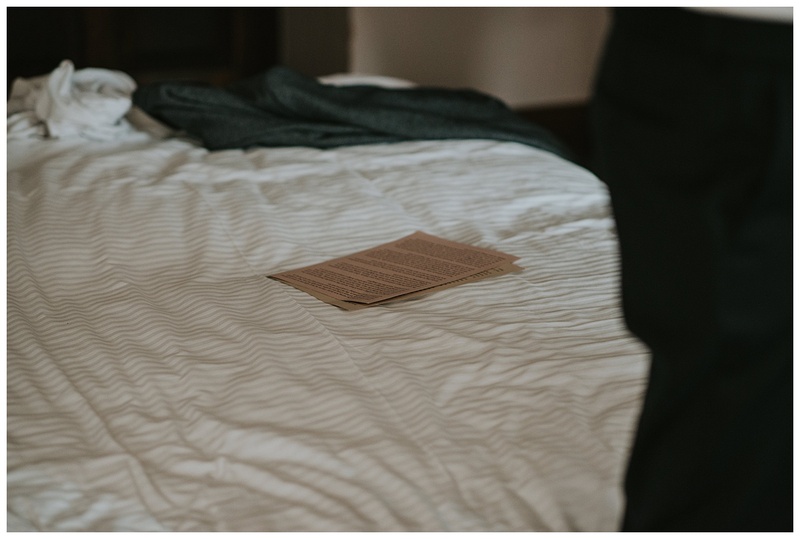 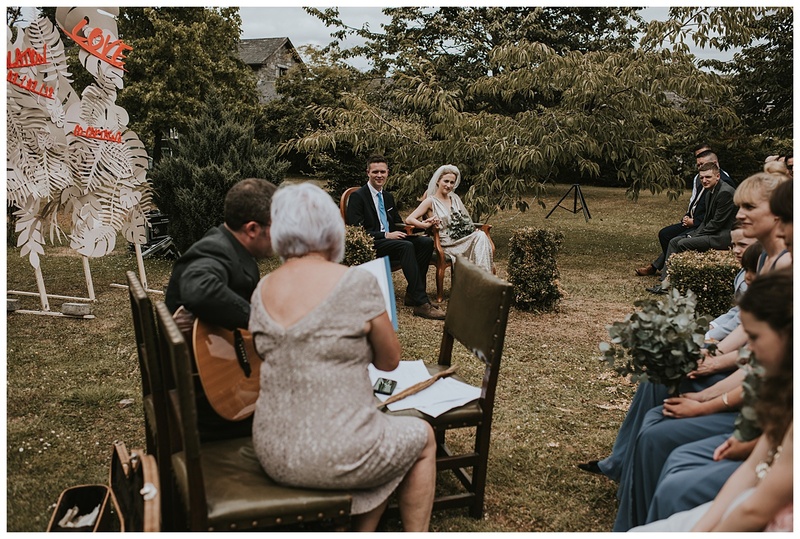 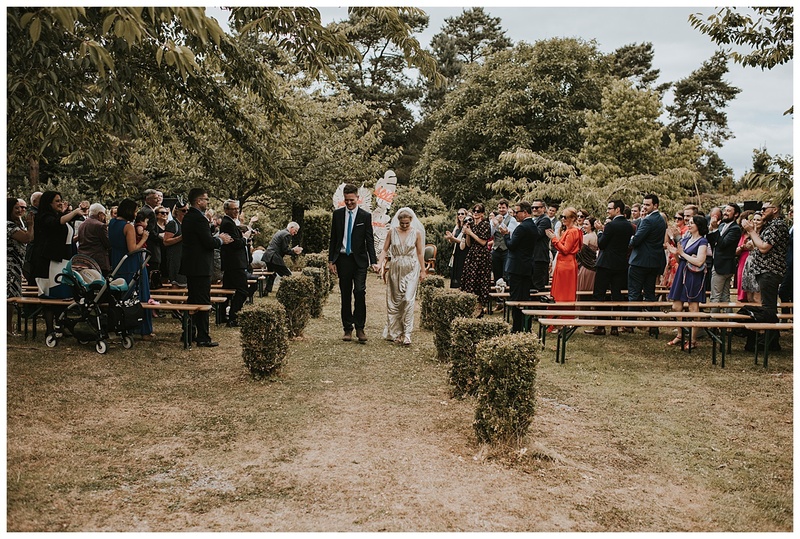 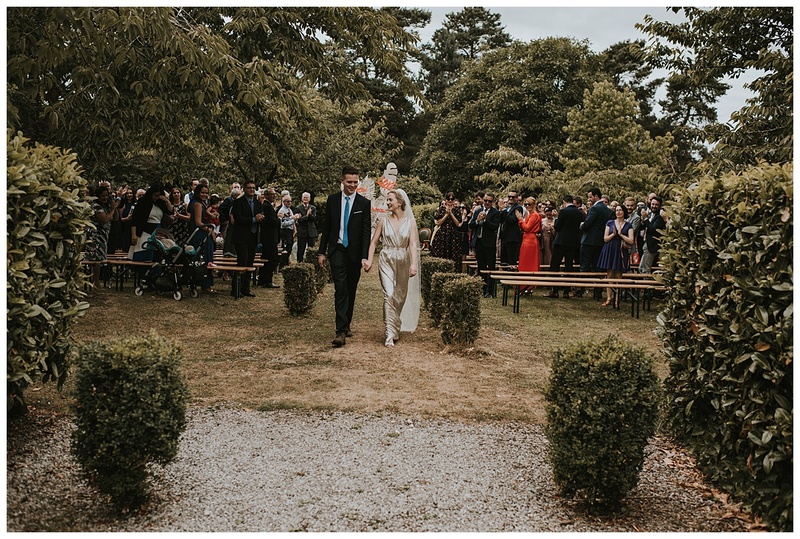 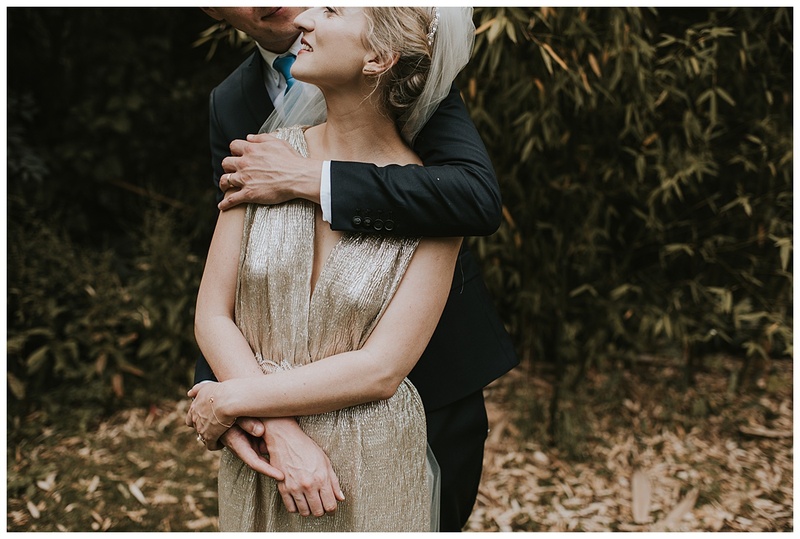 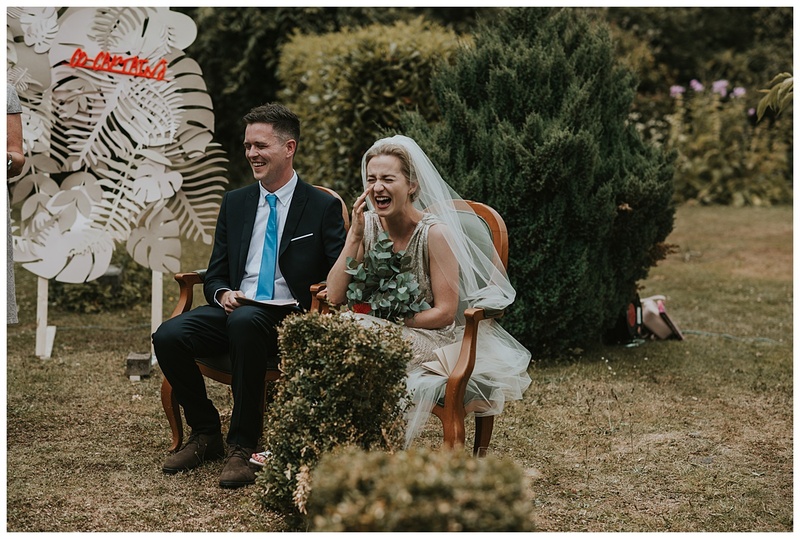 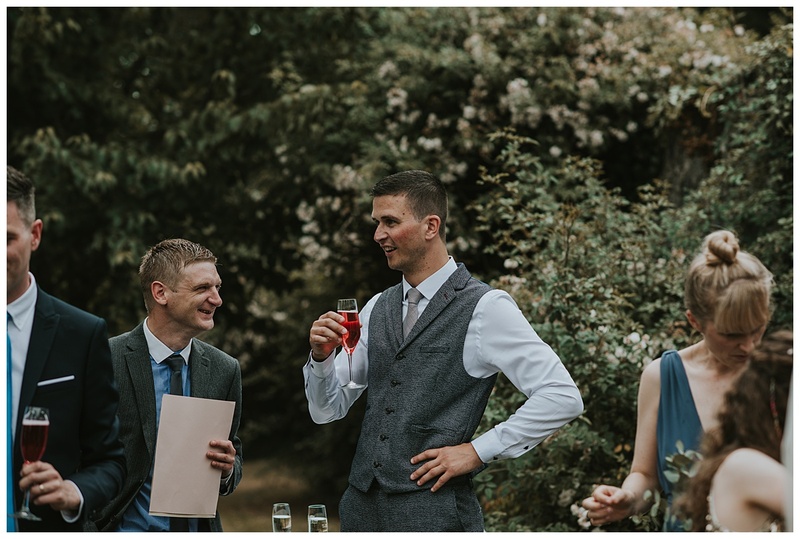 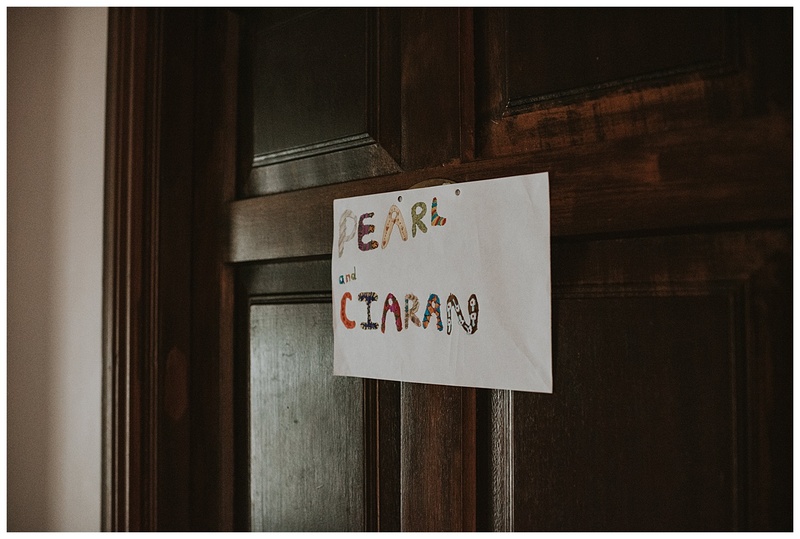 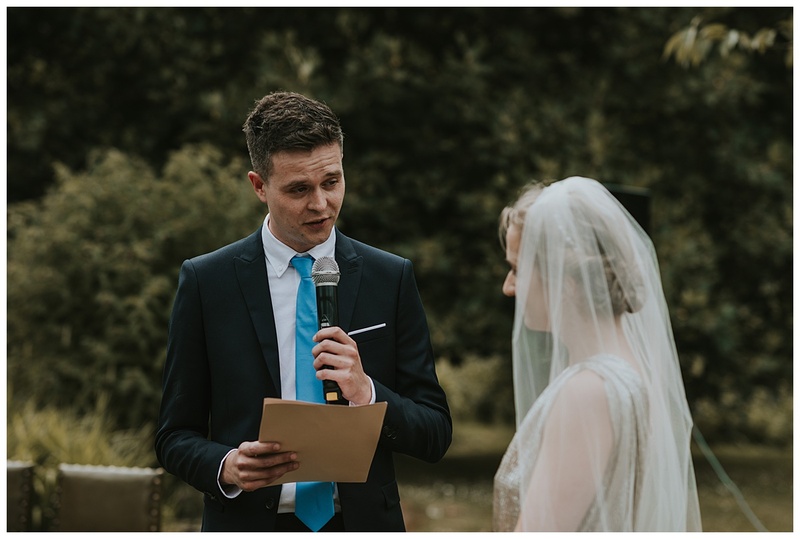 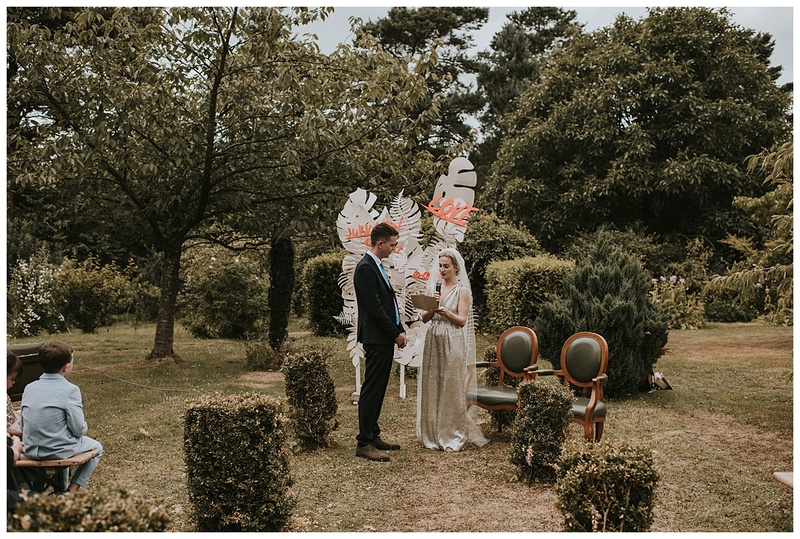 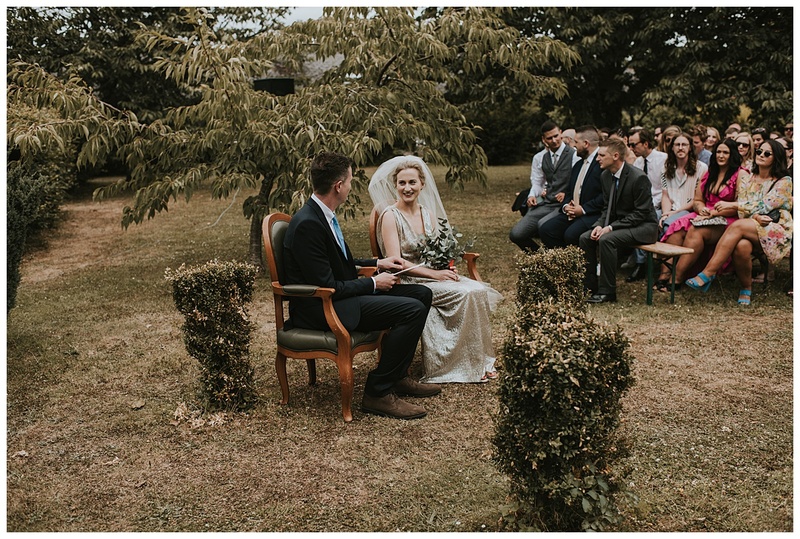 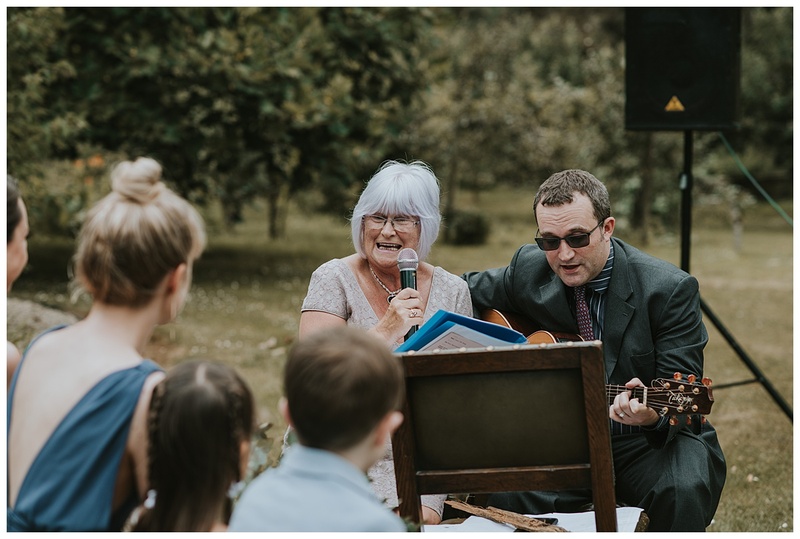 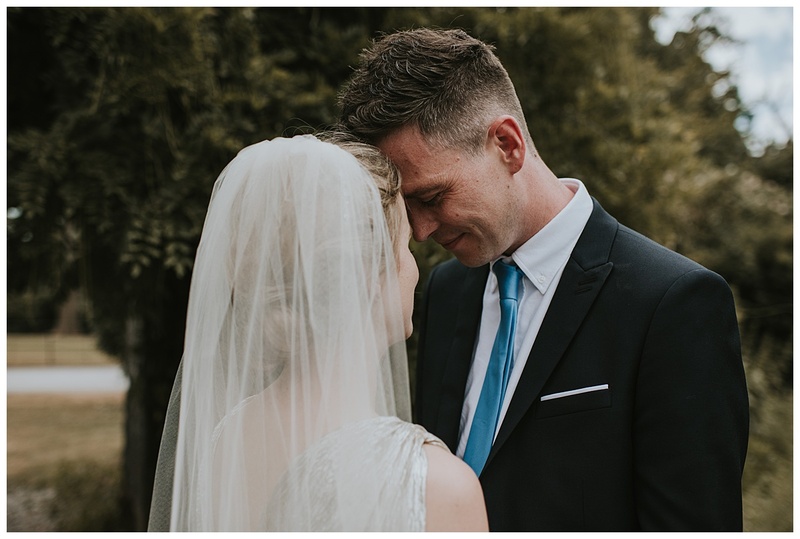 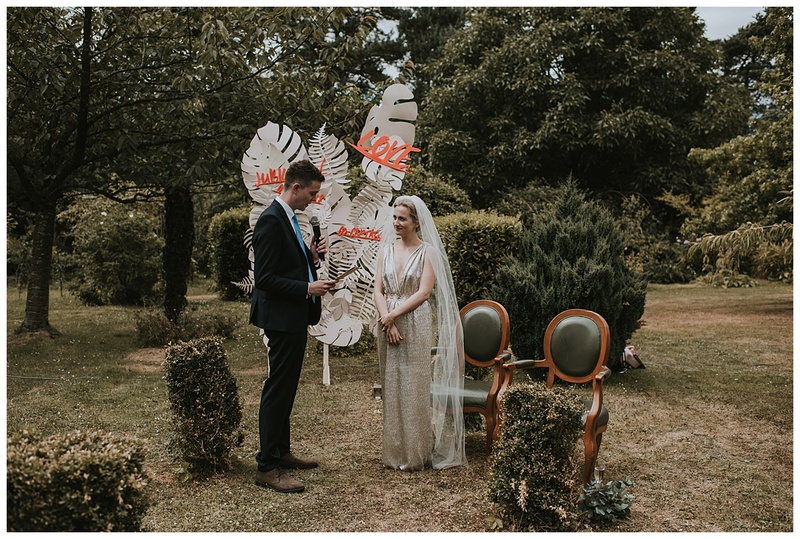 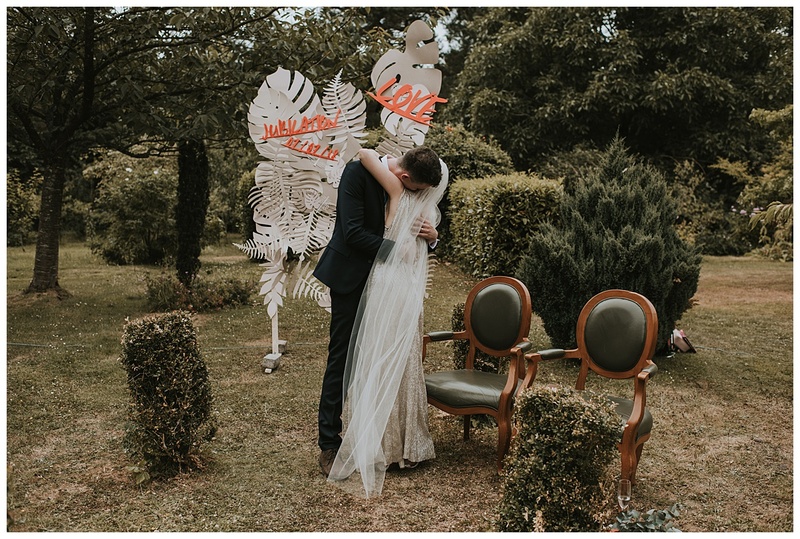 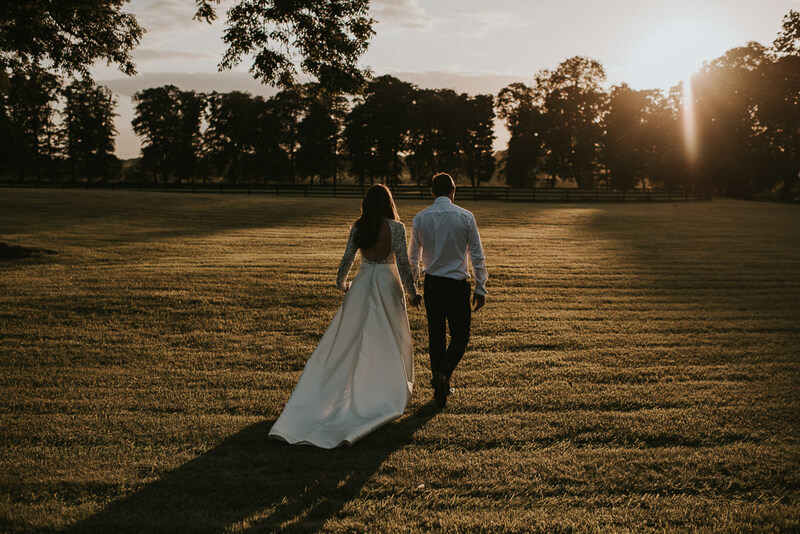 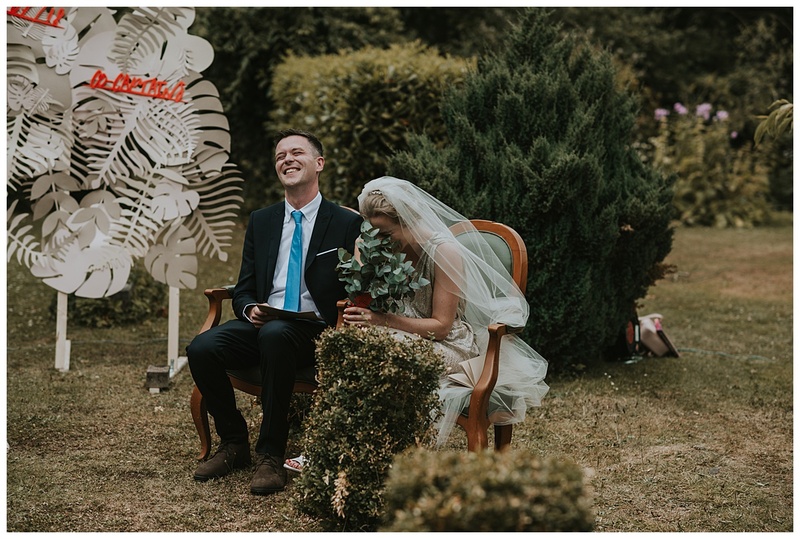 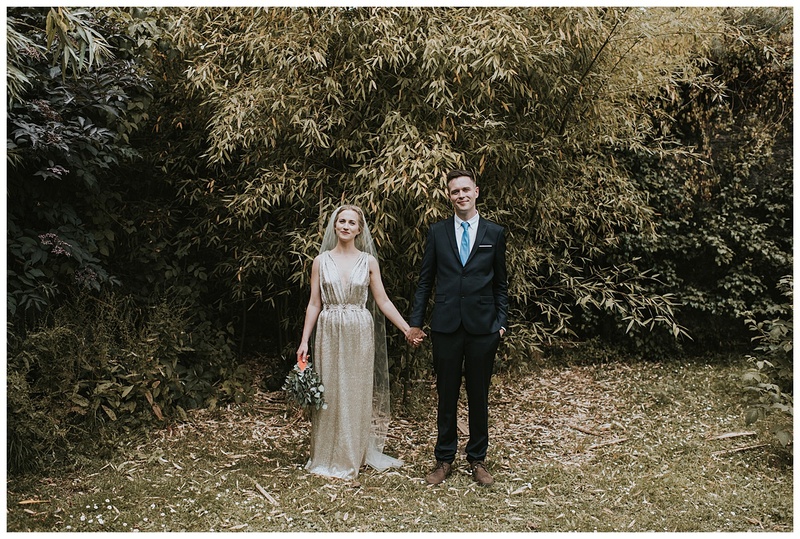 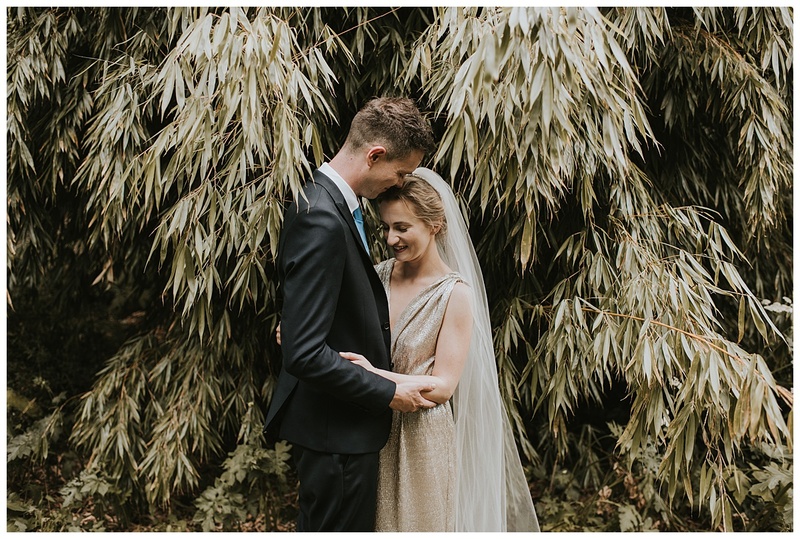 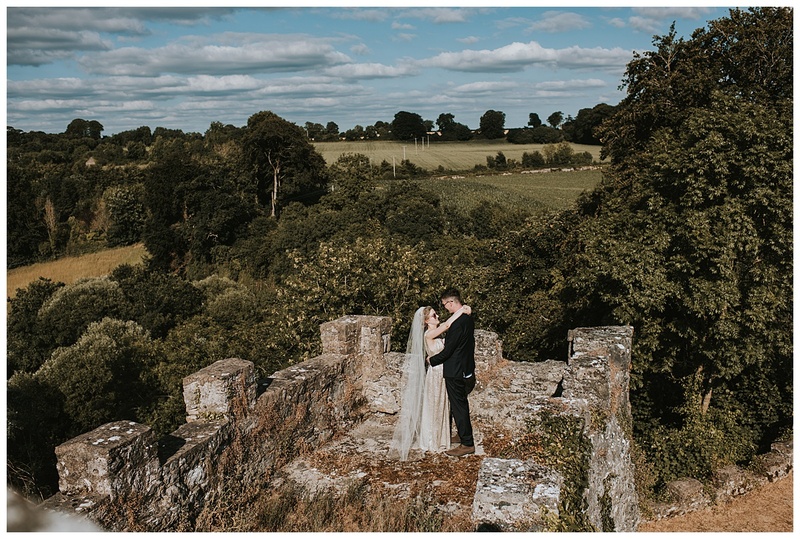 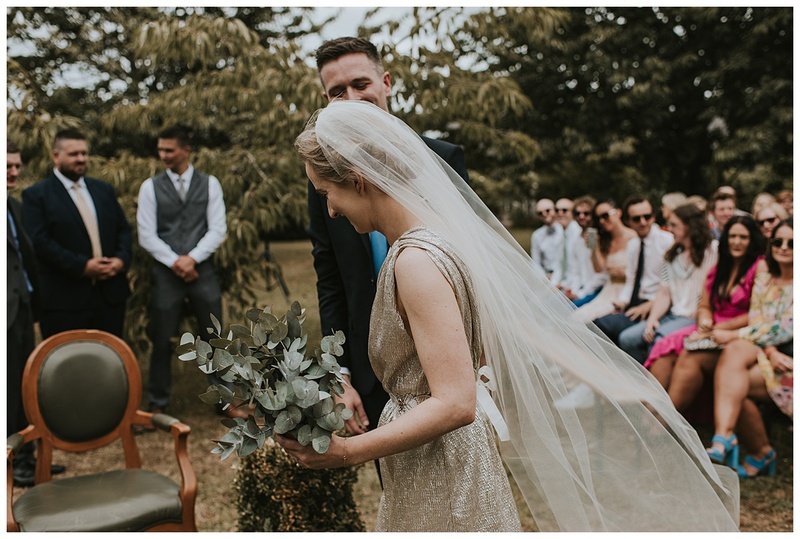 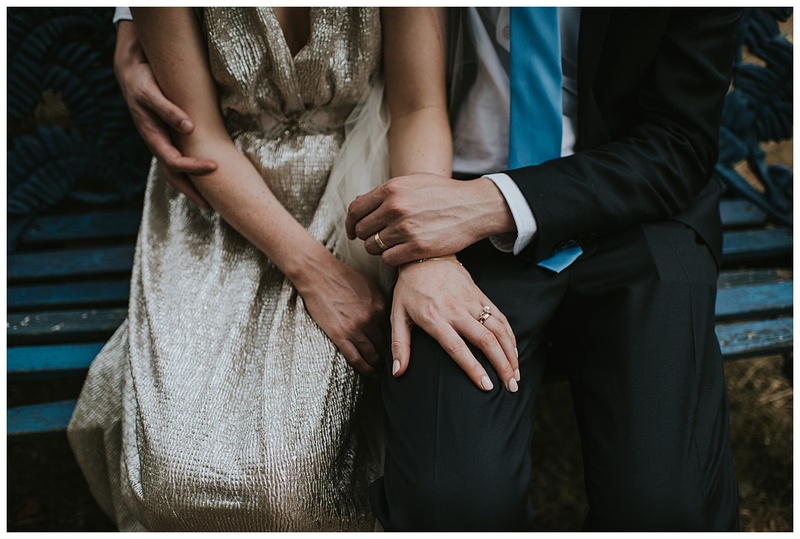 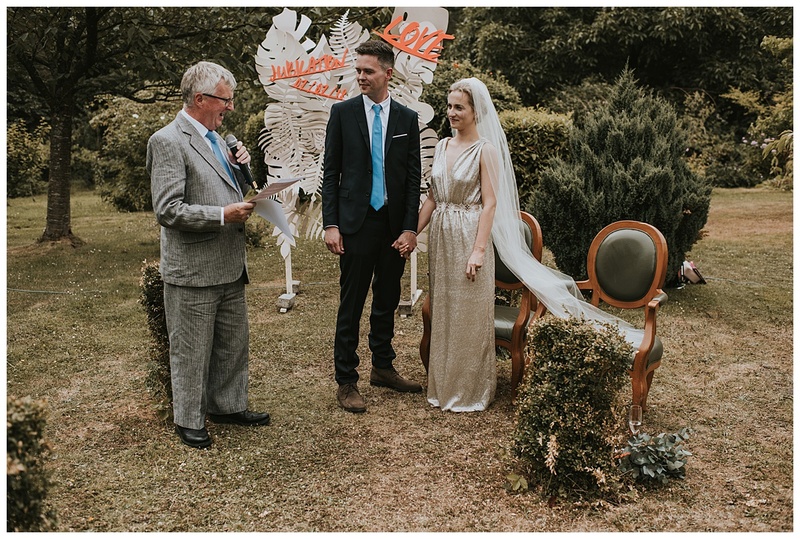 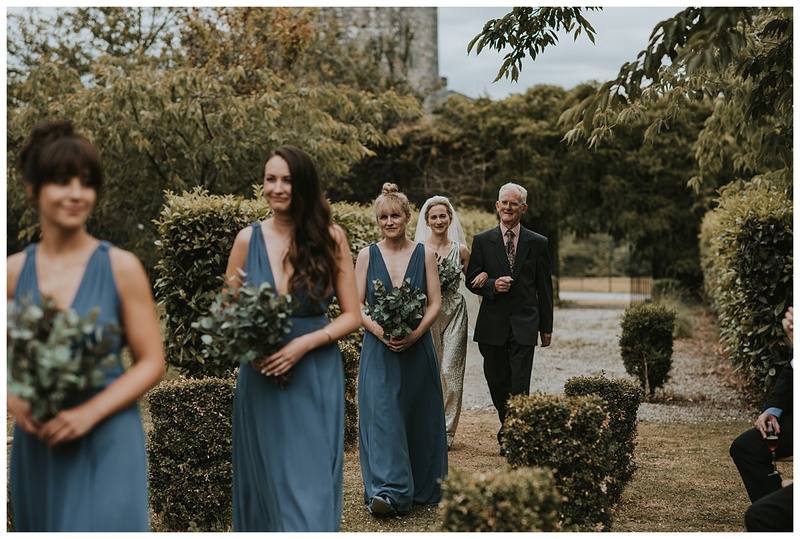 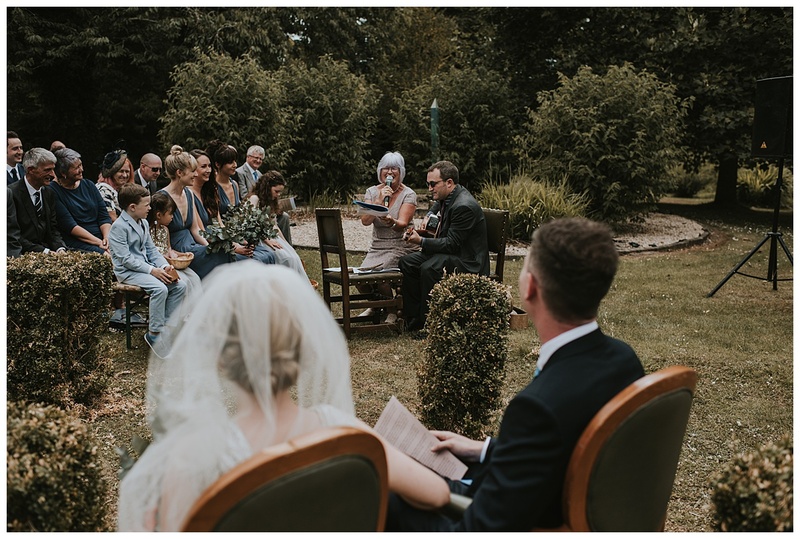 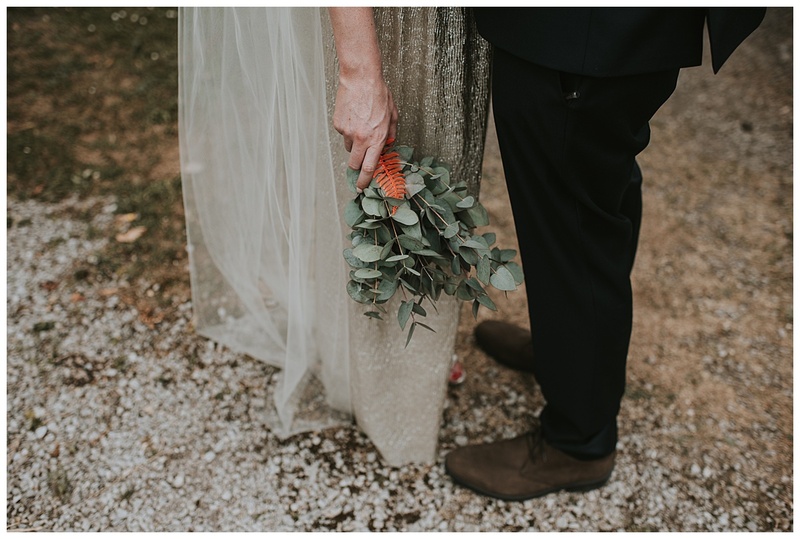 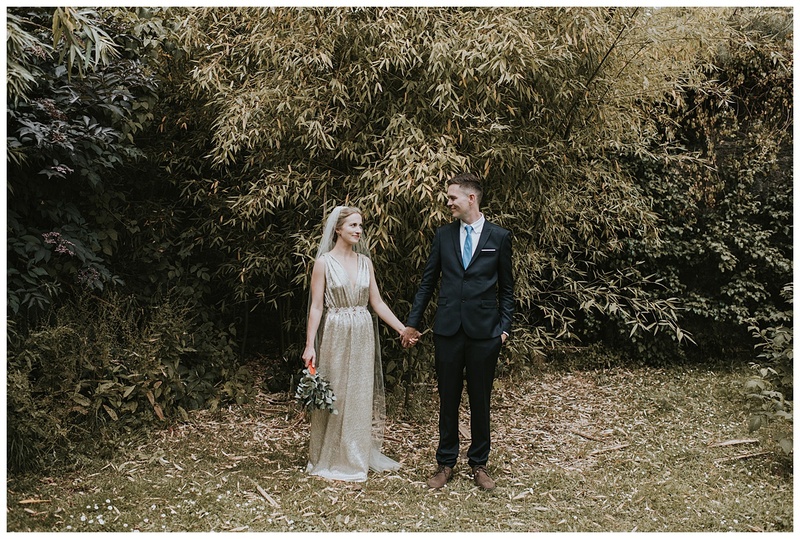 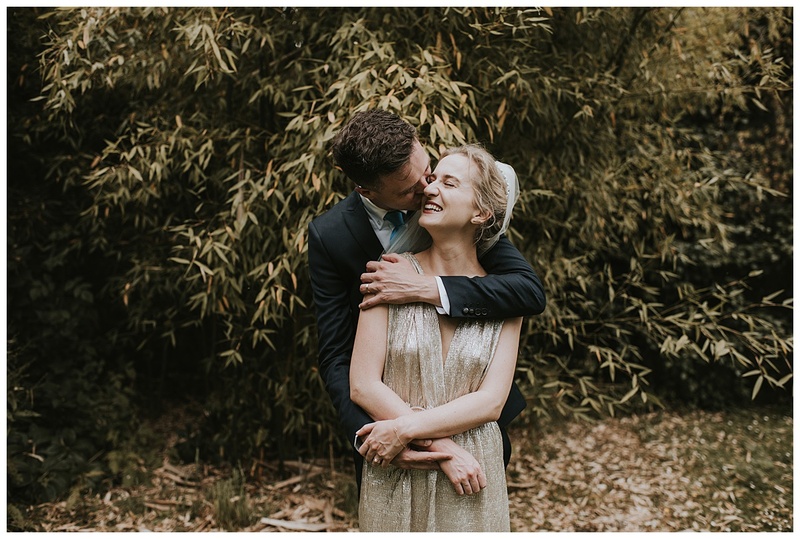 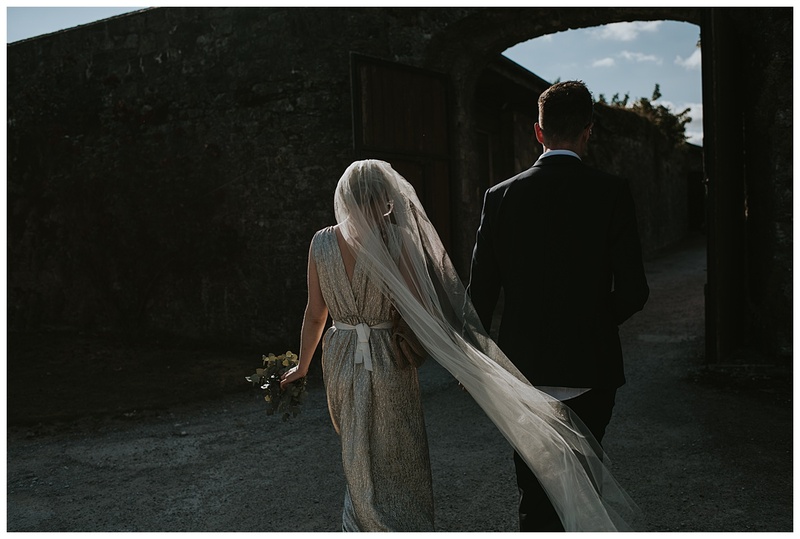 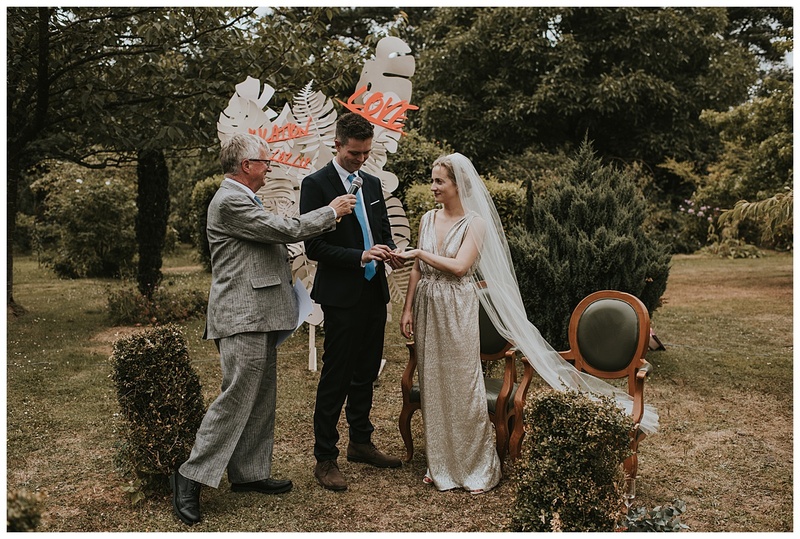 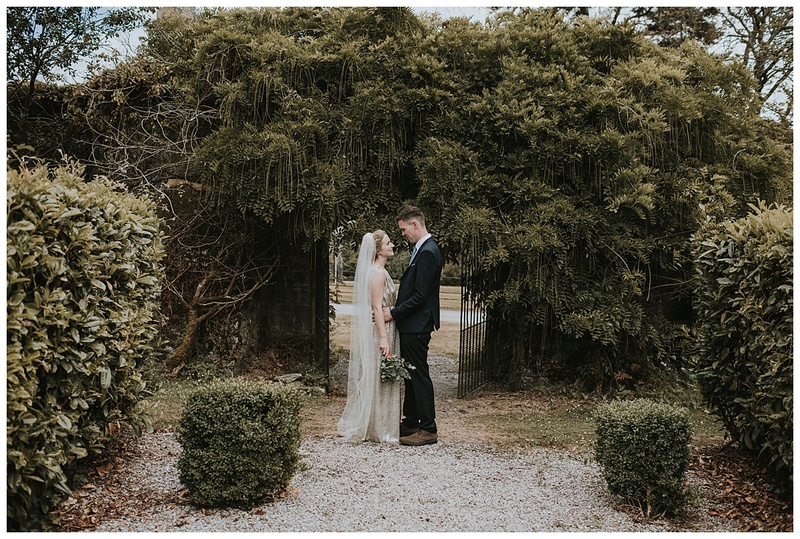 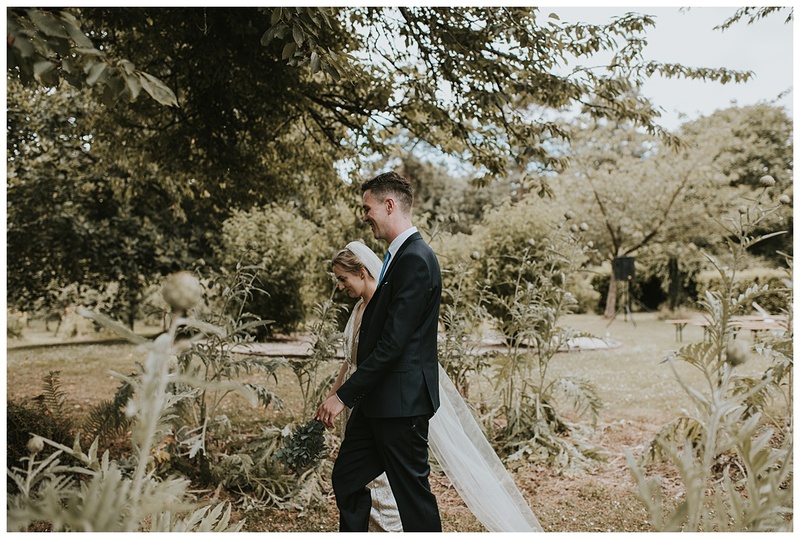 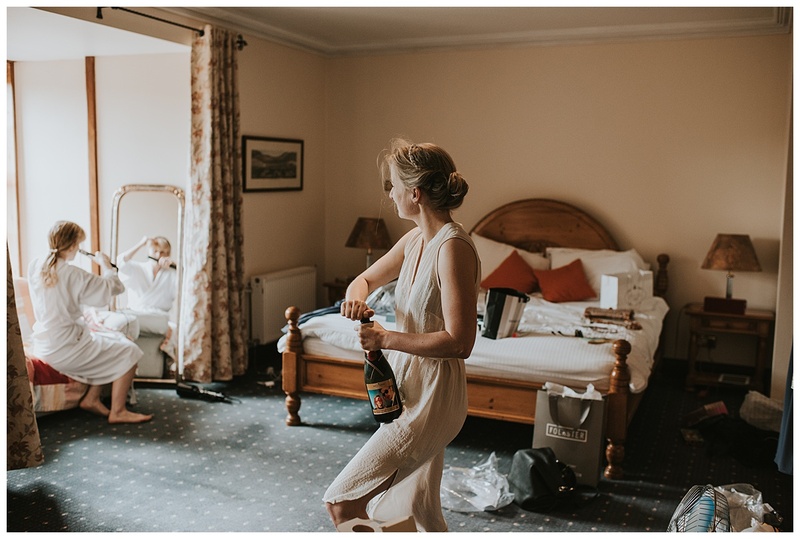 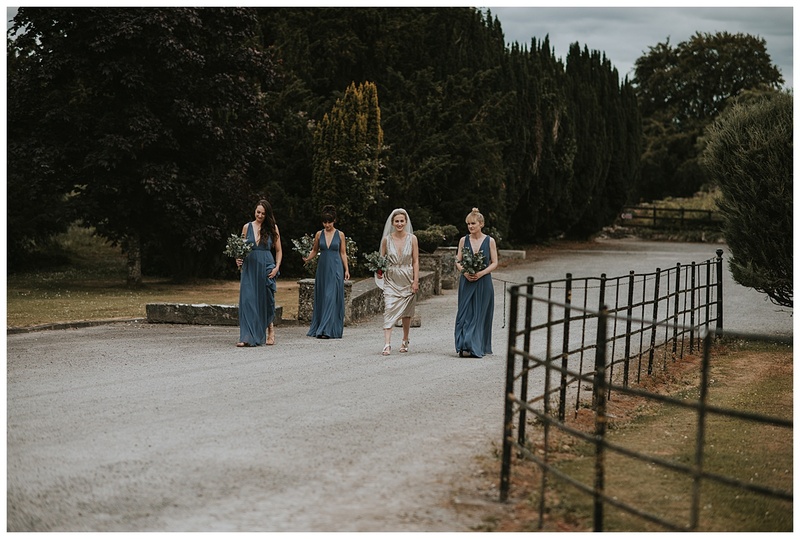 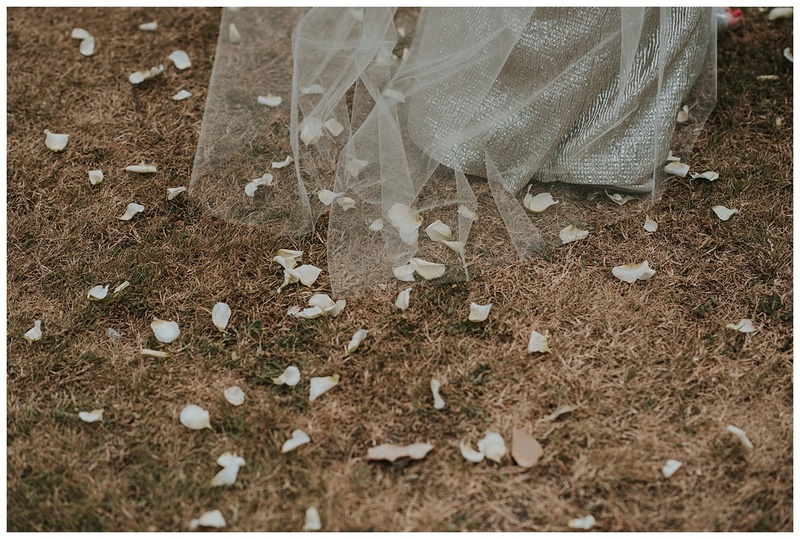 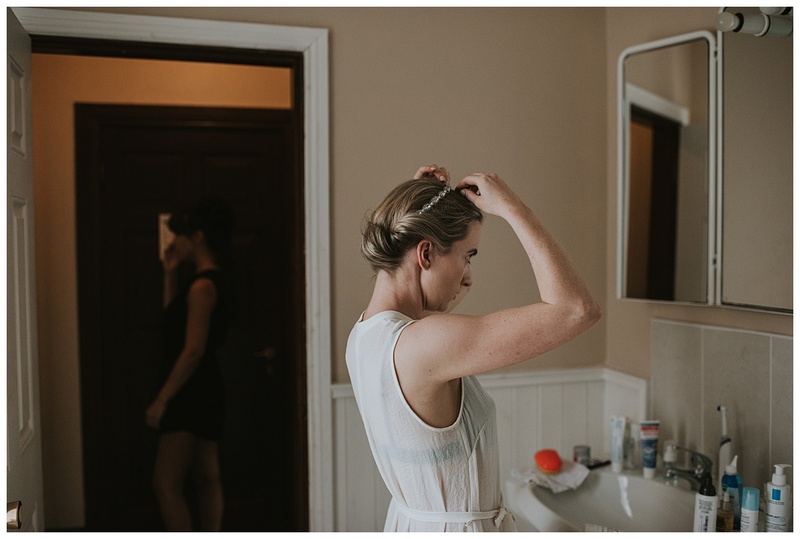 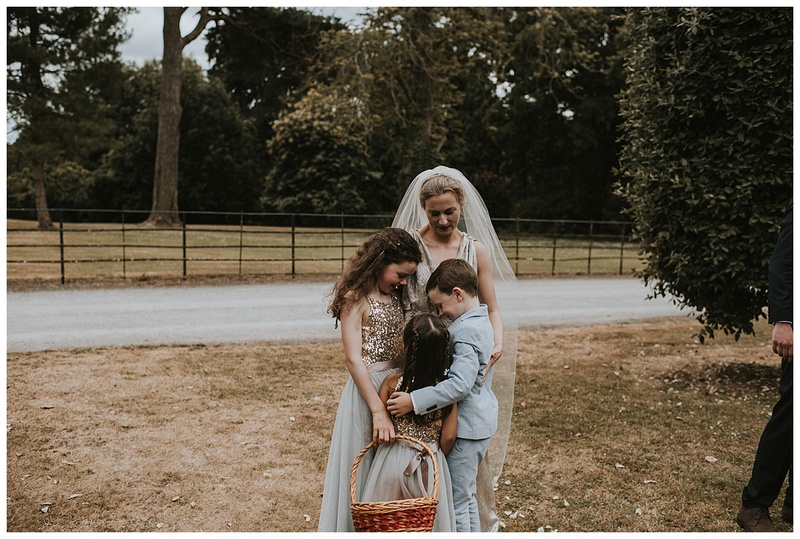 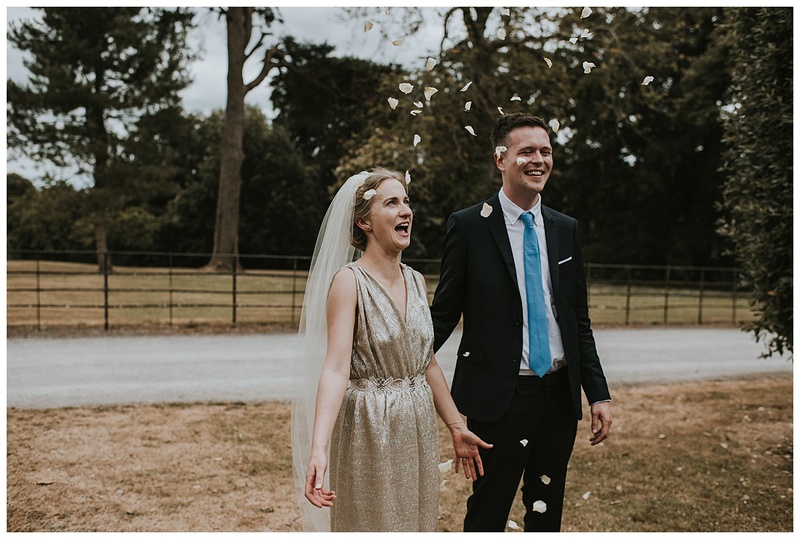 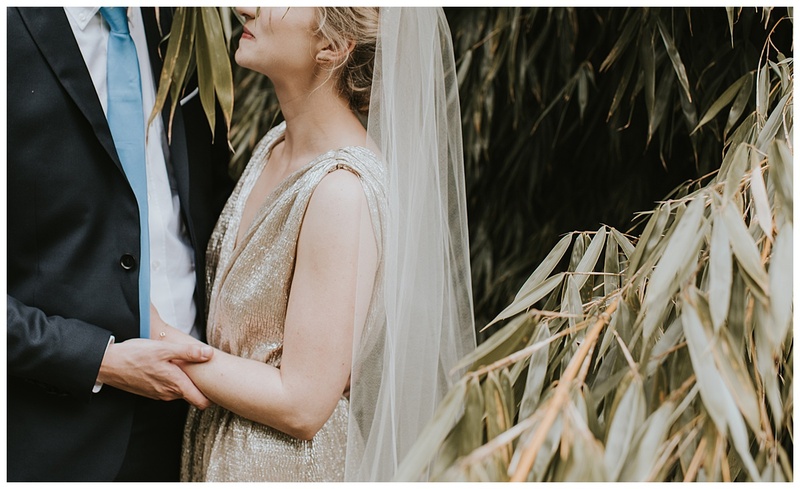 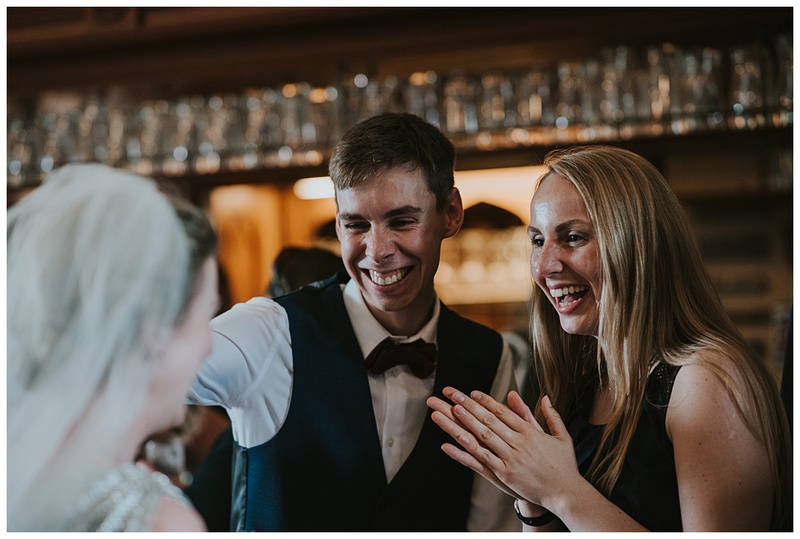 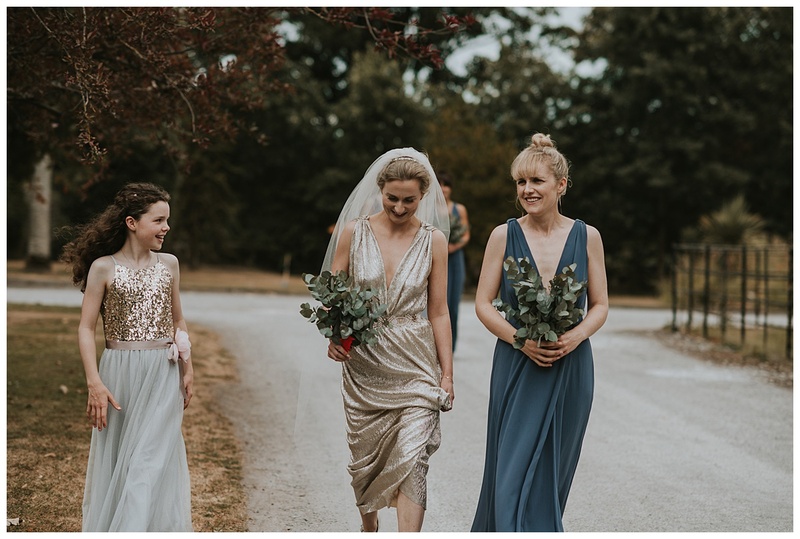 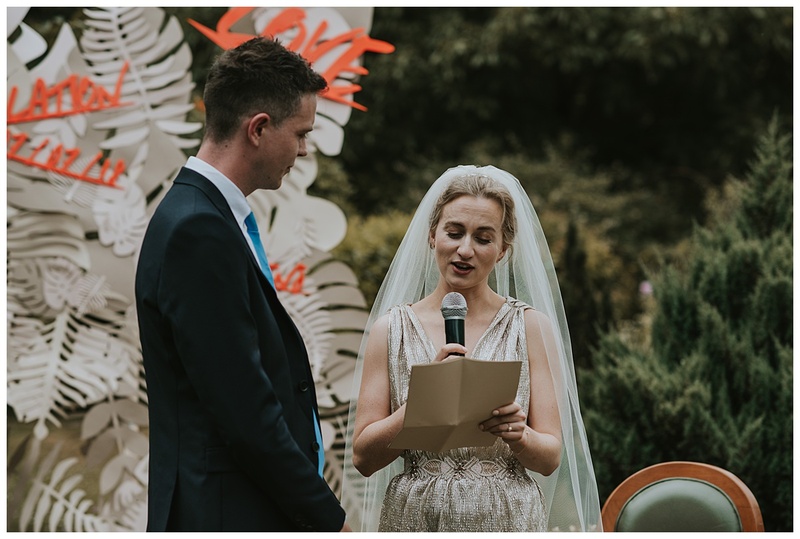 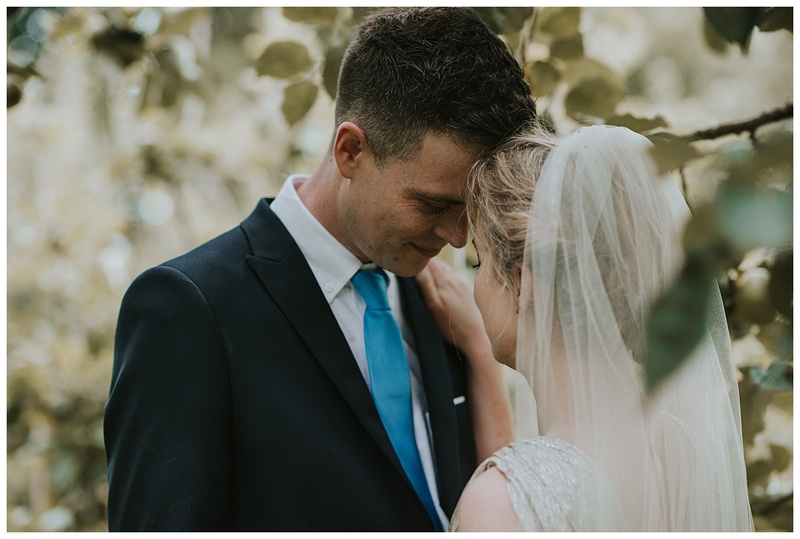 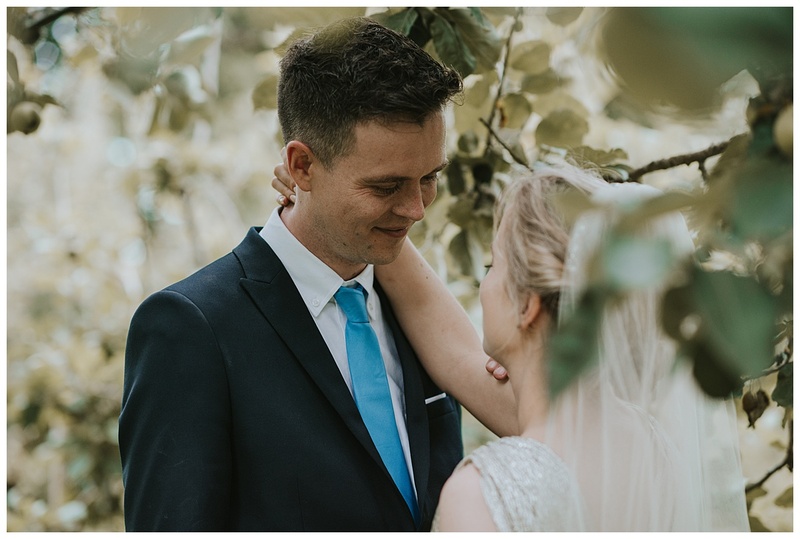 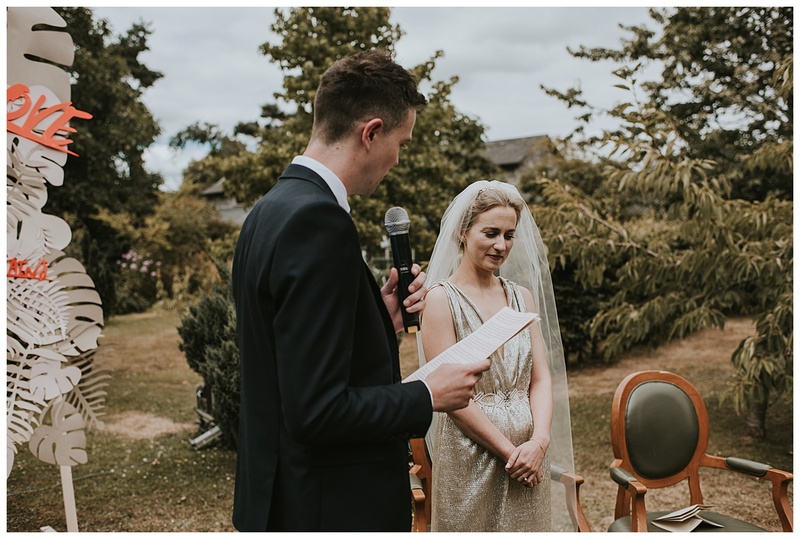 I always say to couples your day is about you and nobody else, so do what you want and this is exactly what Pearl and Ciaran did and it was beautiful! 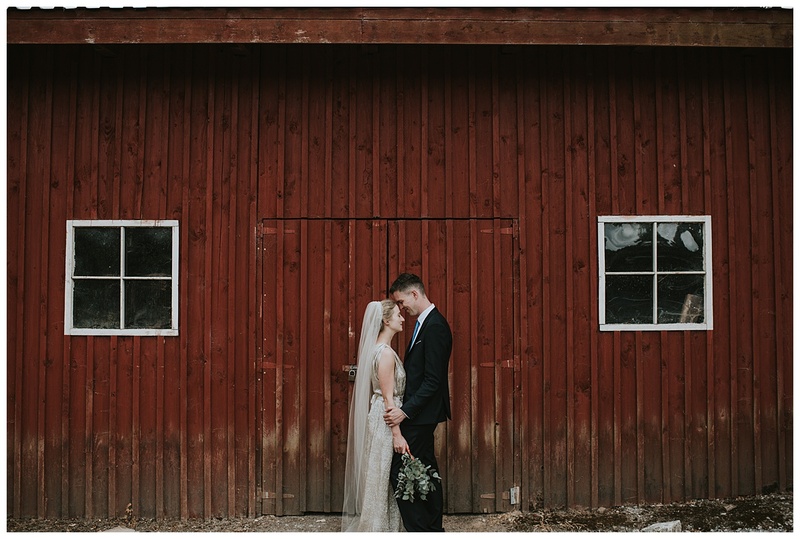 Wishing these two all the happiness!